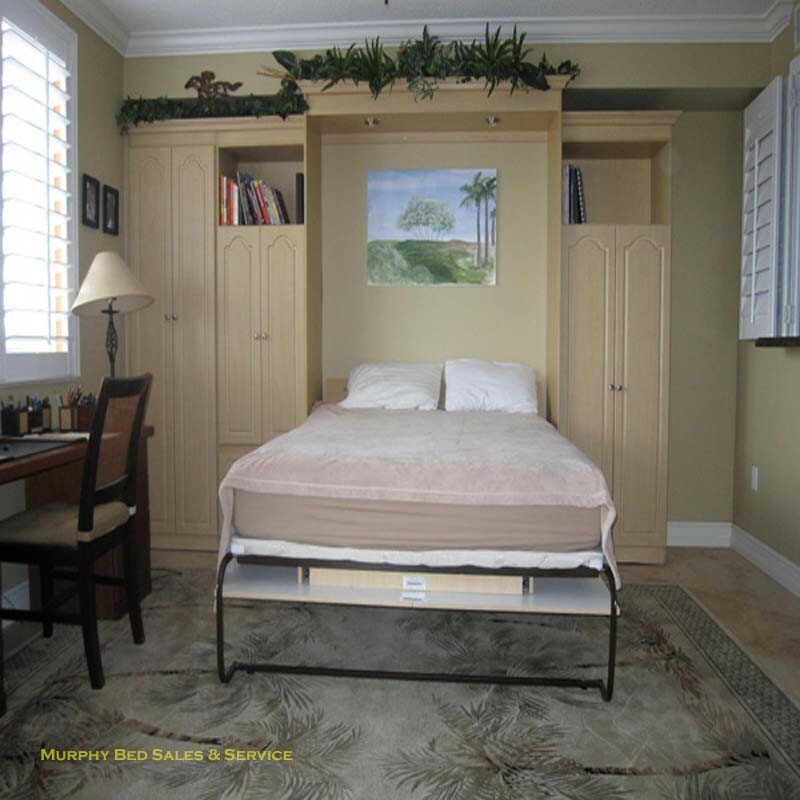 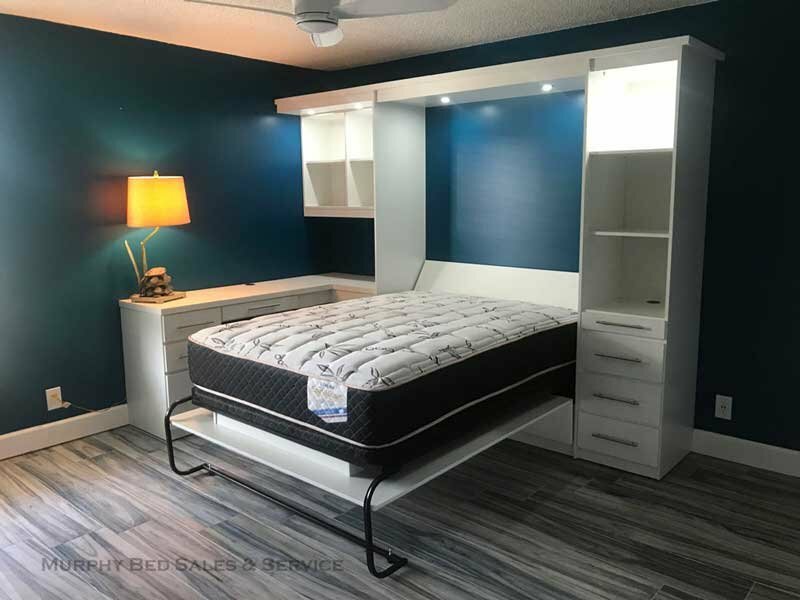 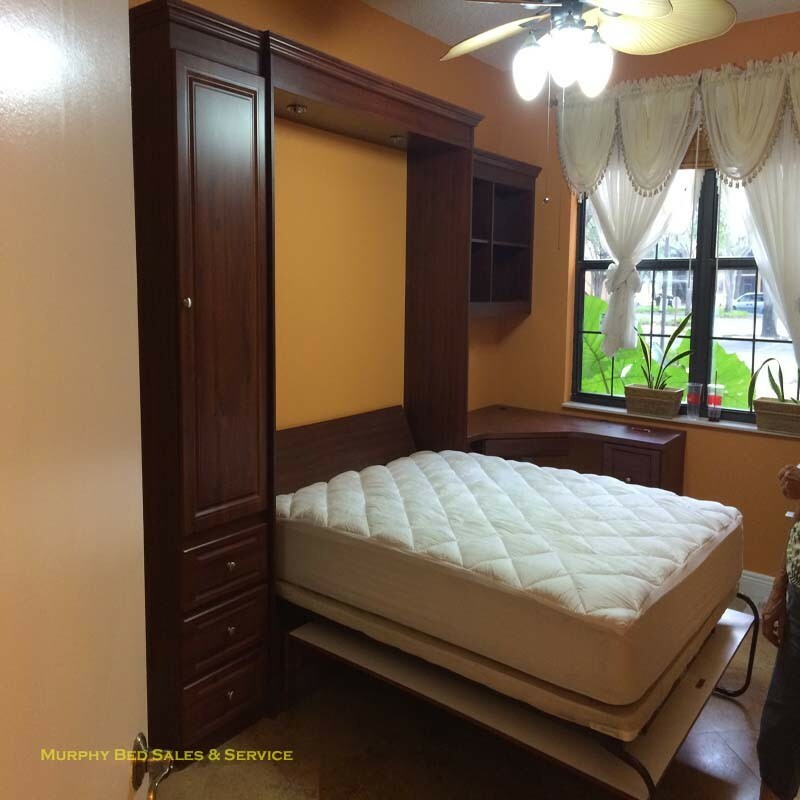 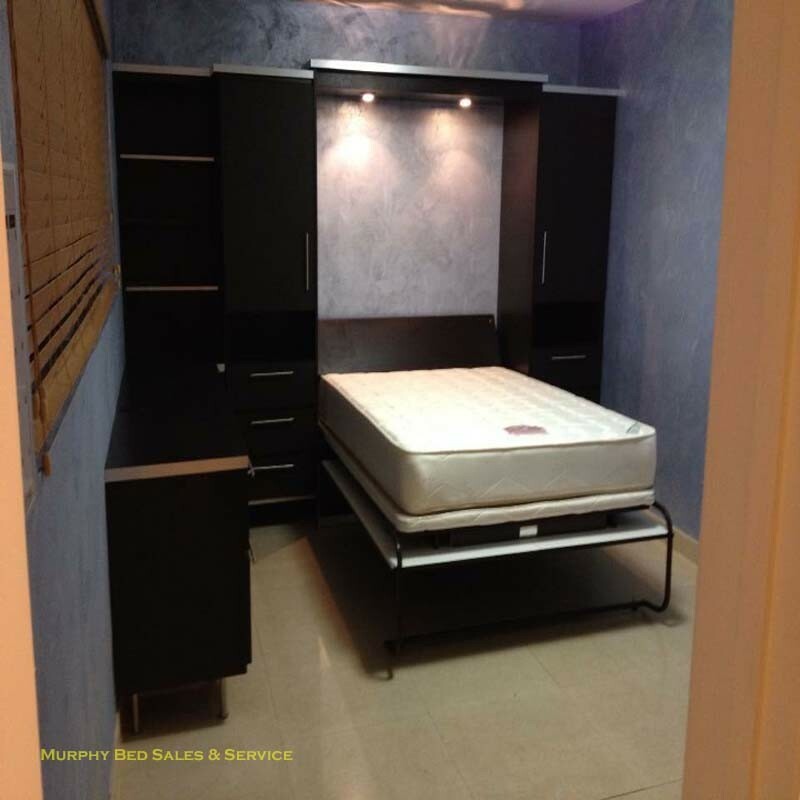 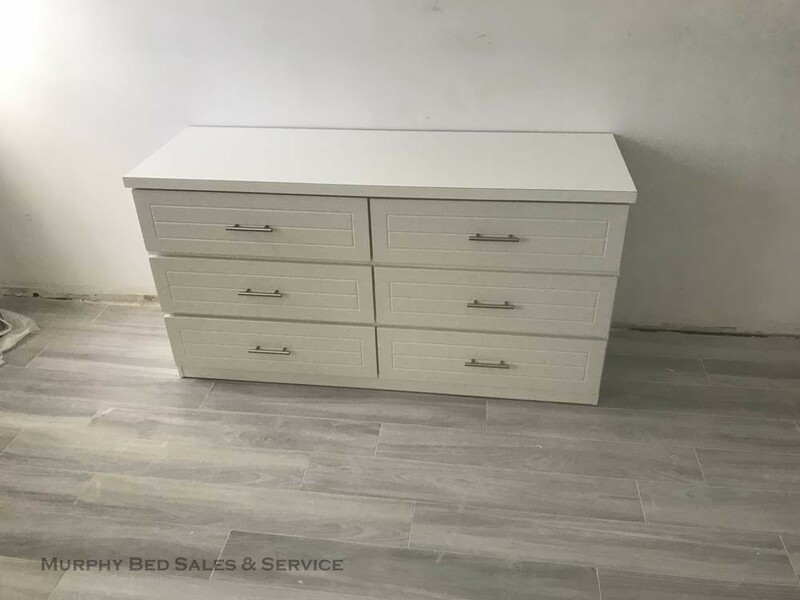 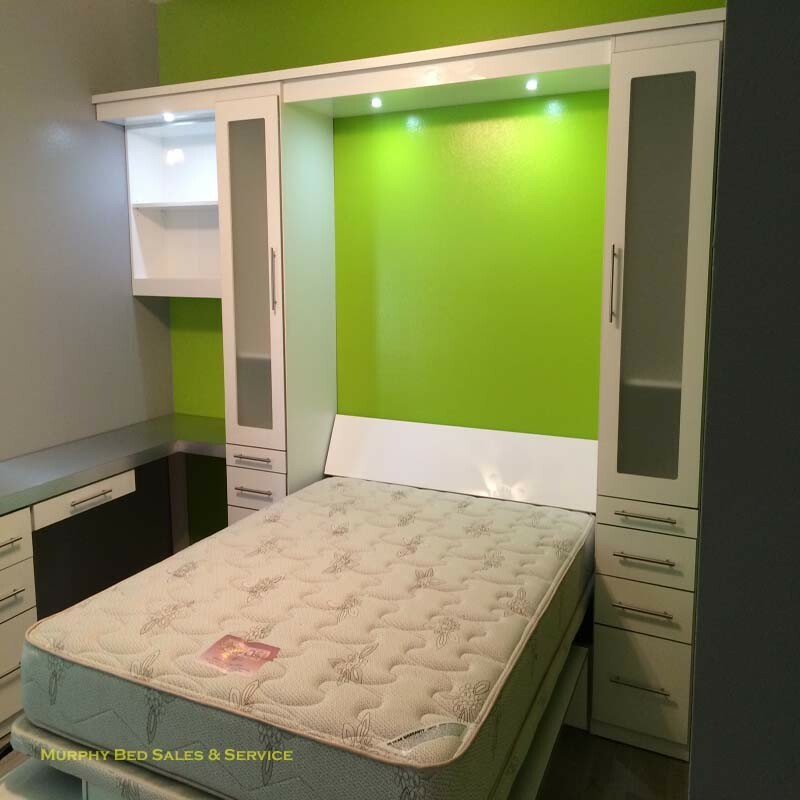 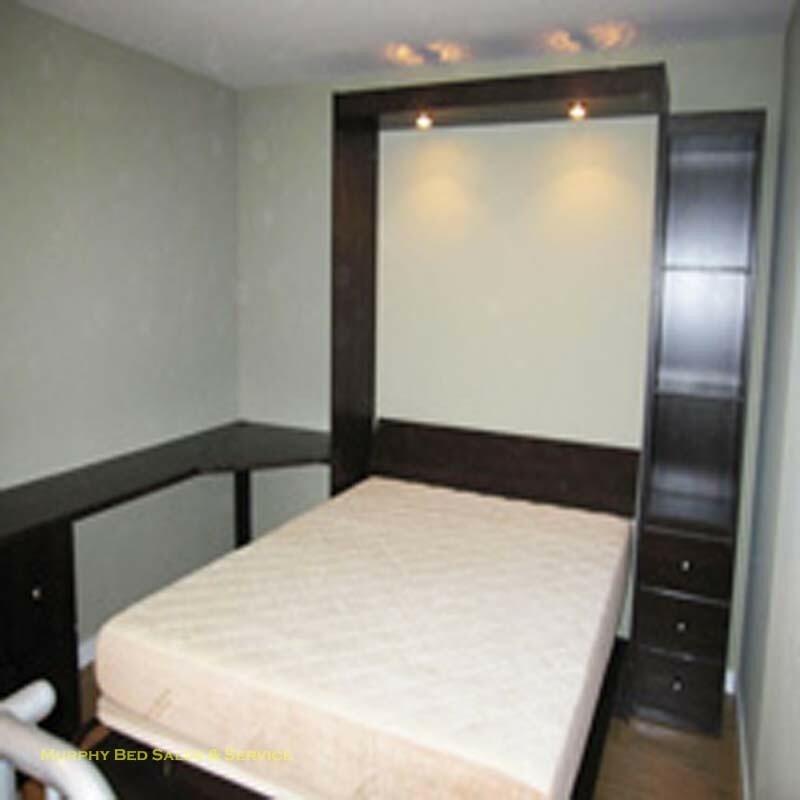 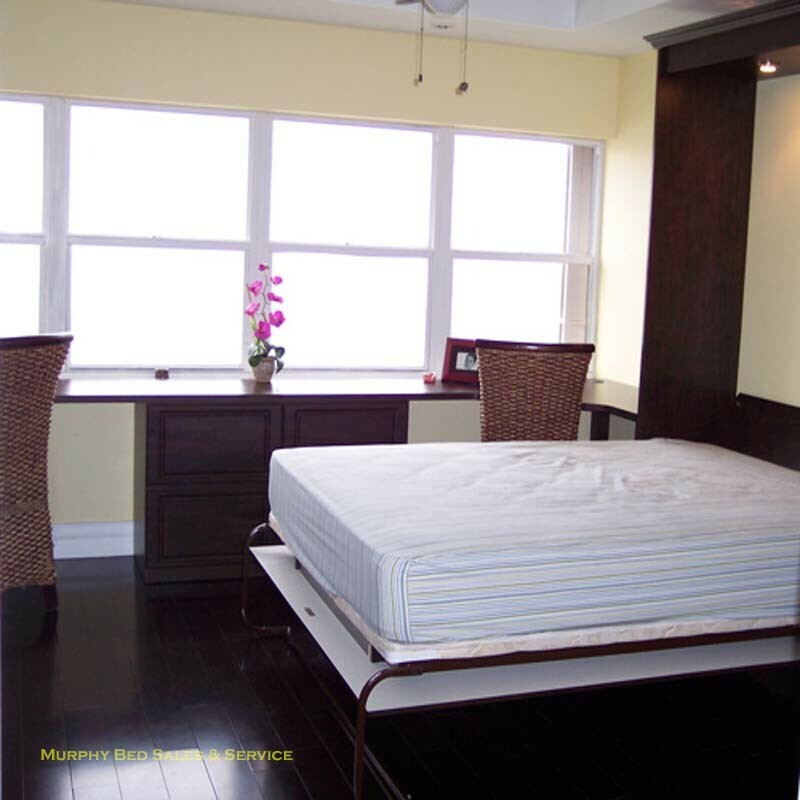 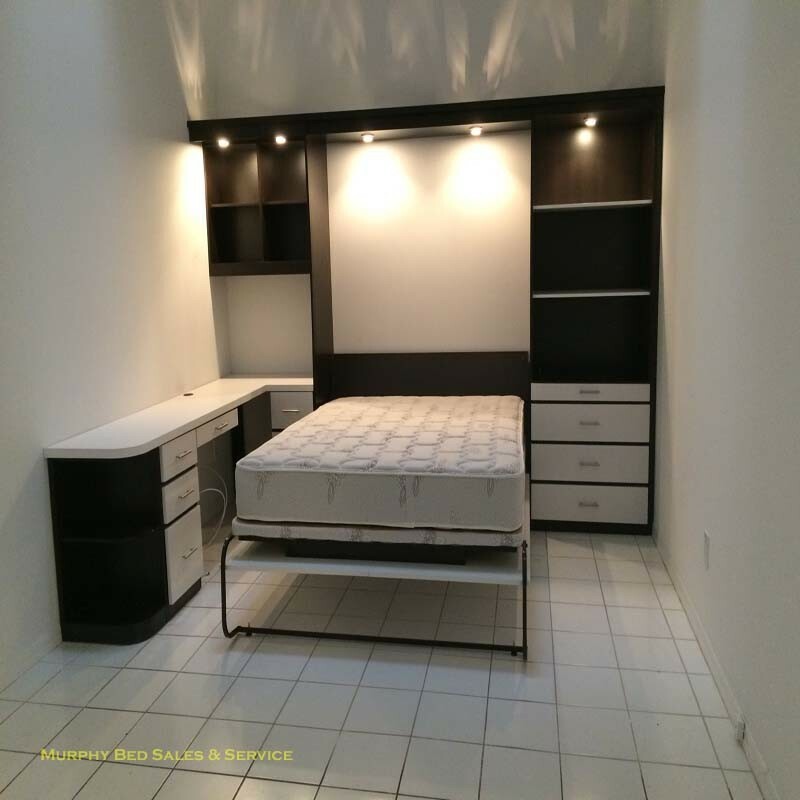 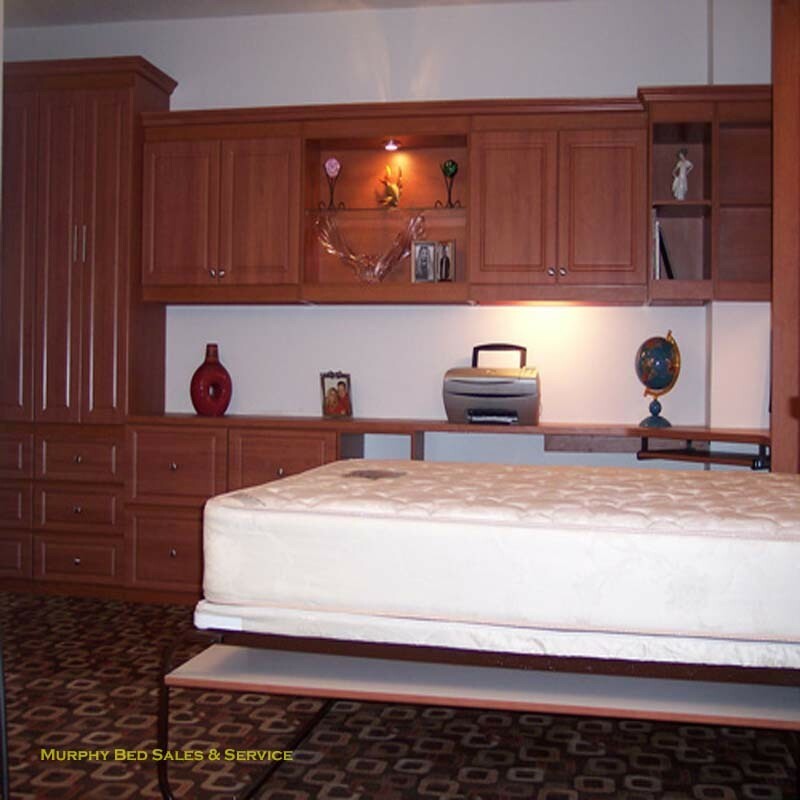 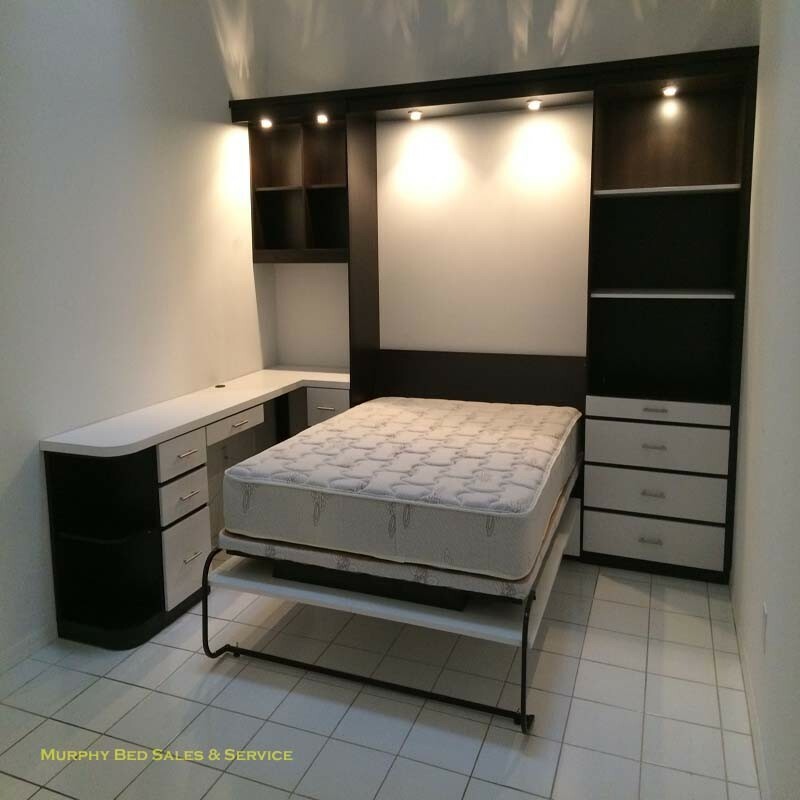 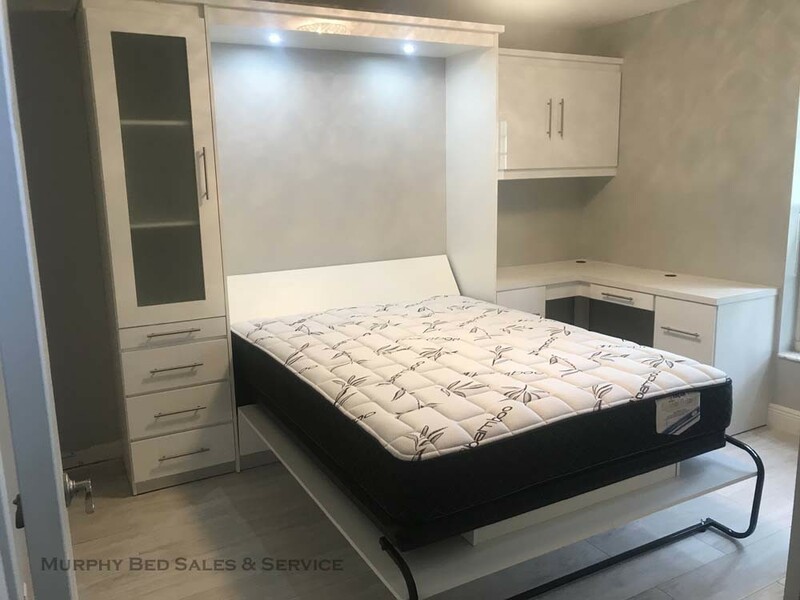 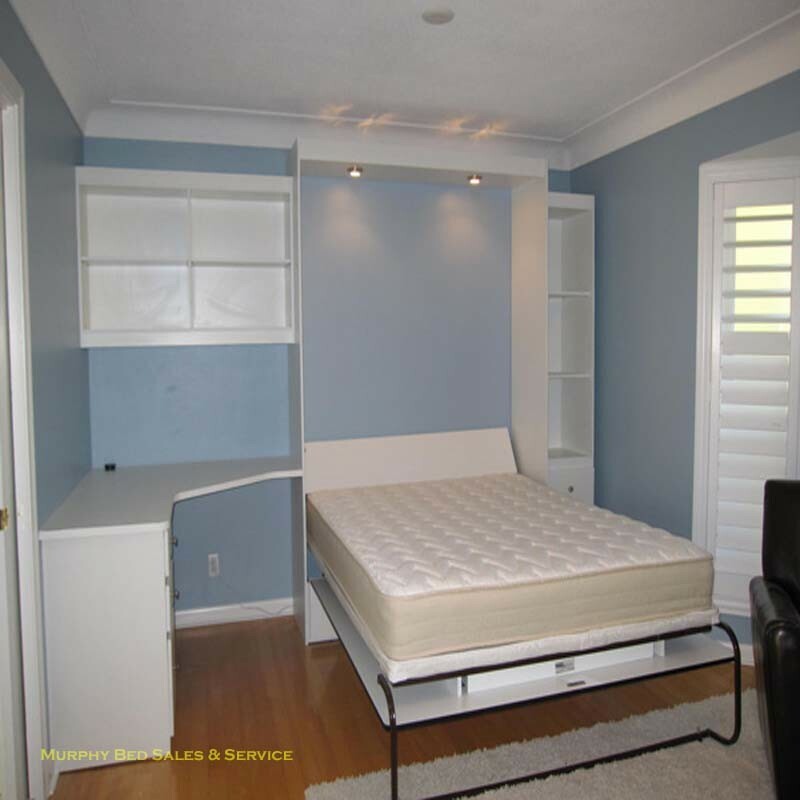 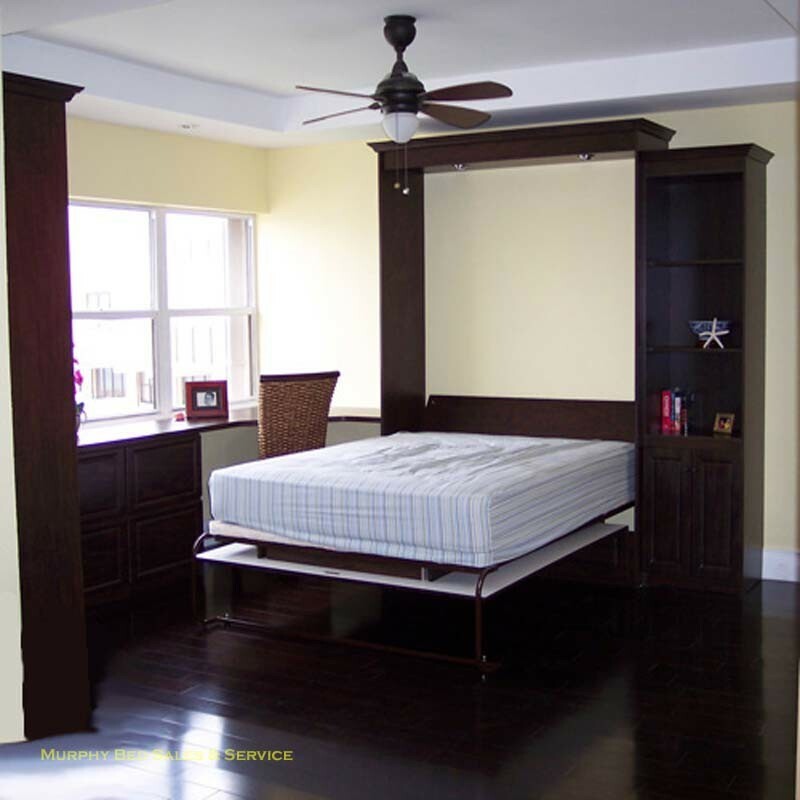 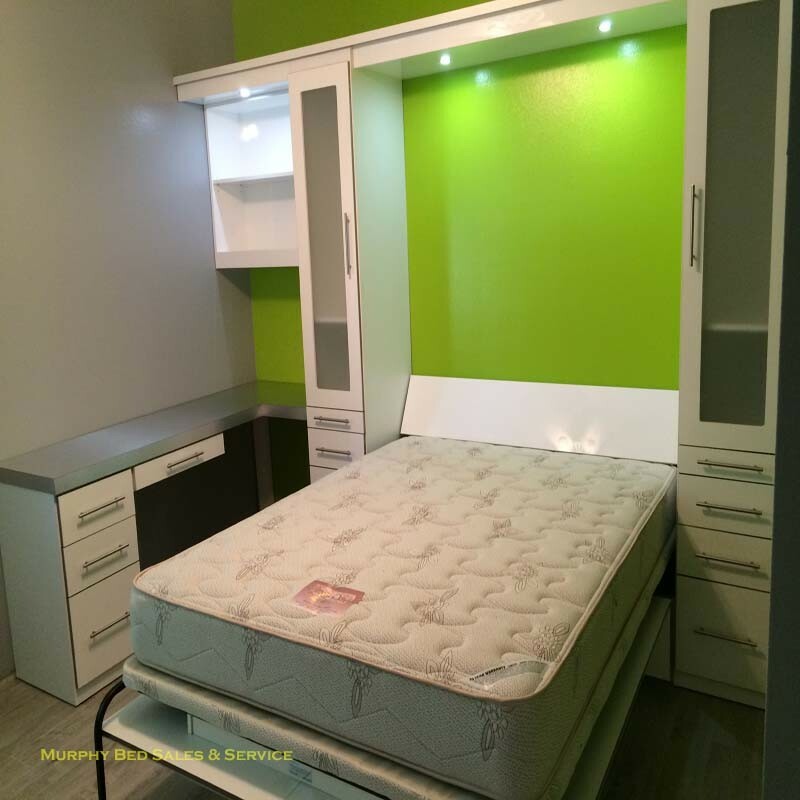 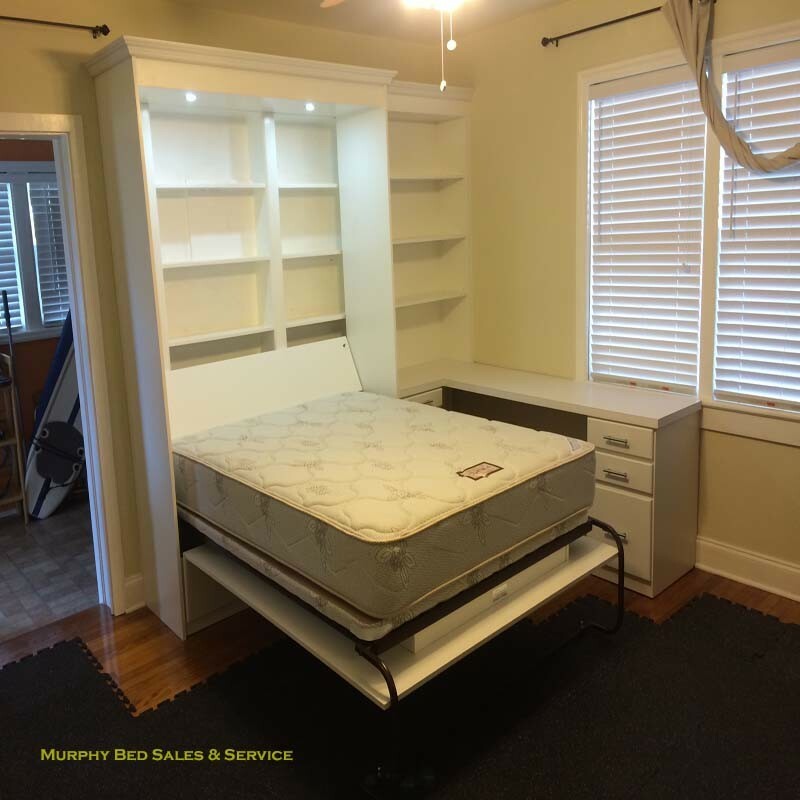 Tired of having that old bed stuck in the middle of your guest room?? 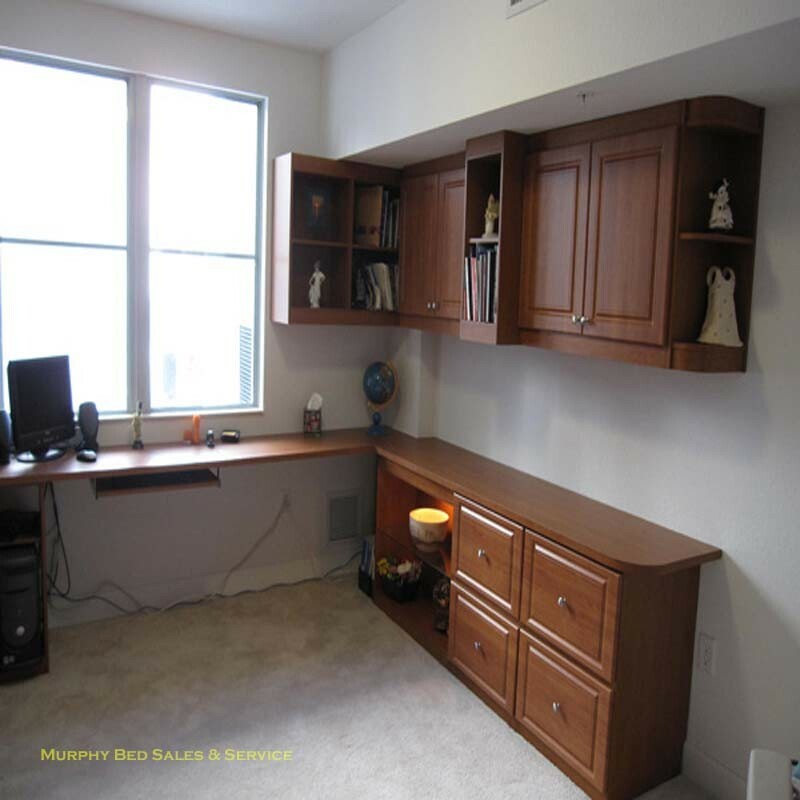 While working from home uncomfortably in the middle of your living room? 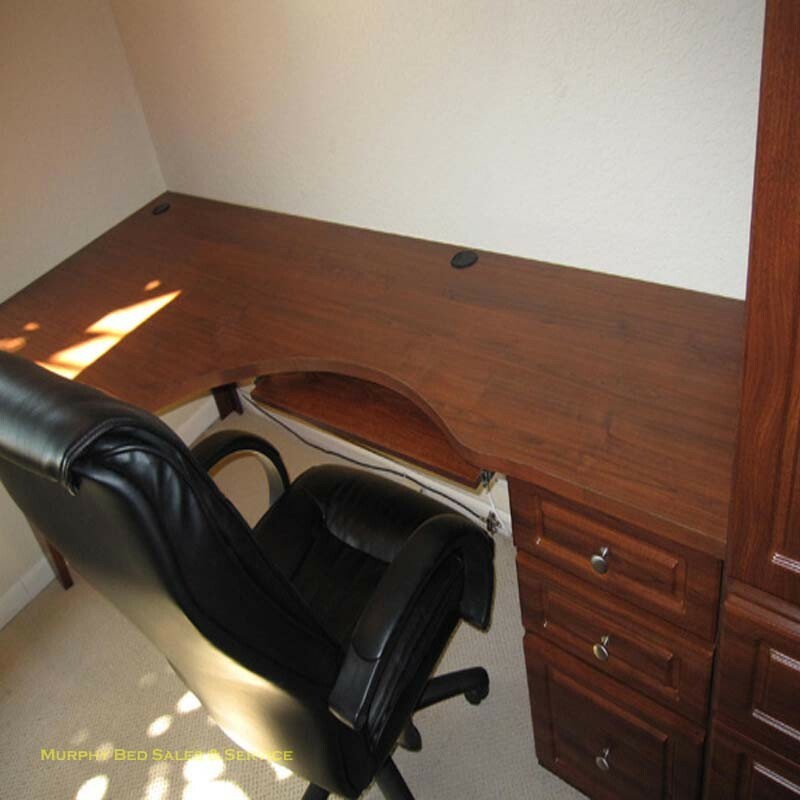 (people making noises not letting you concentrate??) 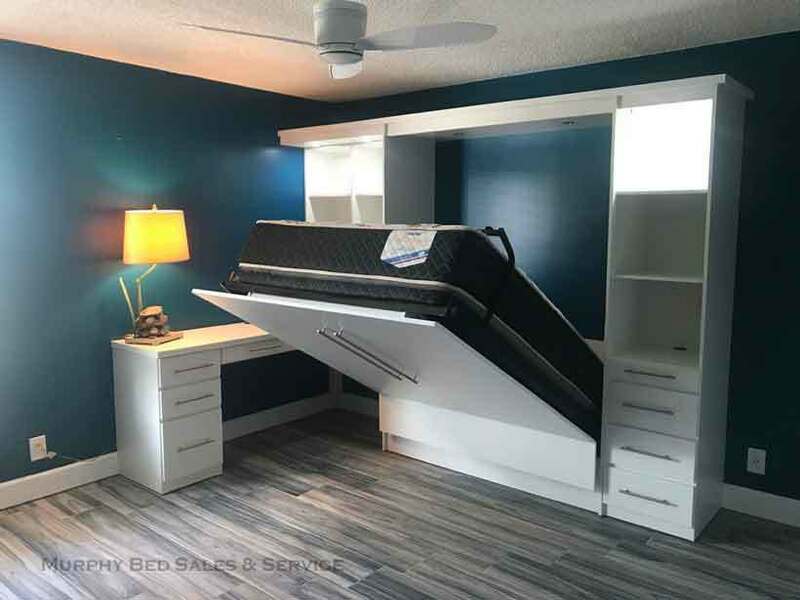 We have a solution! 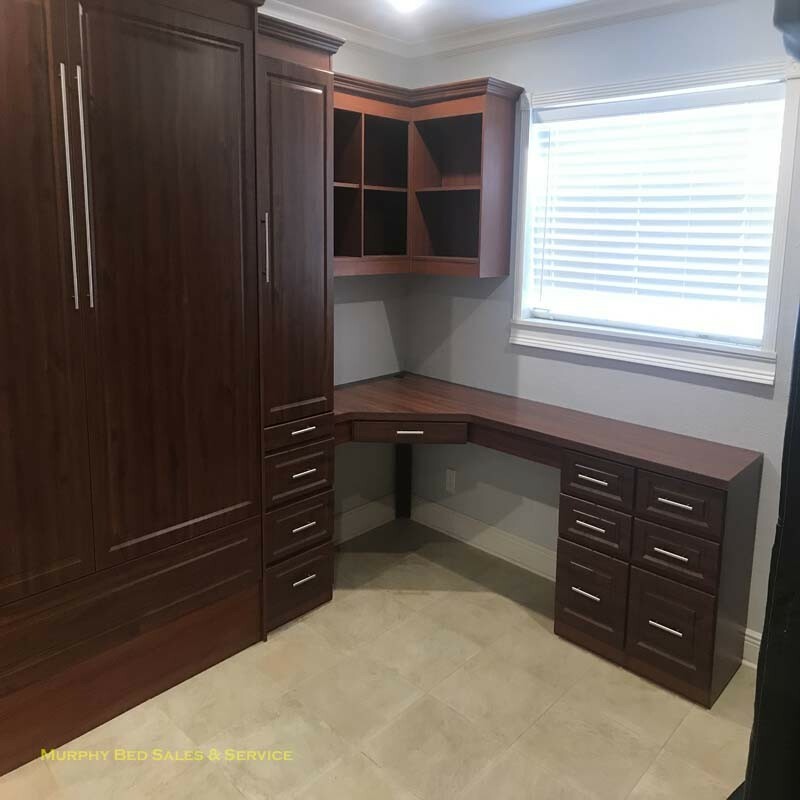 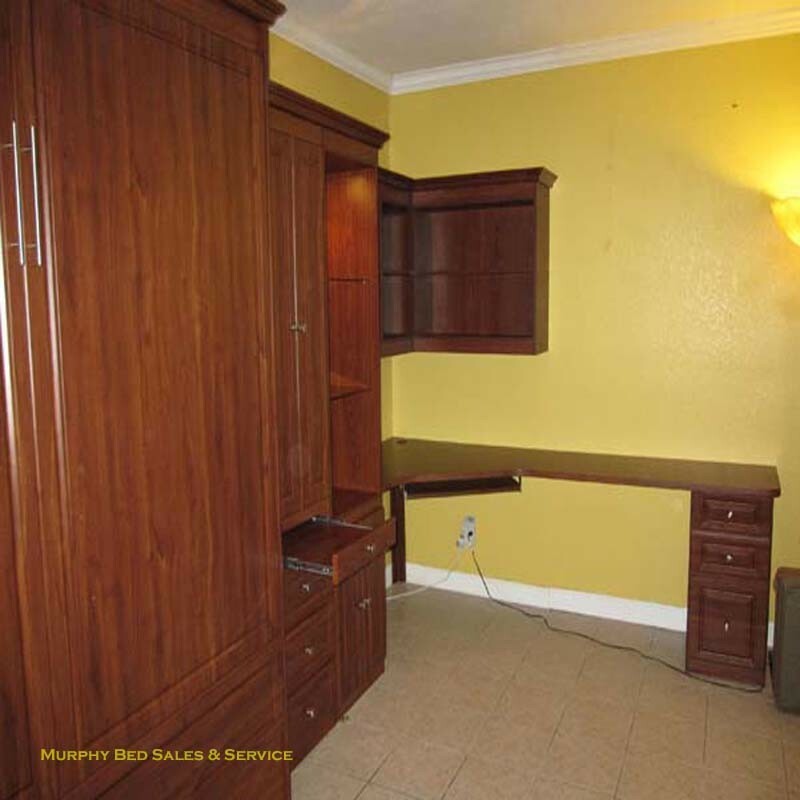 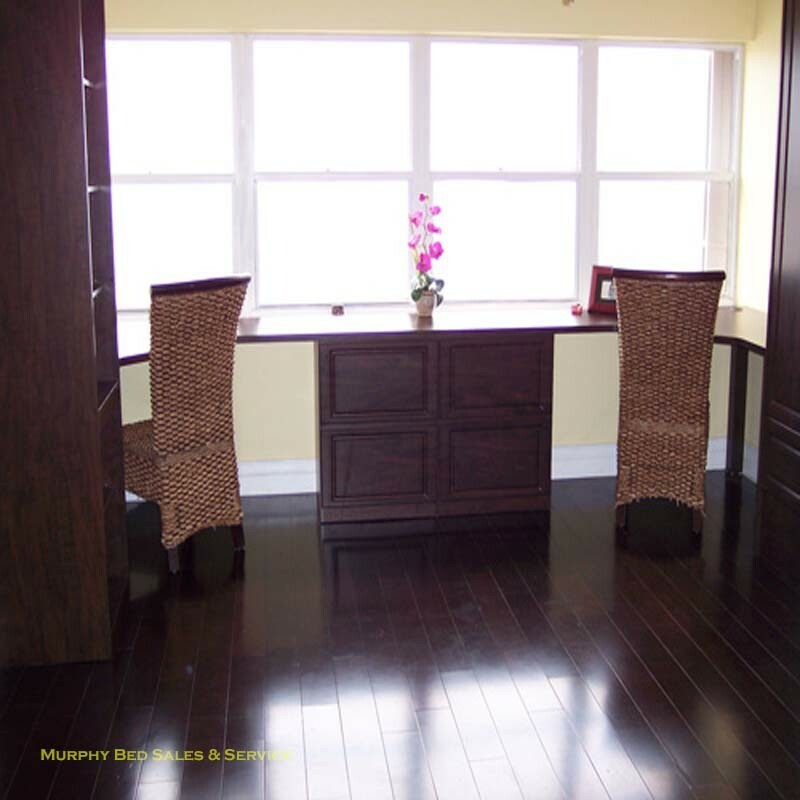 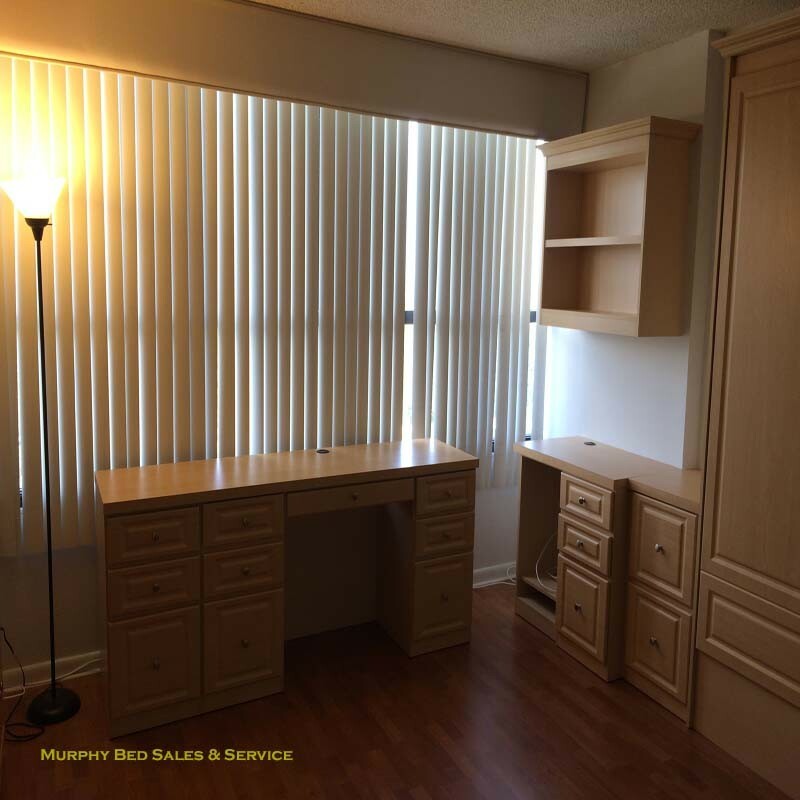 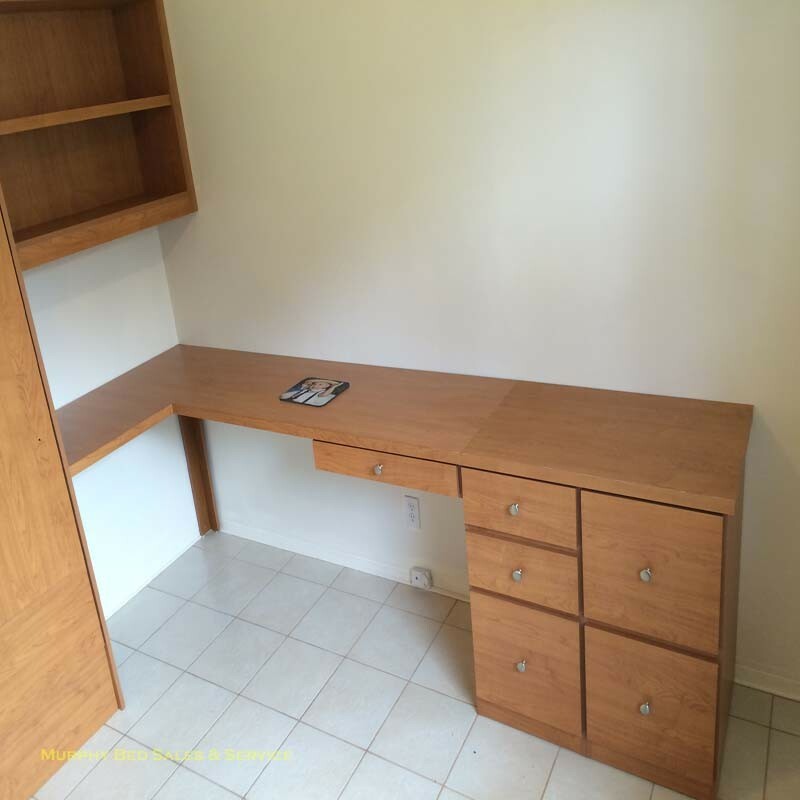 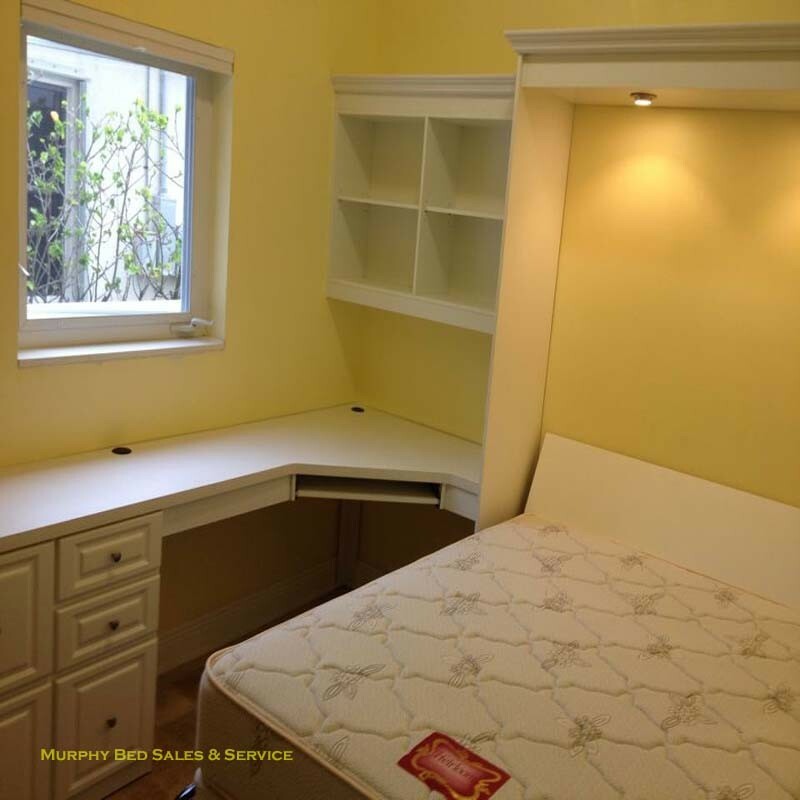 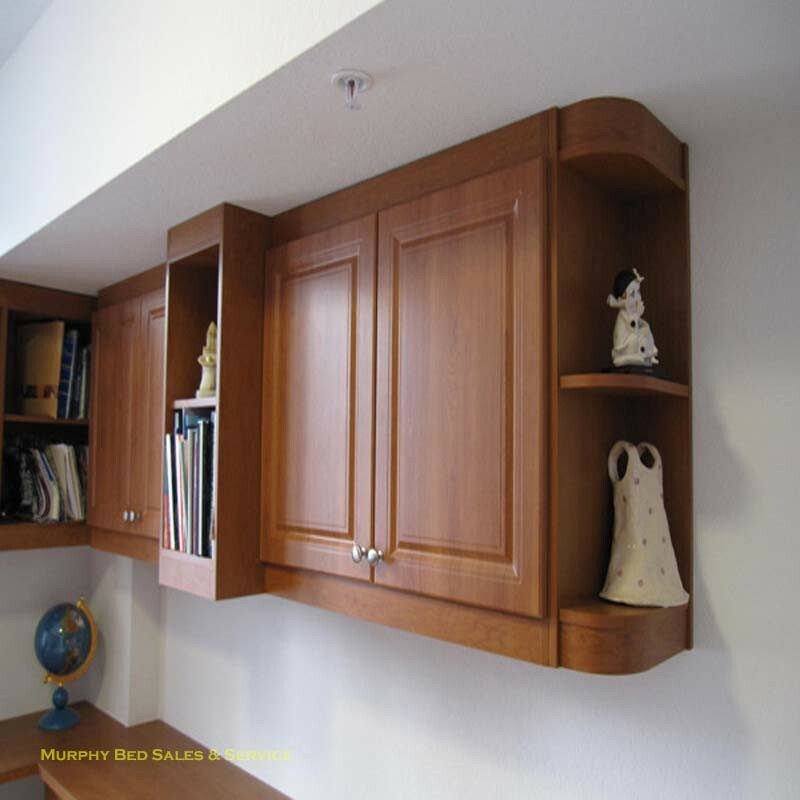 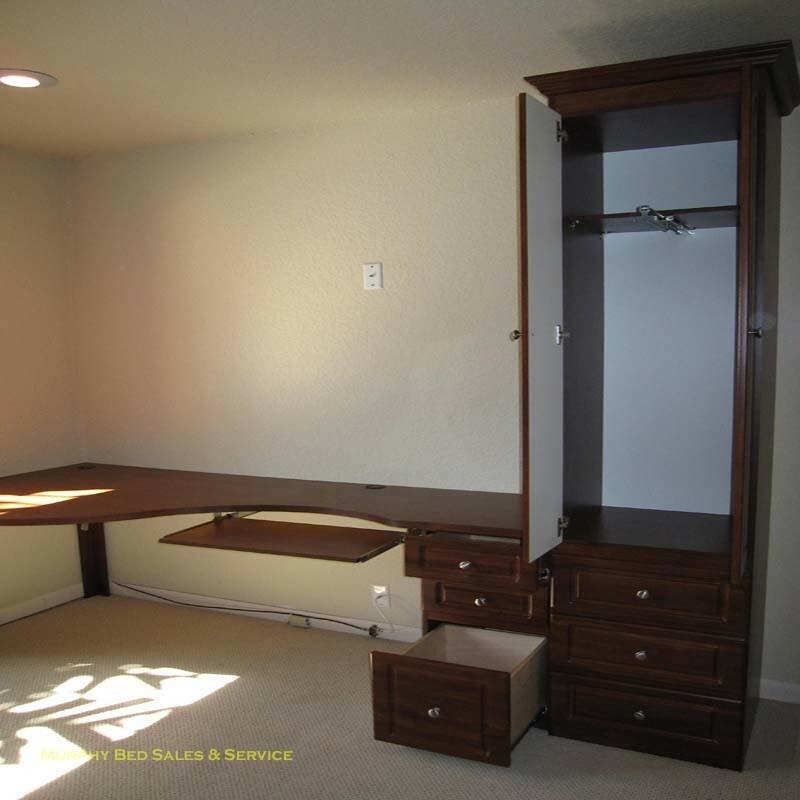 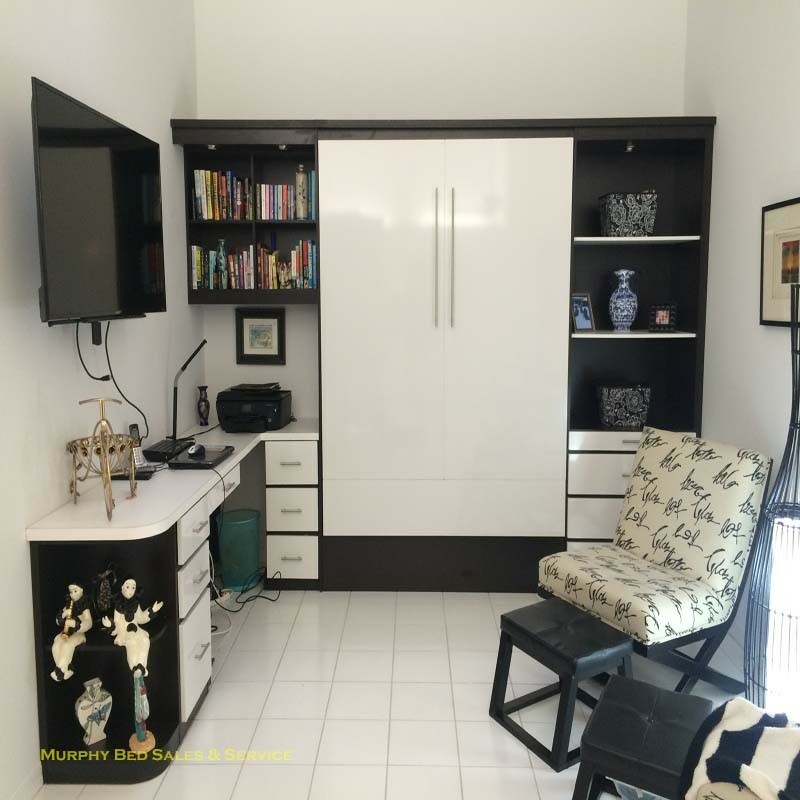 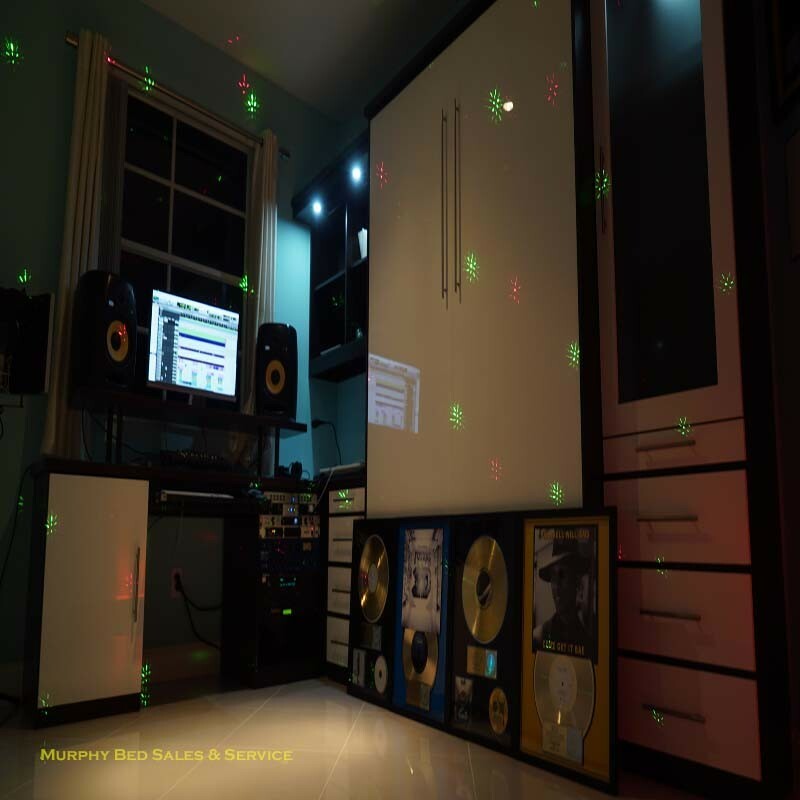 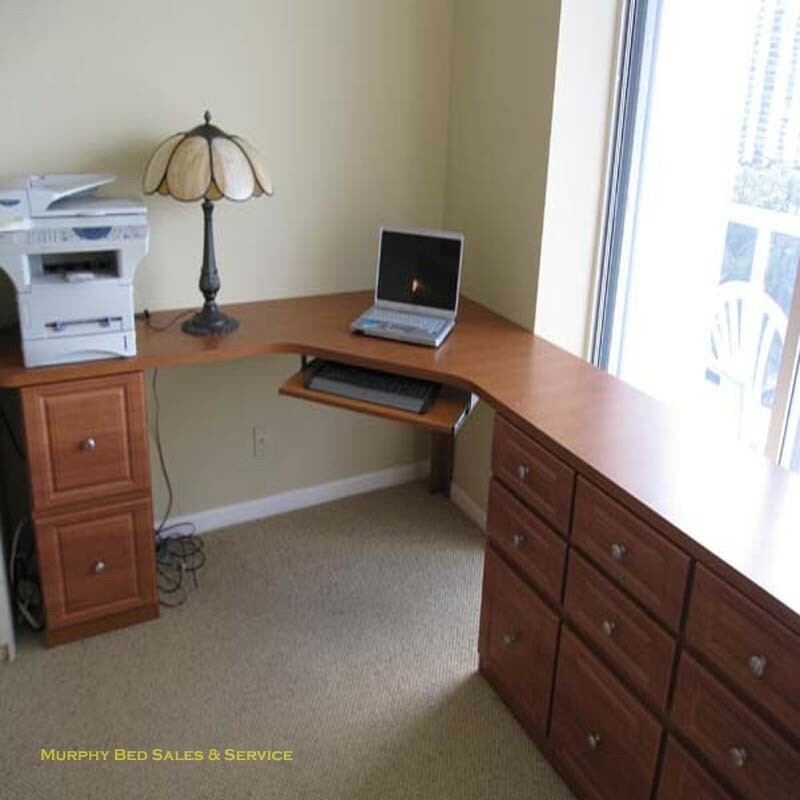 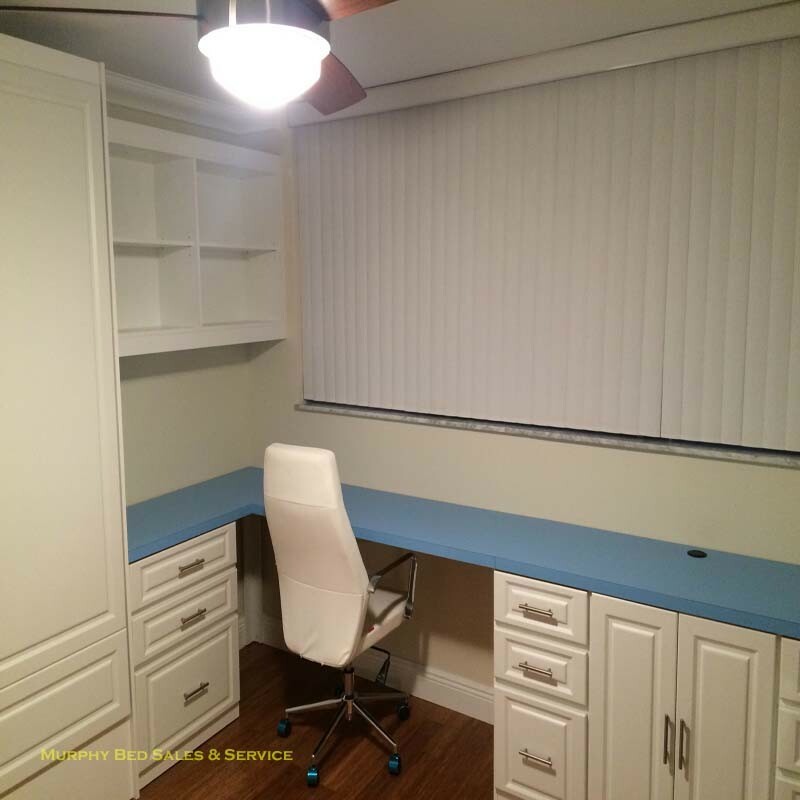 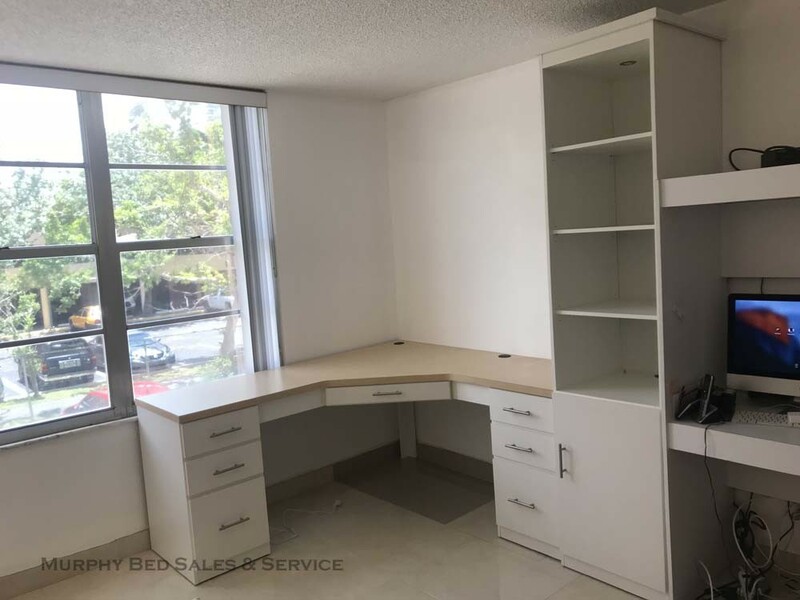 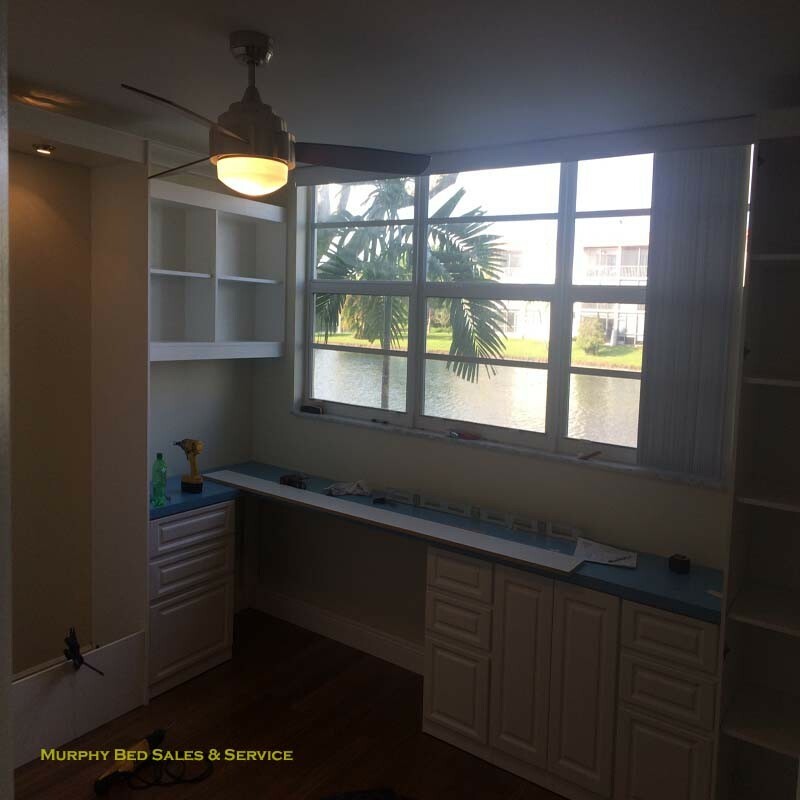 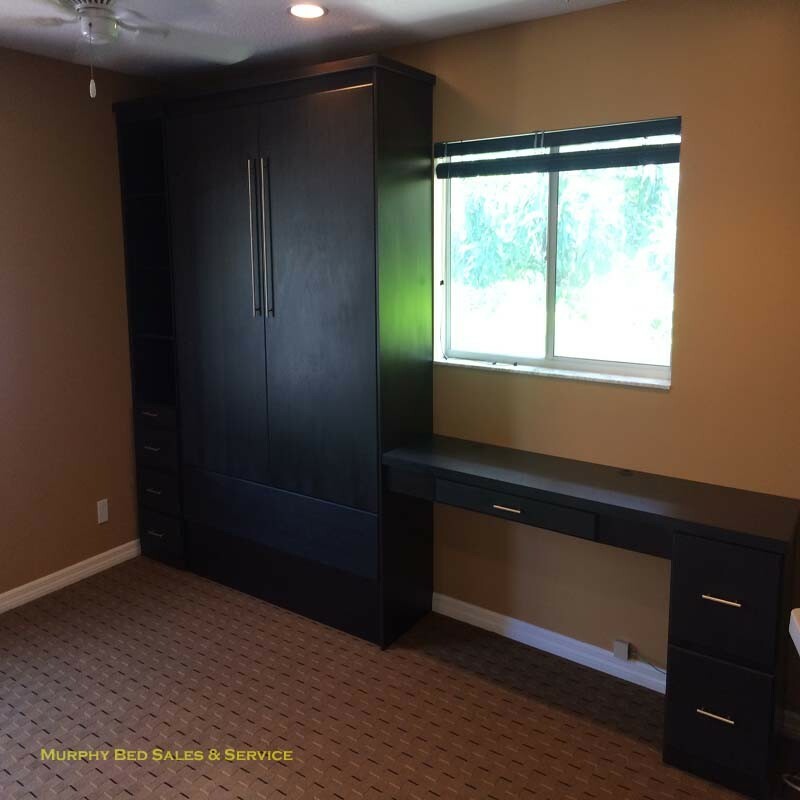 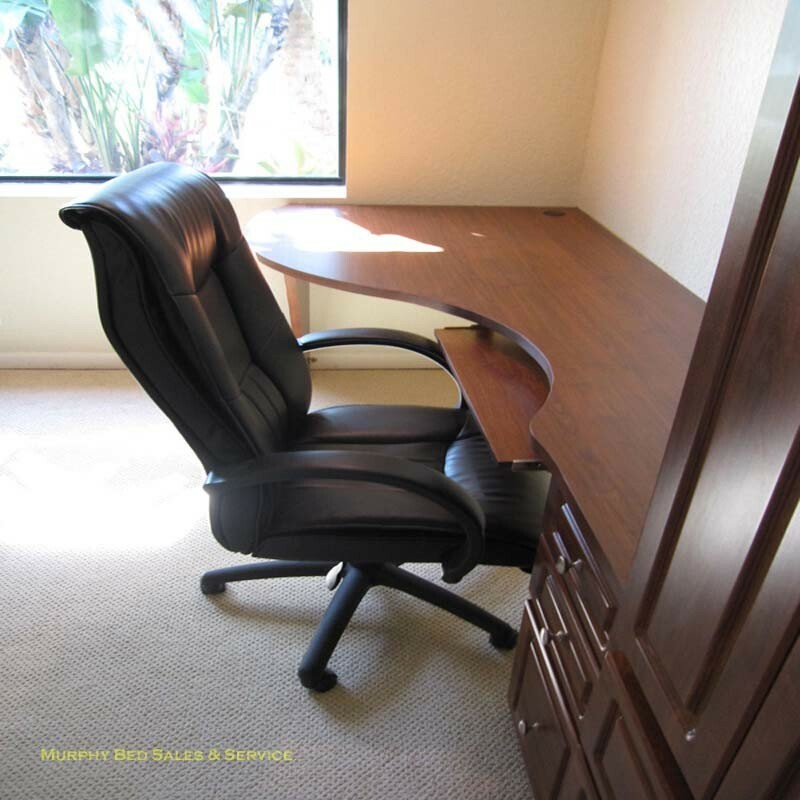 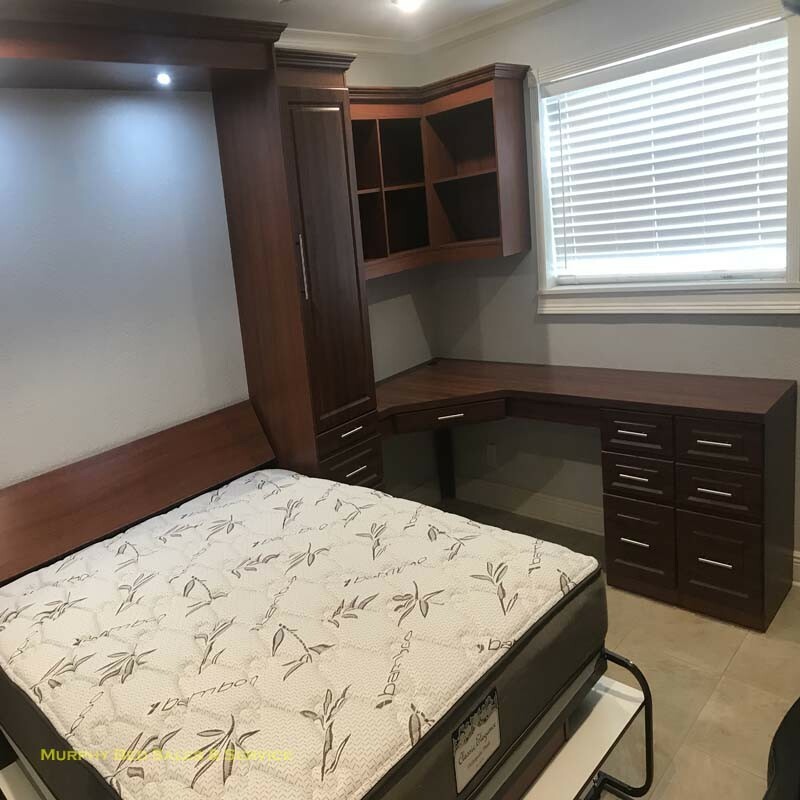 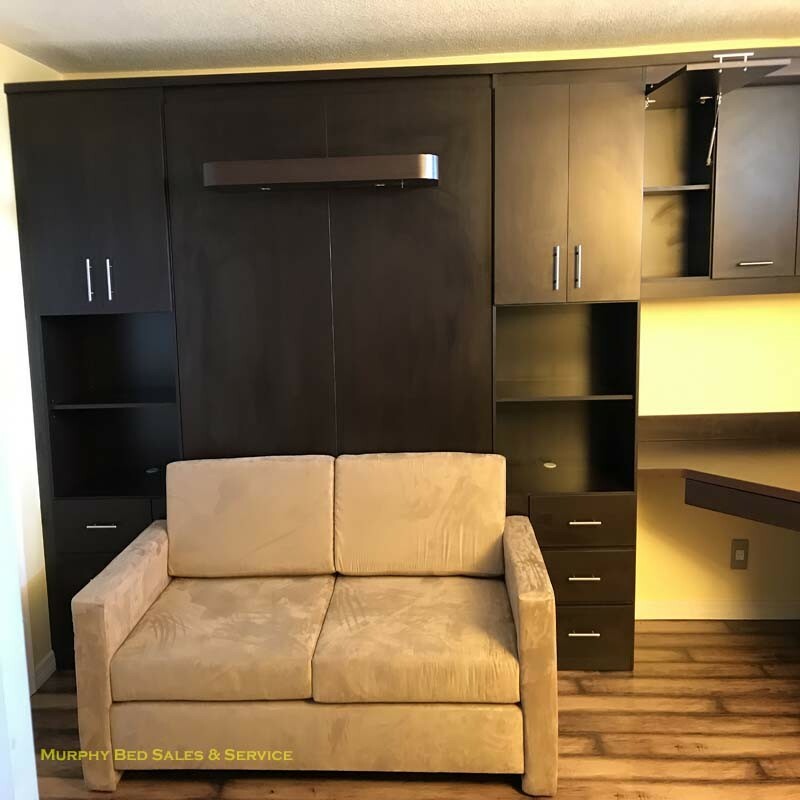 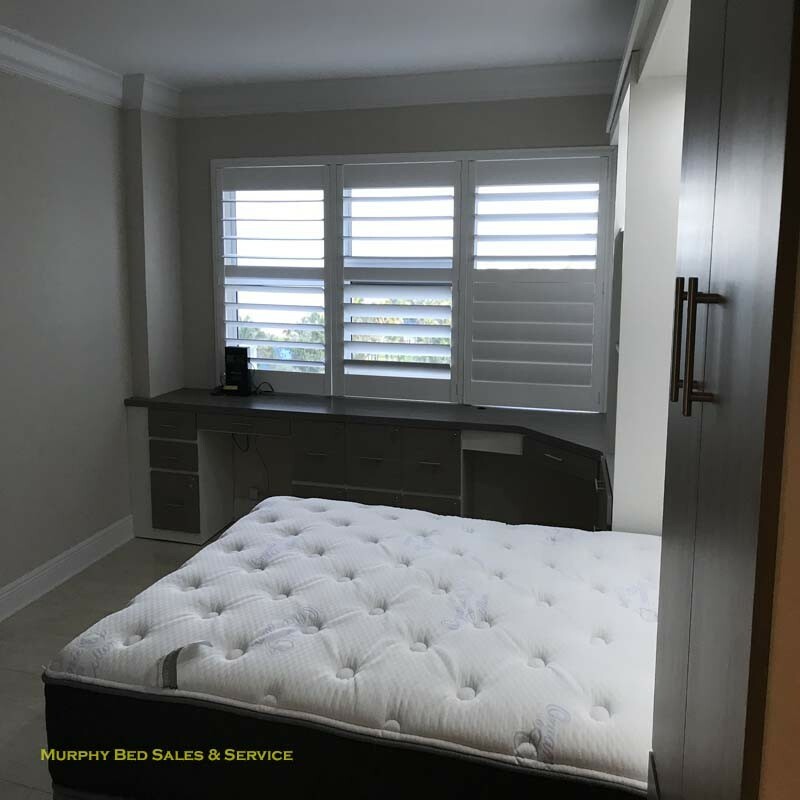 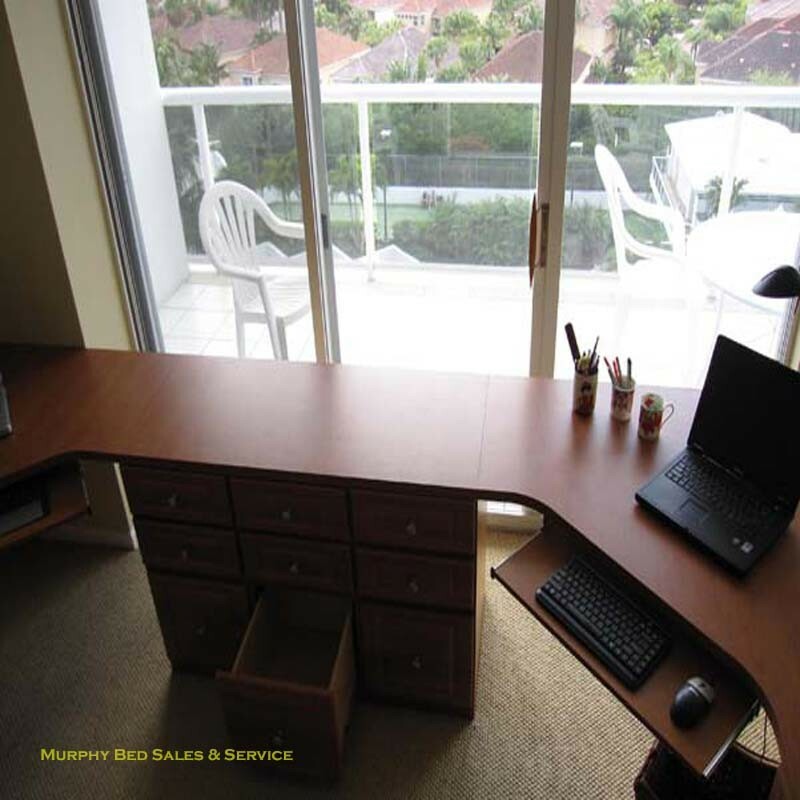 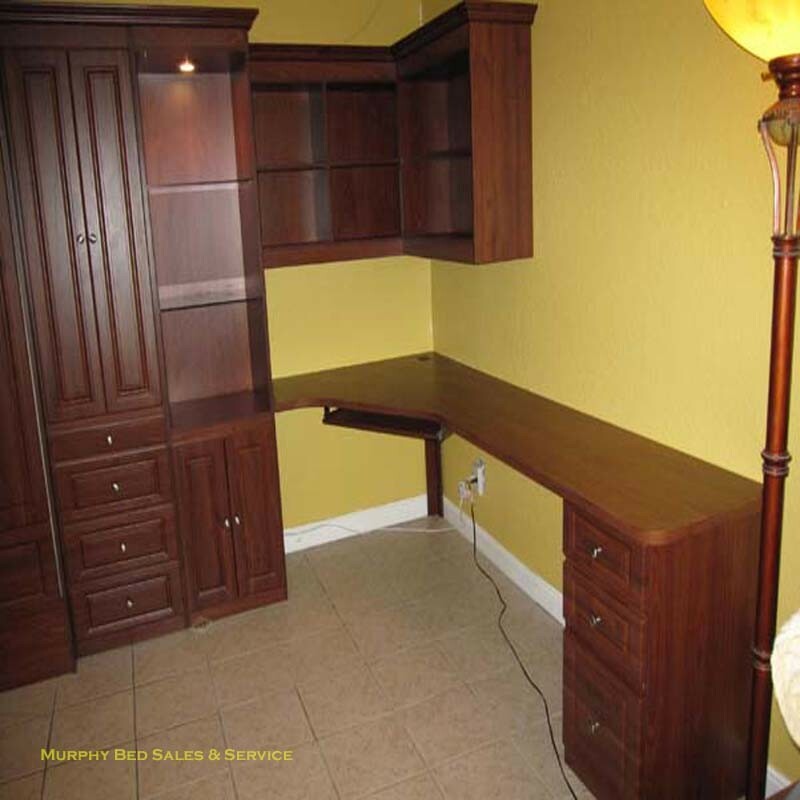 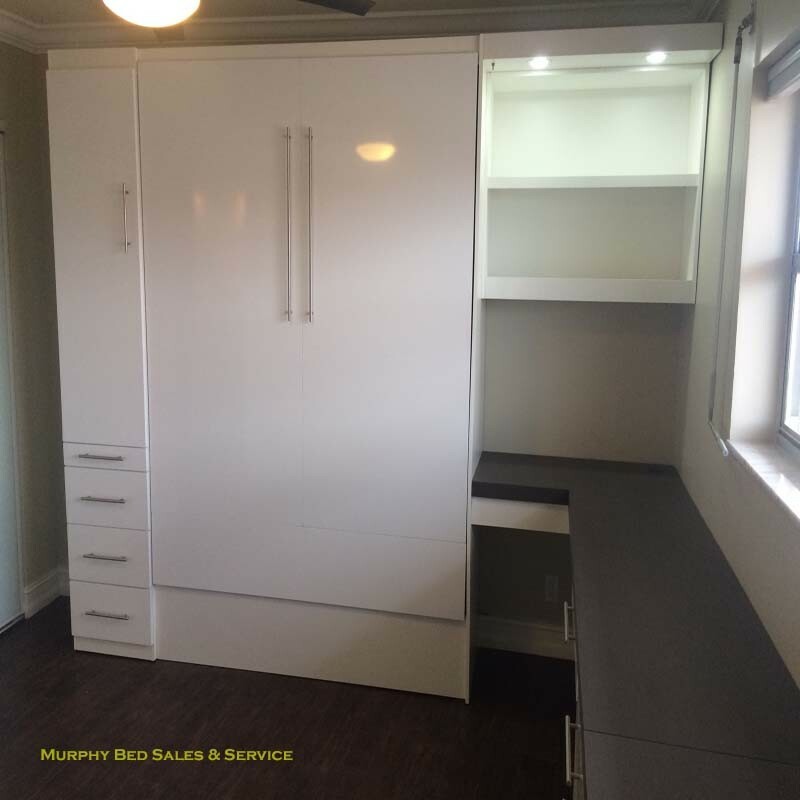 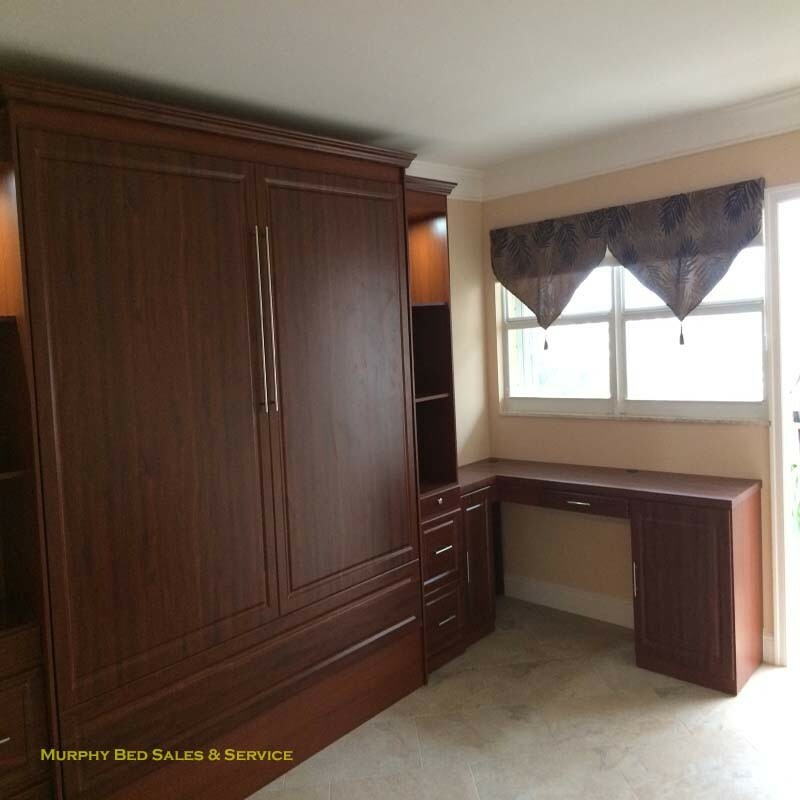 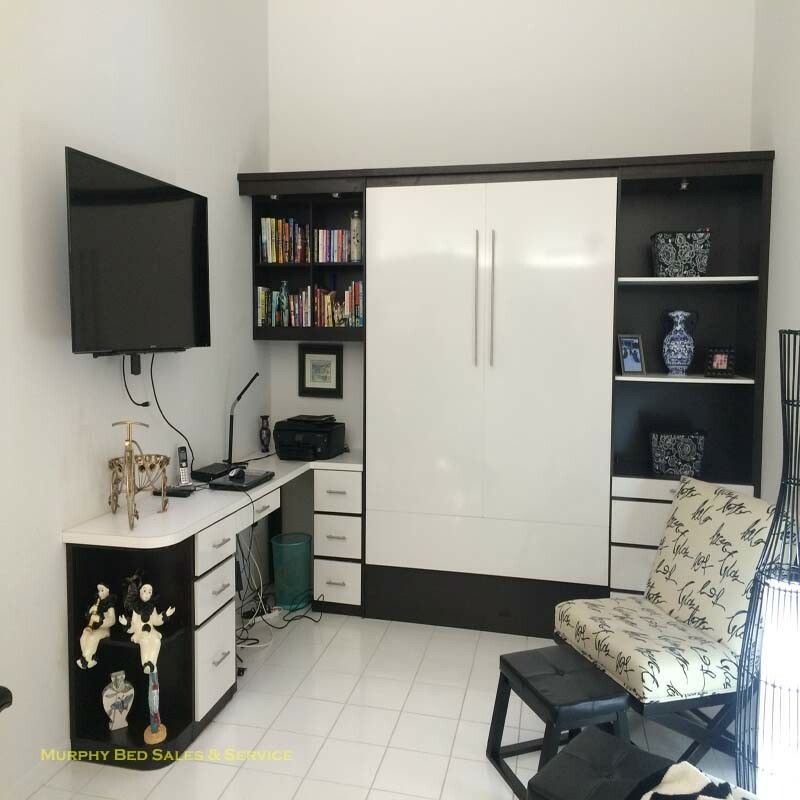 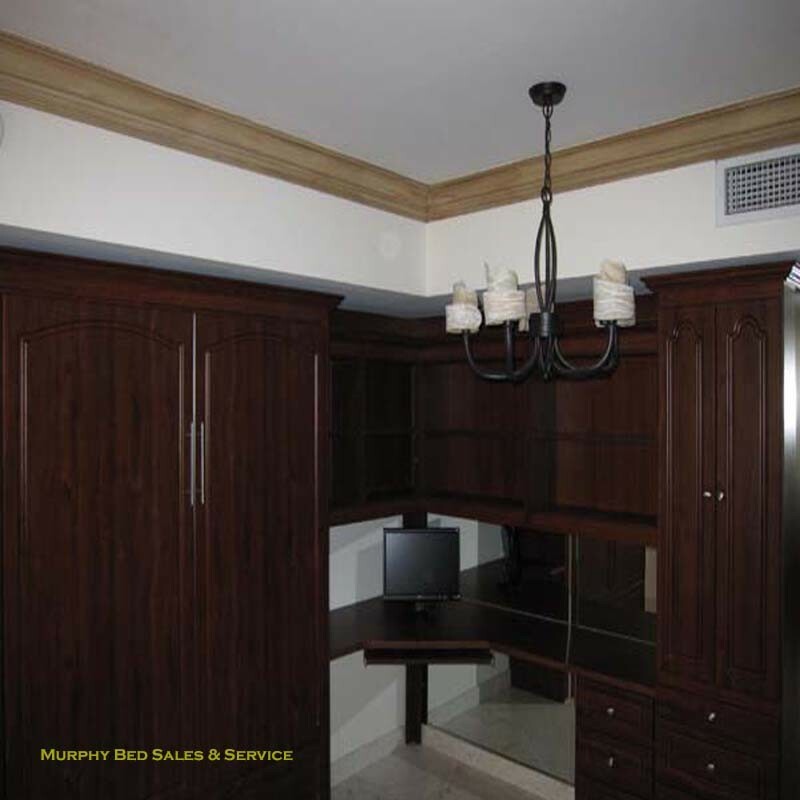 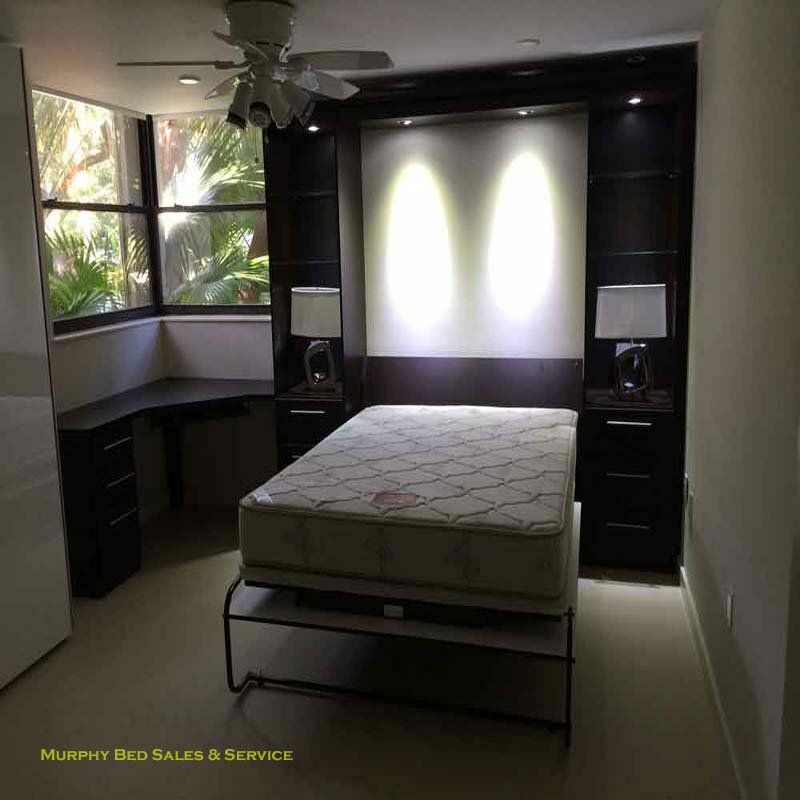 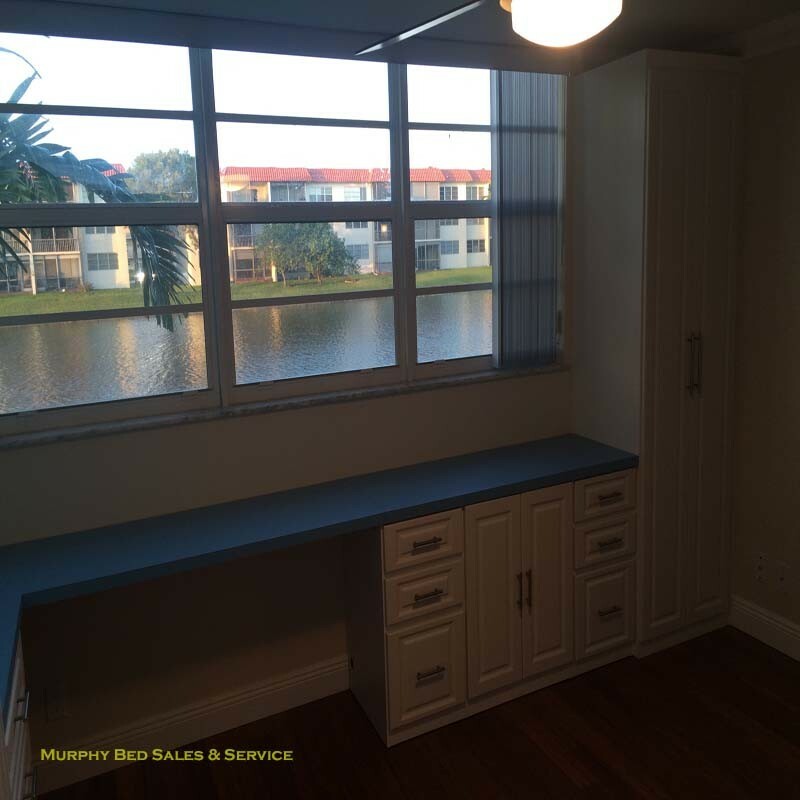 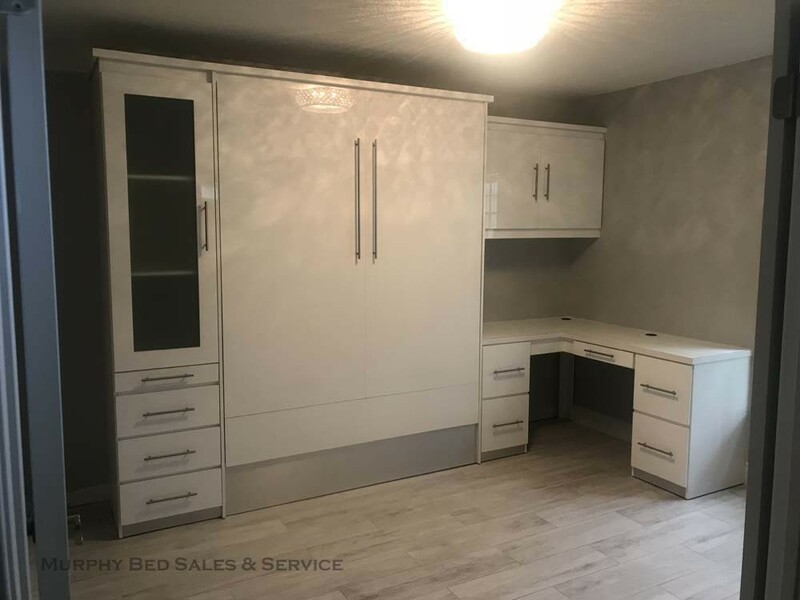 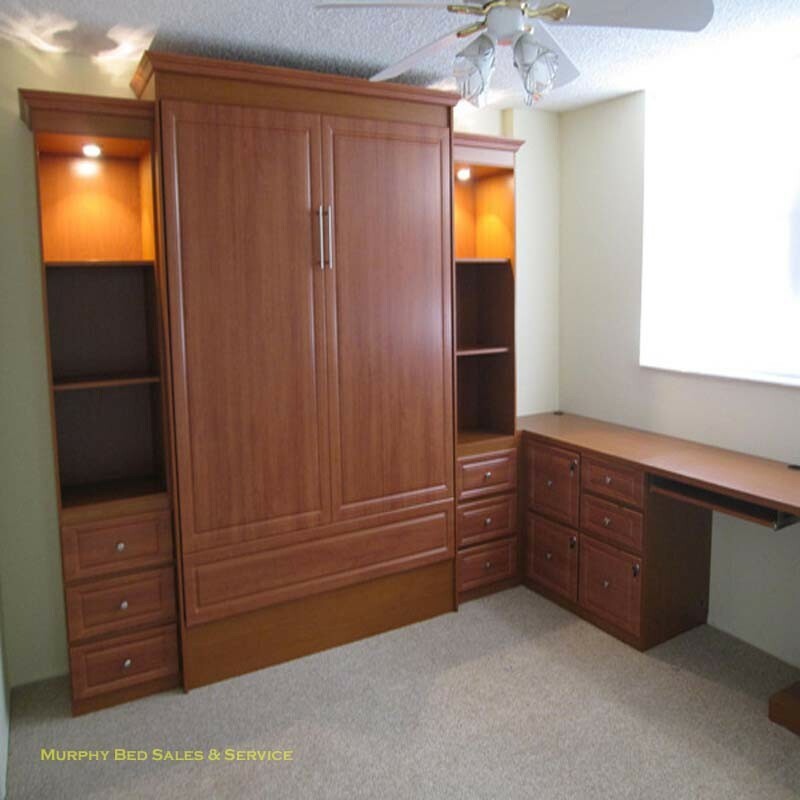 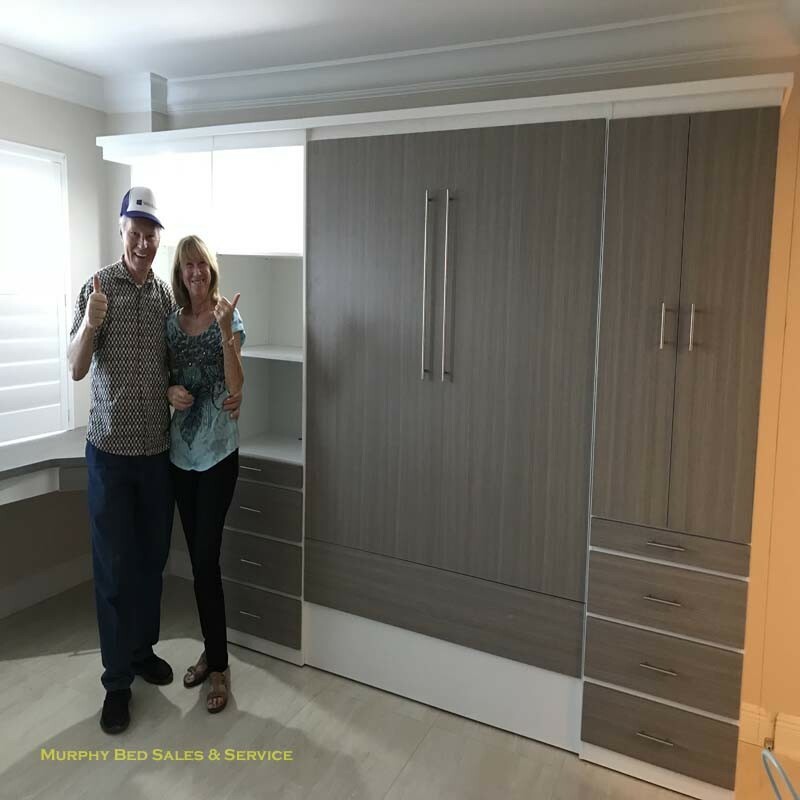 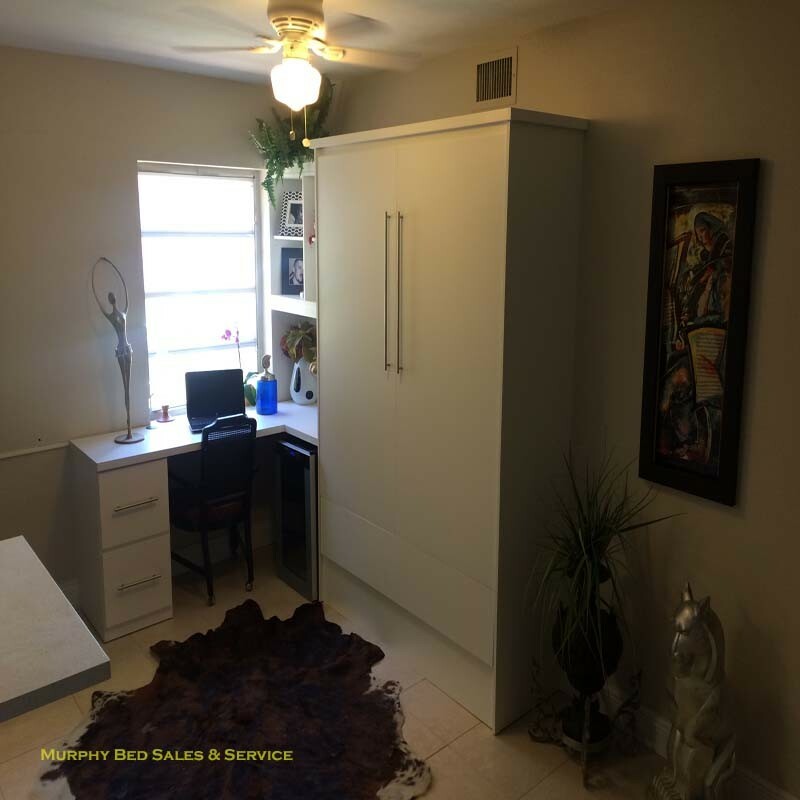 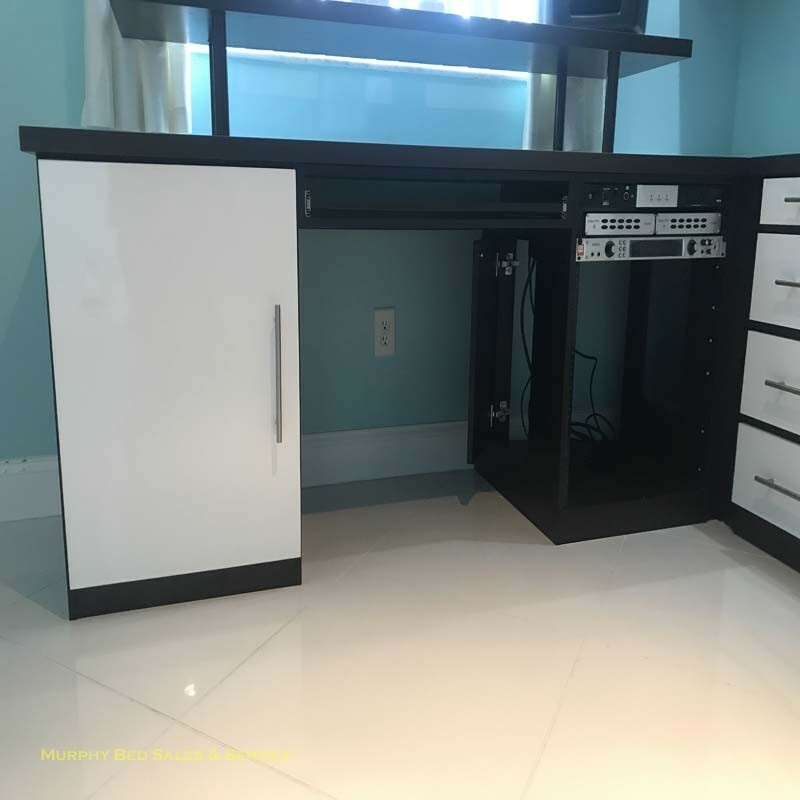 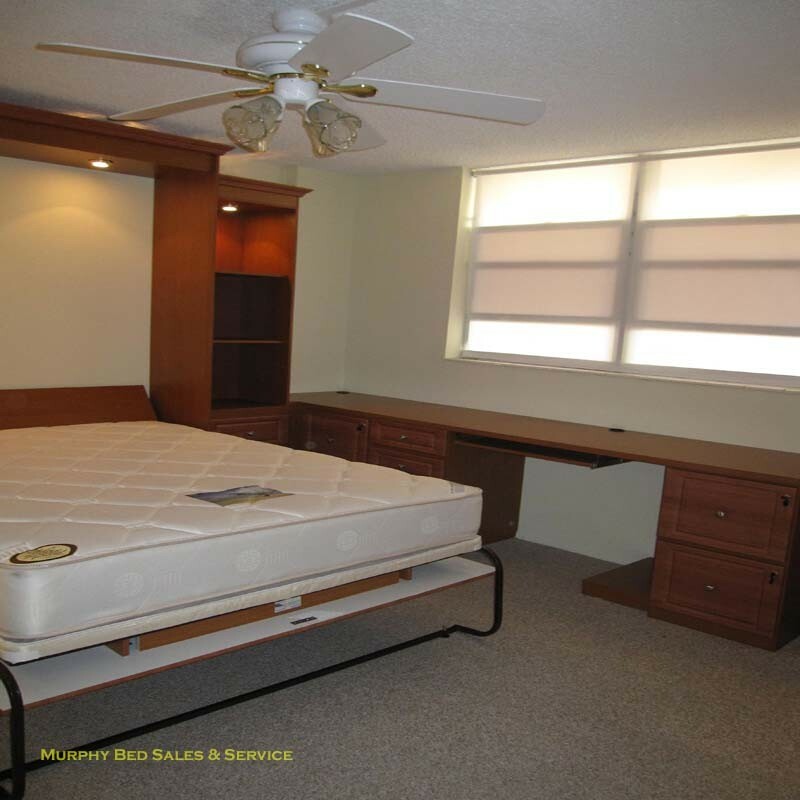 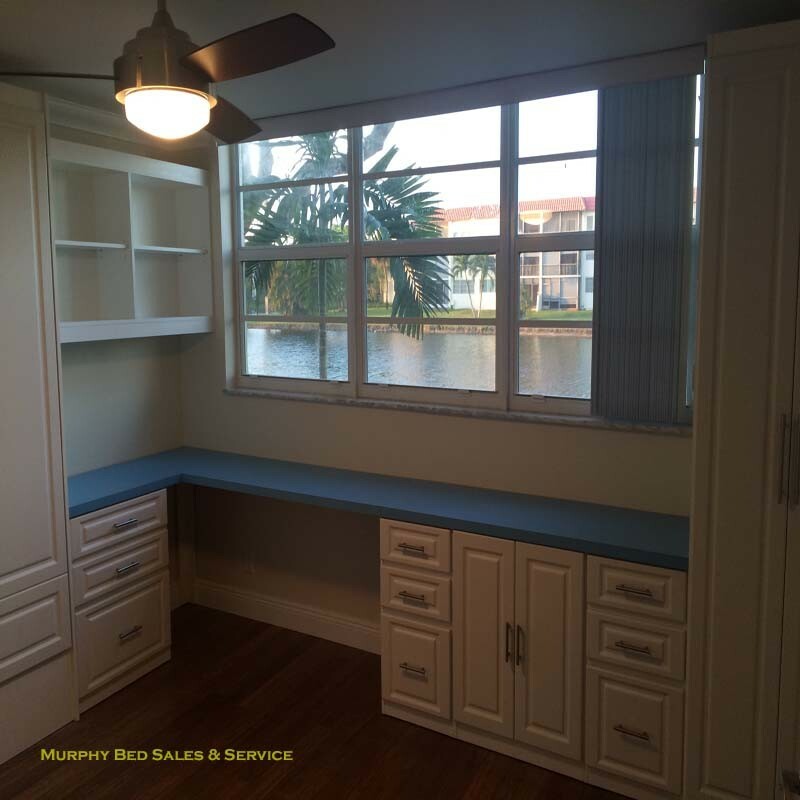 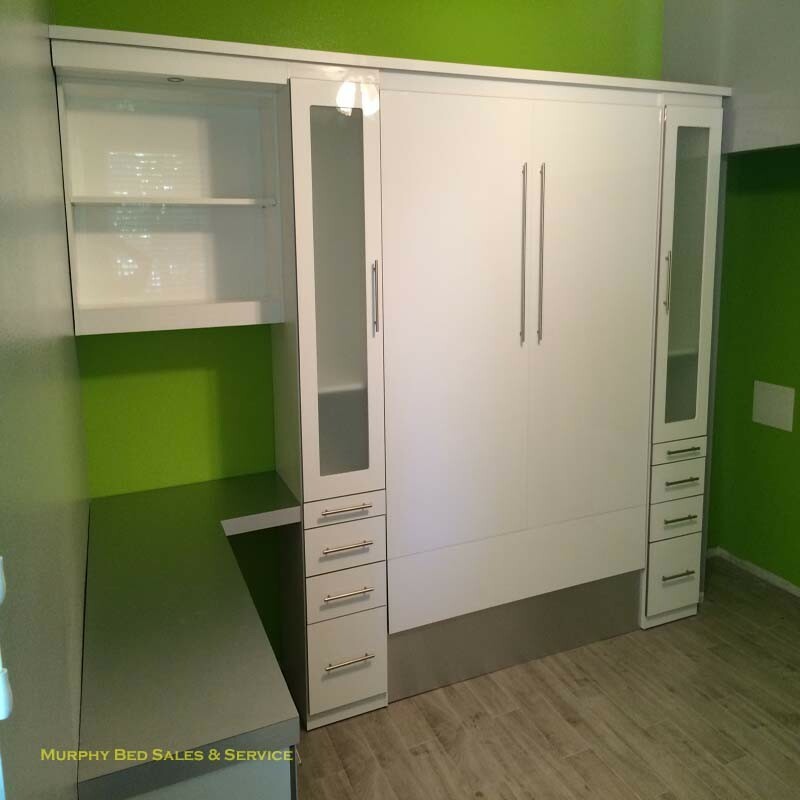 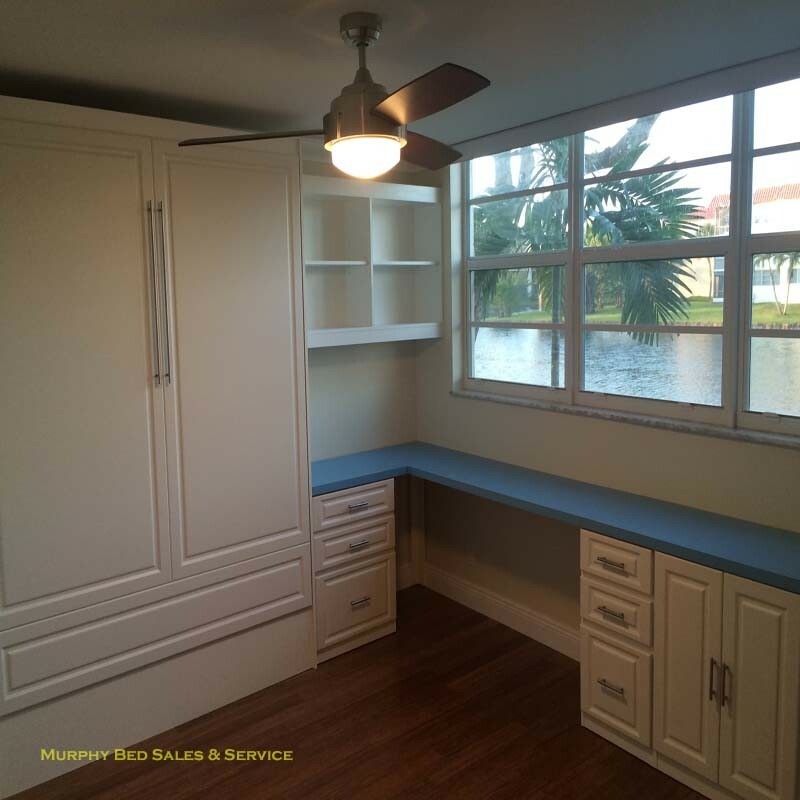 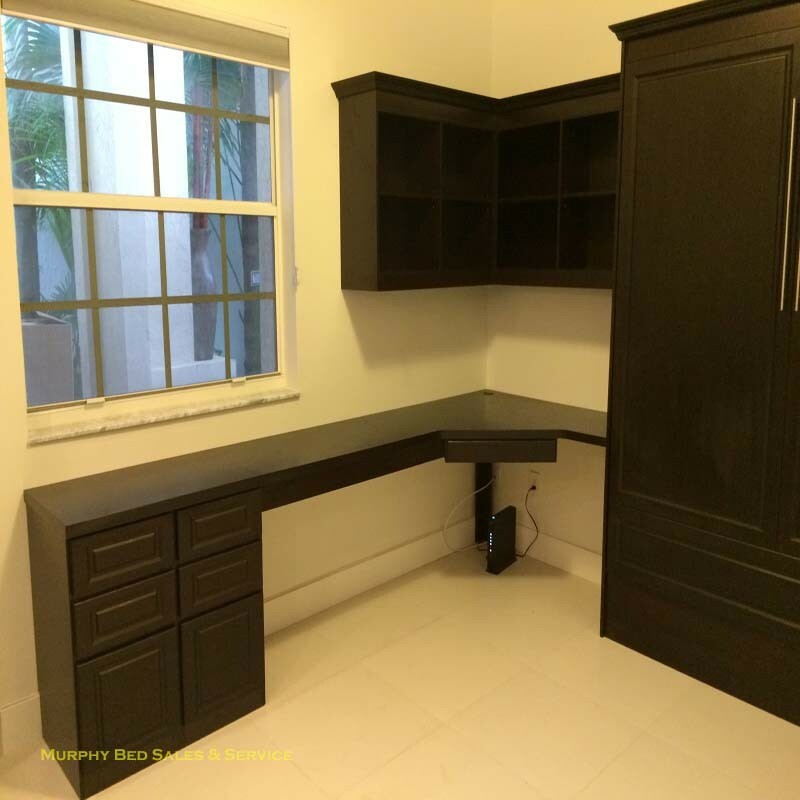 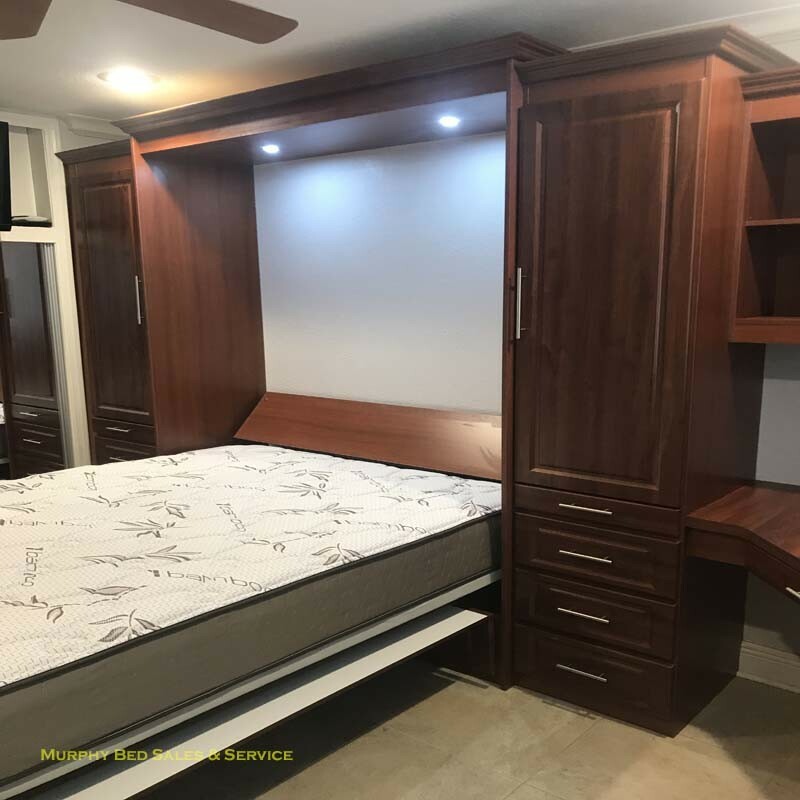 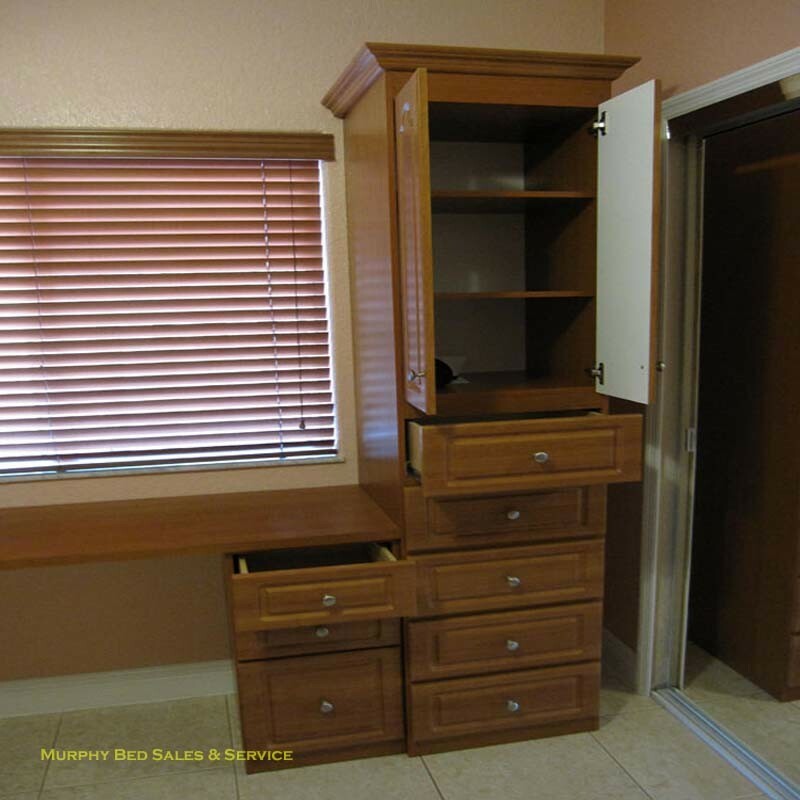 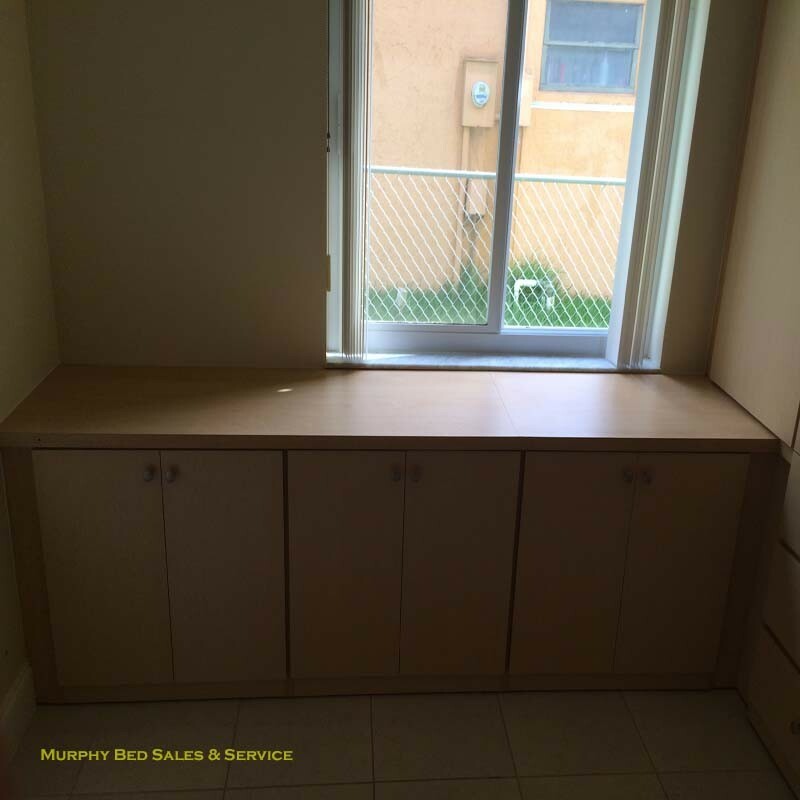 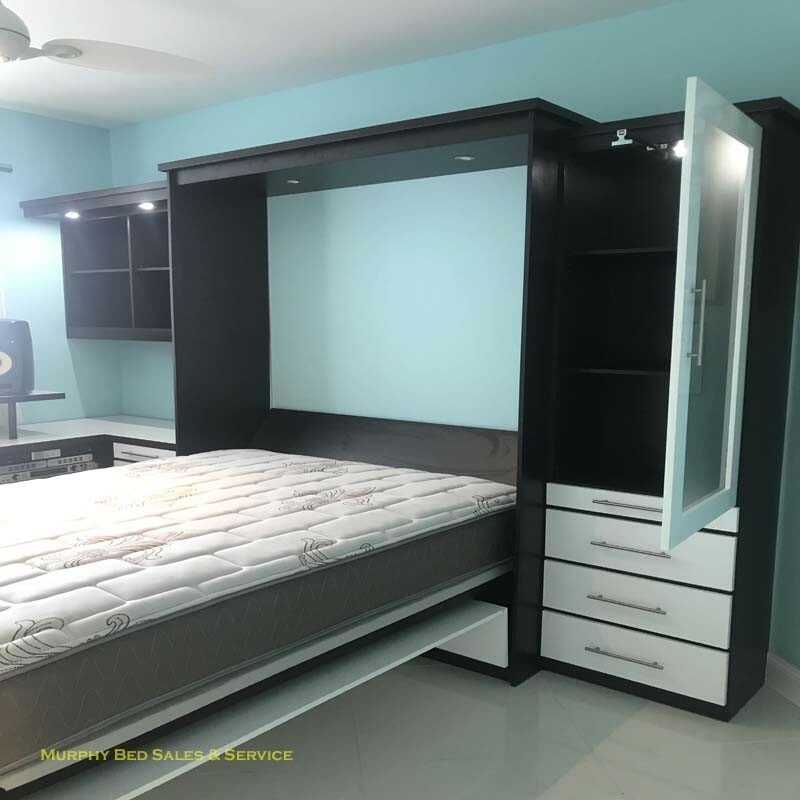 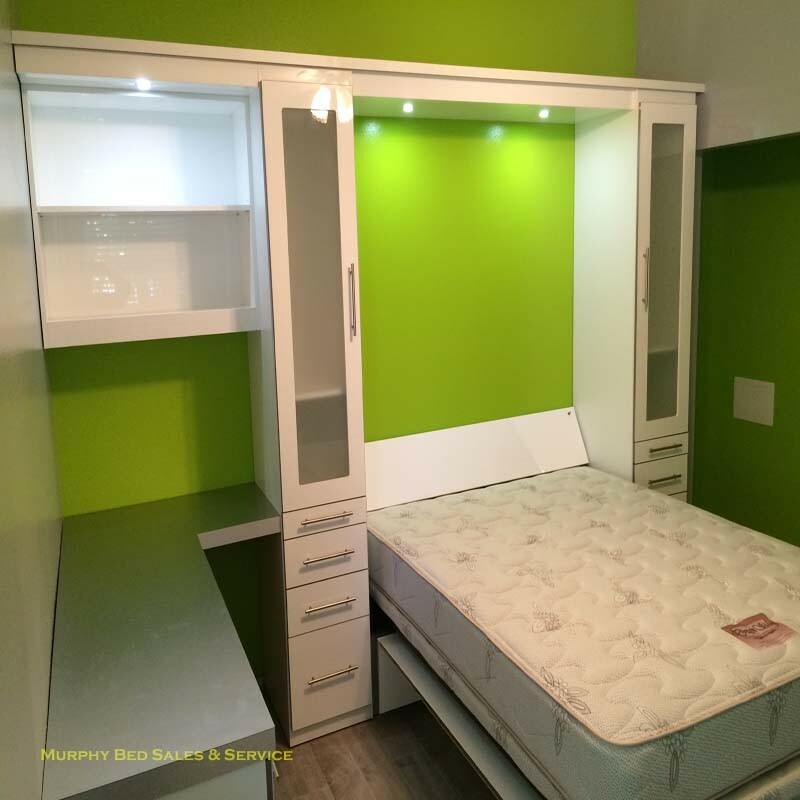 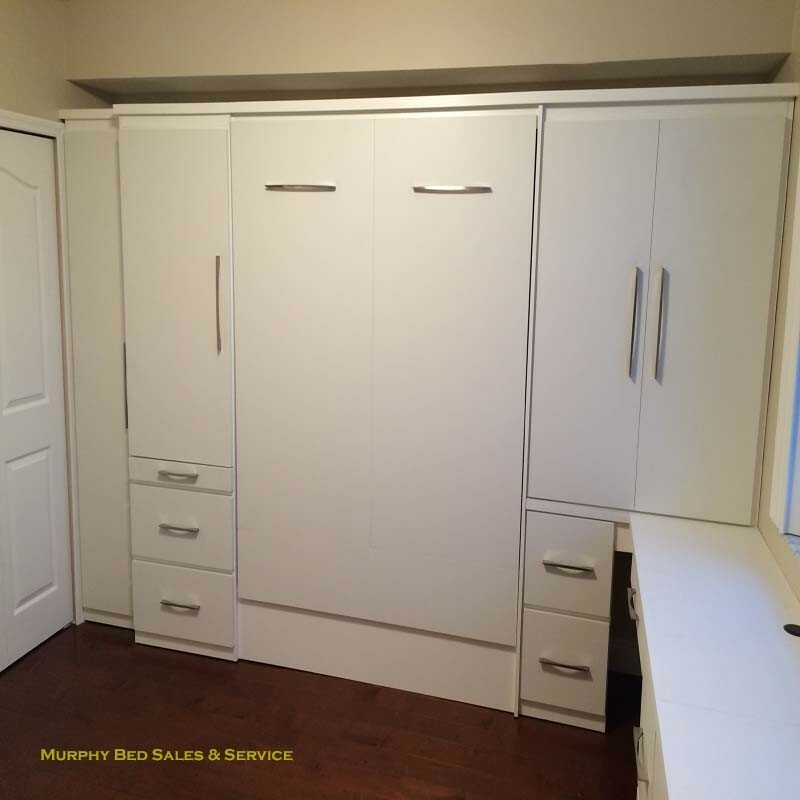 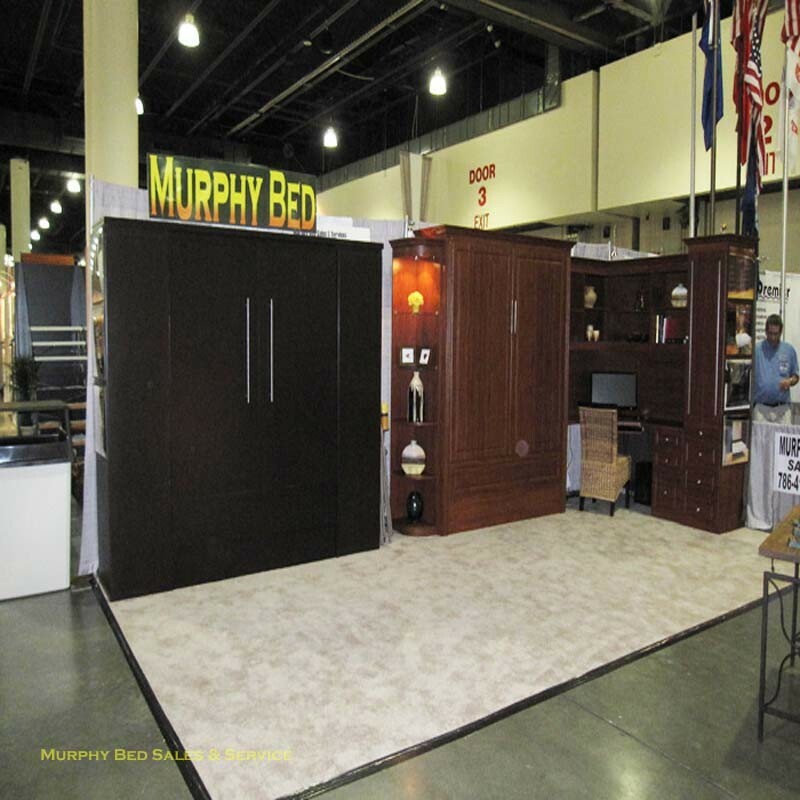 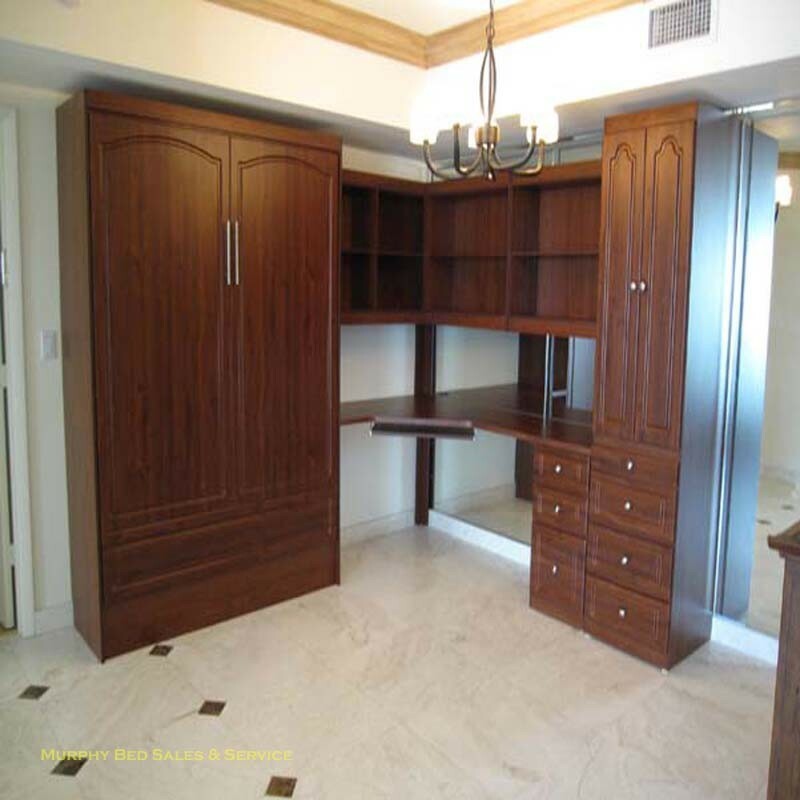 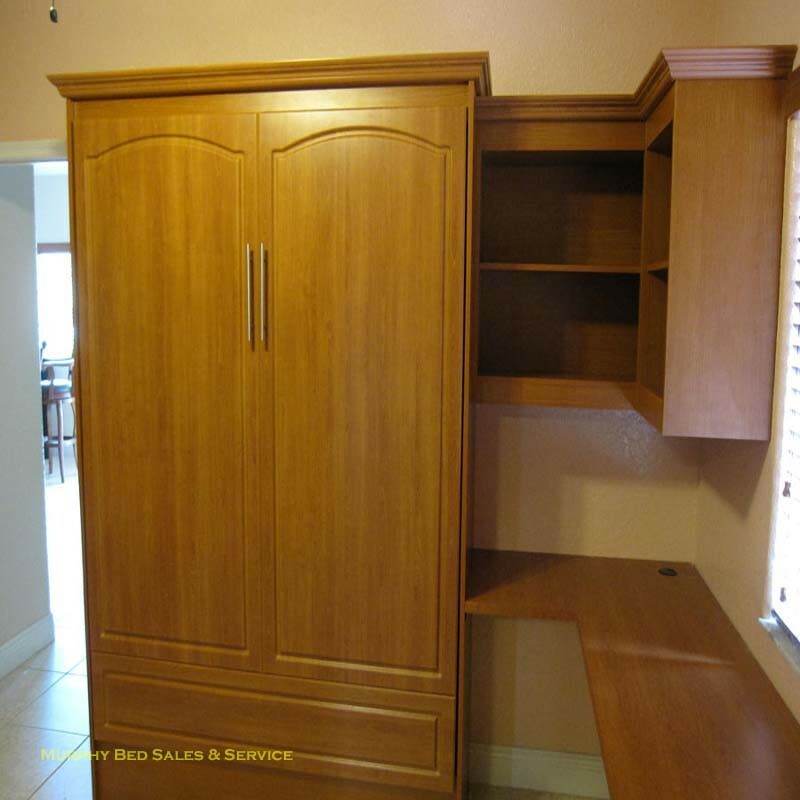 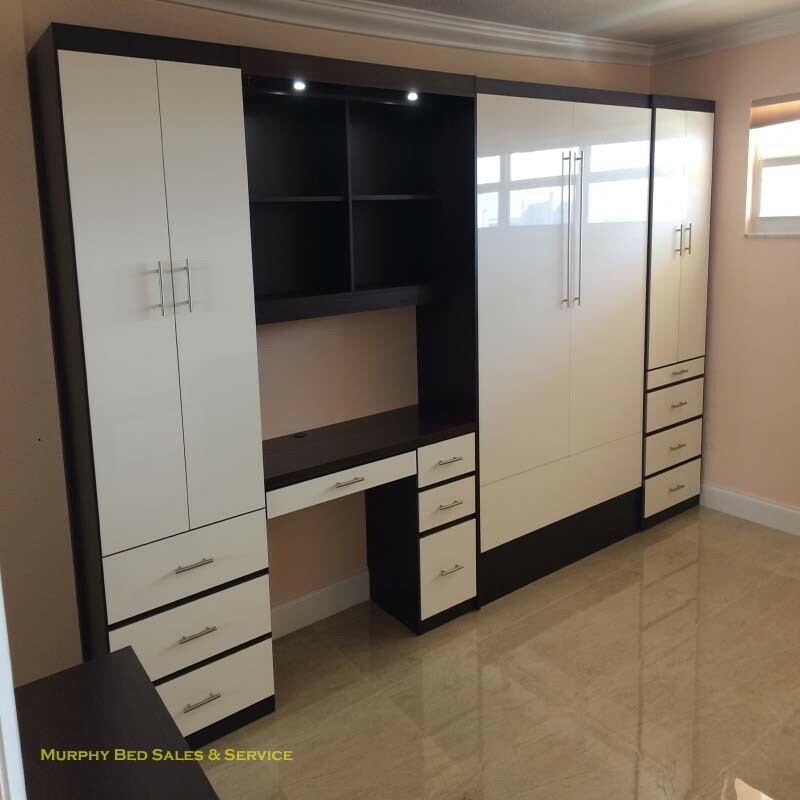 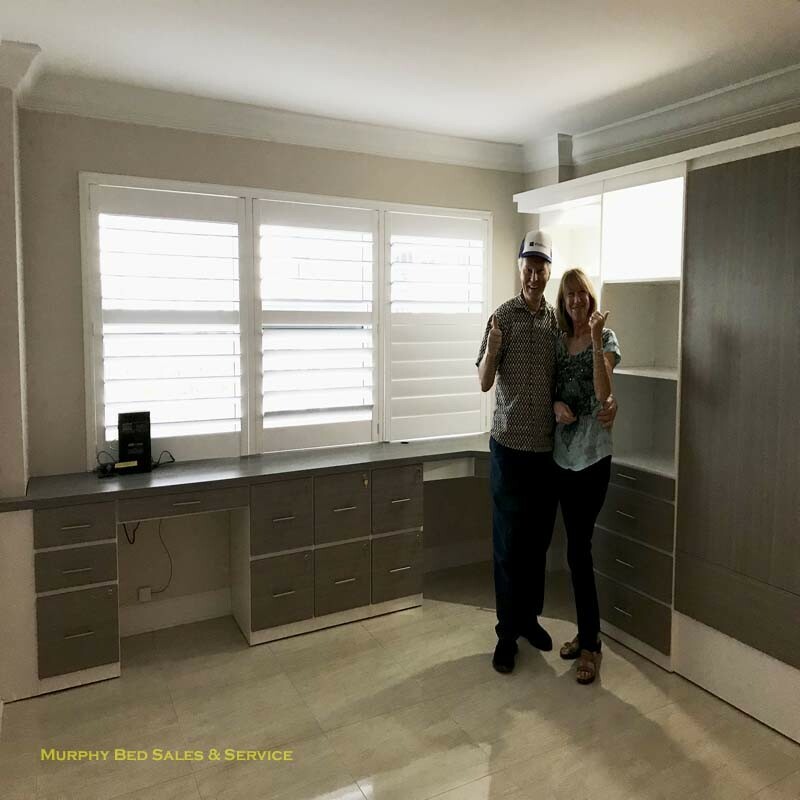 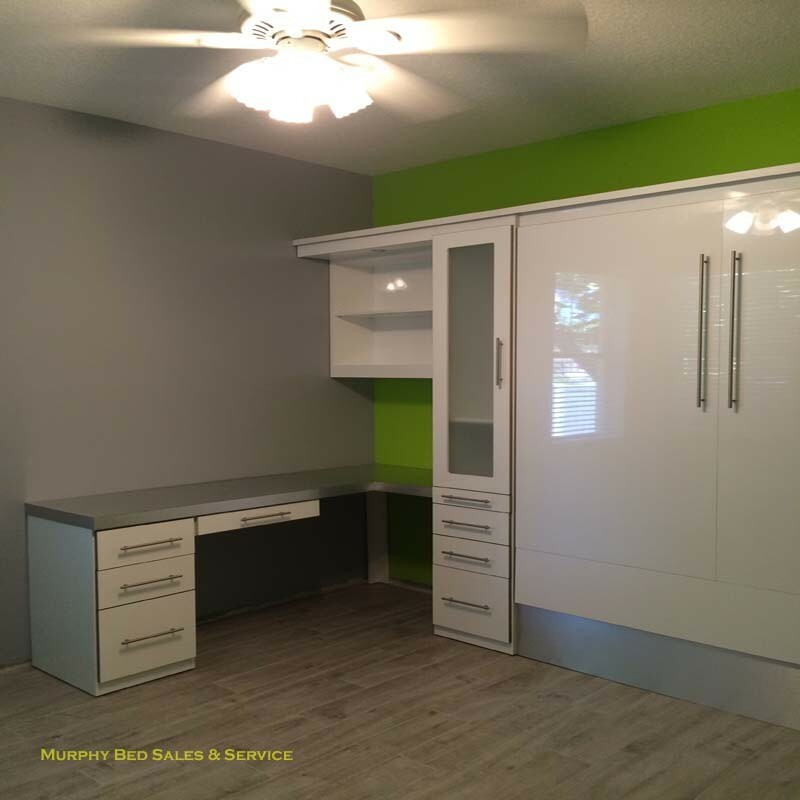 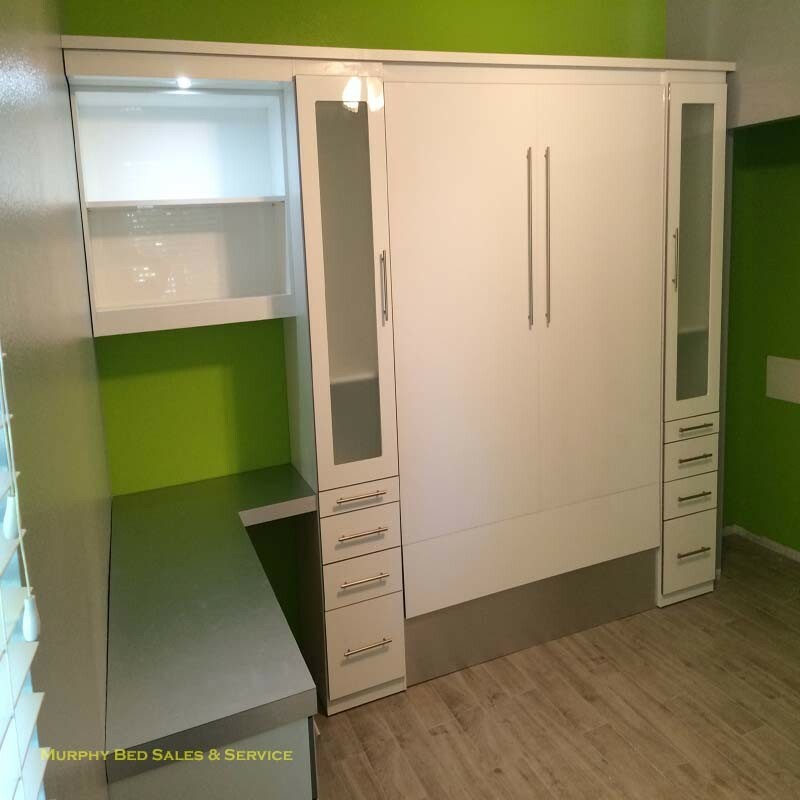 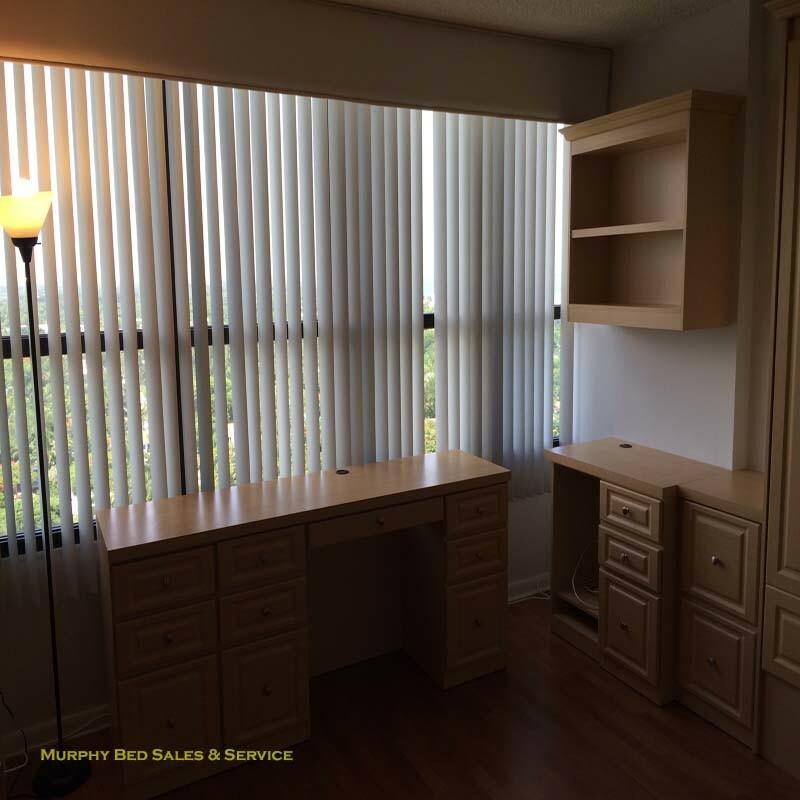 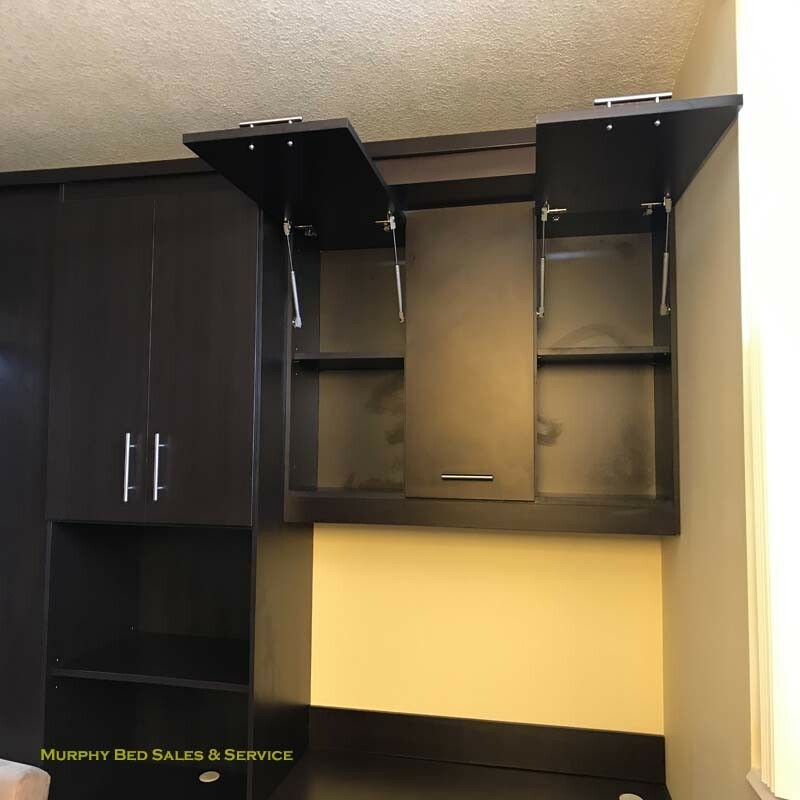 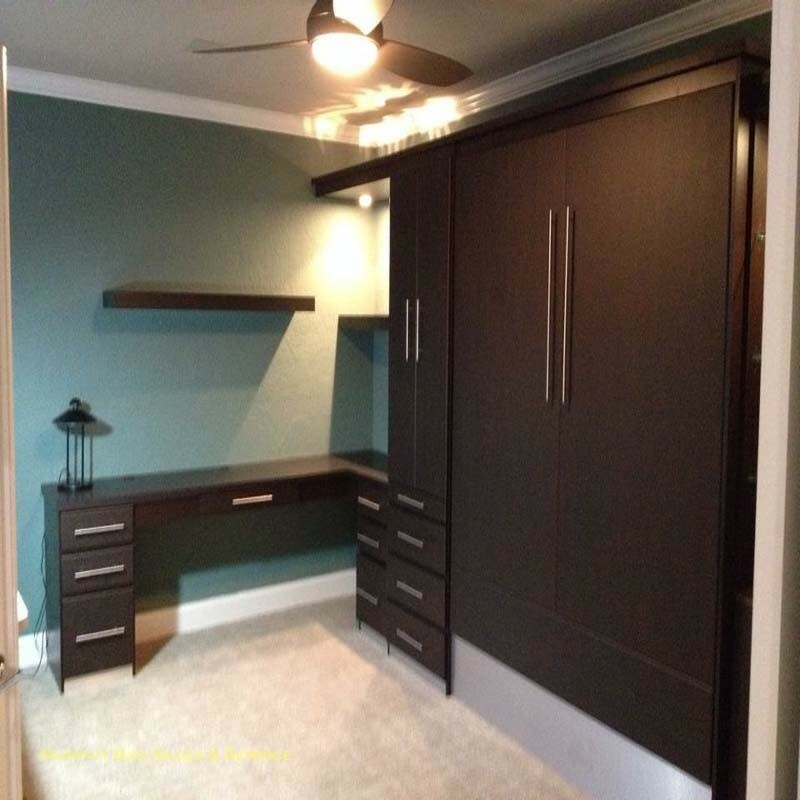 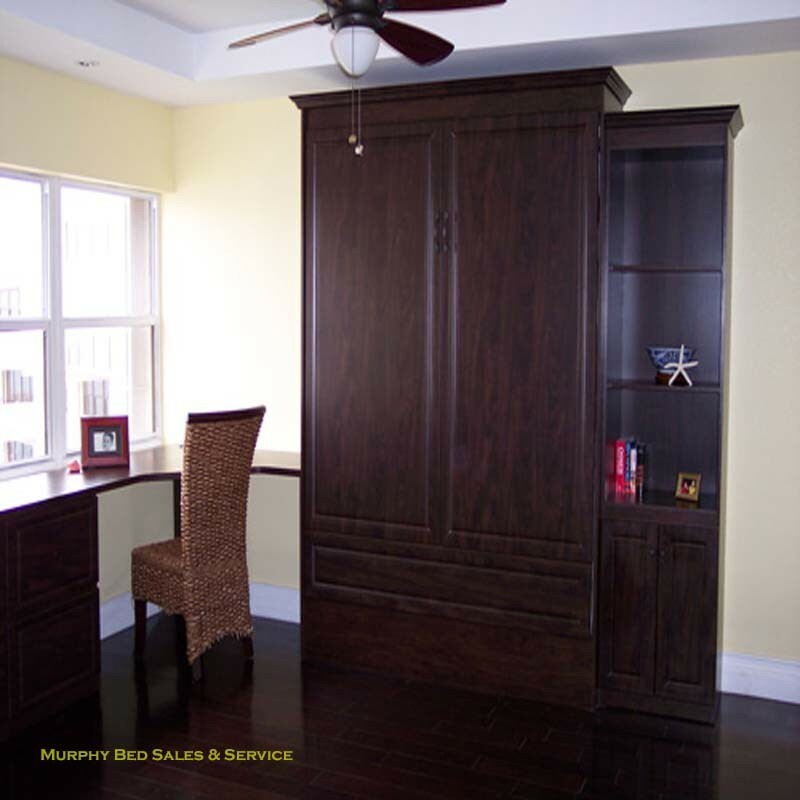 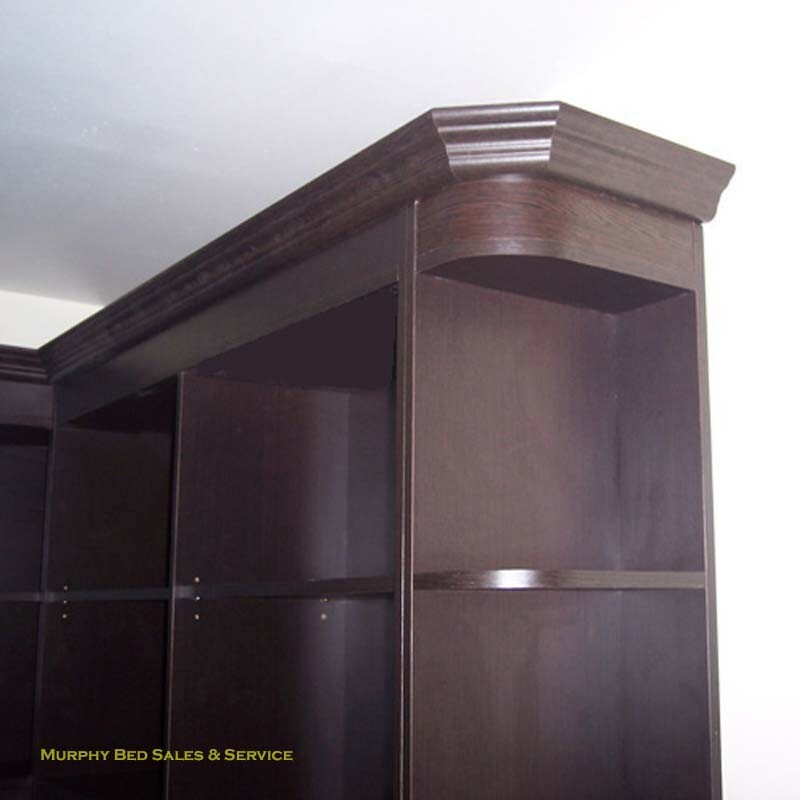 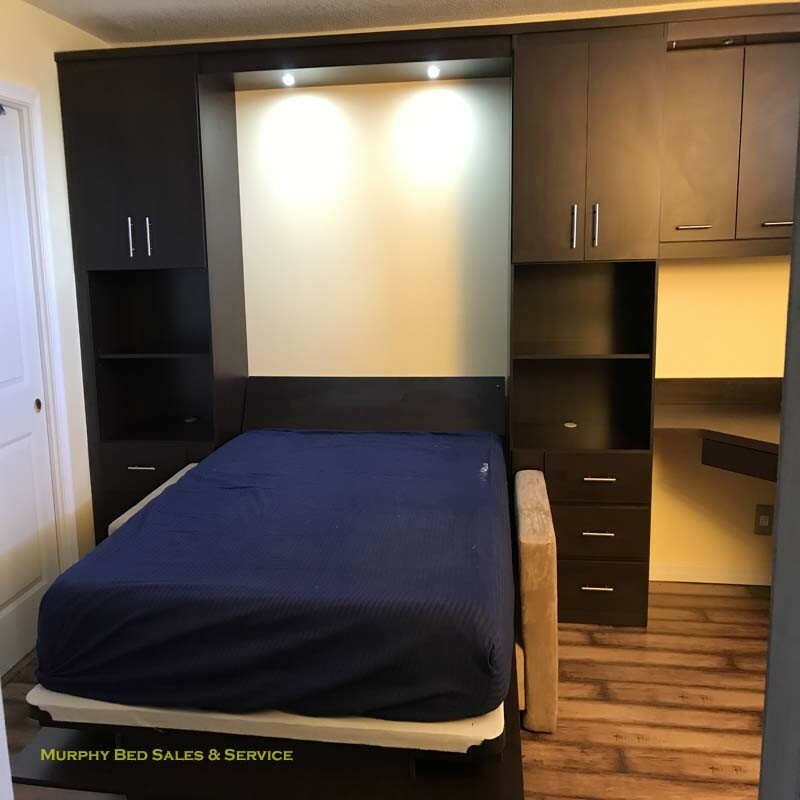 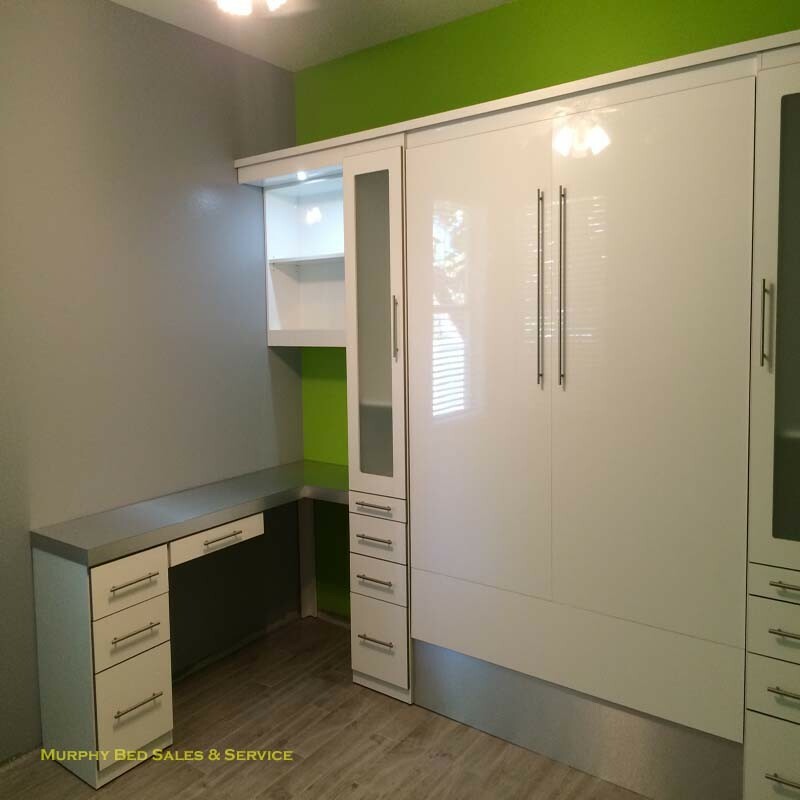 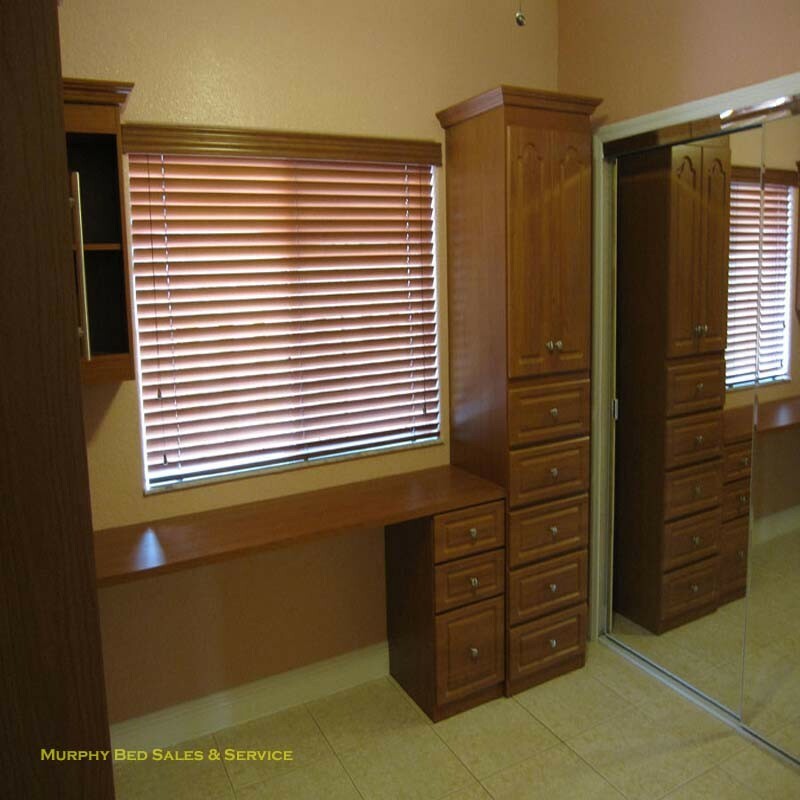 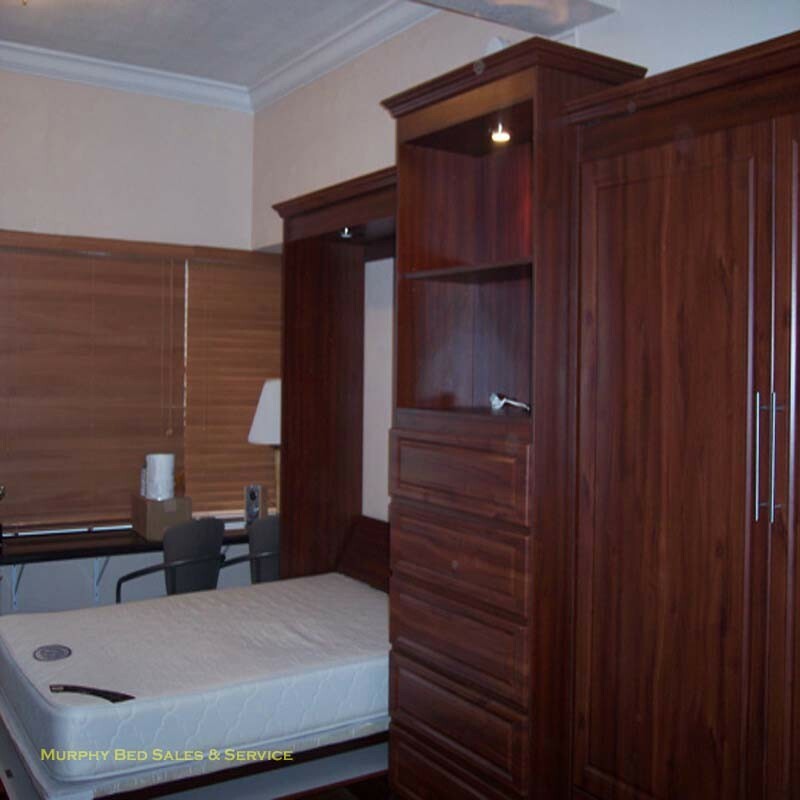 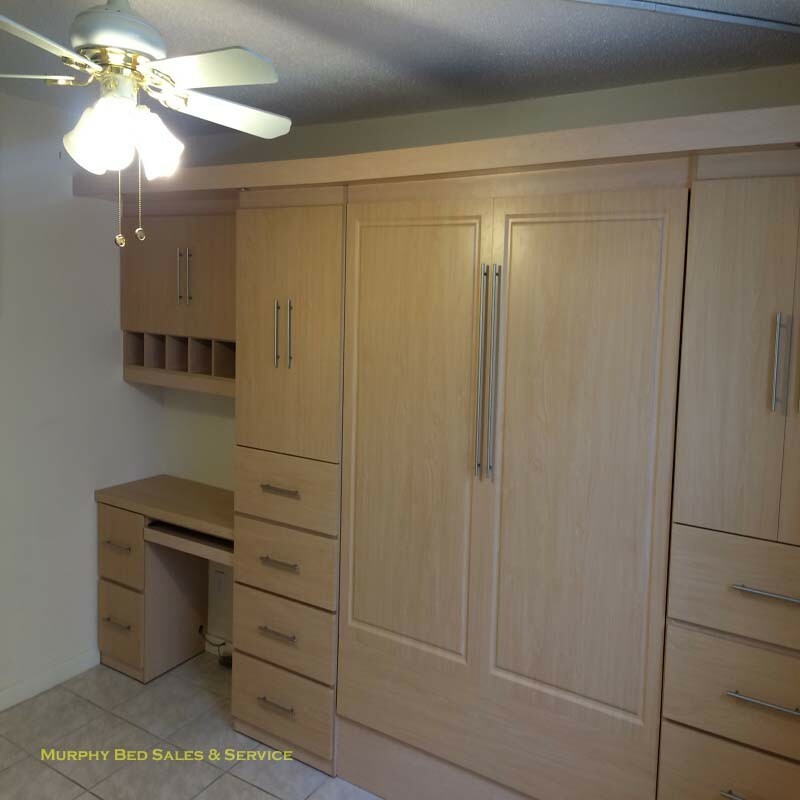 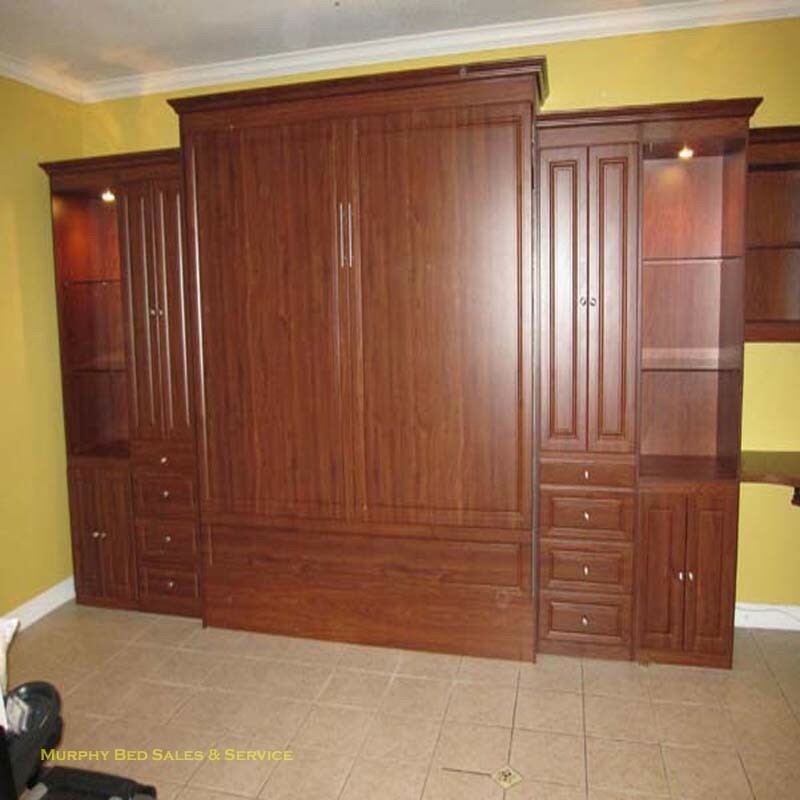 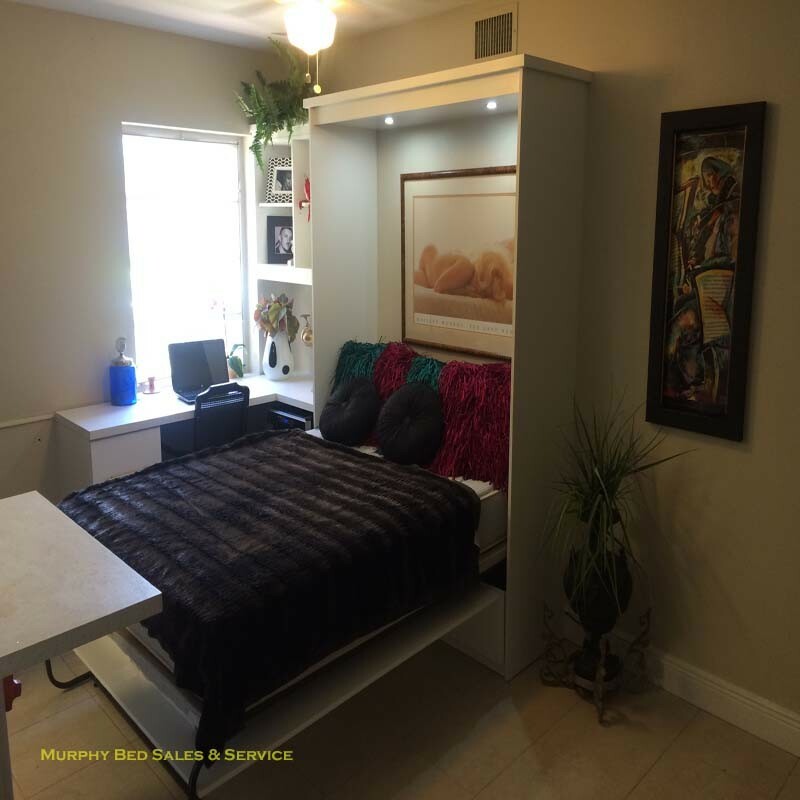 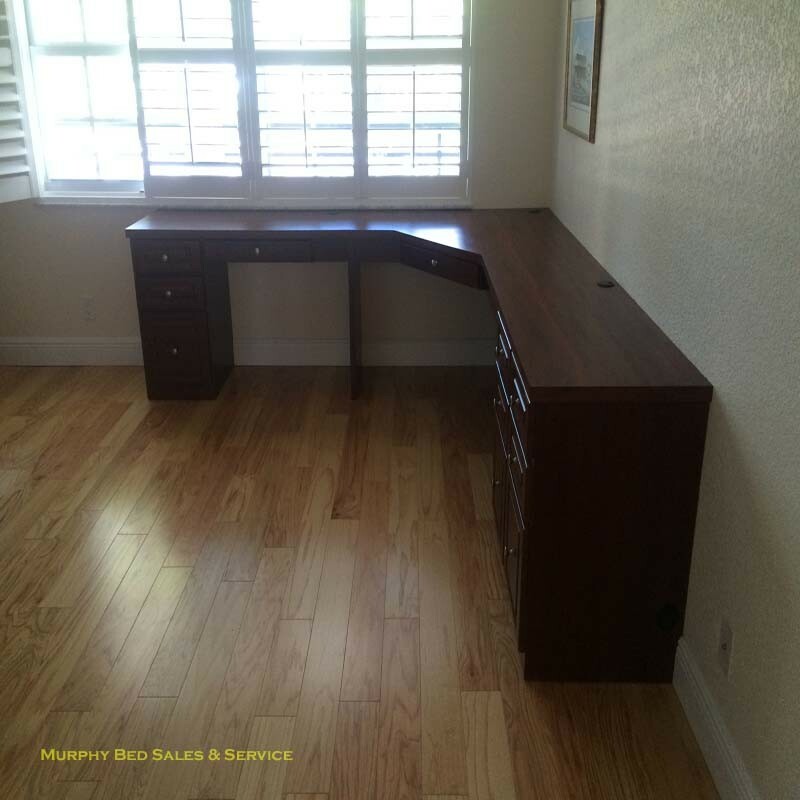 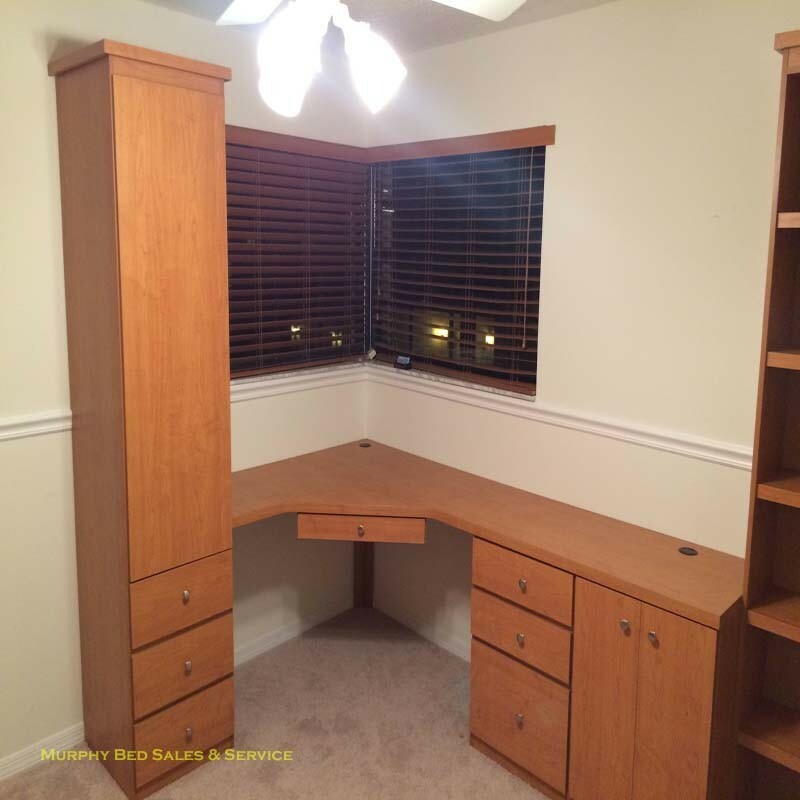 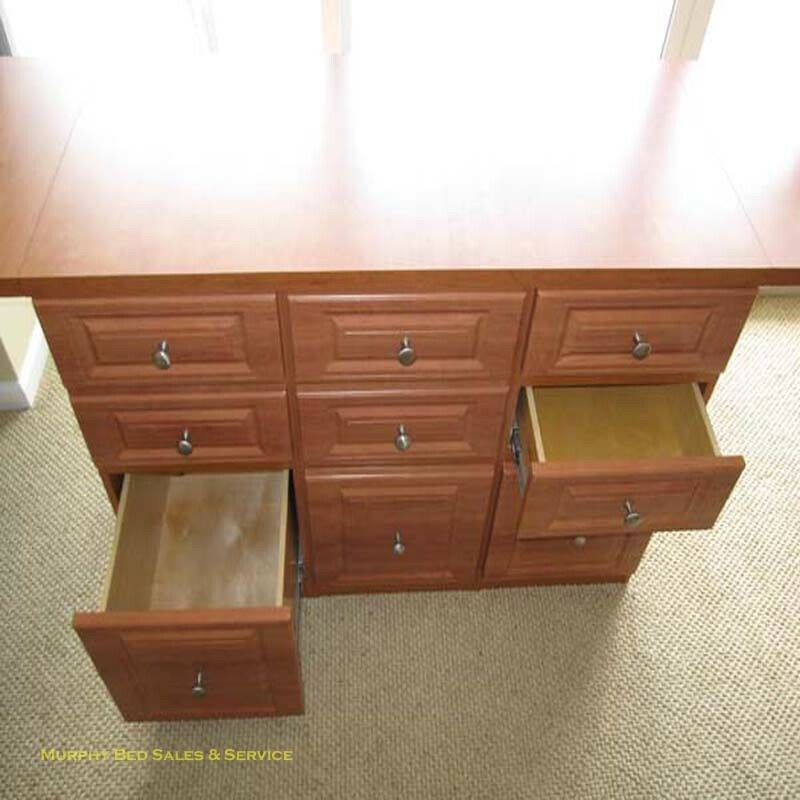 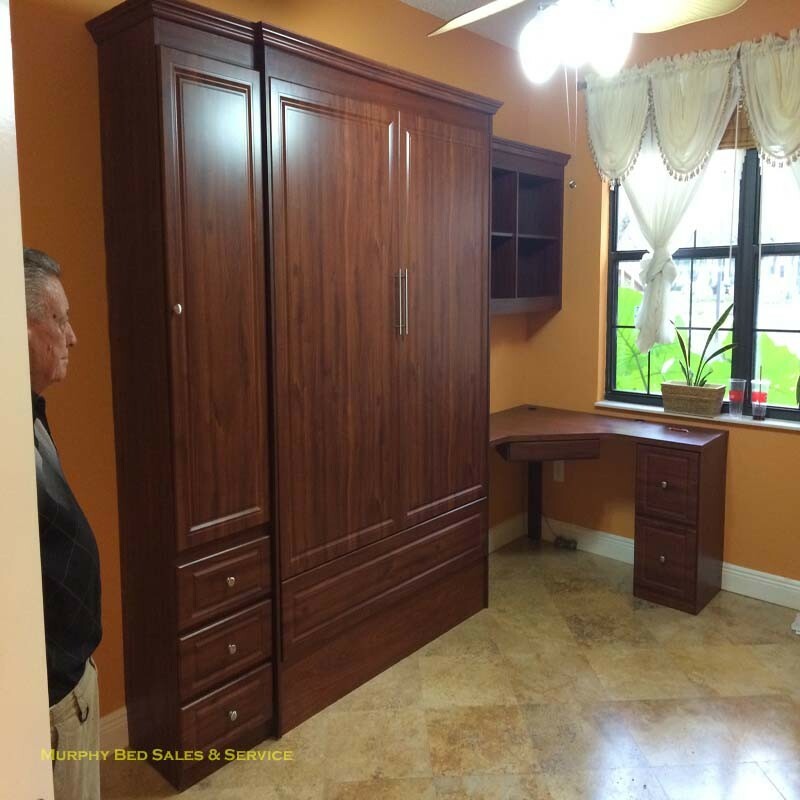 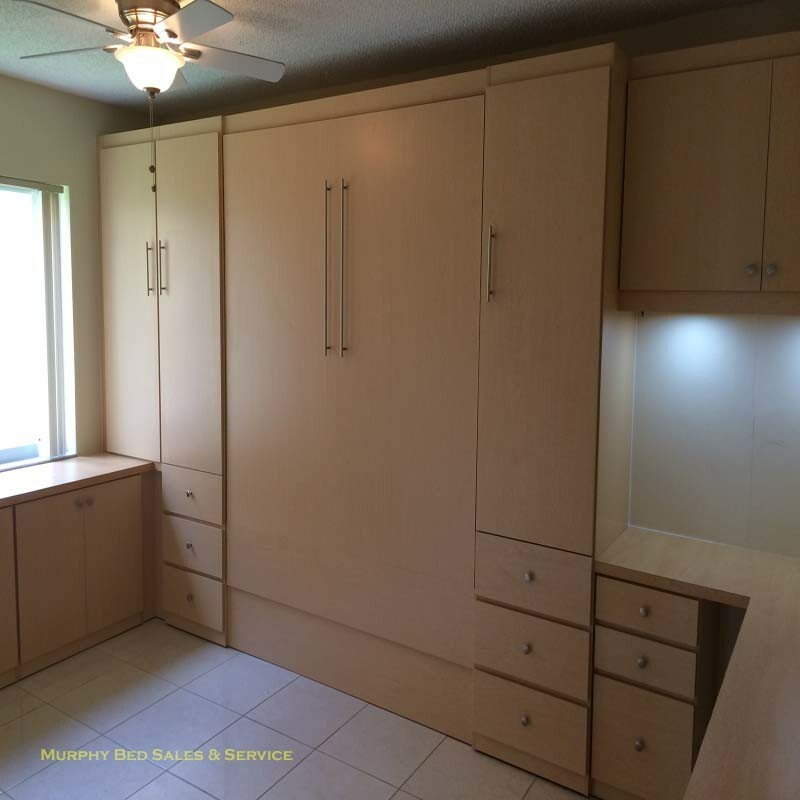 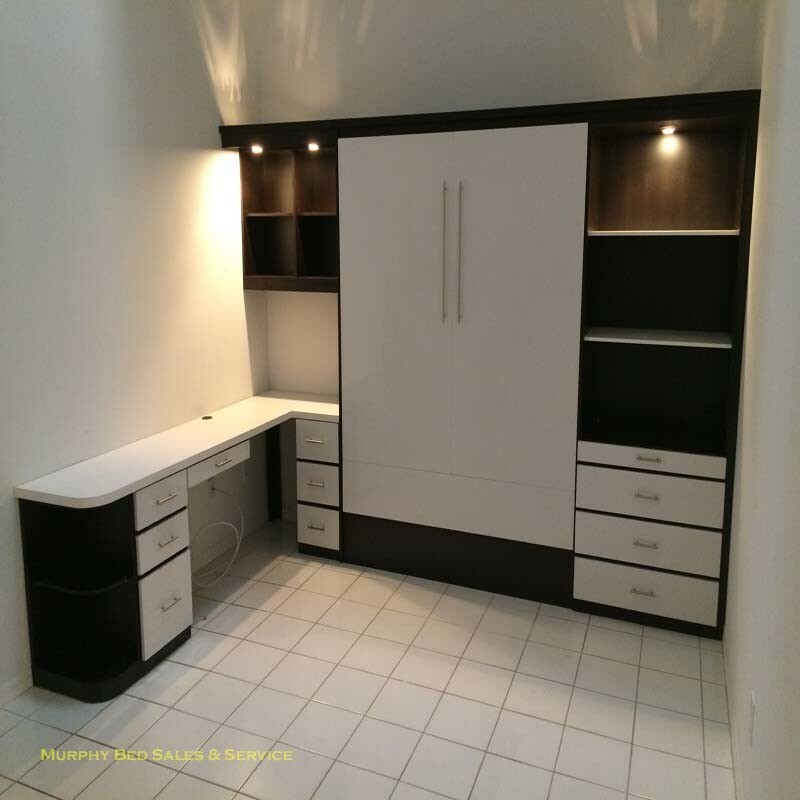 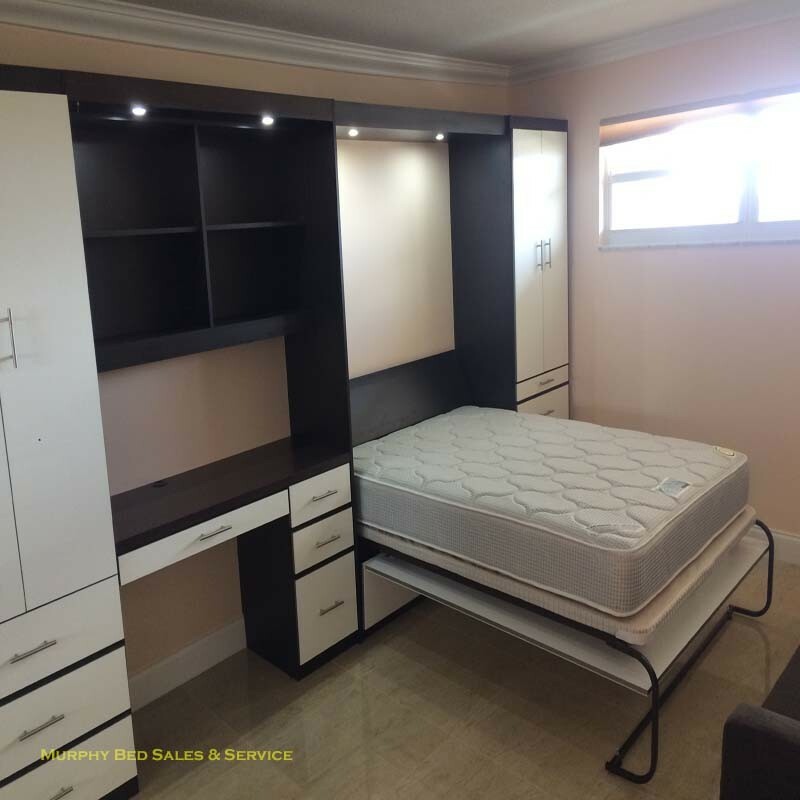 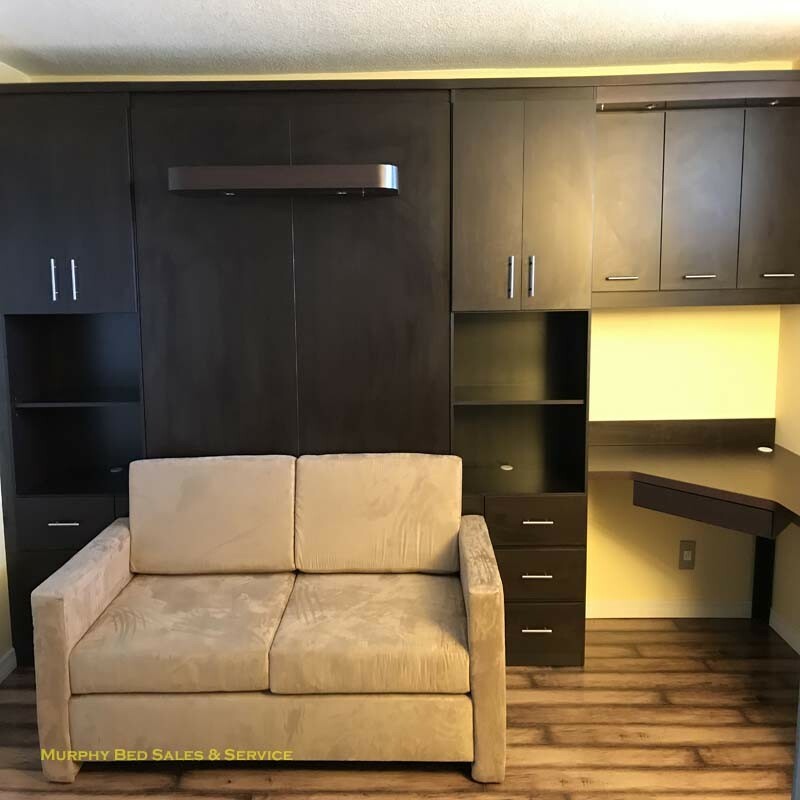 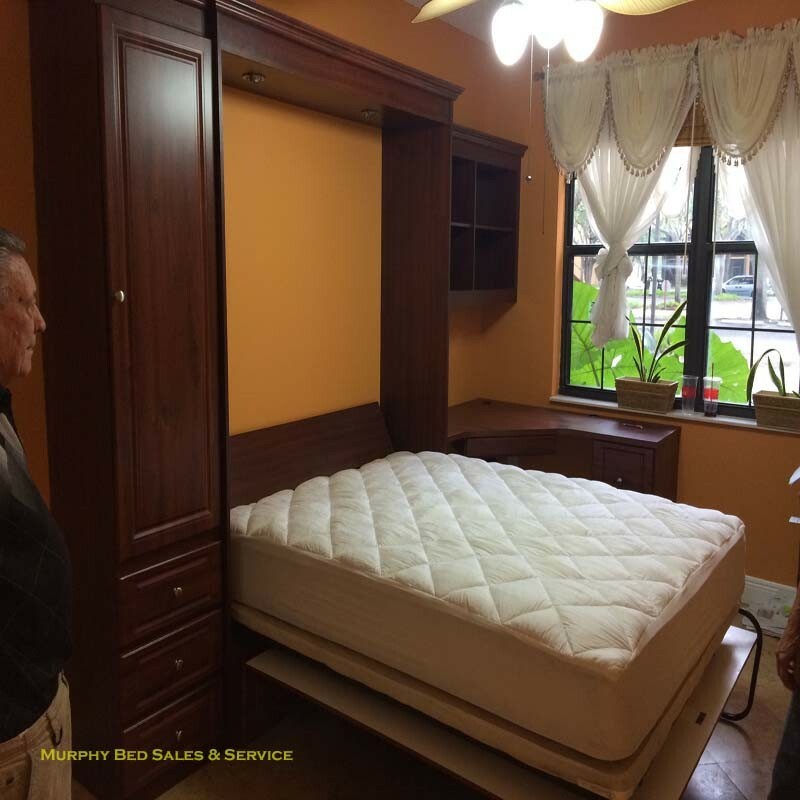 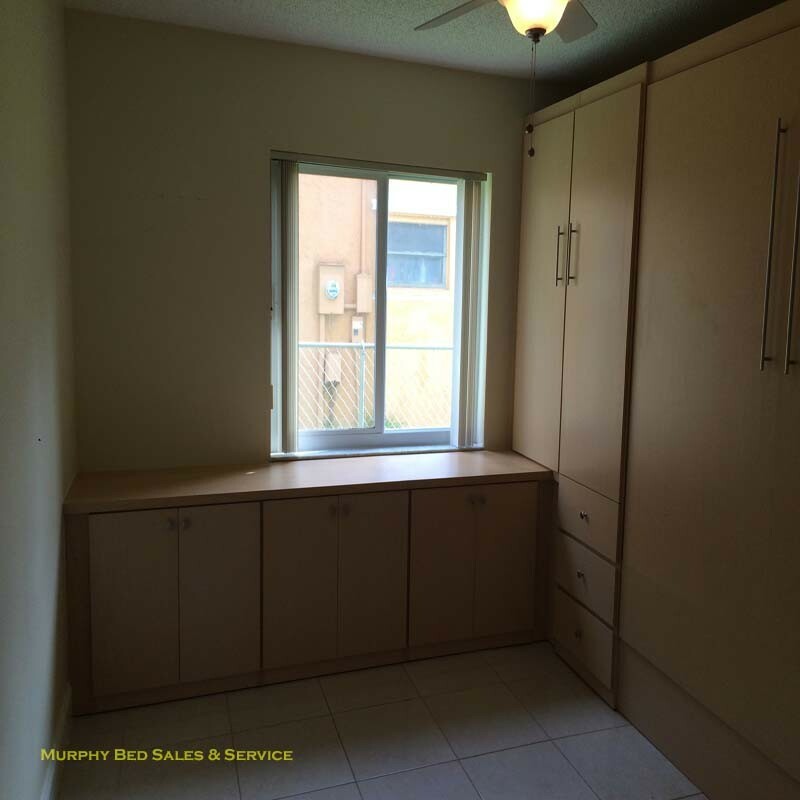 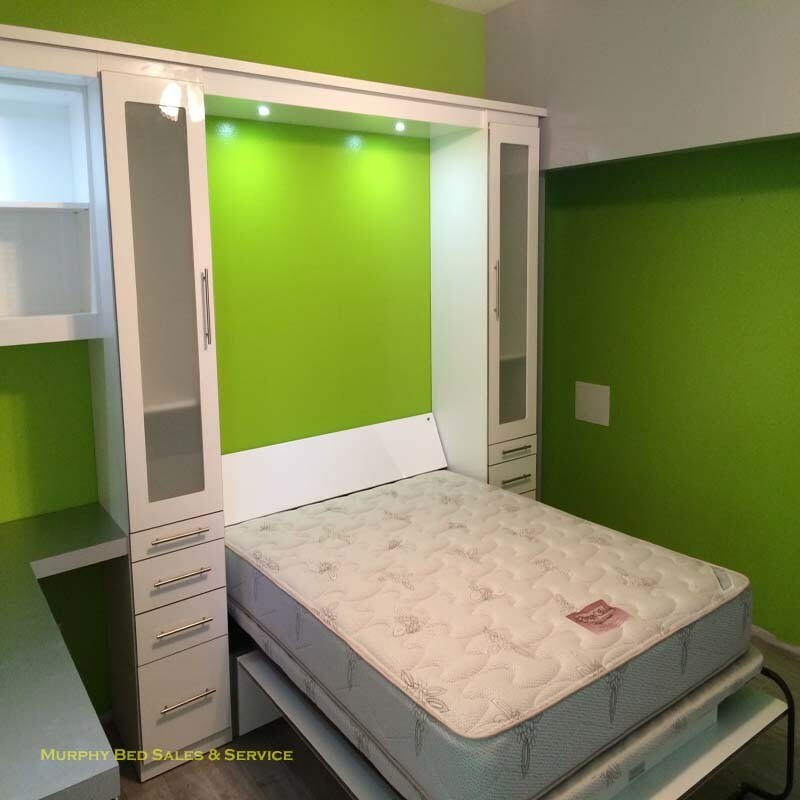 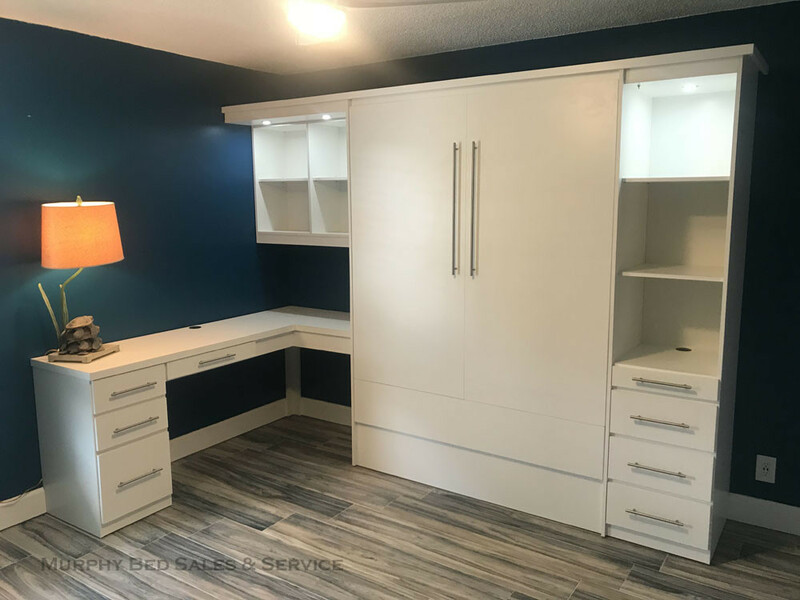 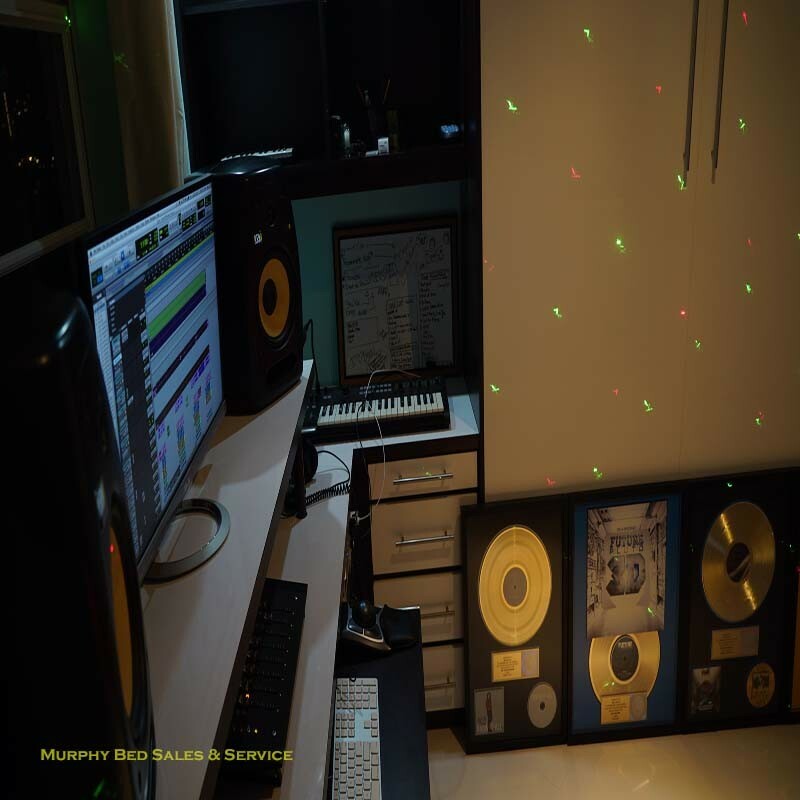 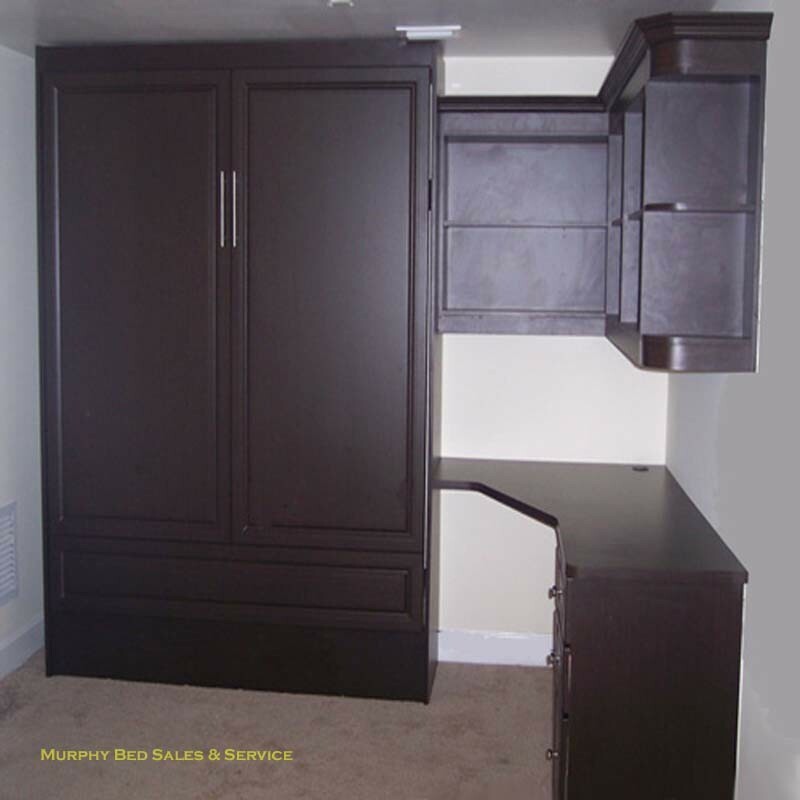 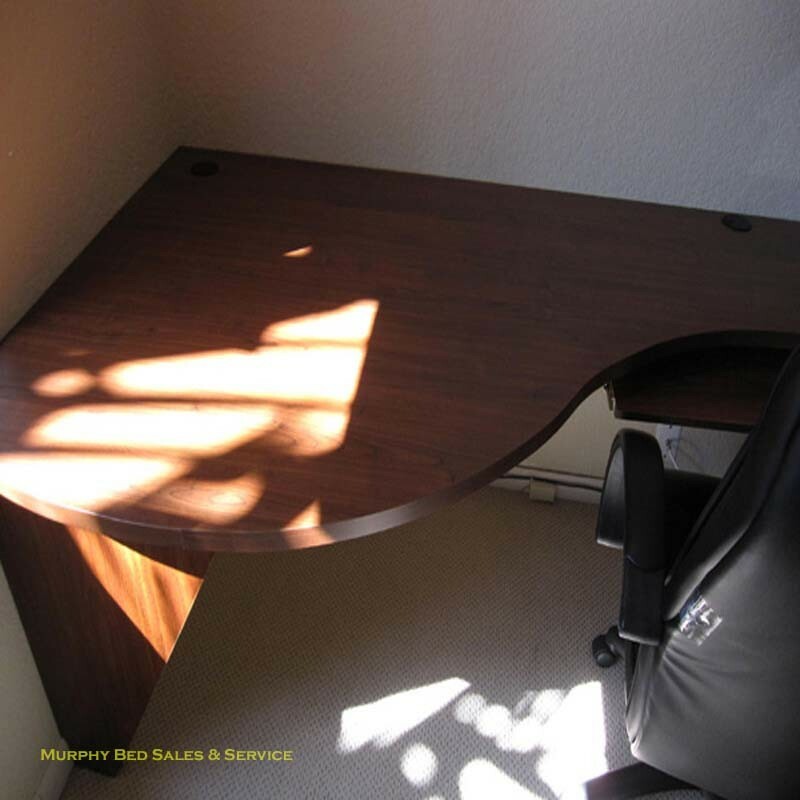 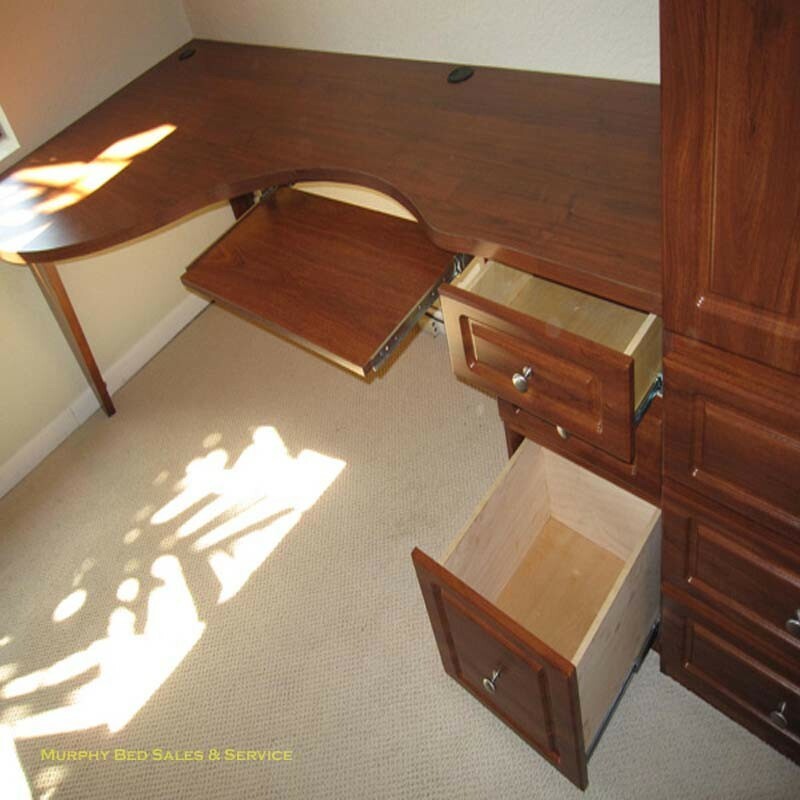 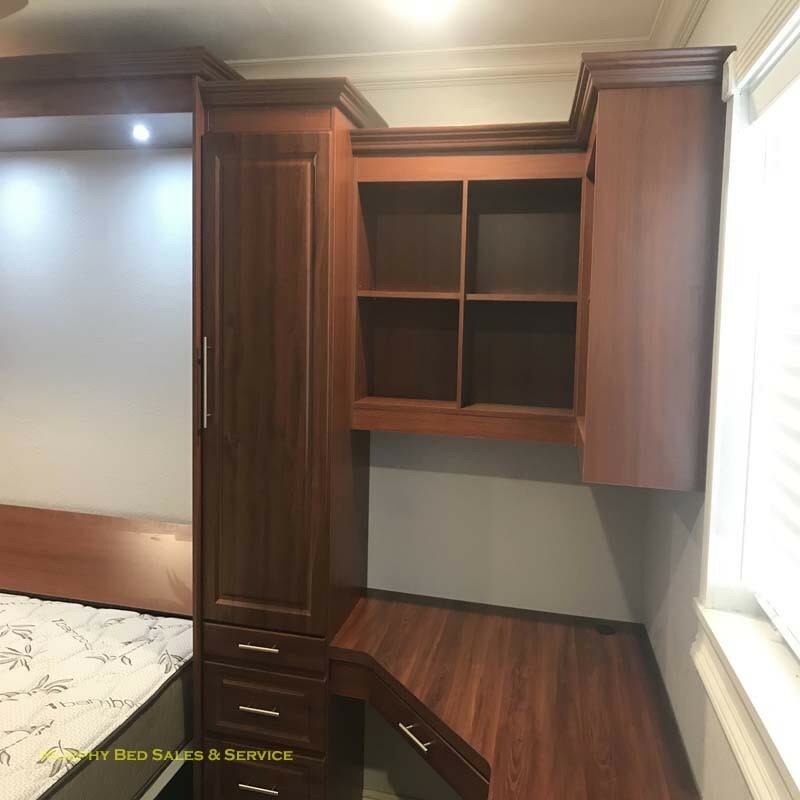 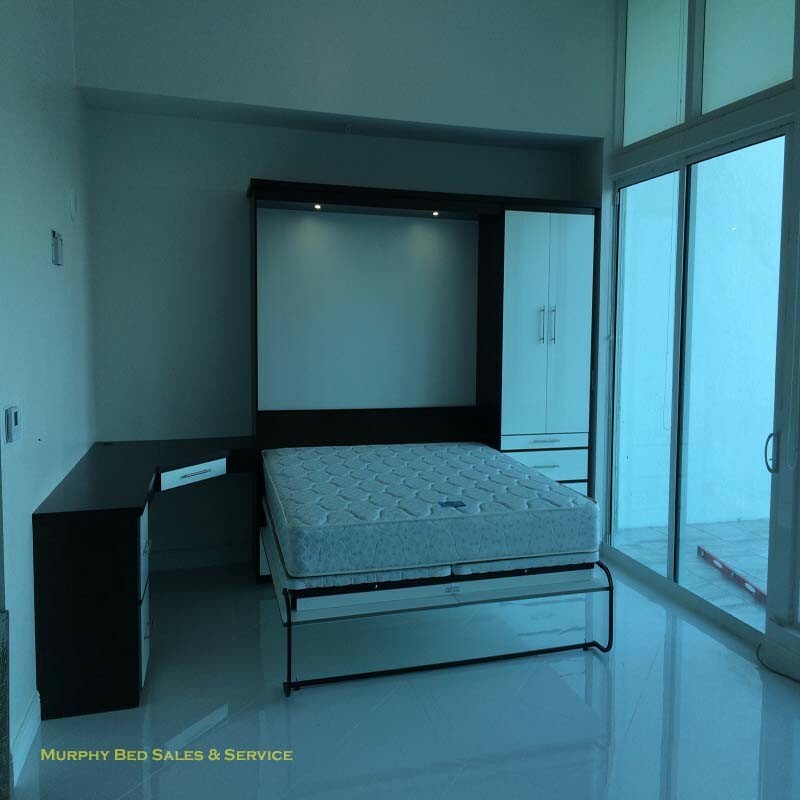 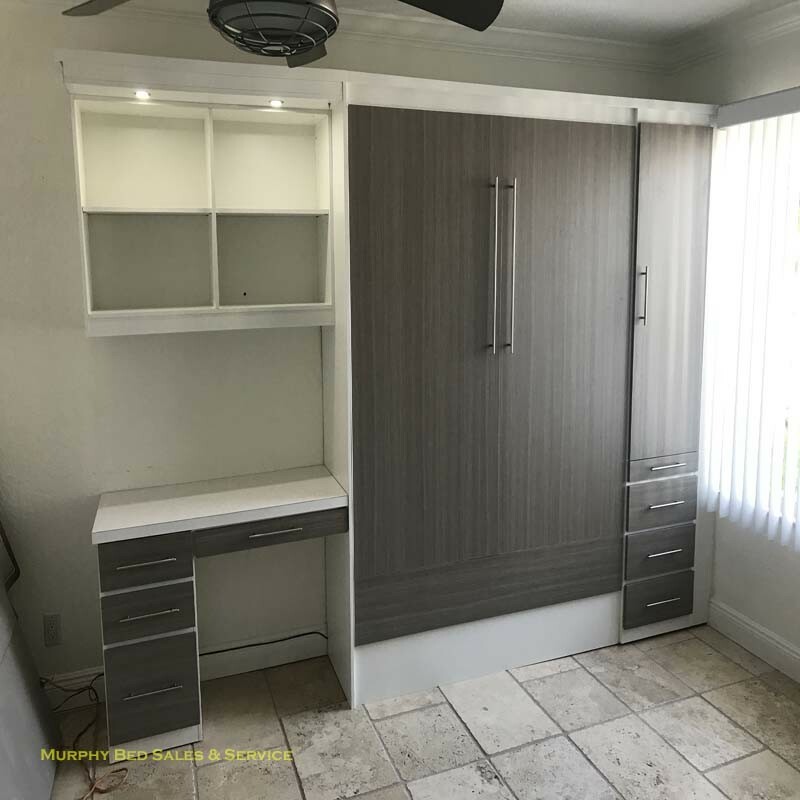 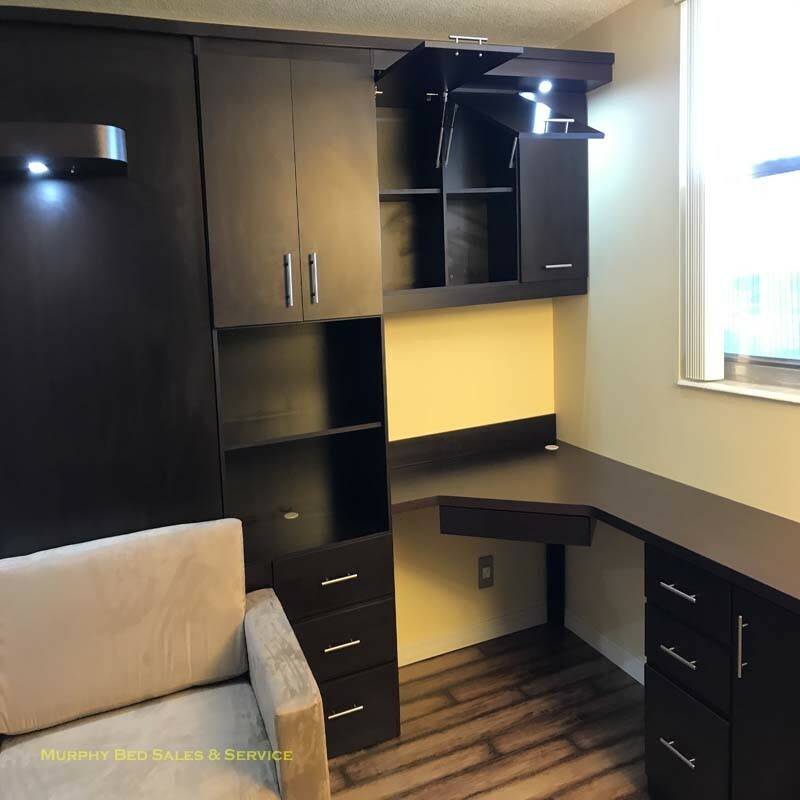 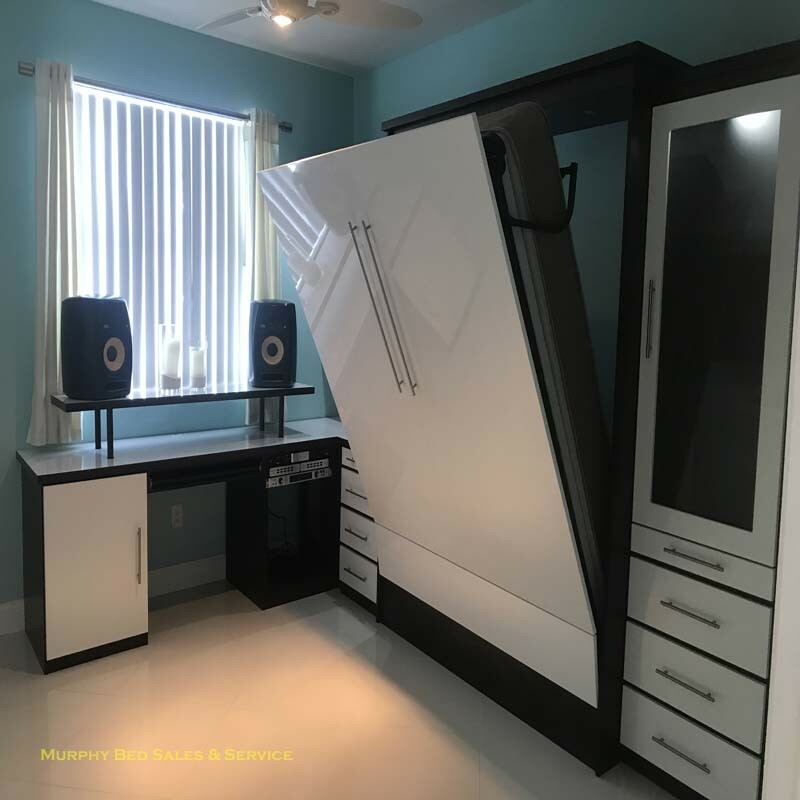 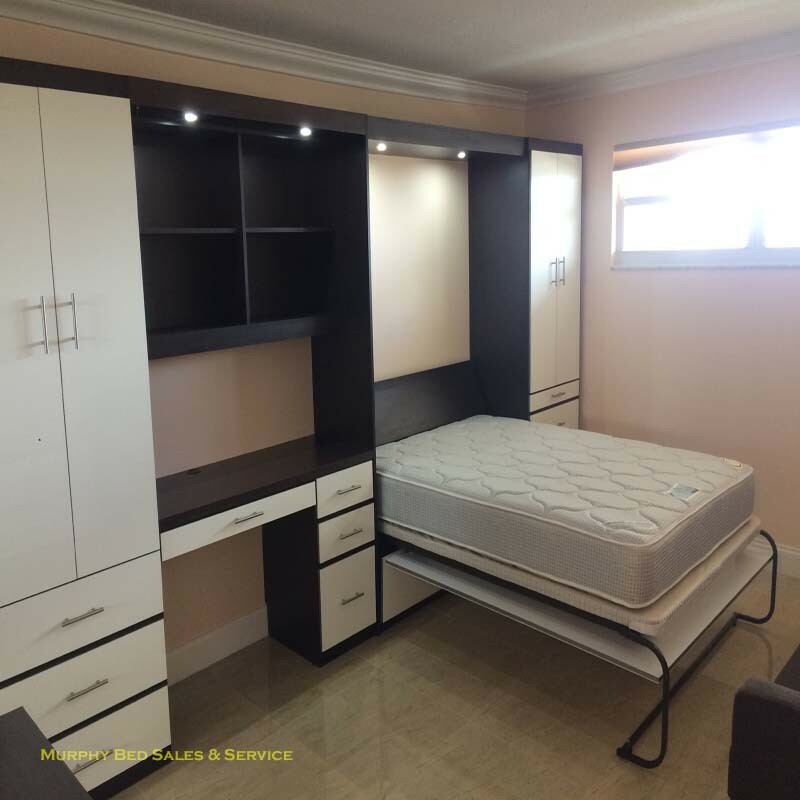 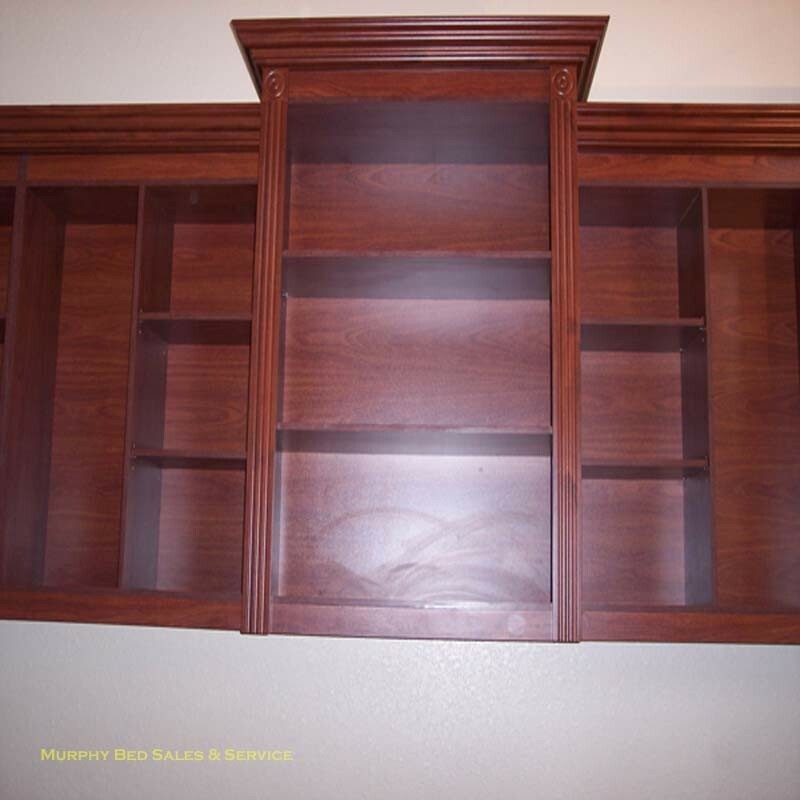 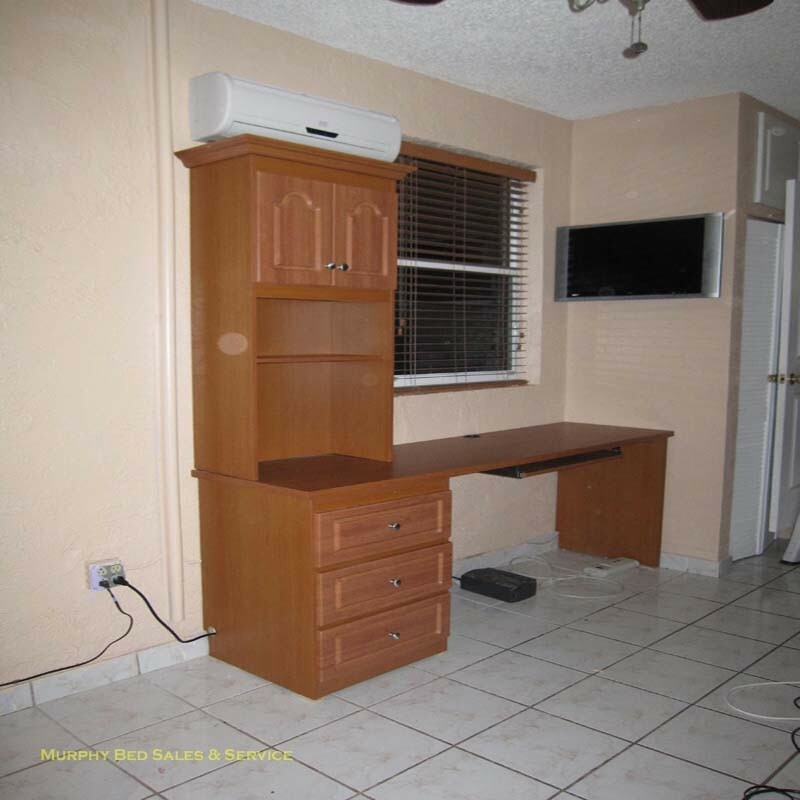 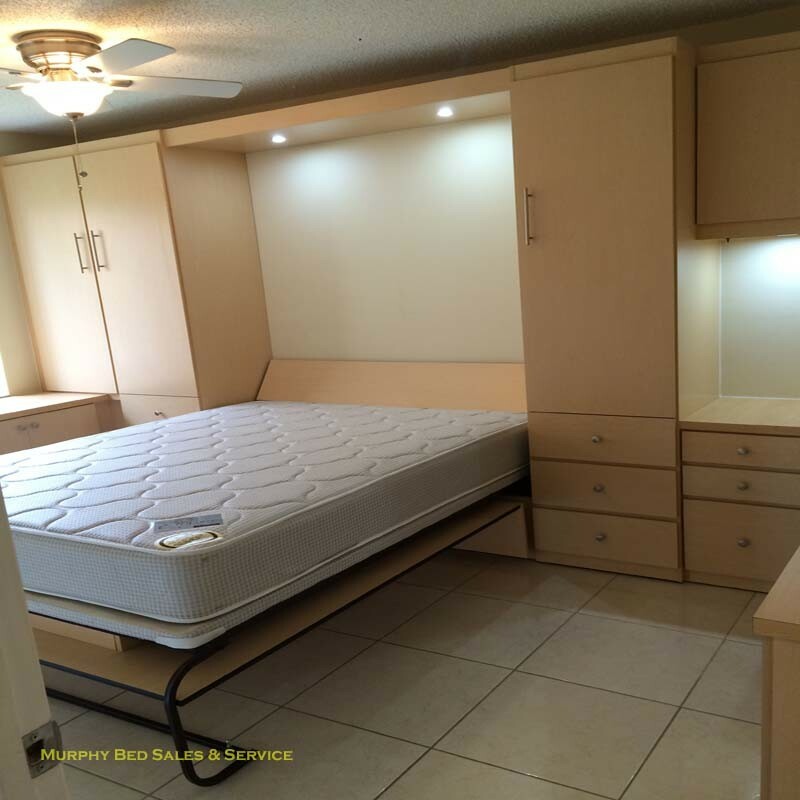 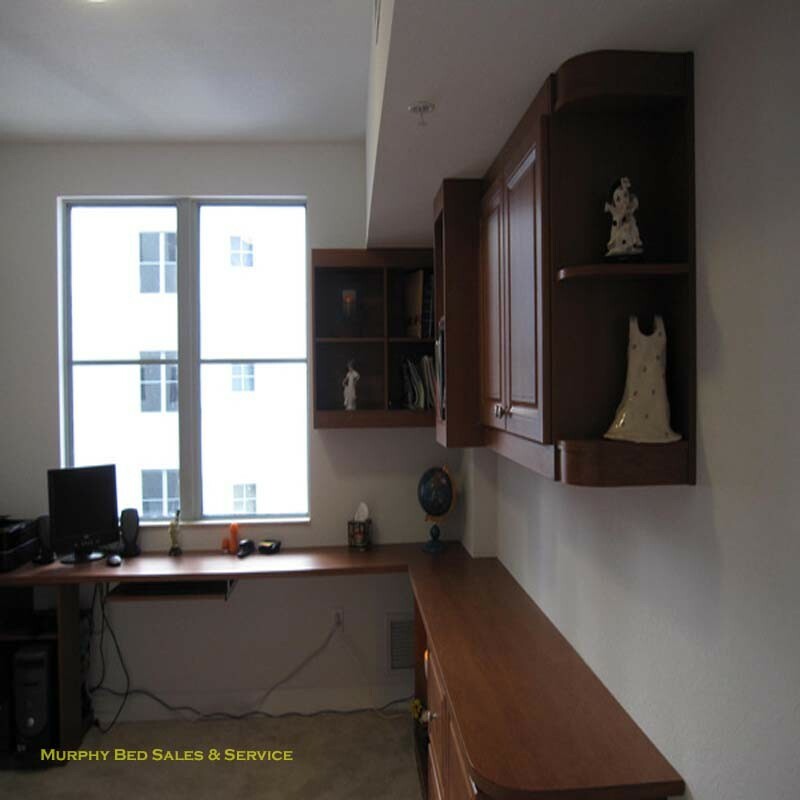 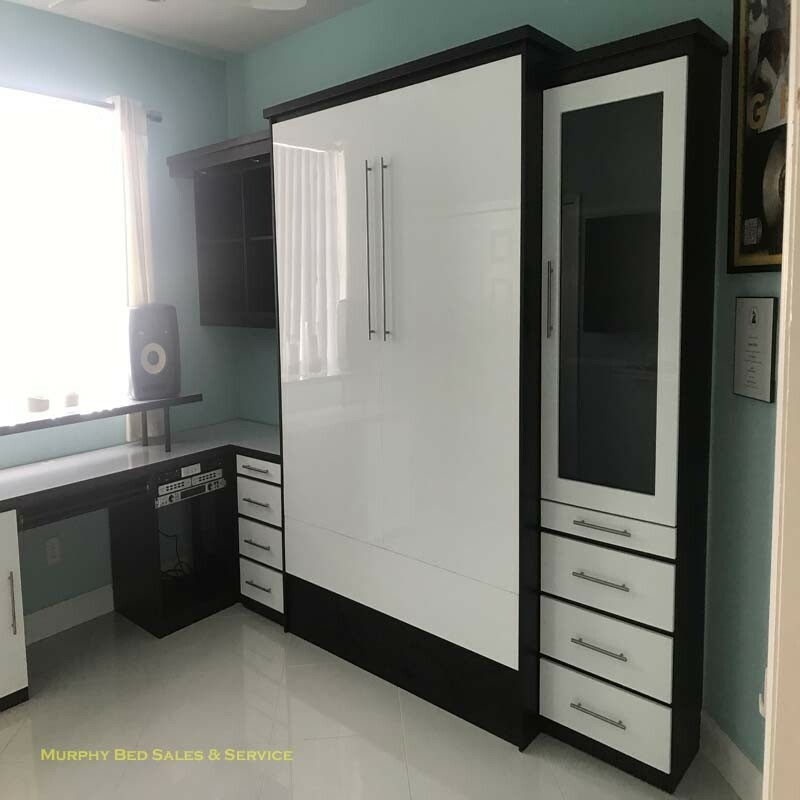 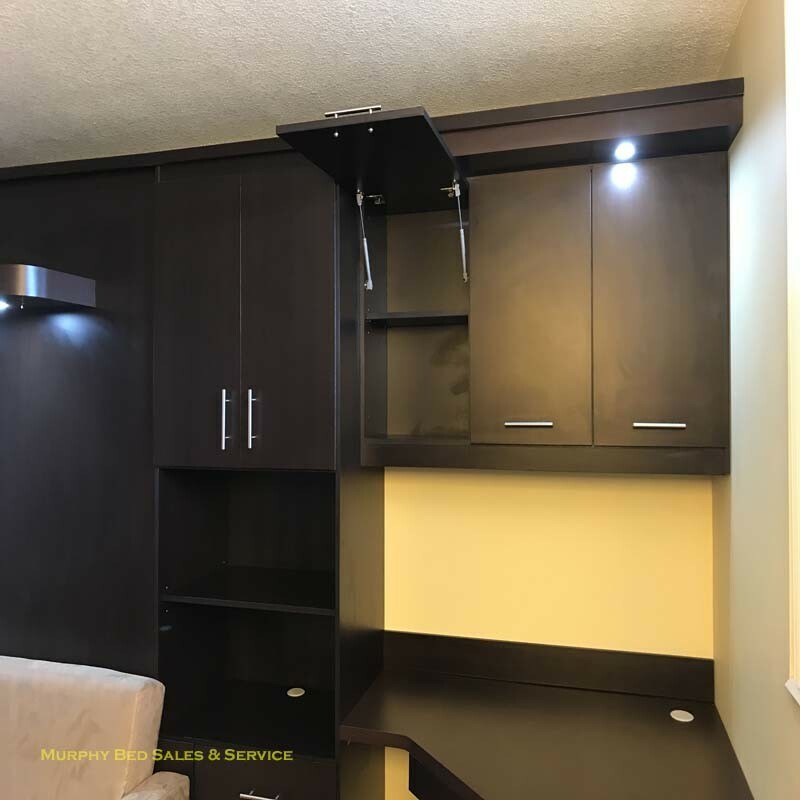 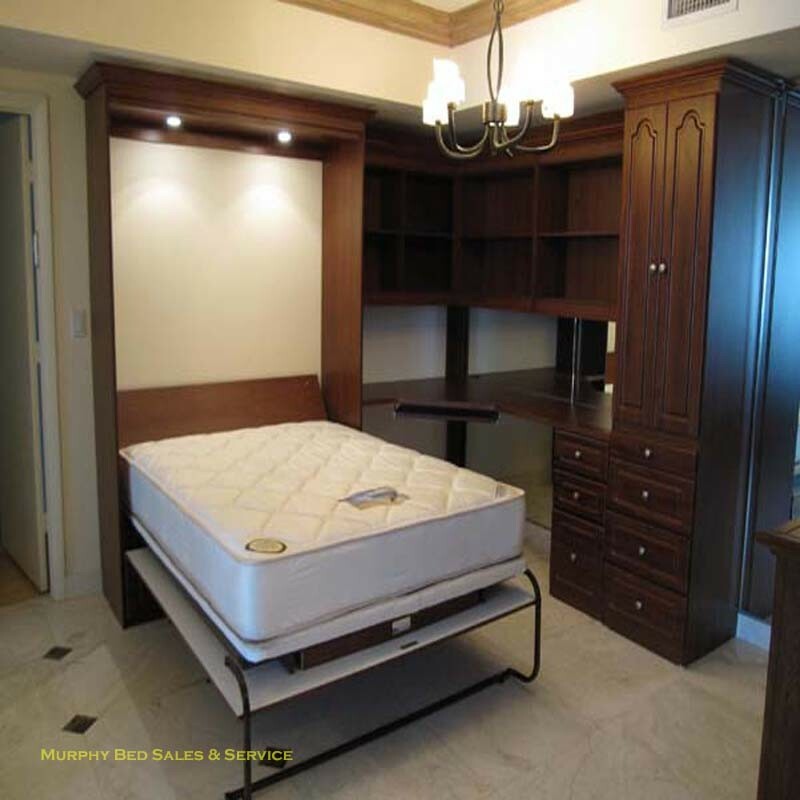 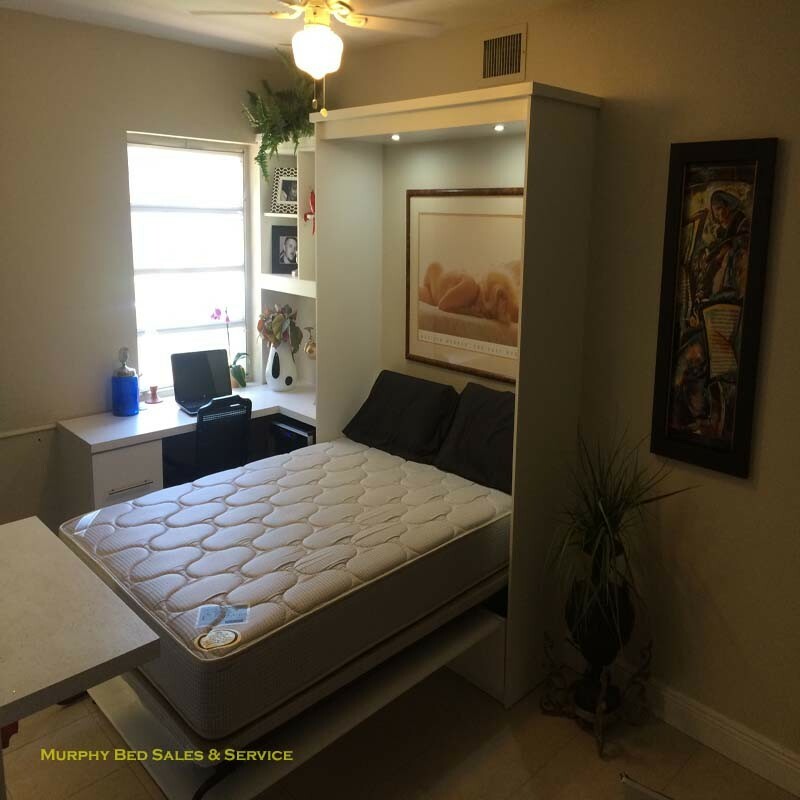 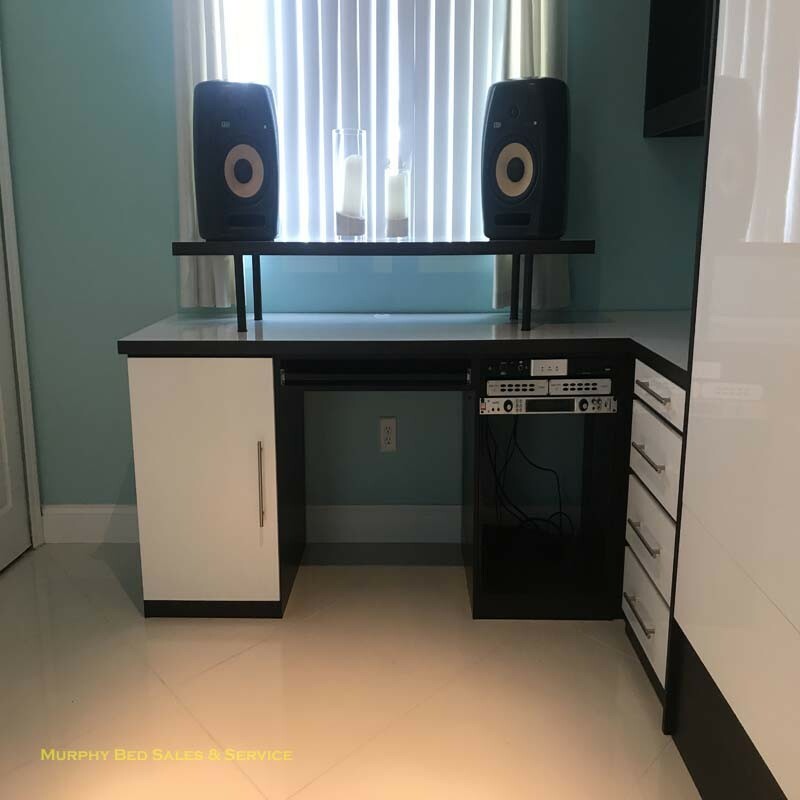 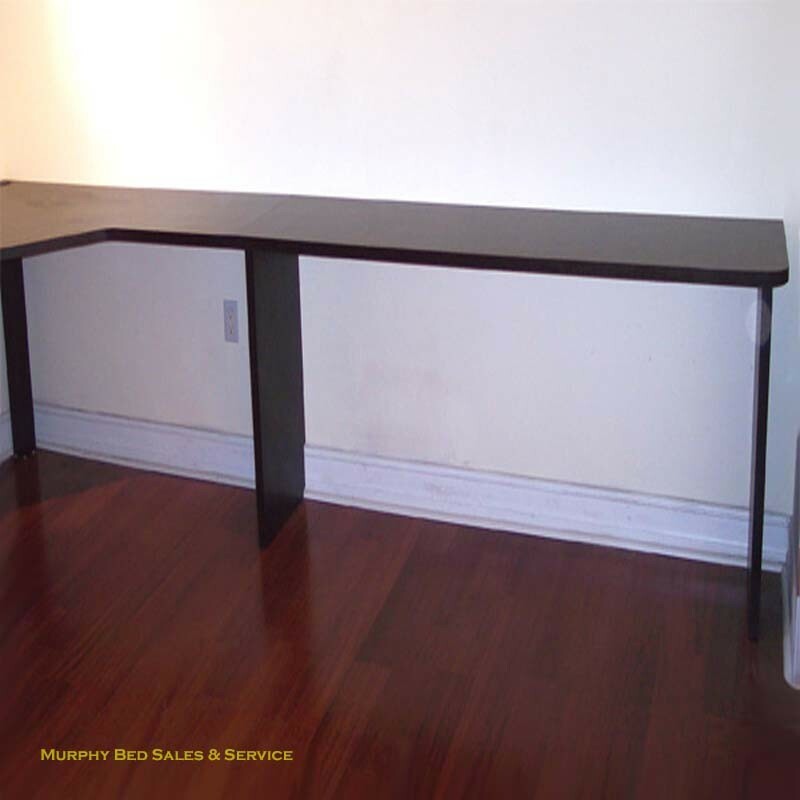 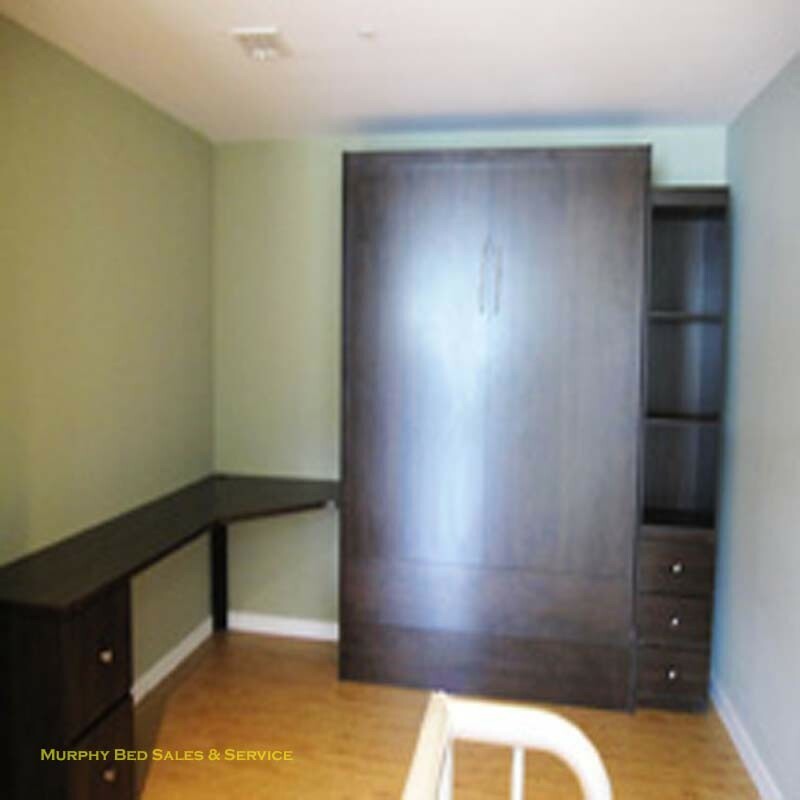 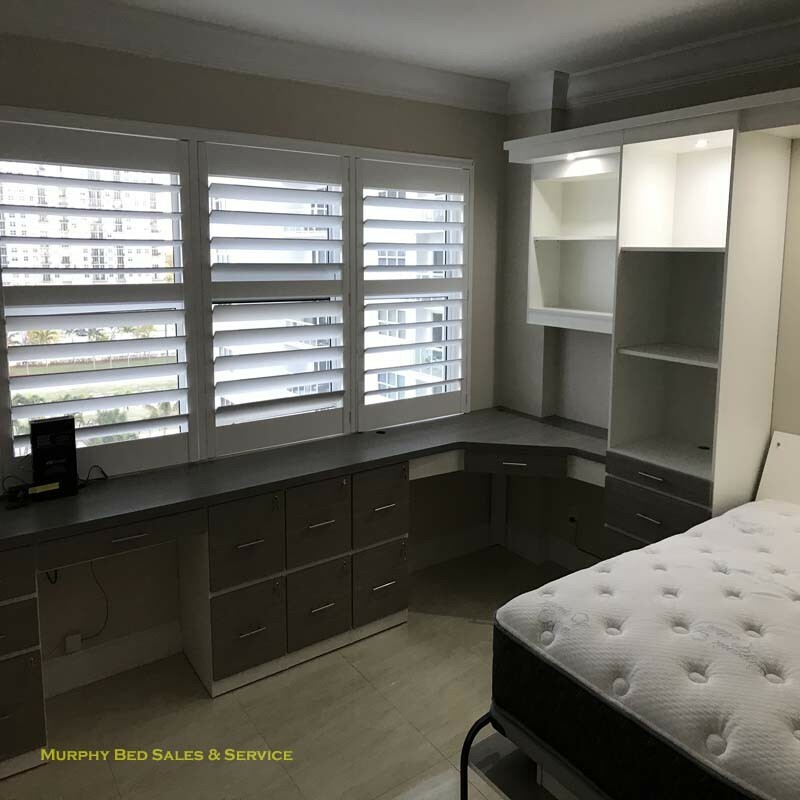 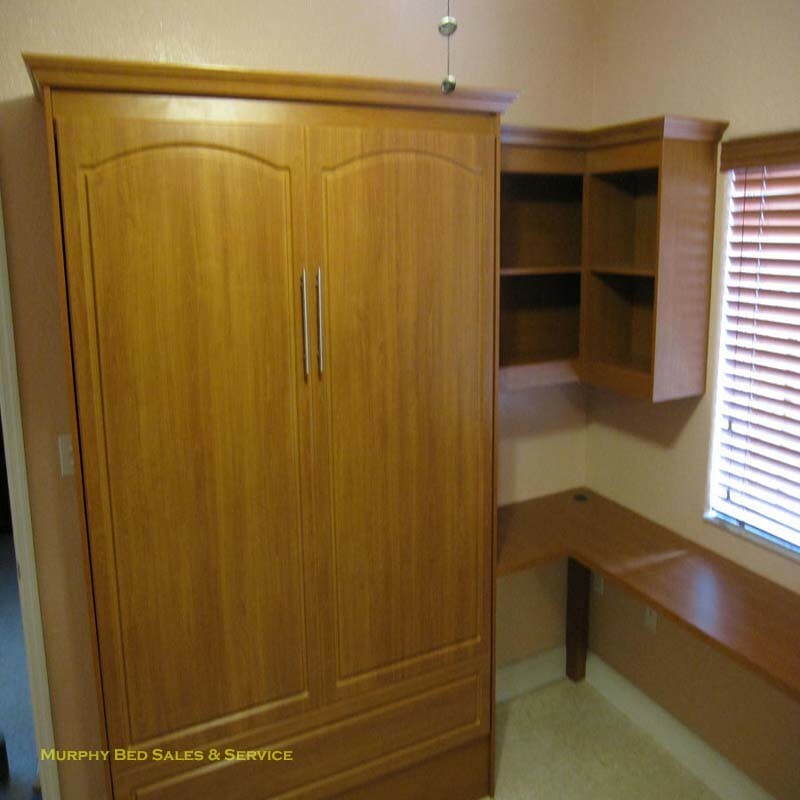 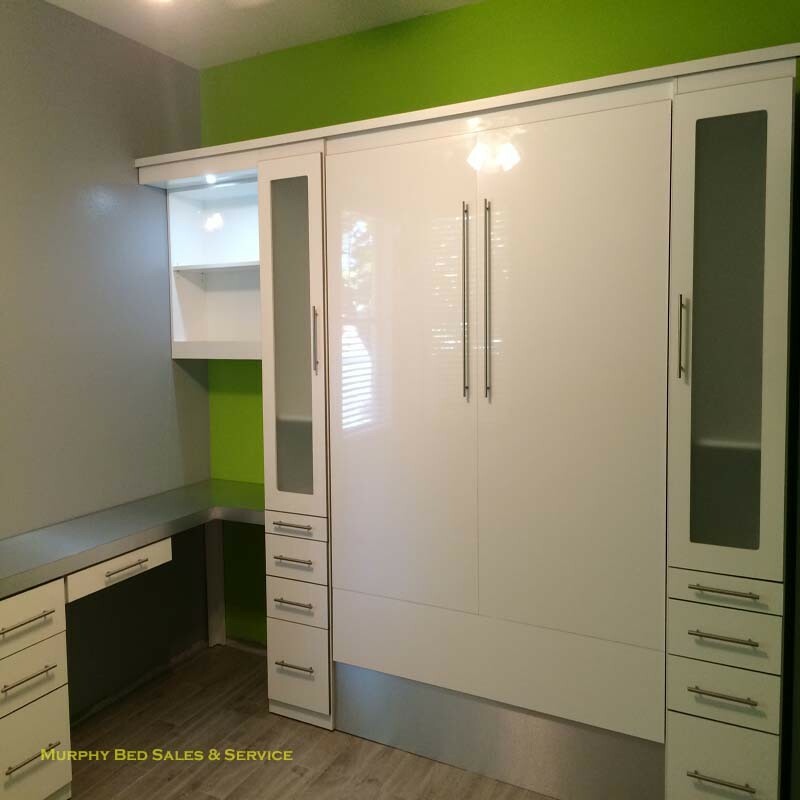 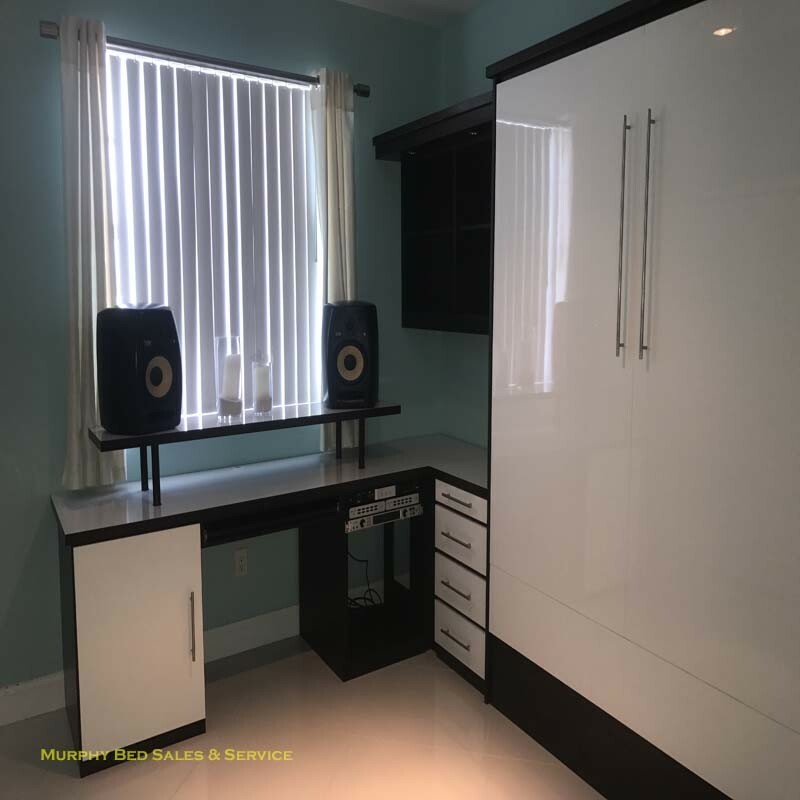 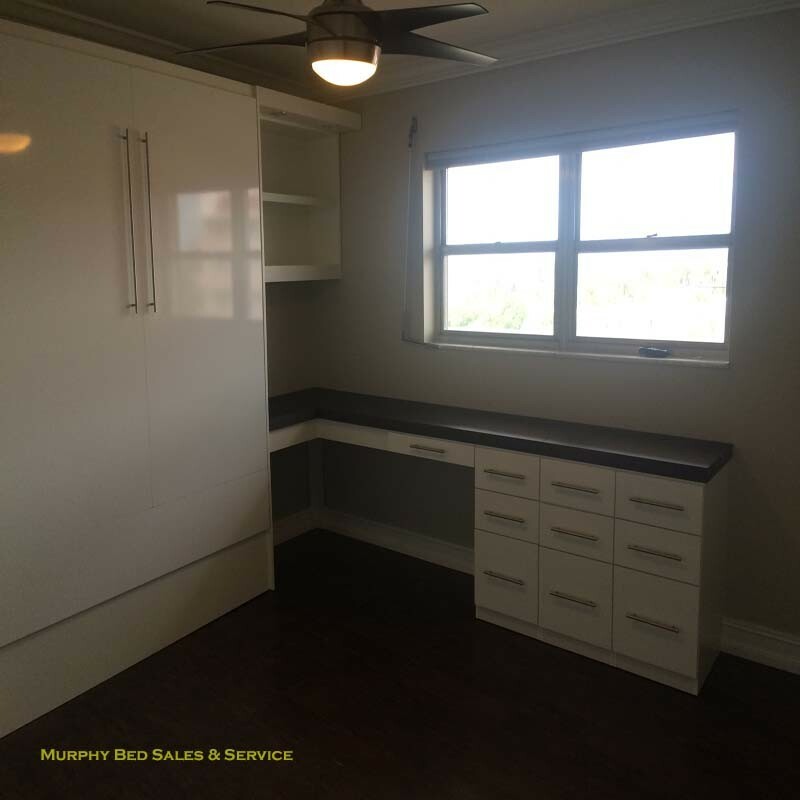 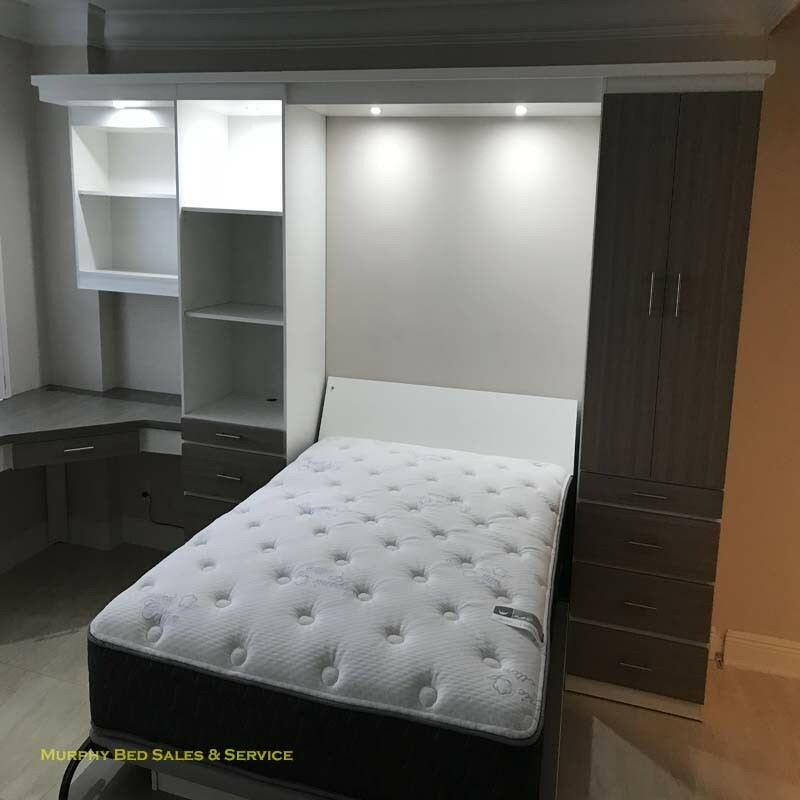 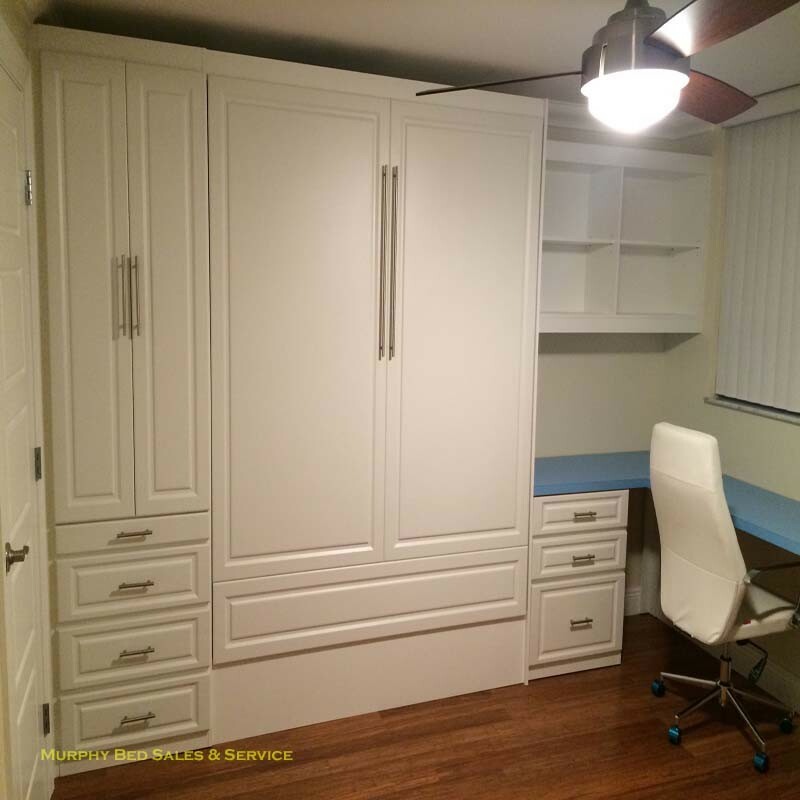 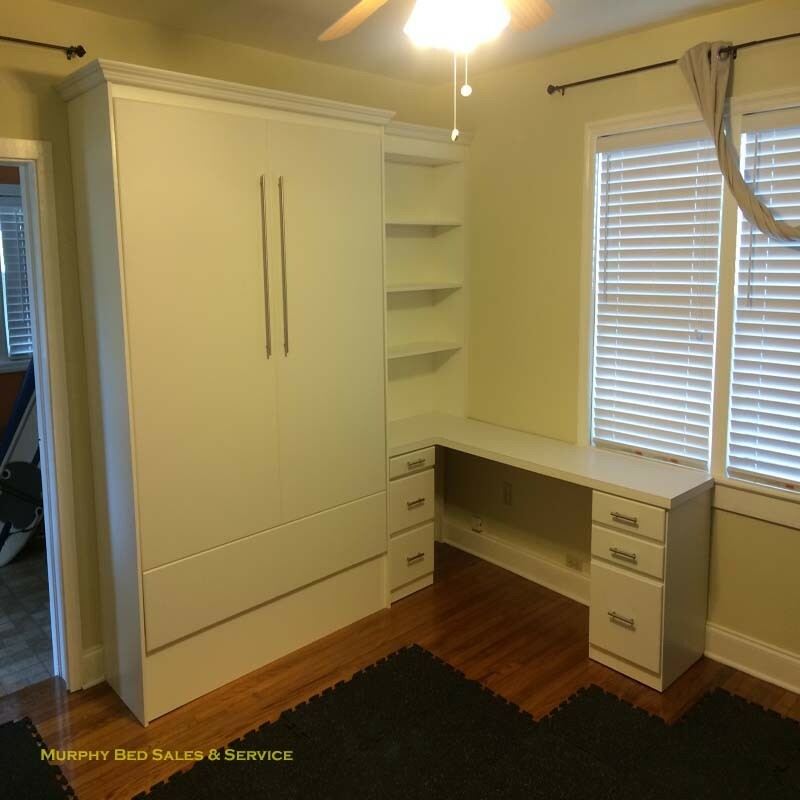 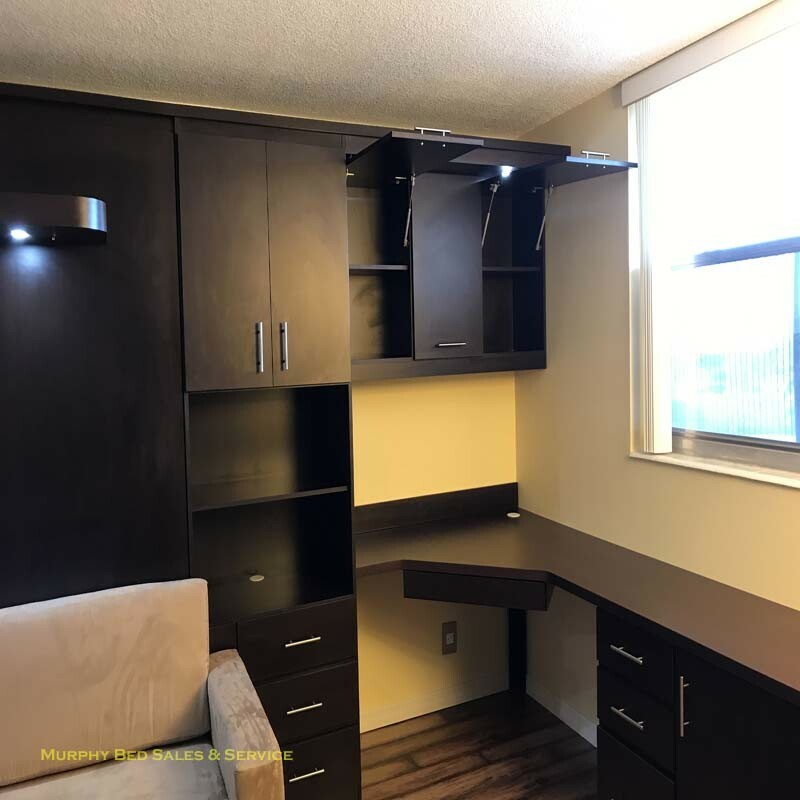 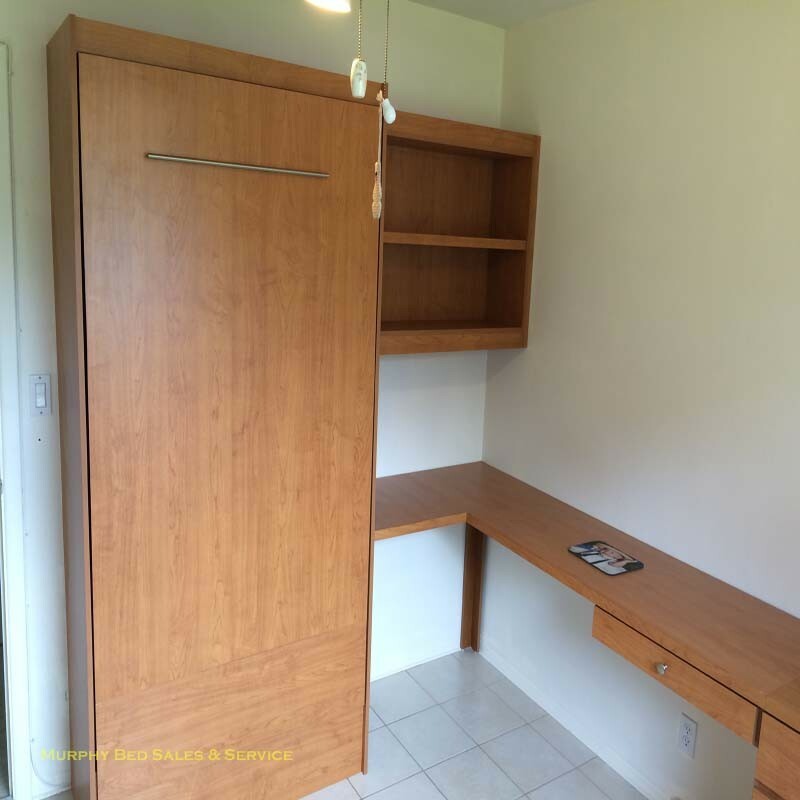 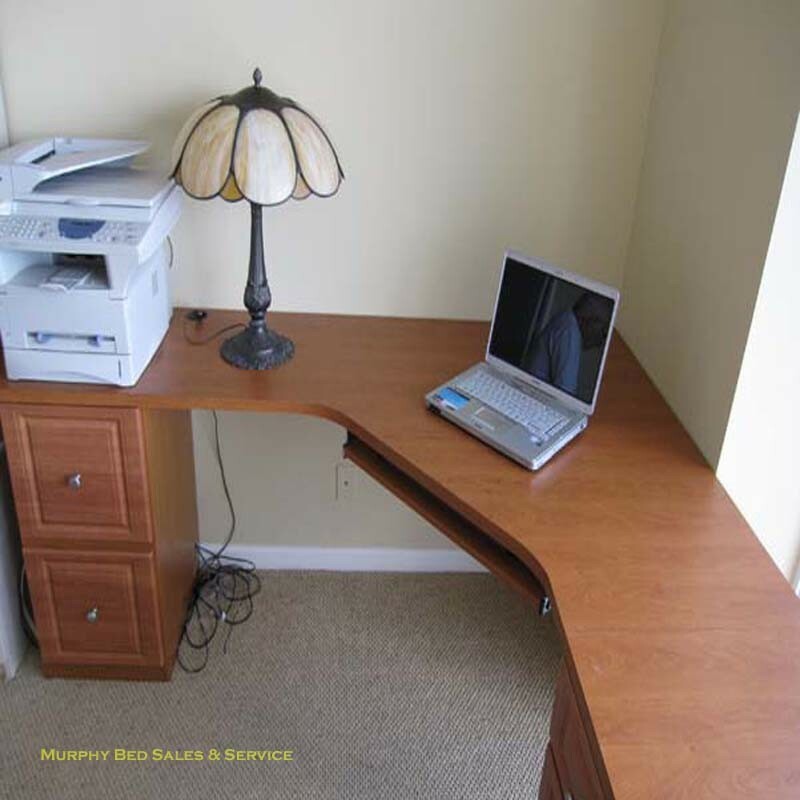 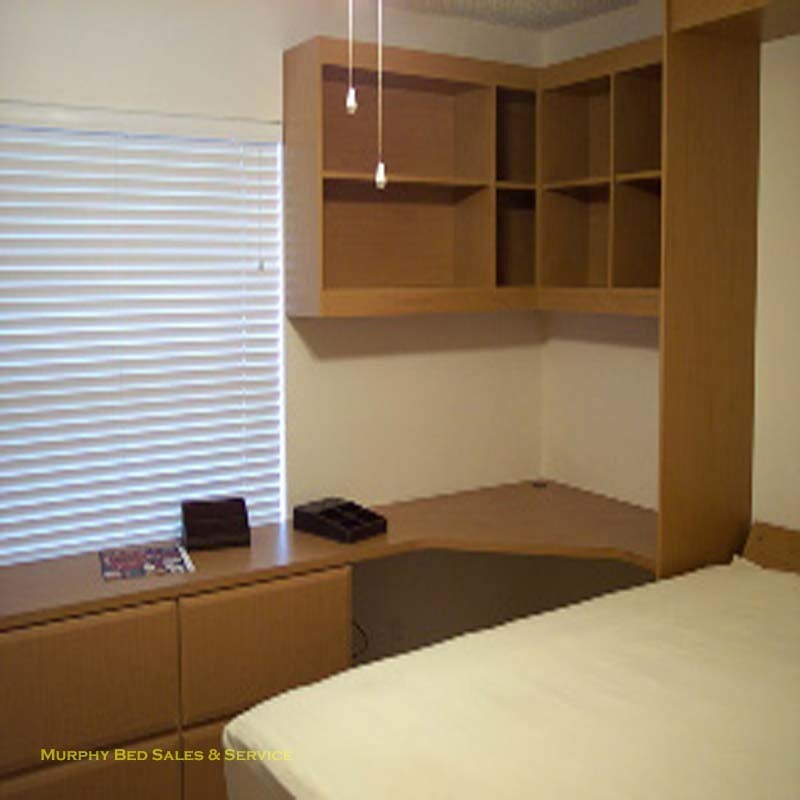 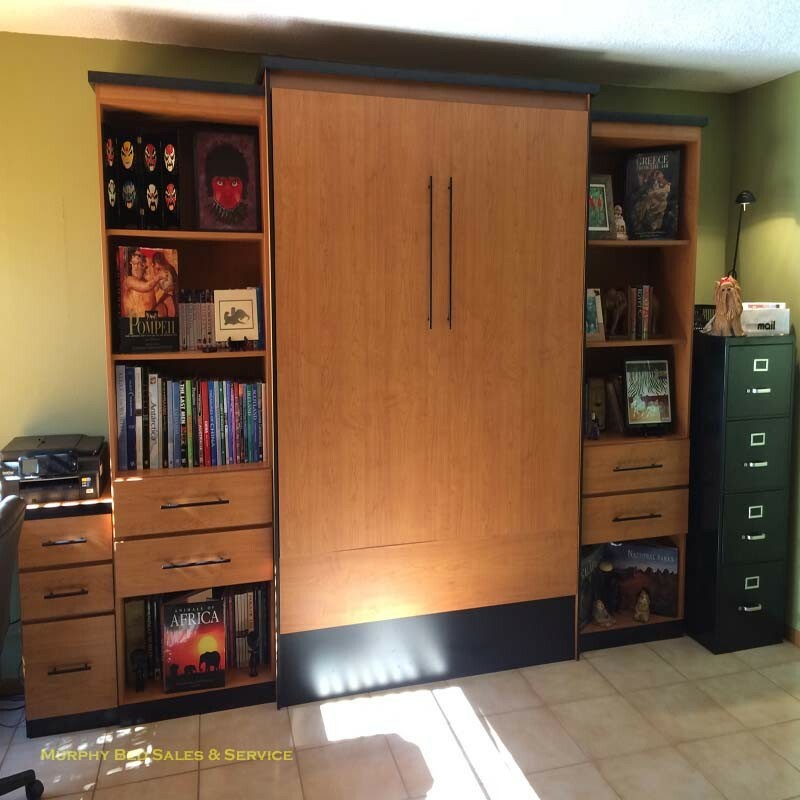 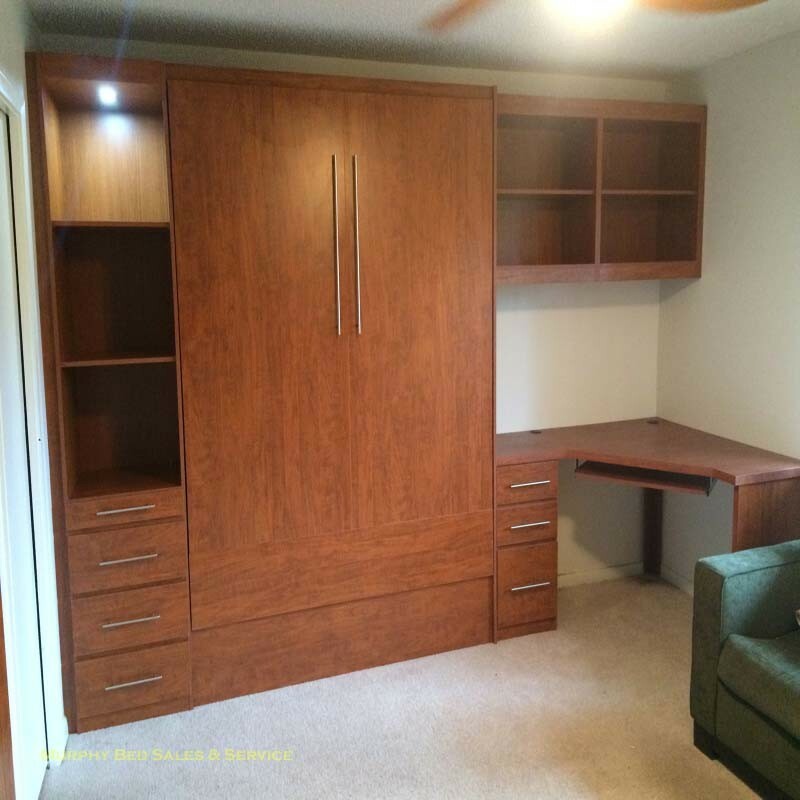 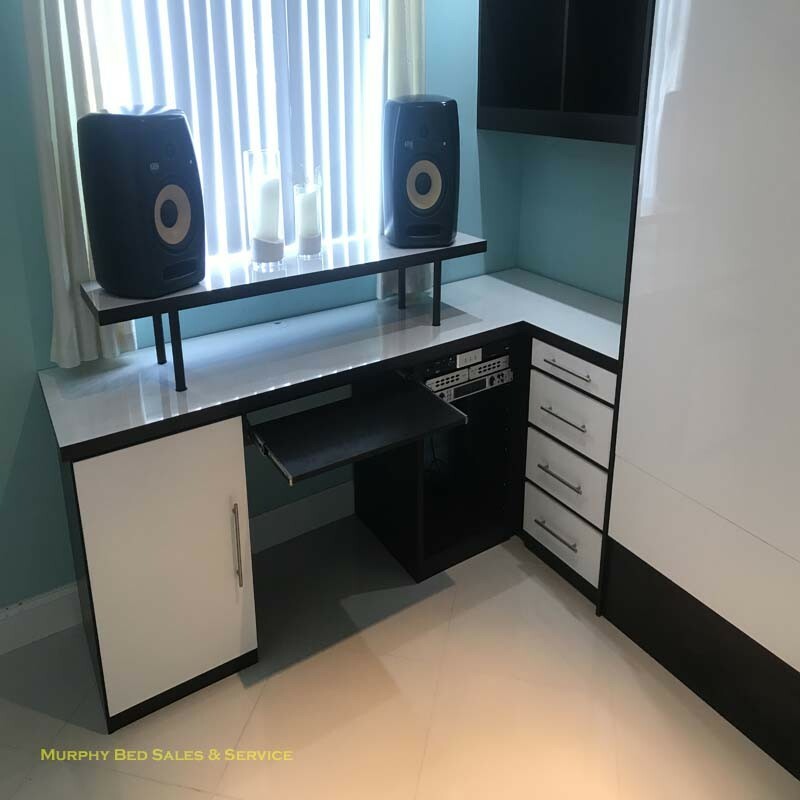 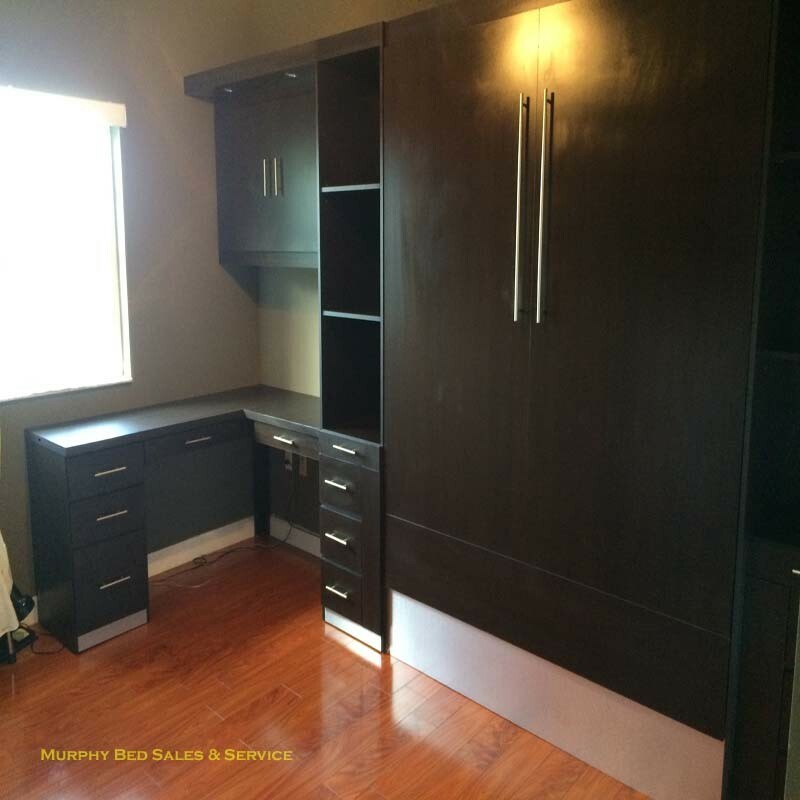 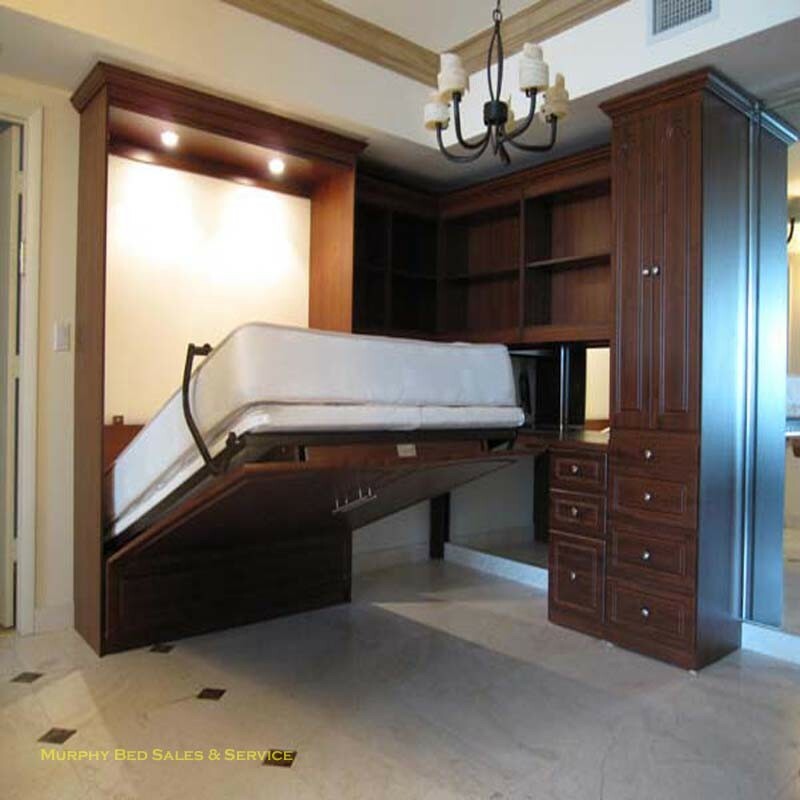 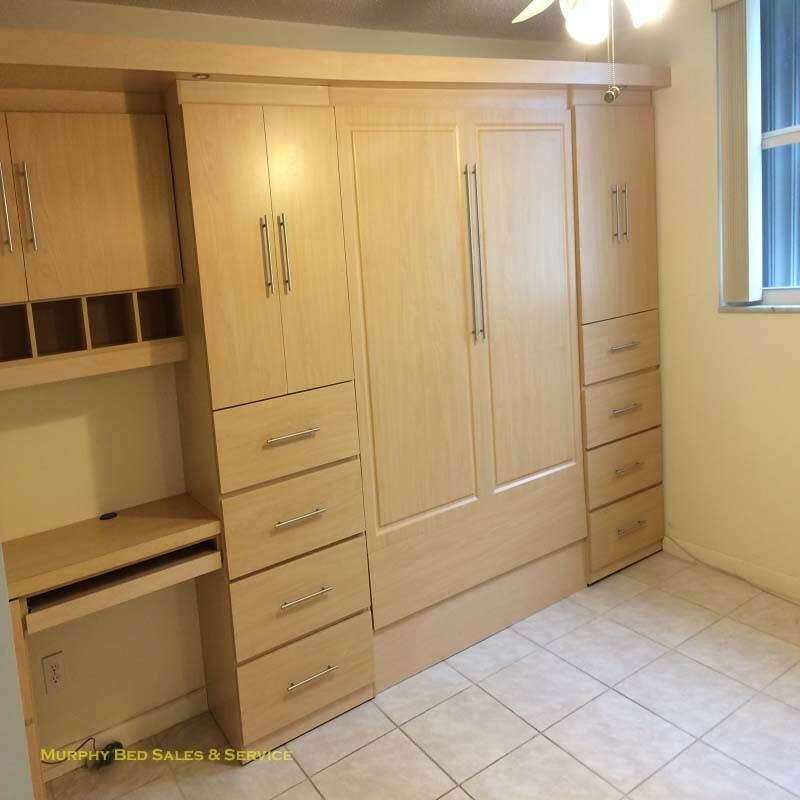 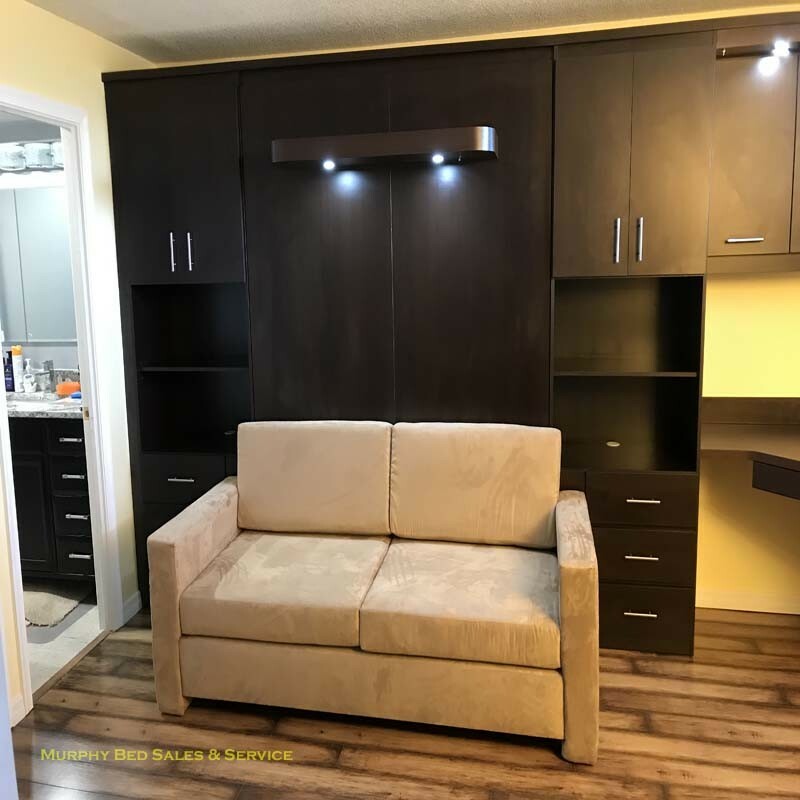 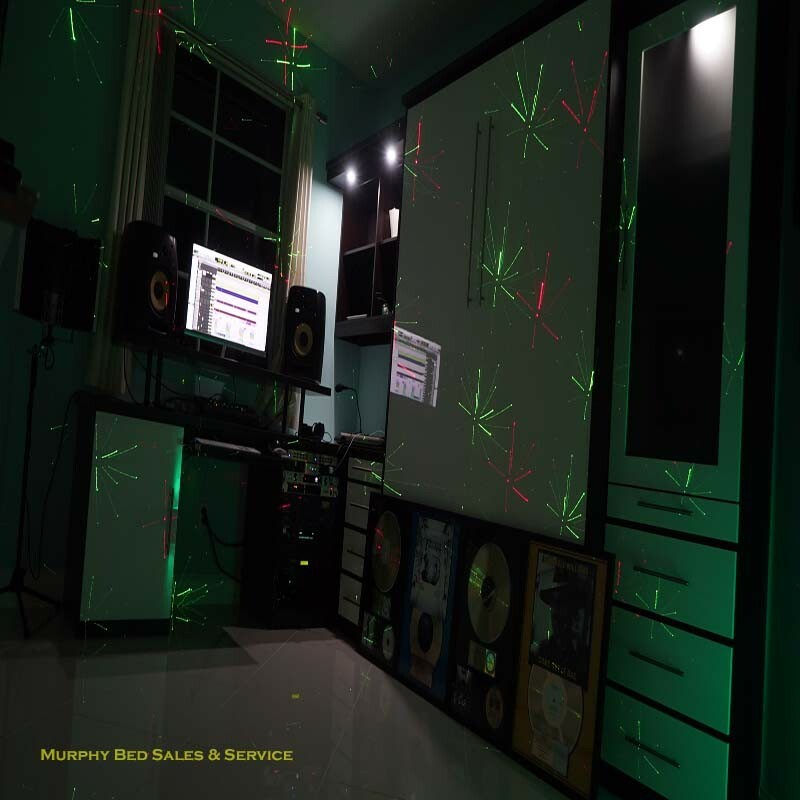 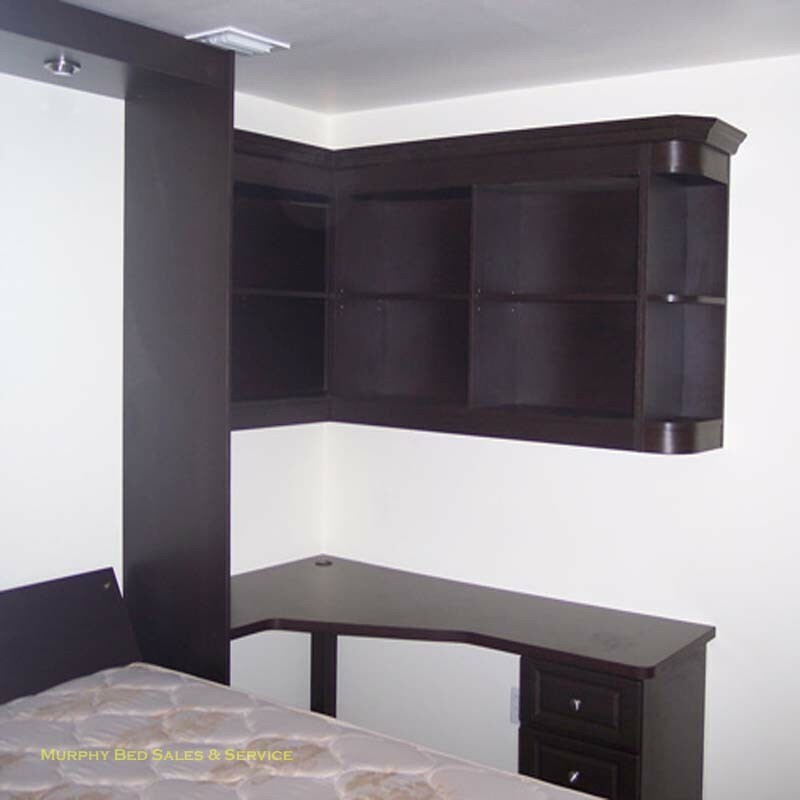 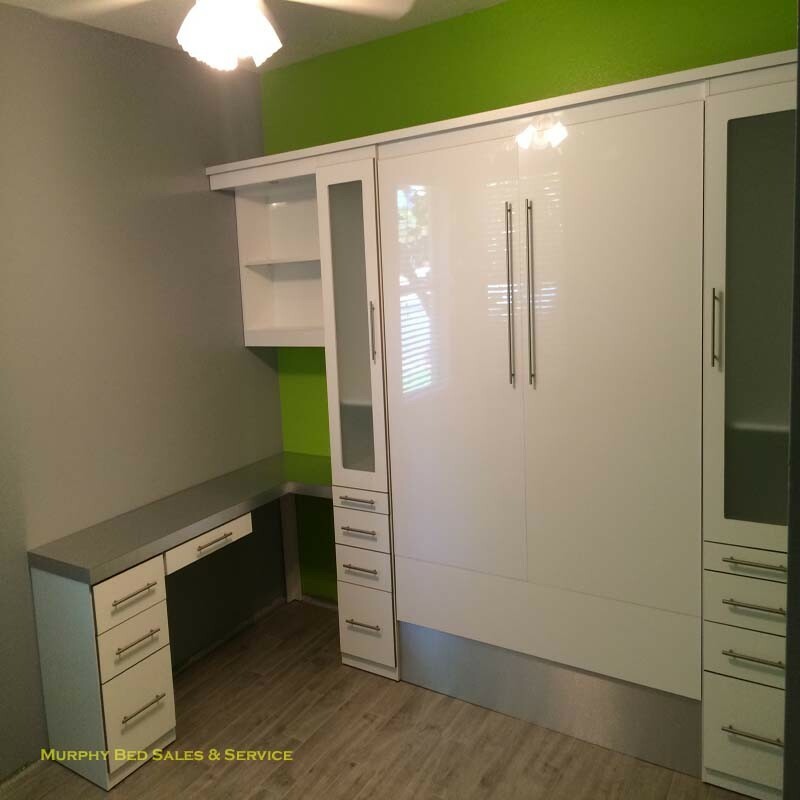 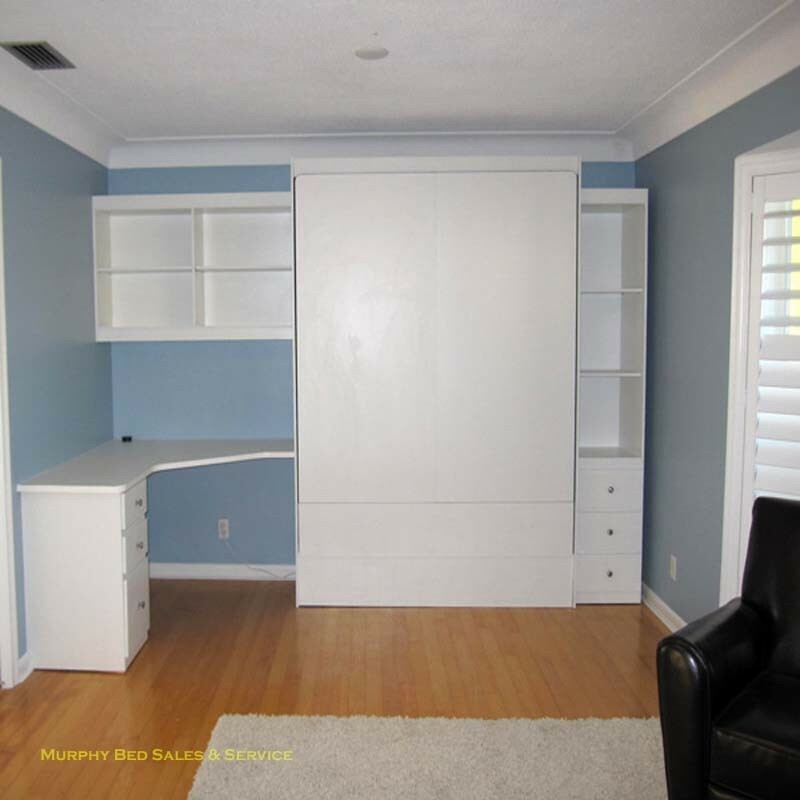 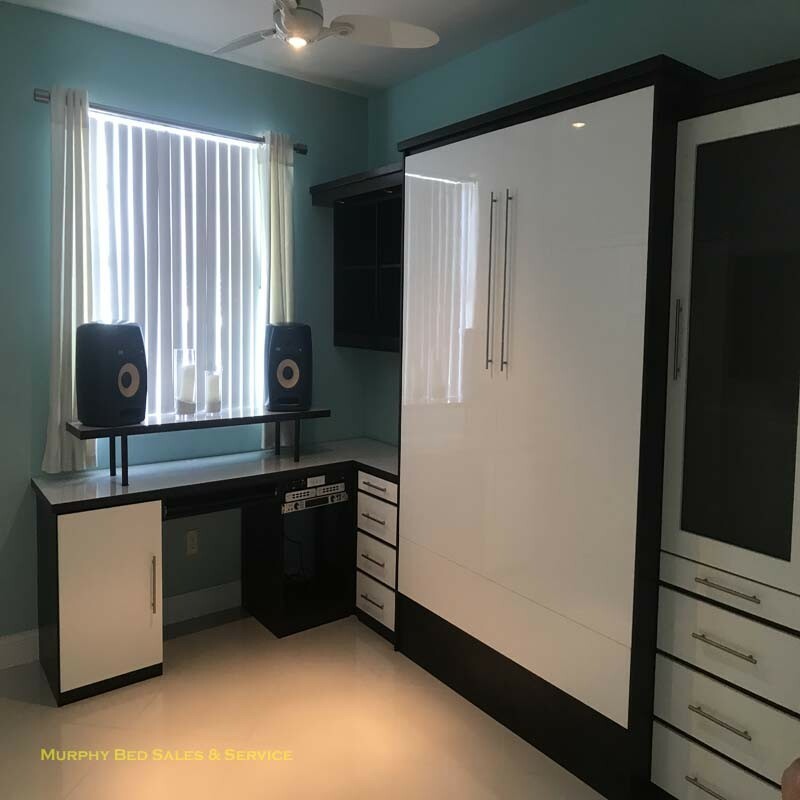 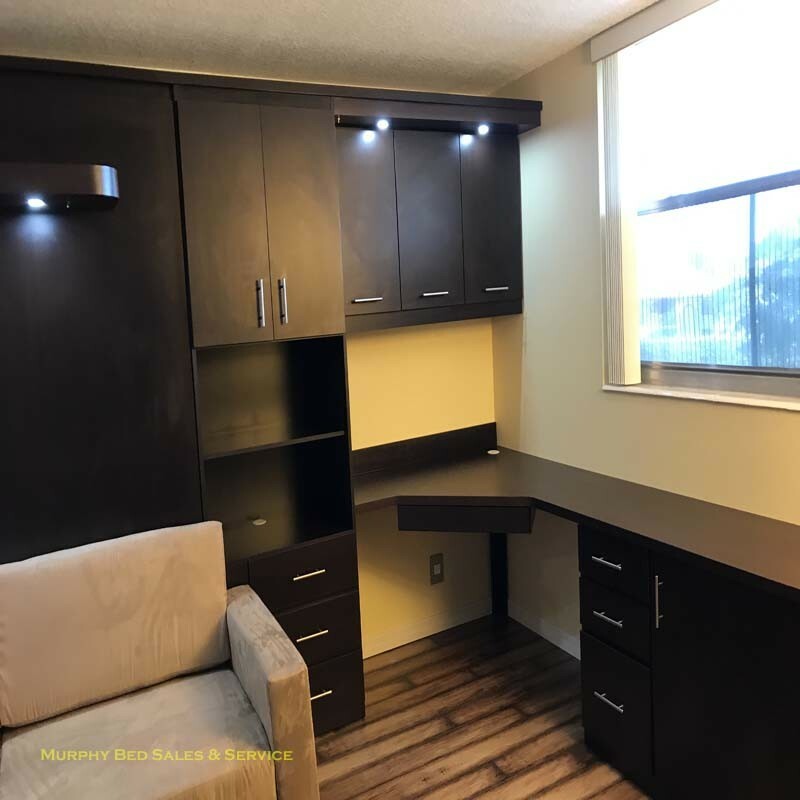 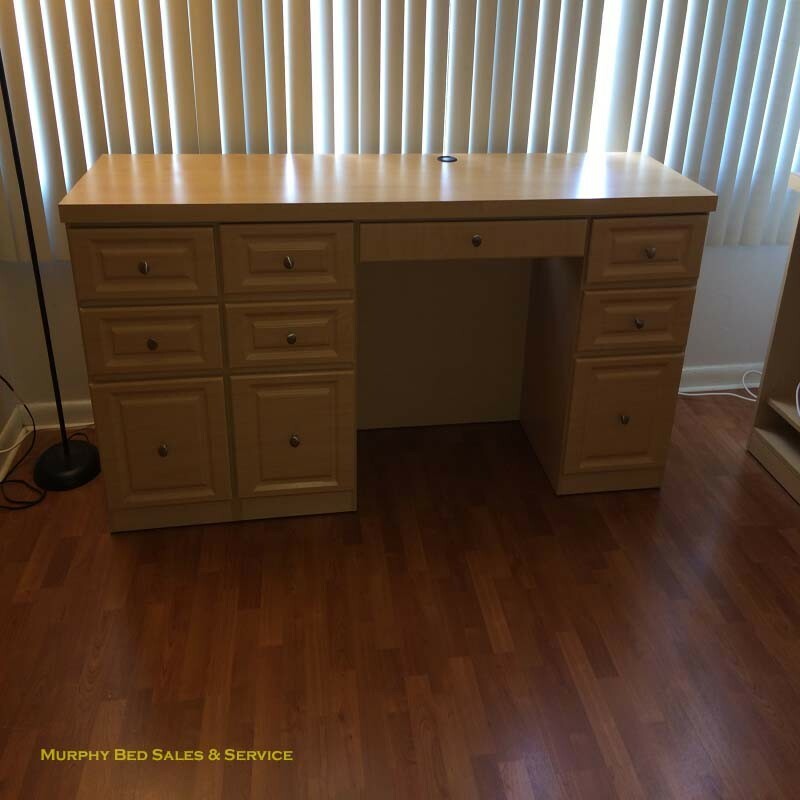 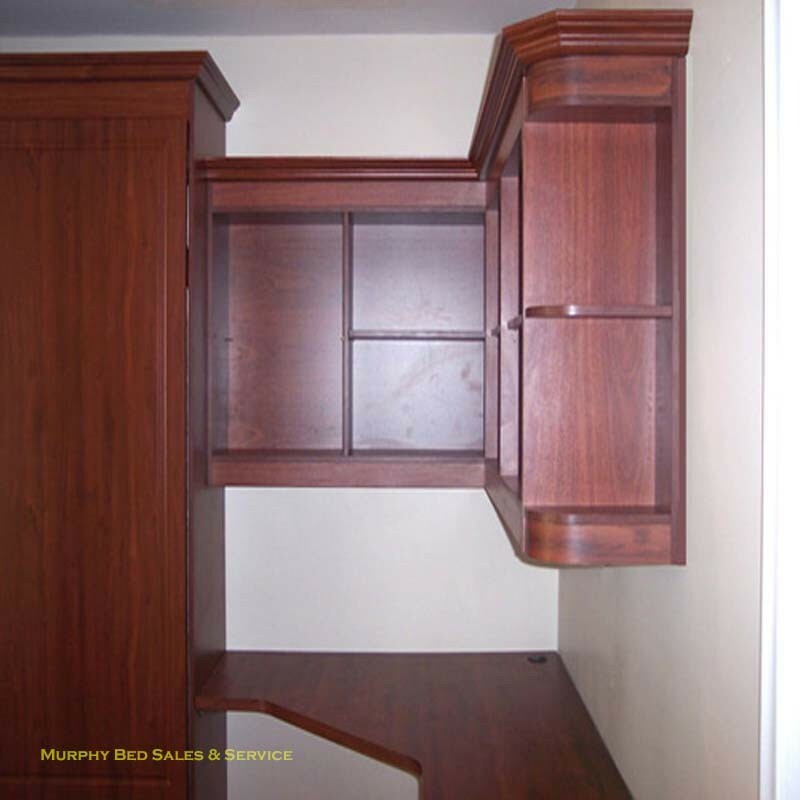 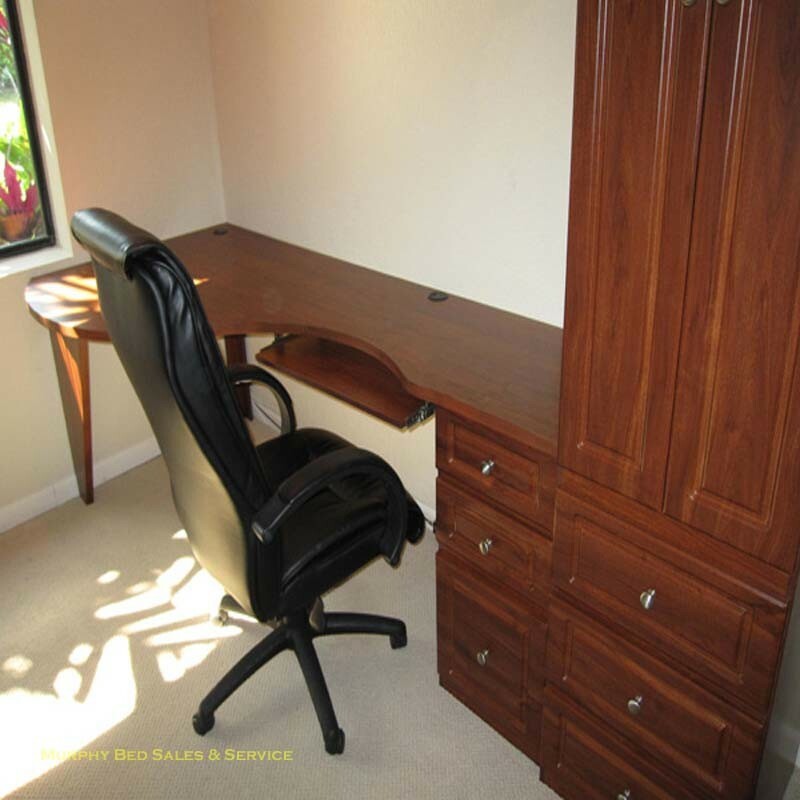 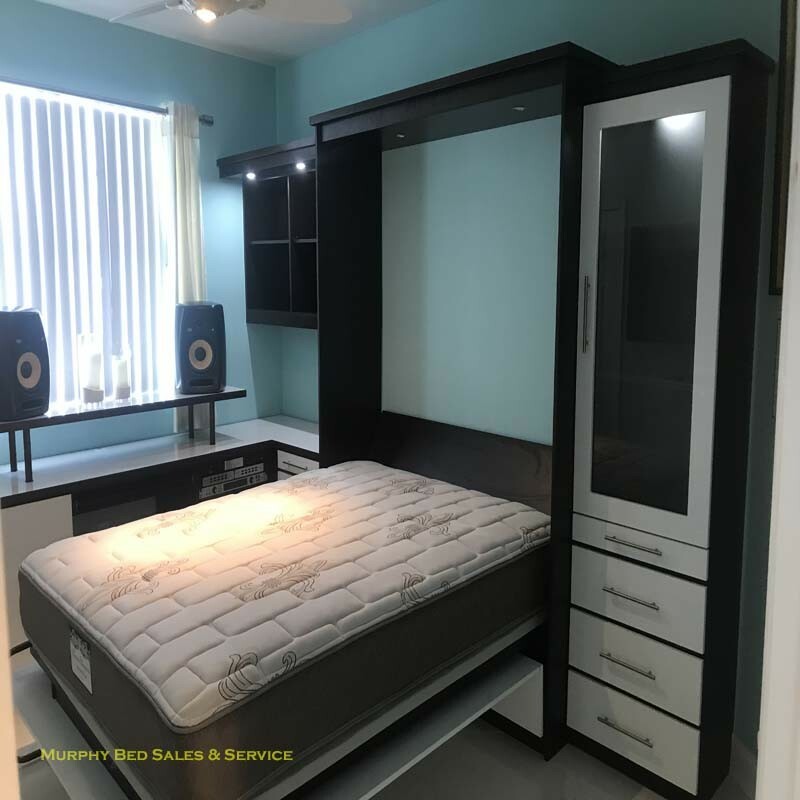 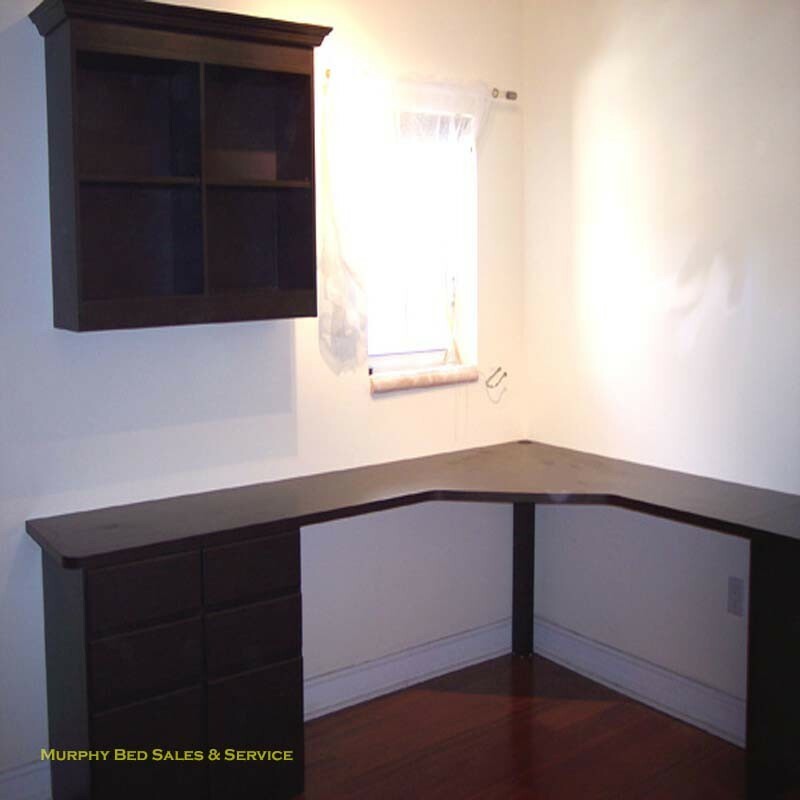 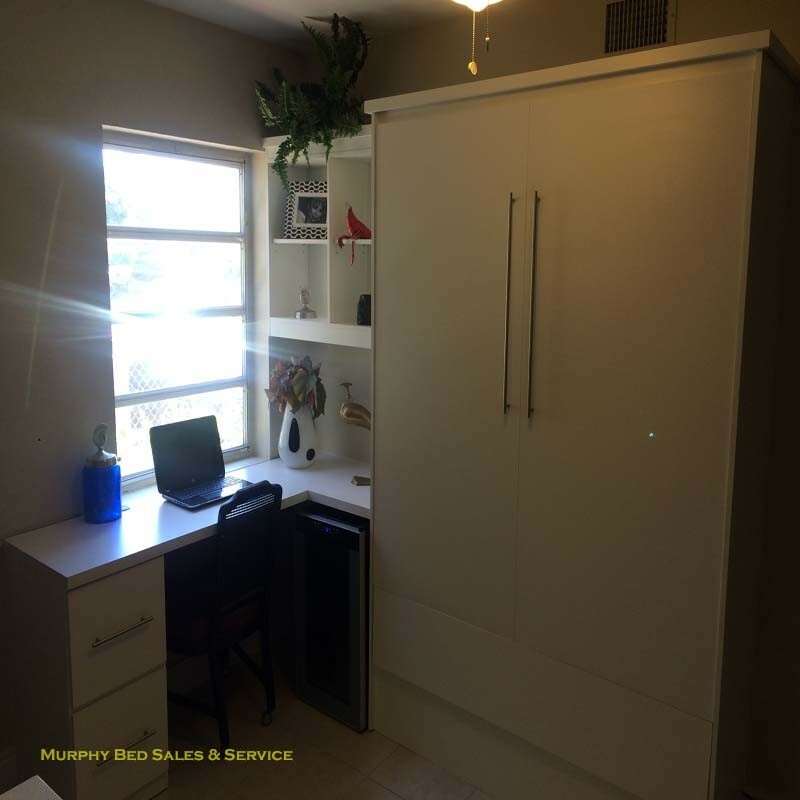 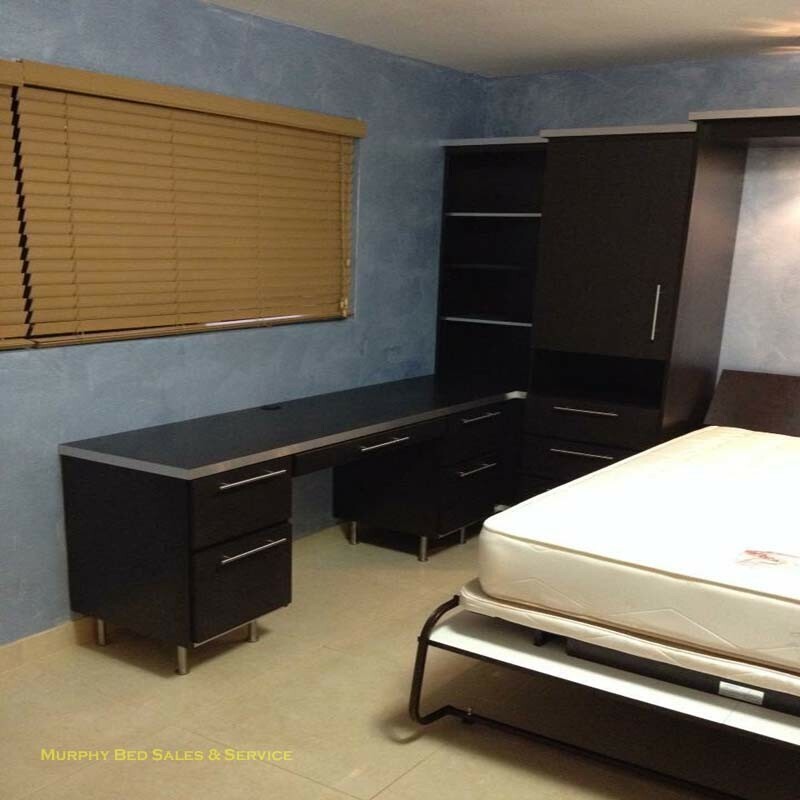 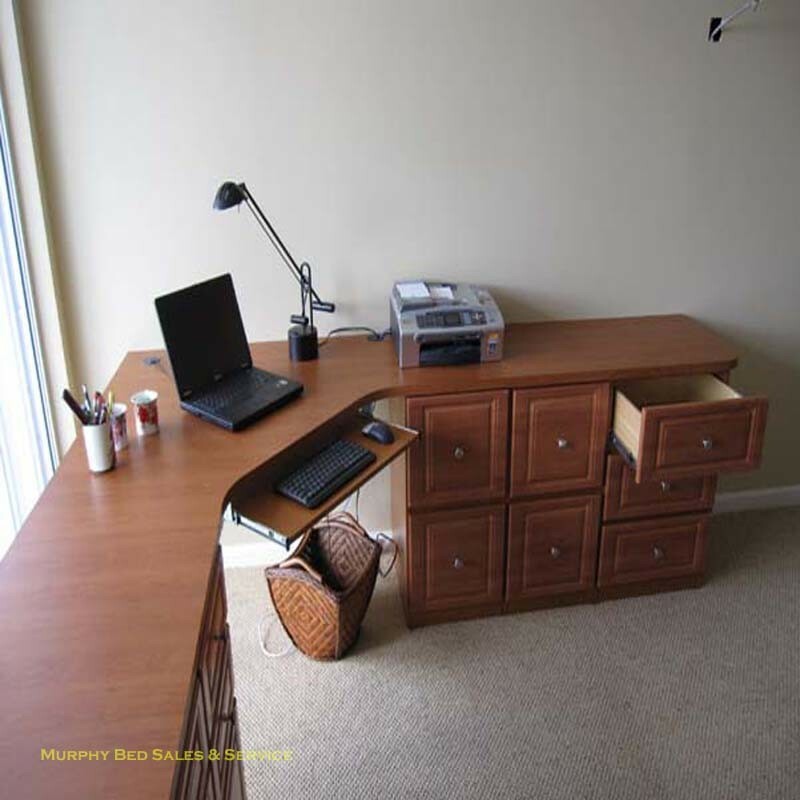 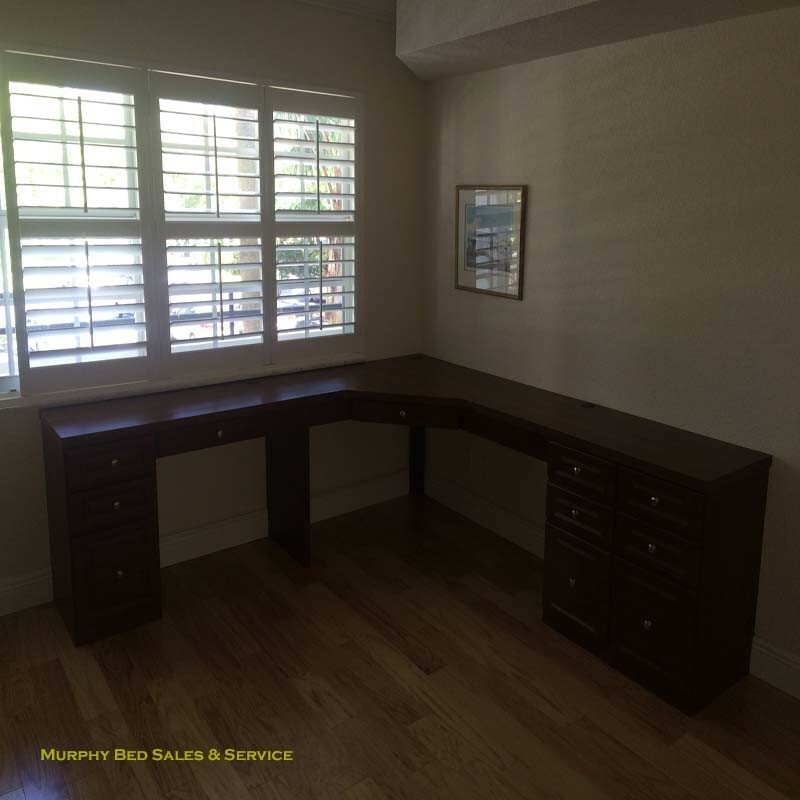 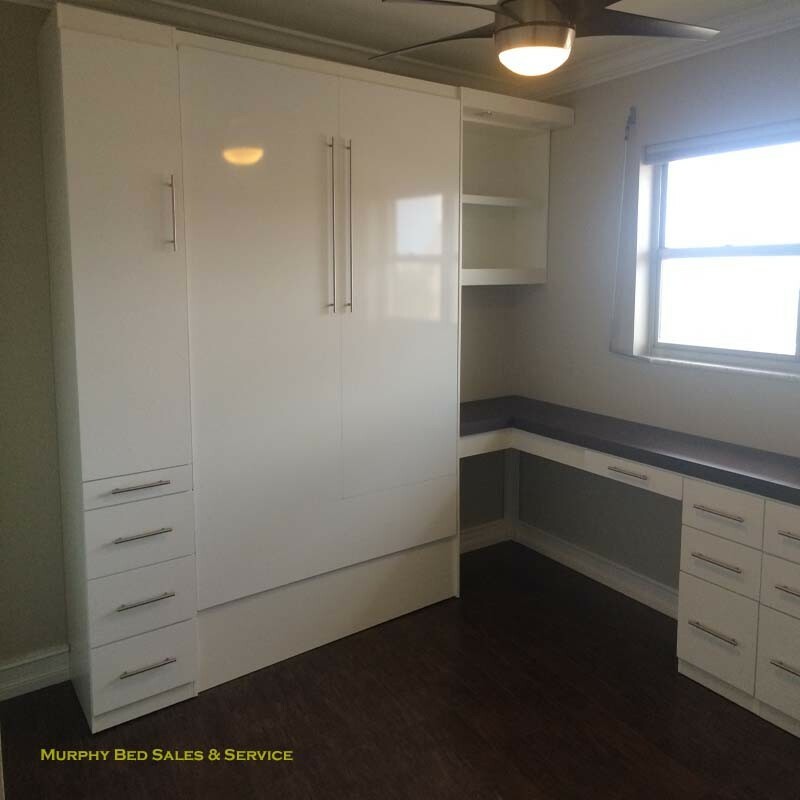 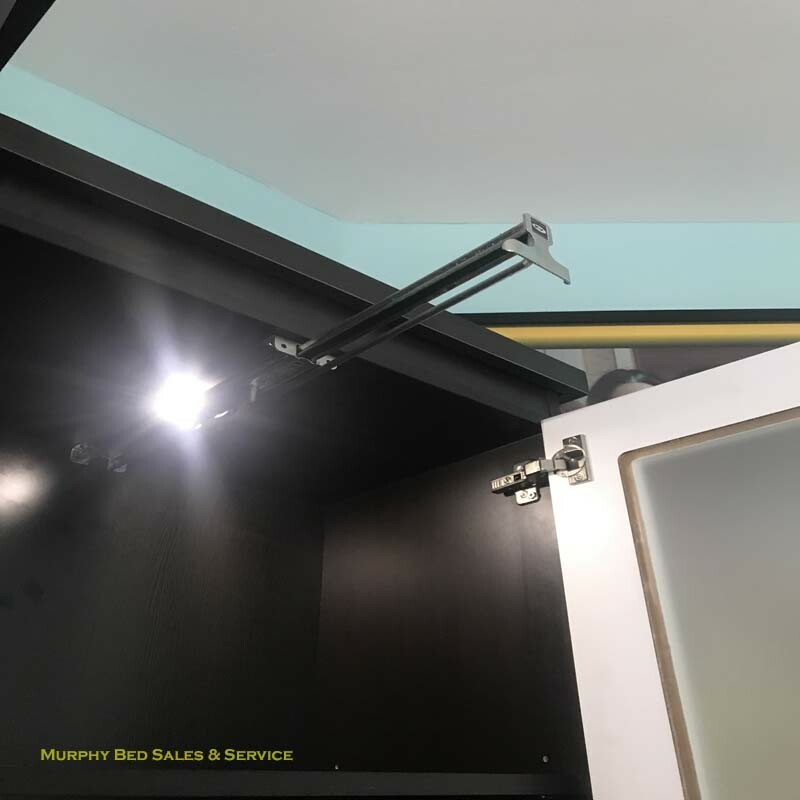 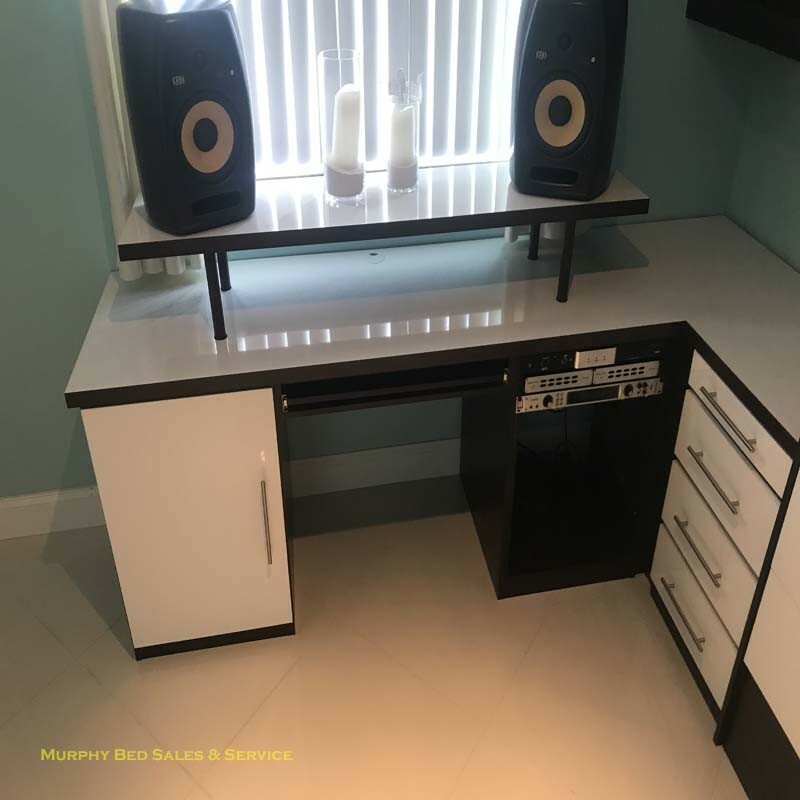 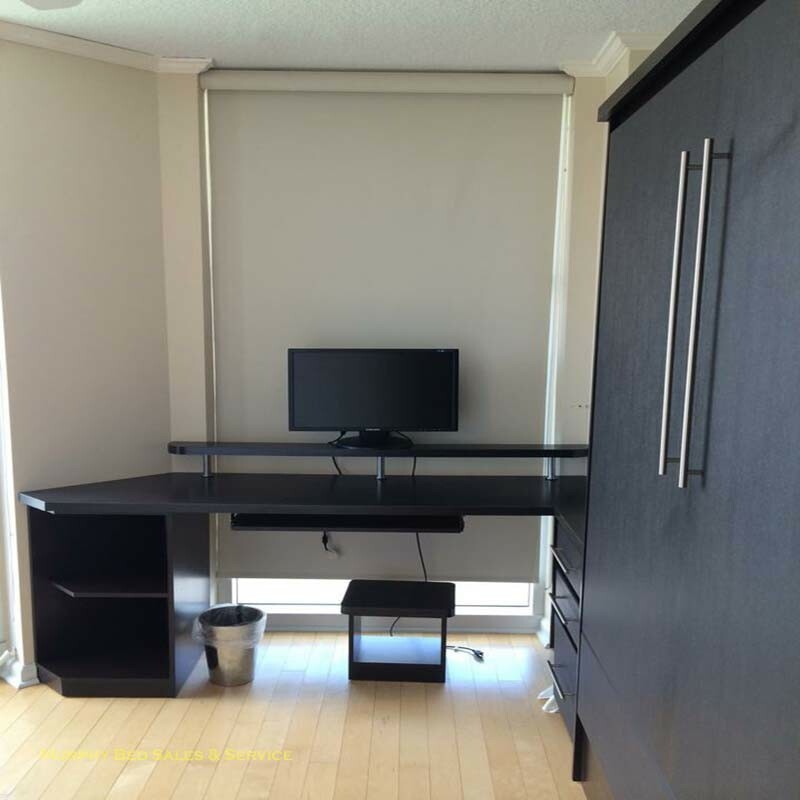 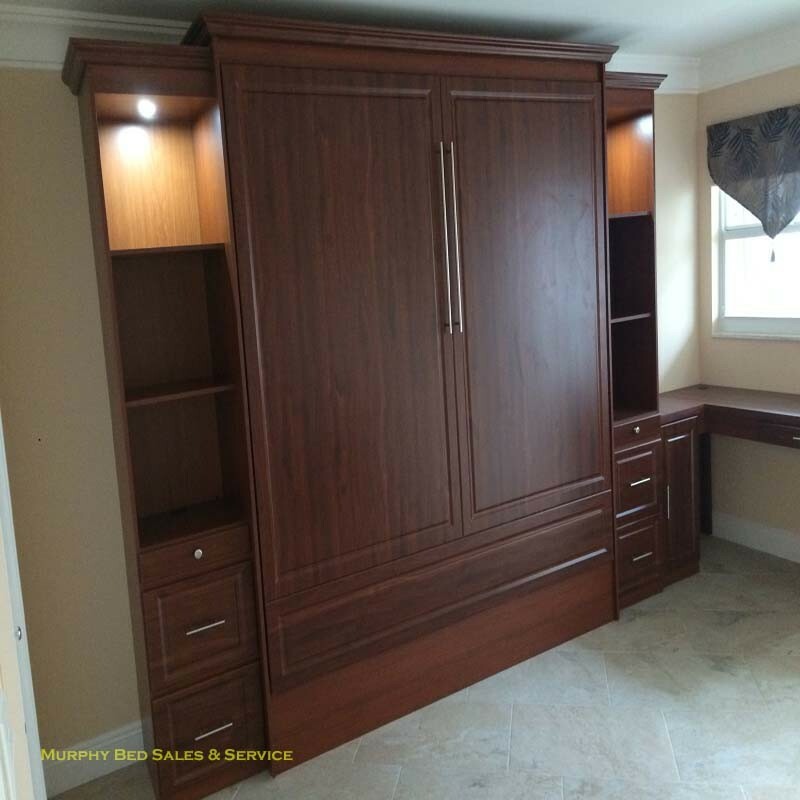 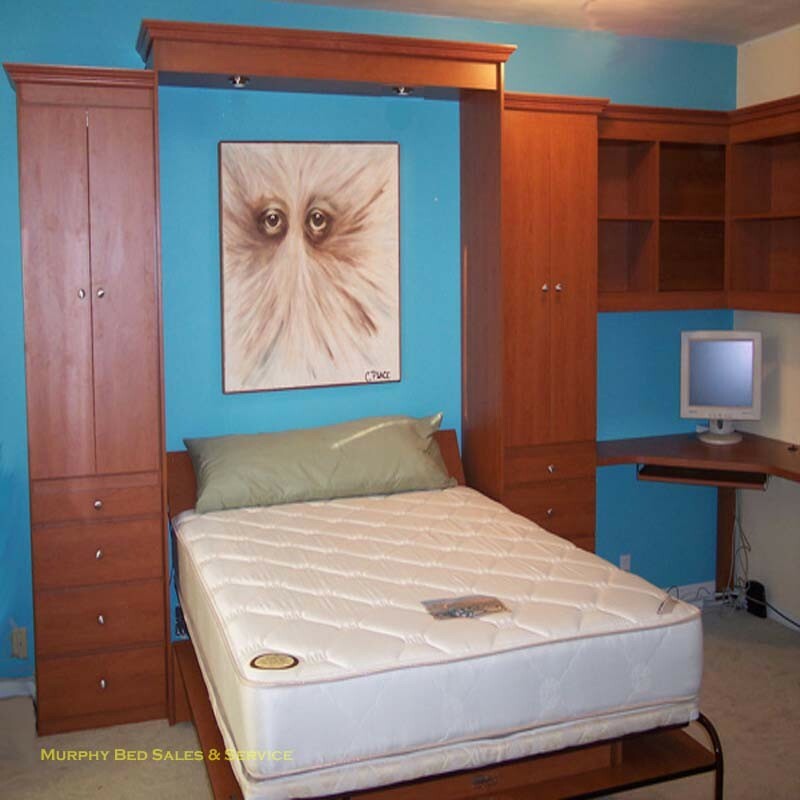 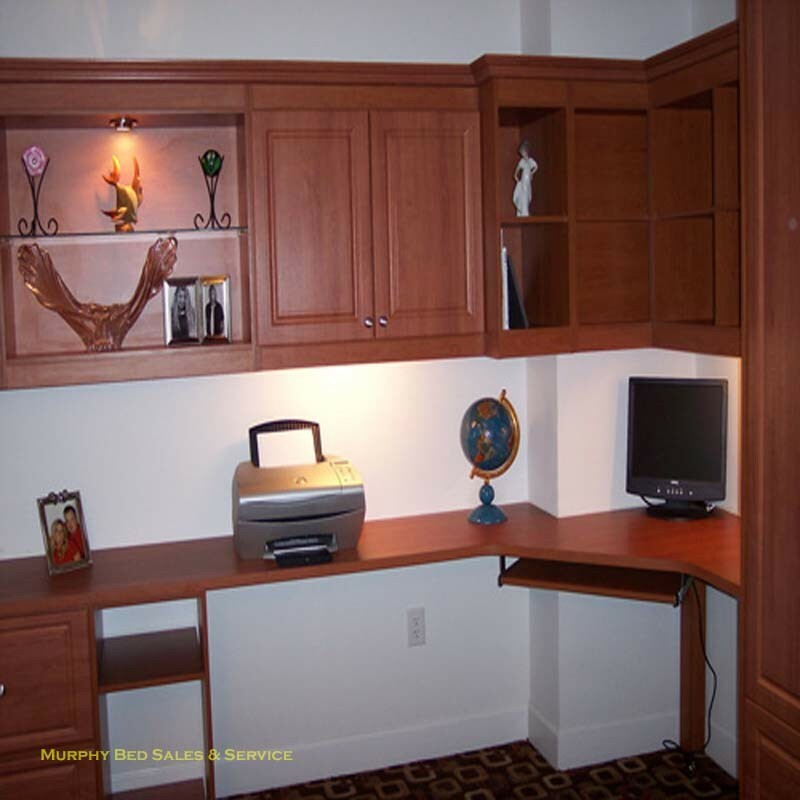 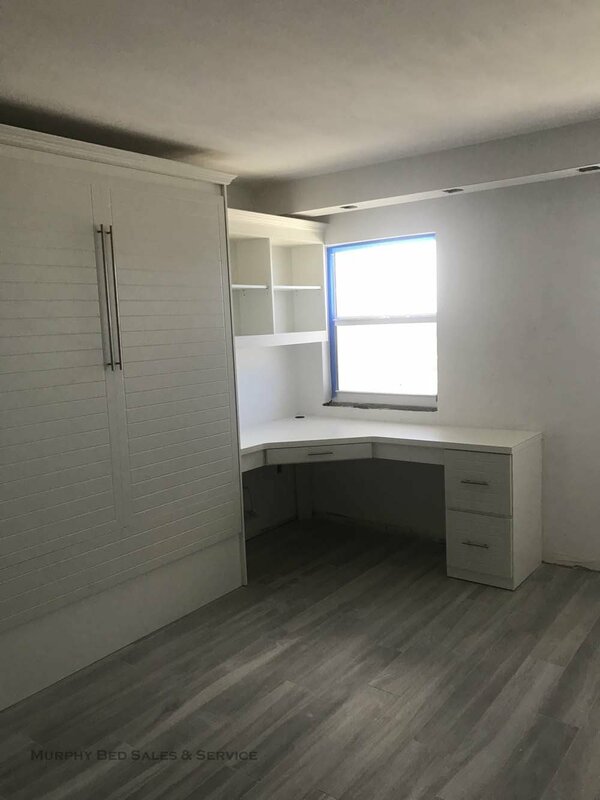 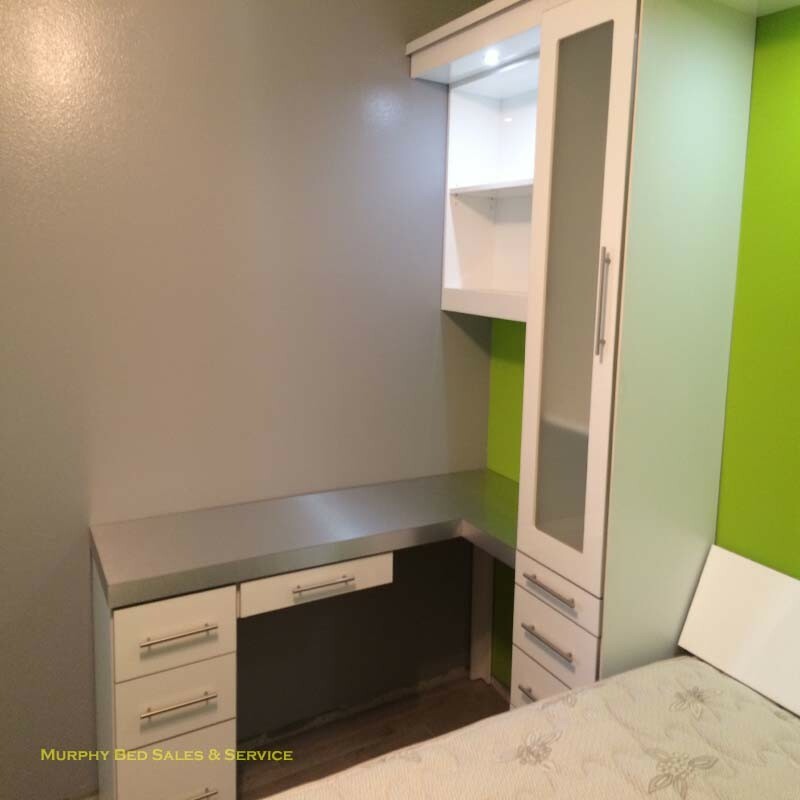 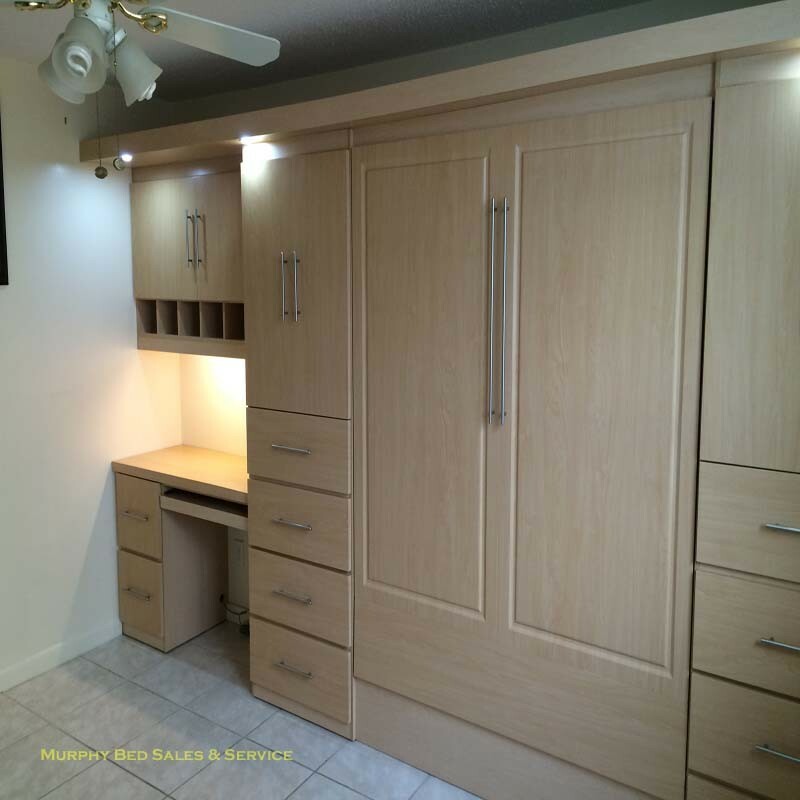 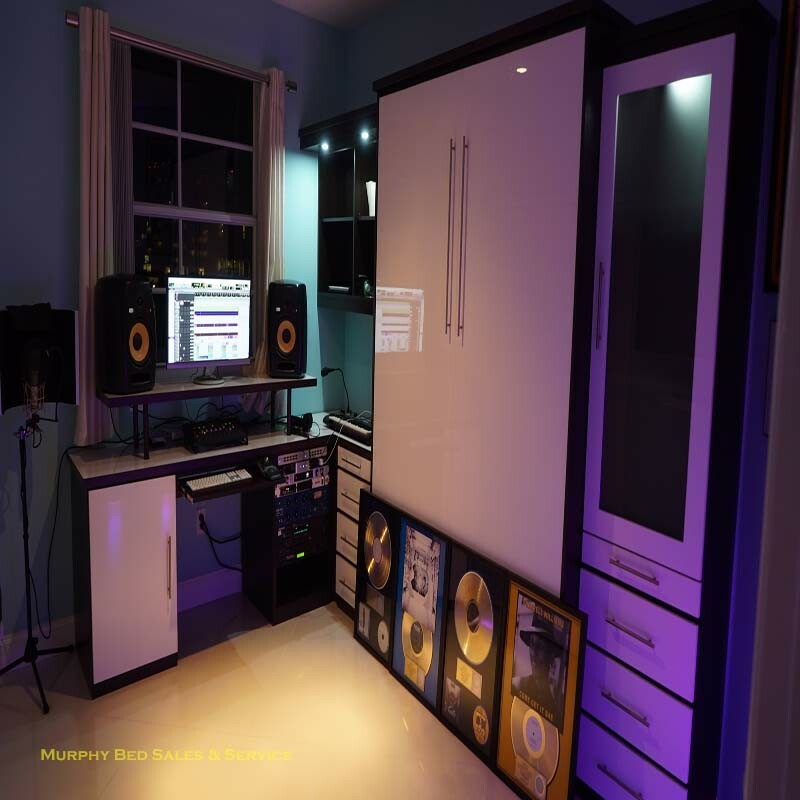 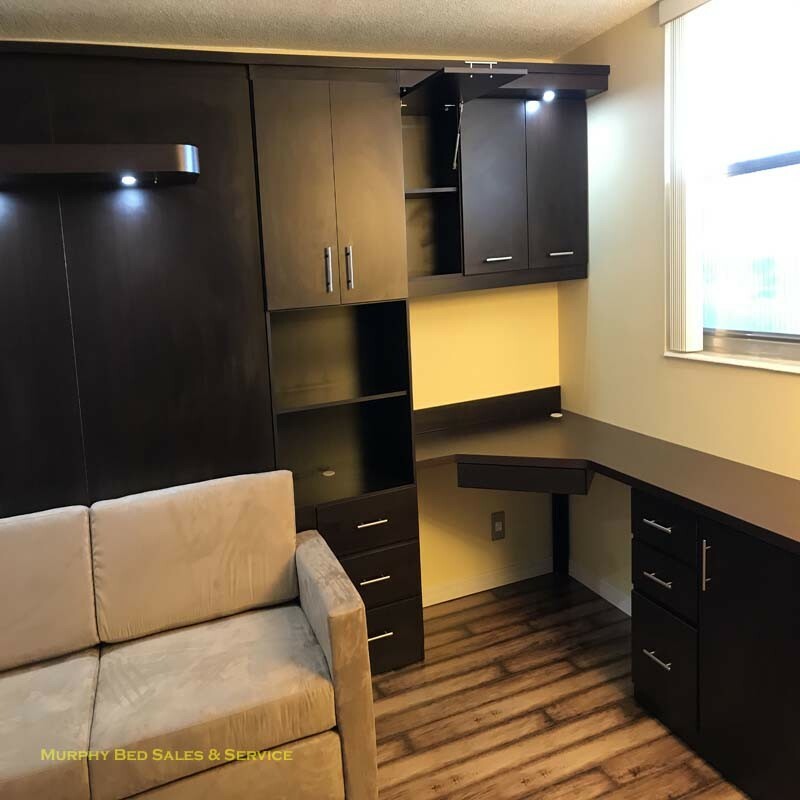 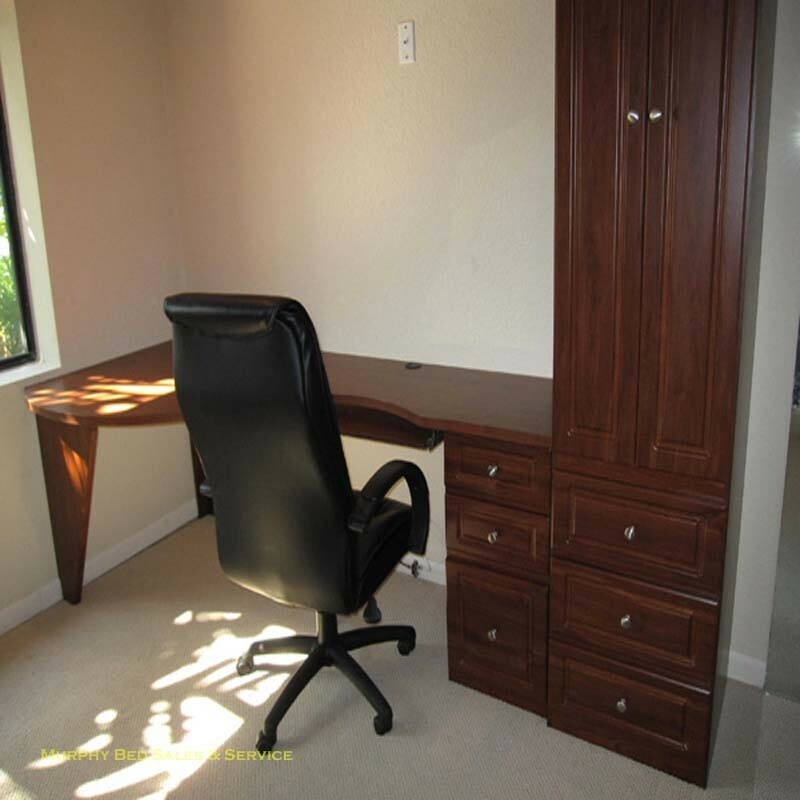 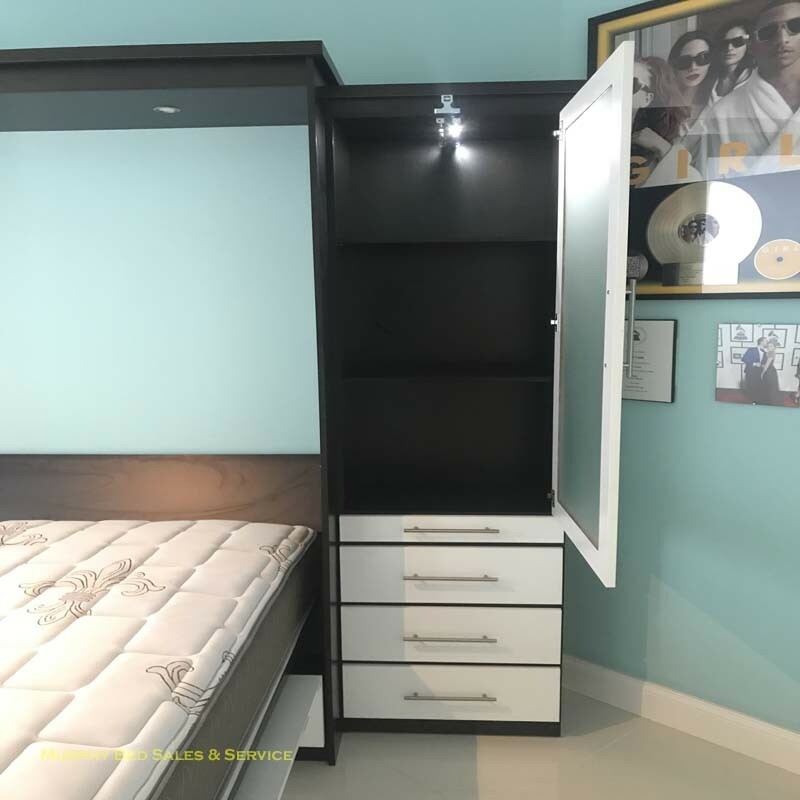 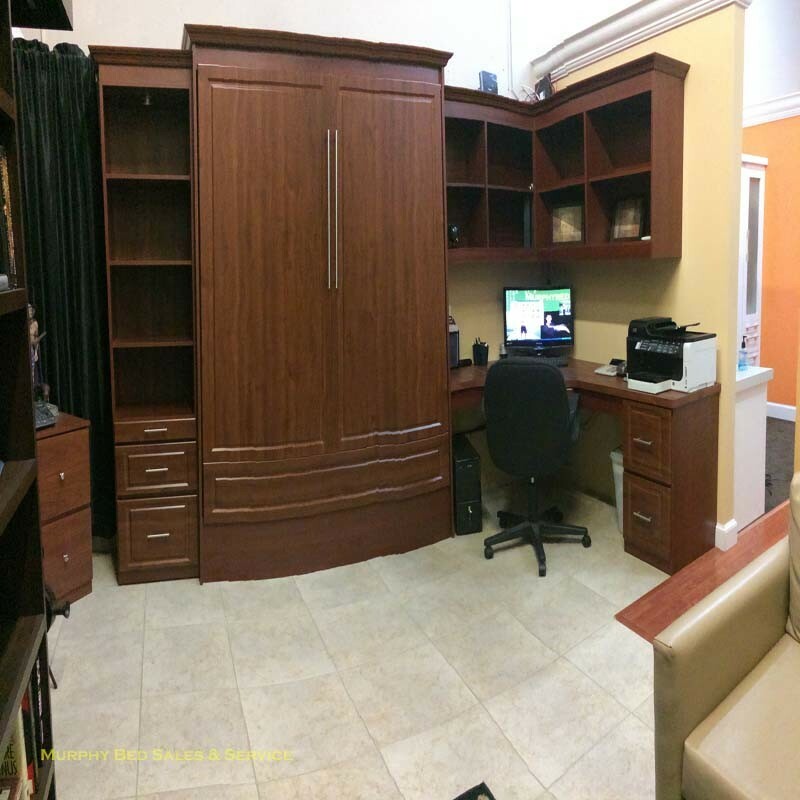 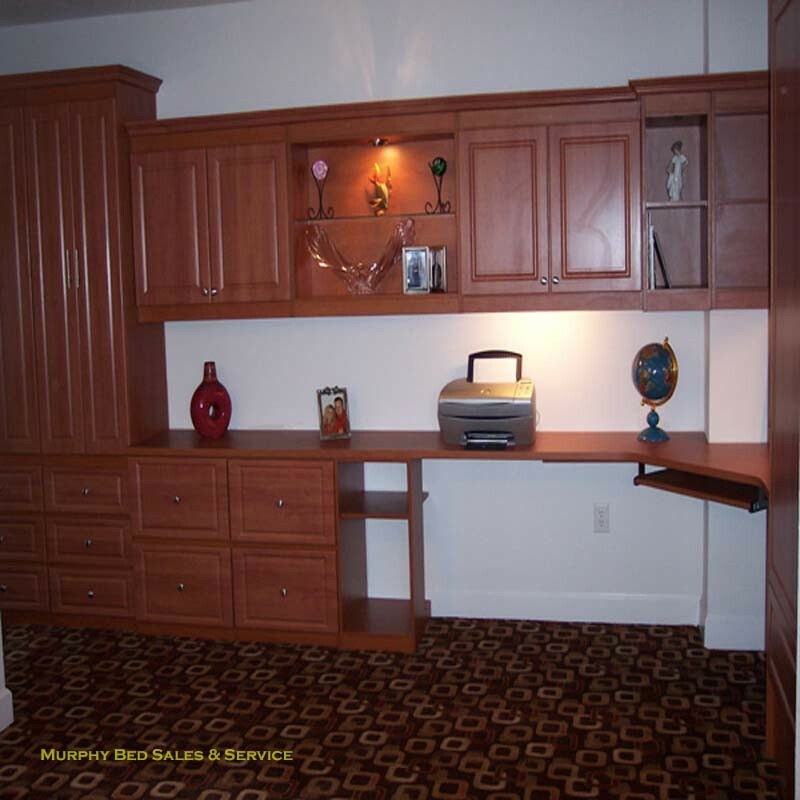 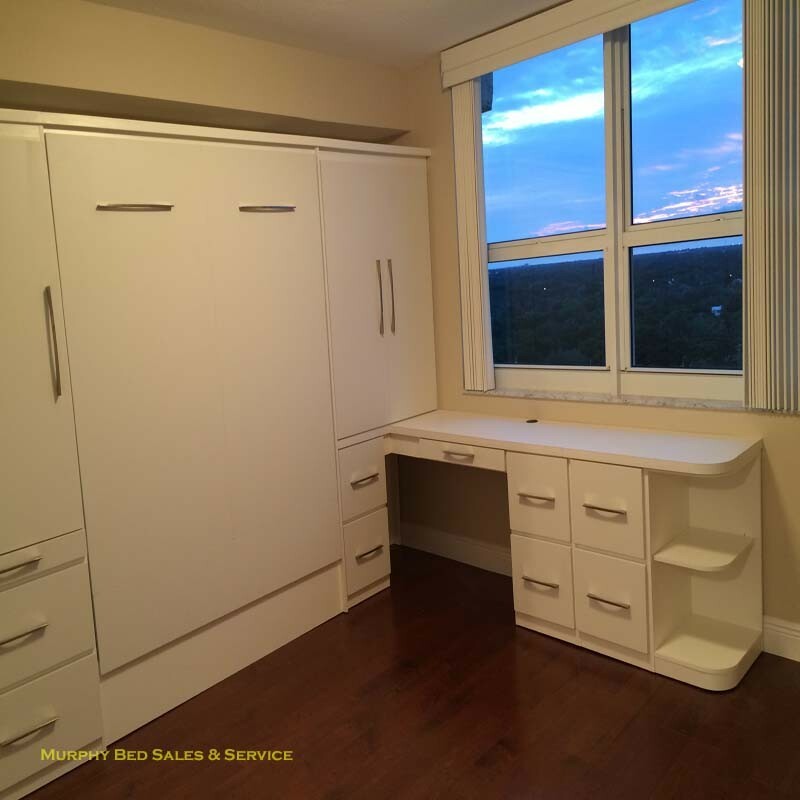 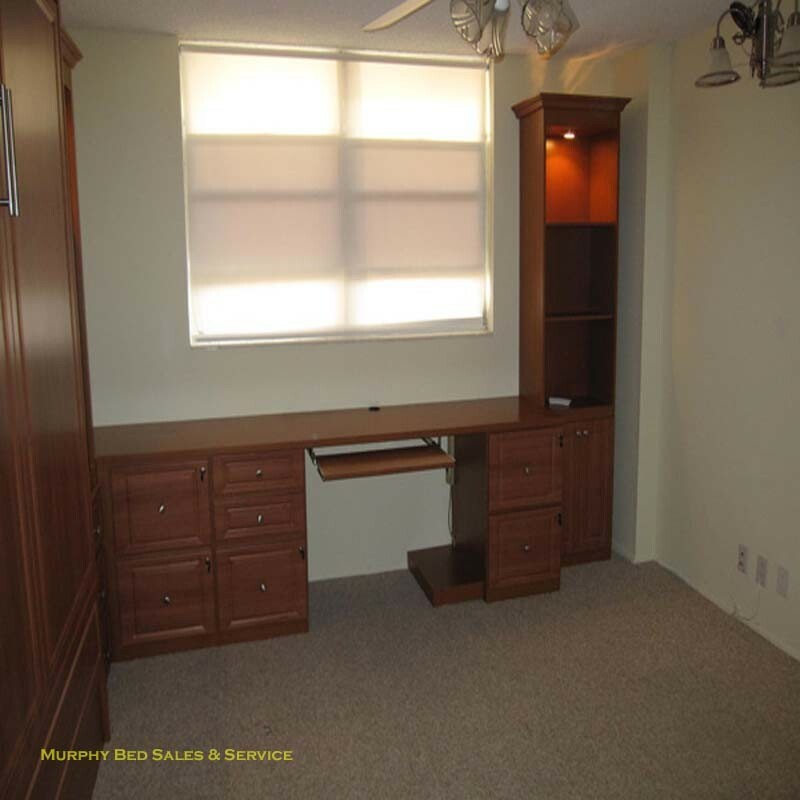 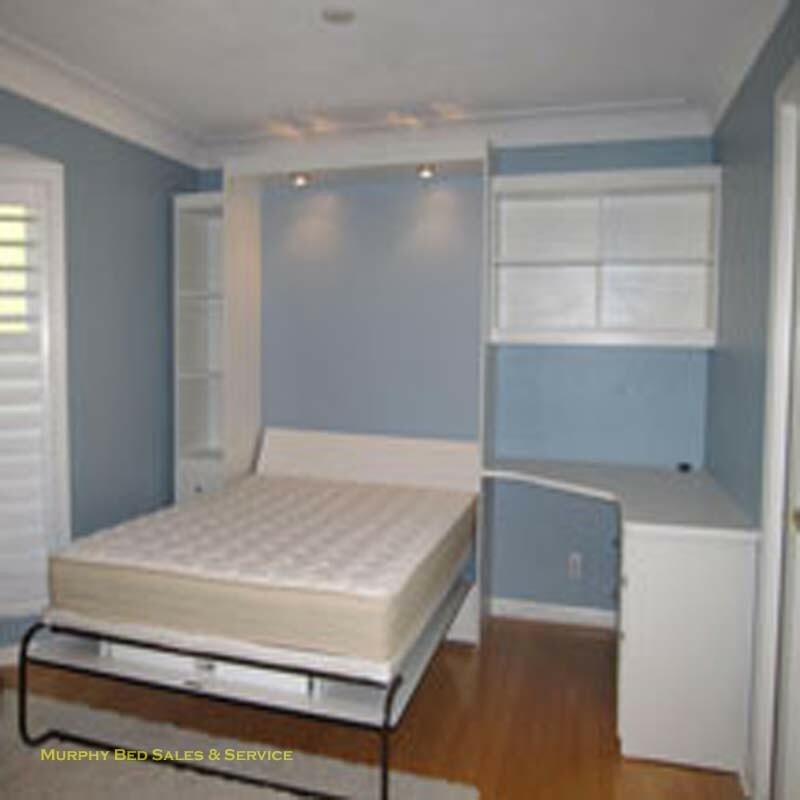 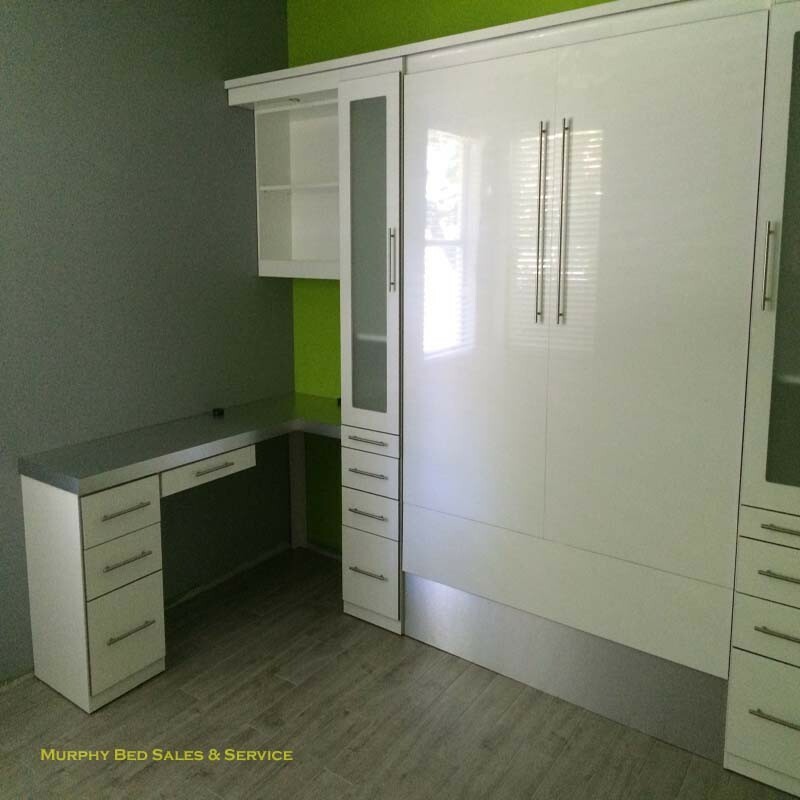 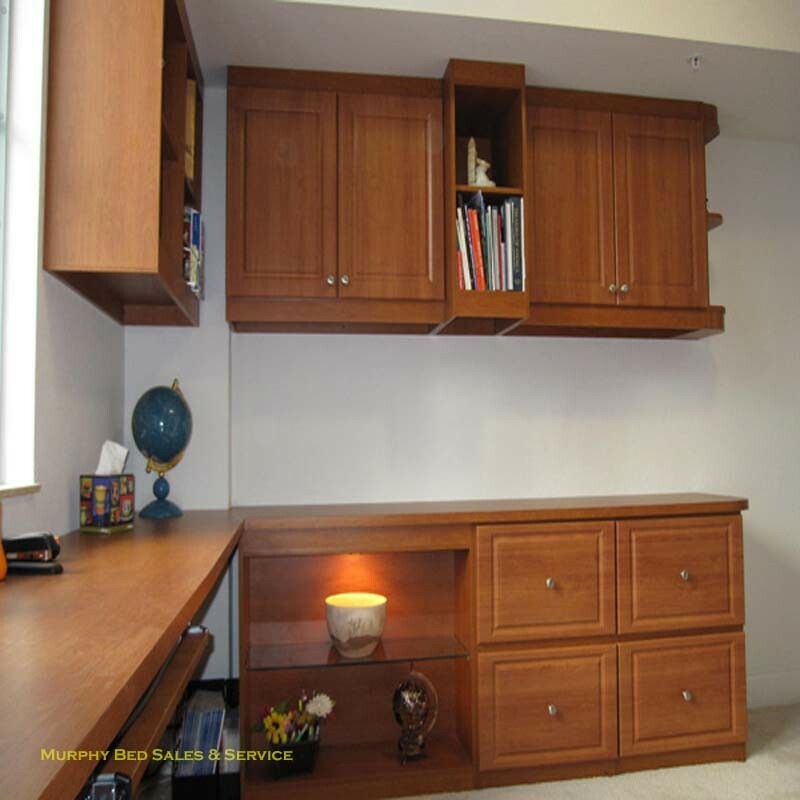 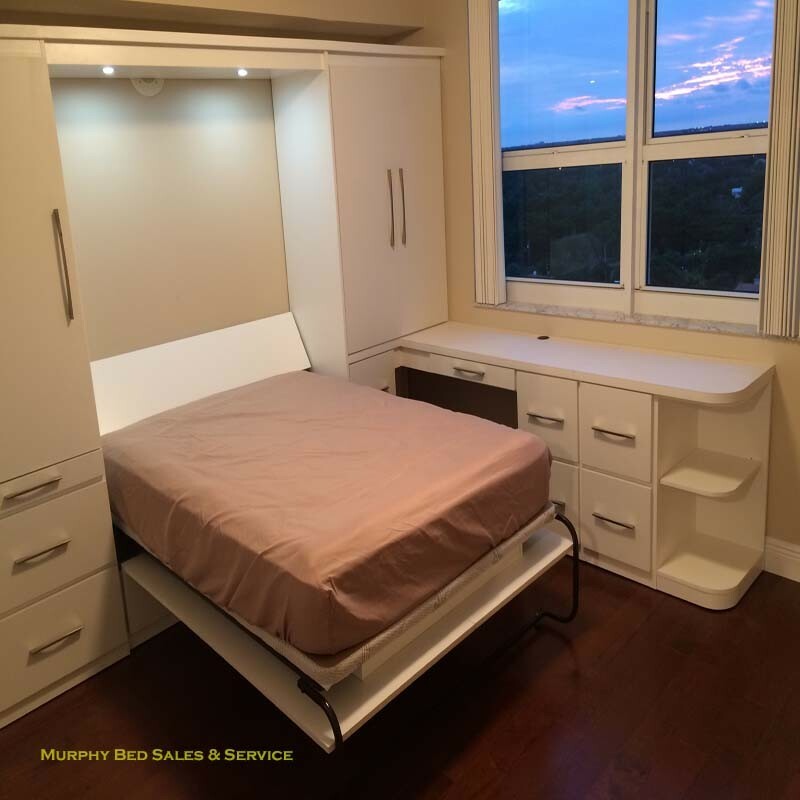 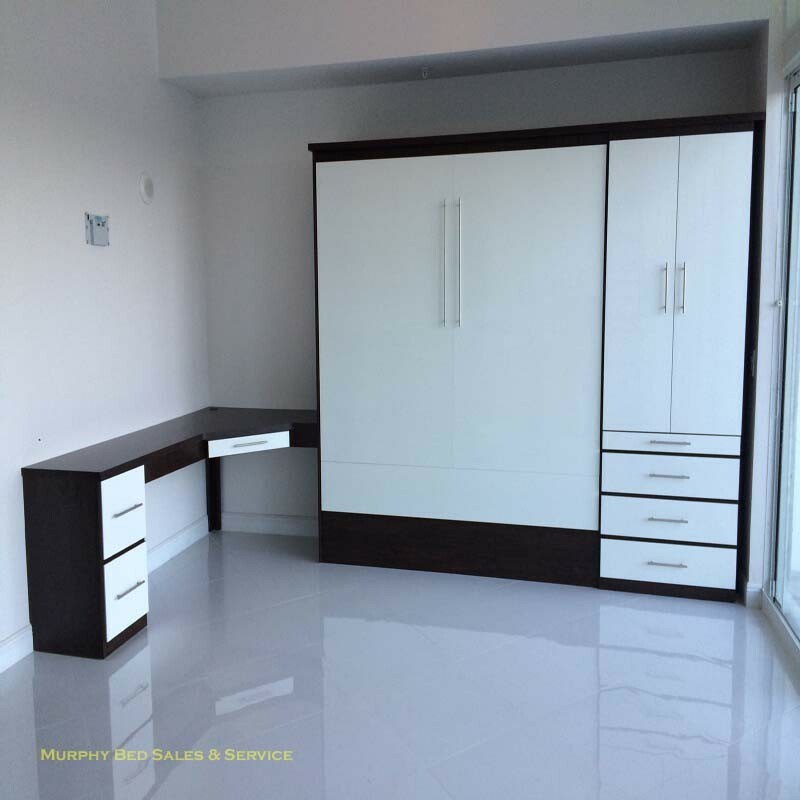 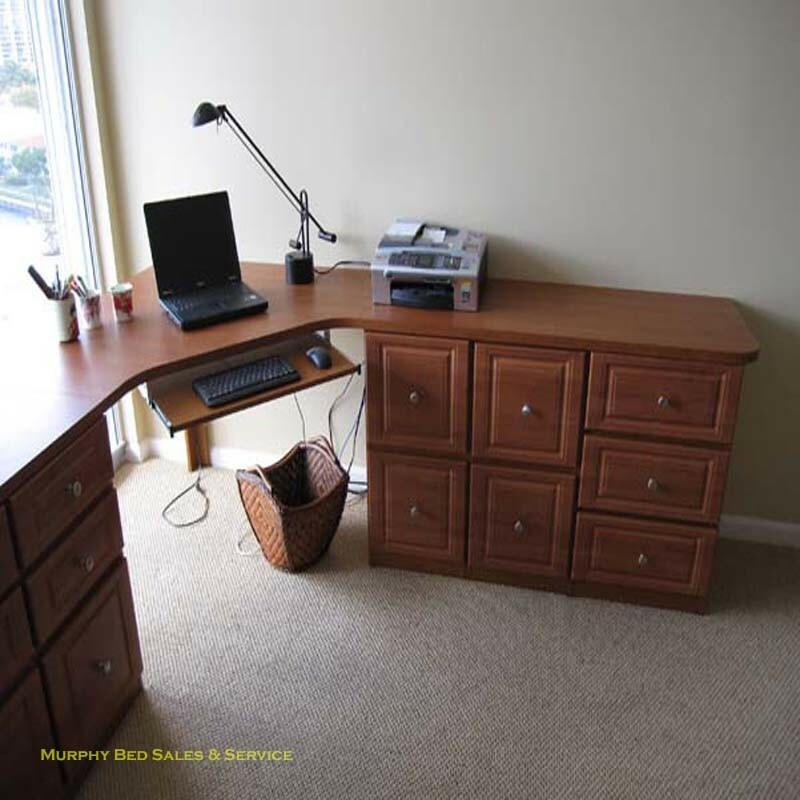 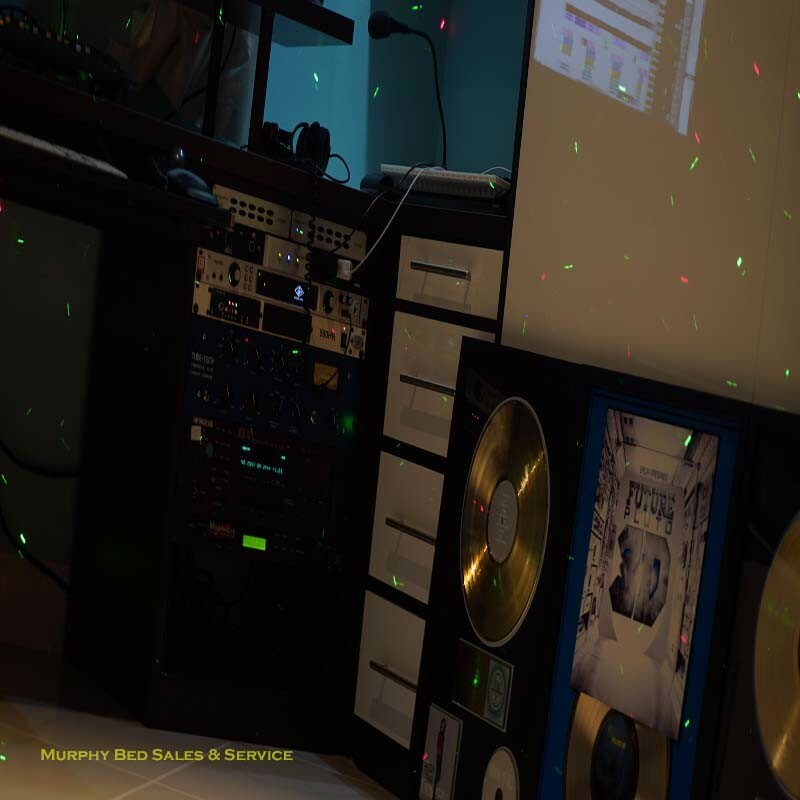 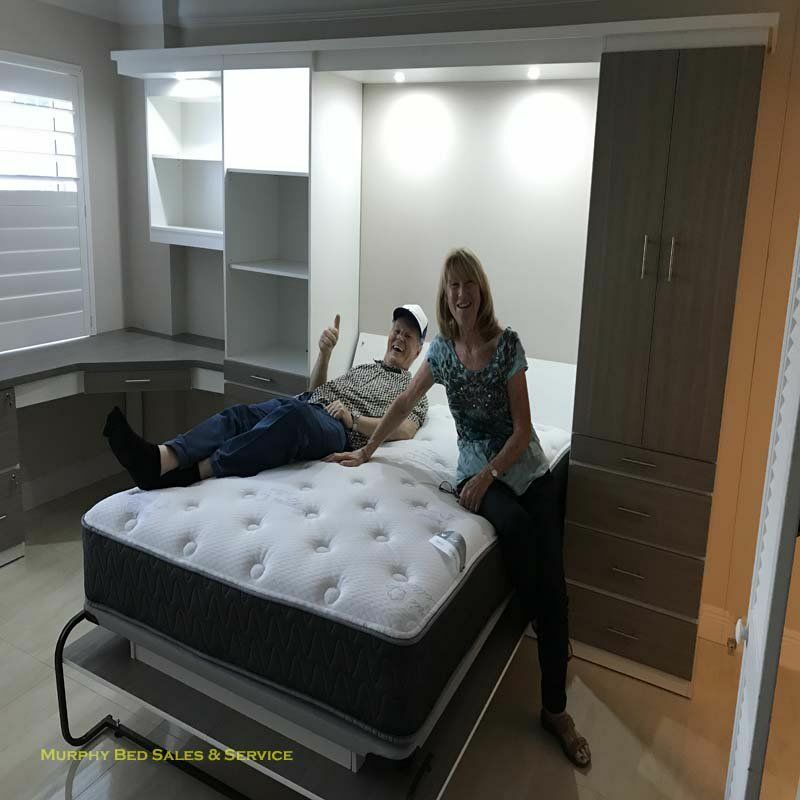 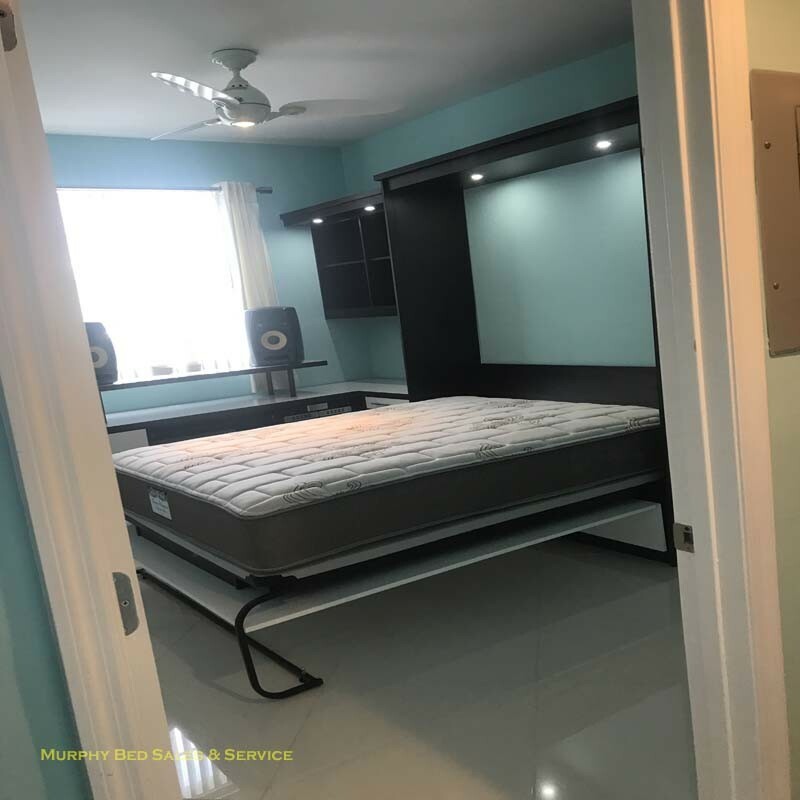 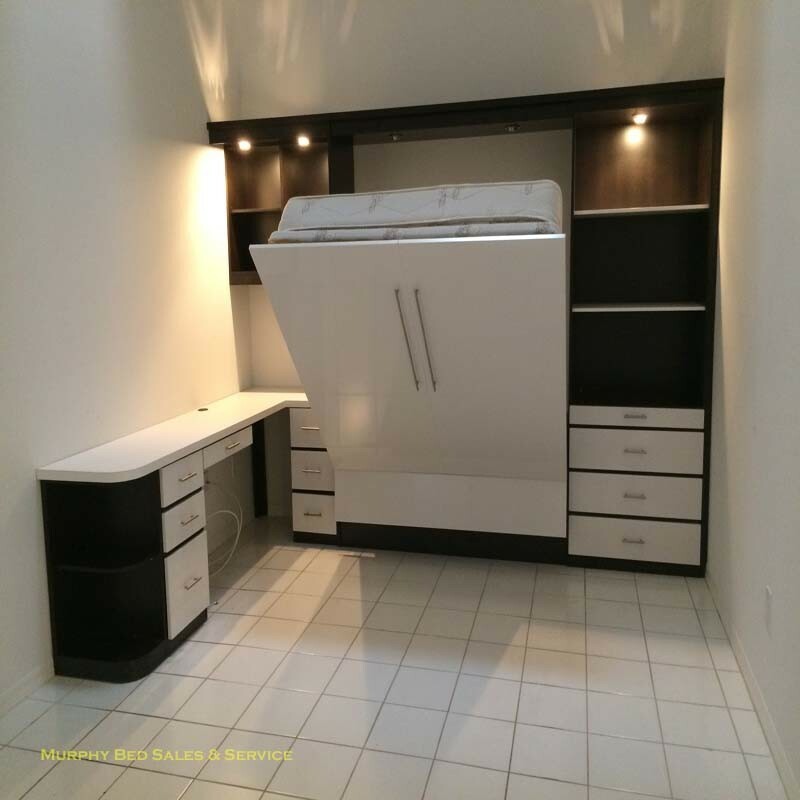 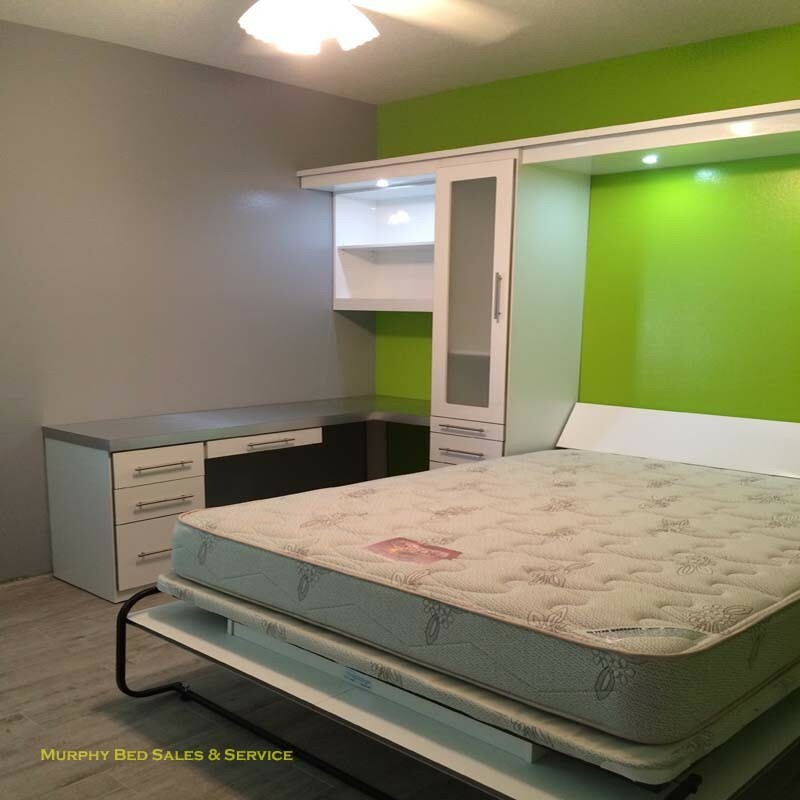 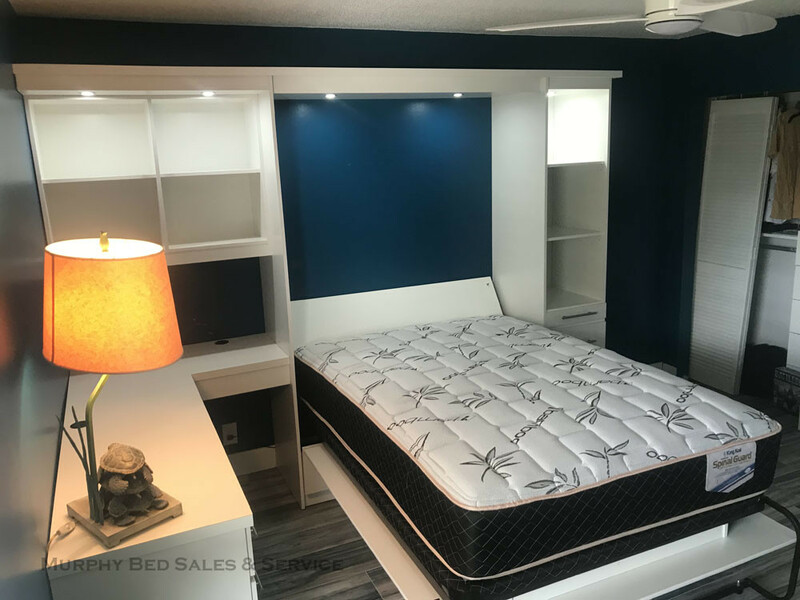 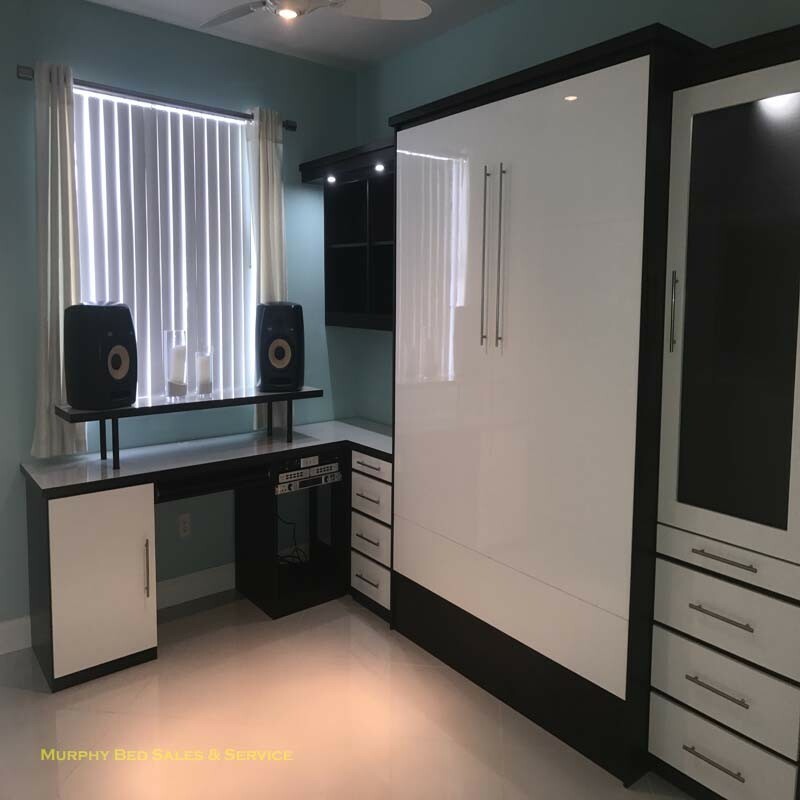 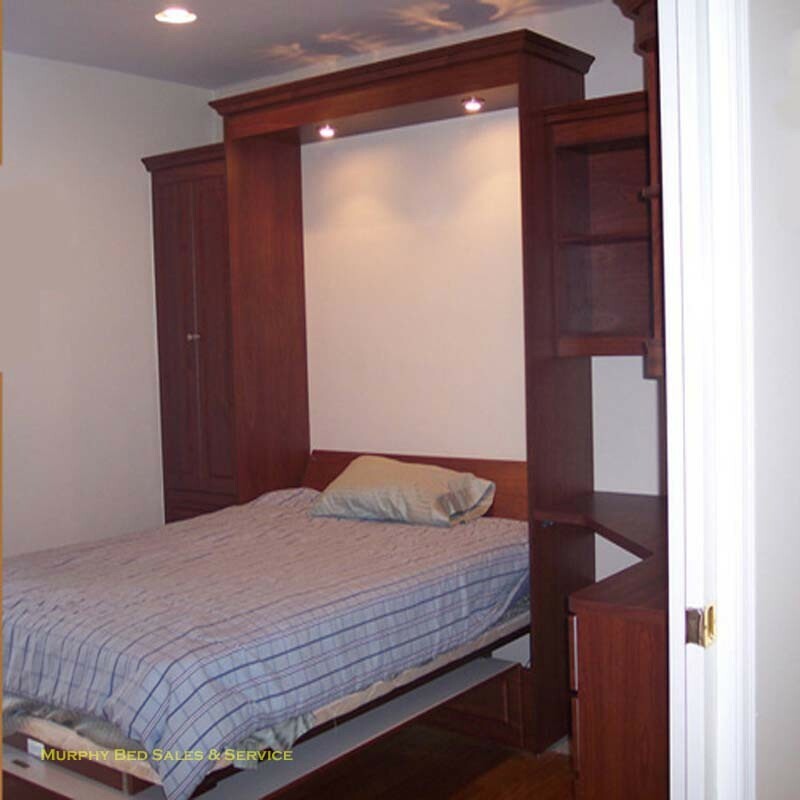 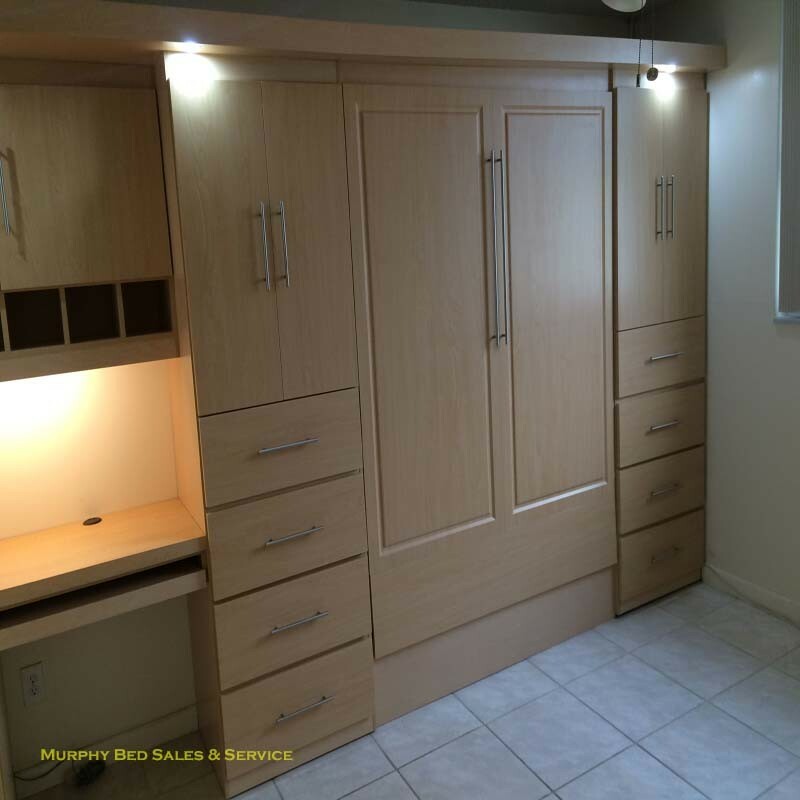 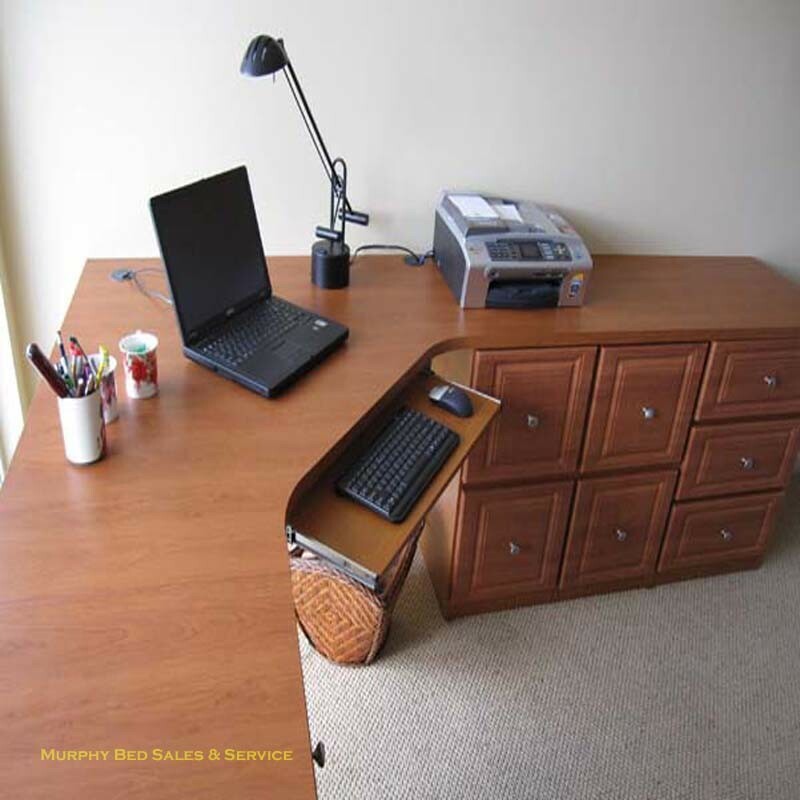 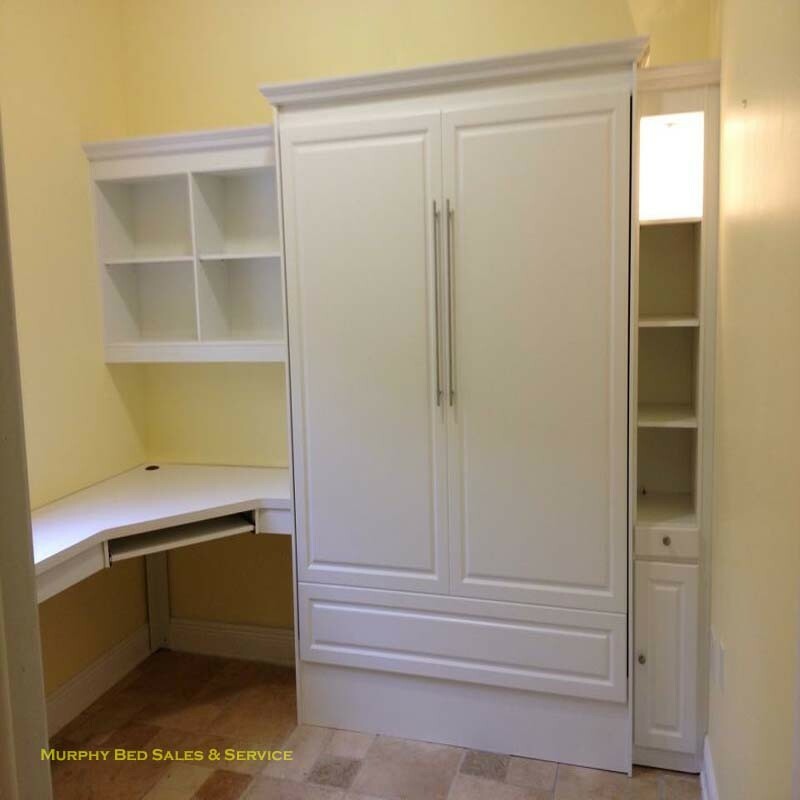 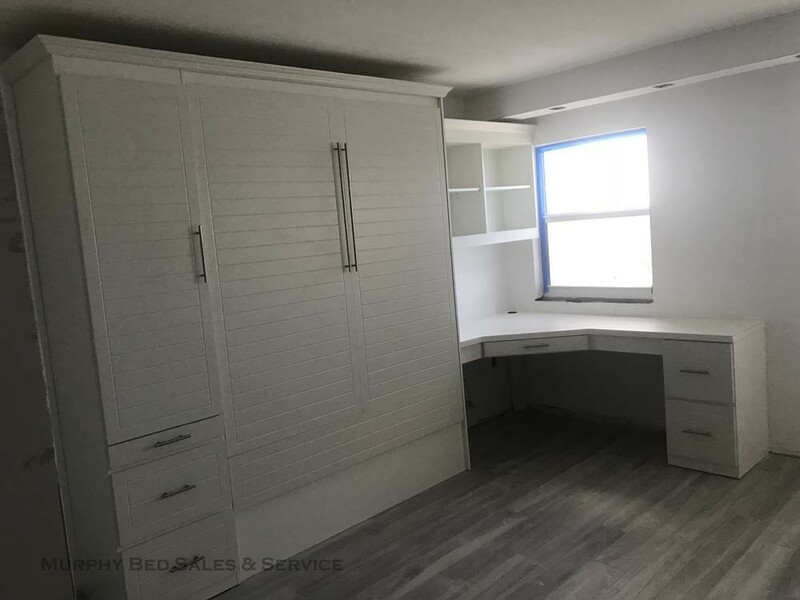 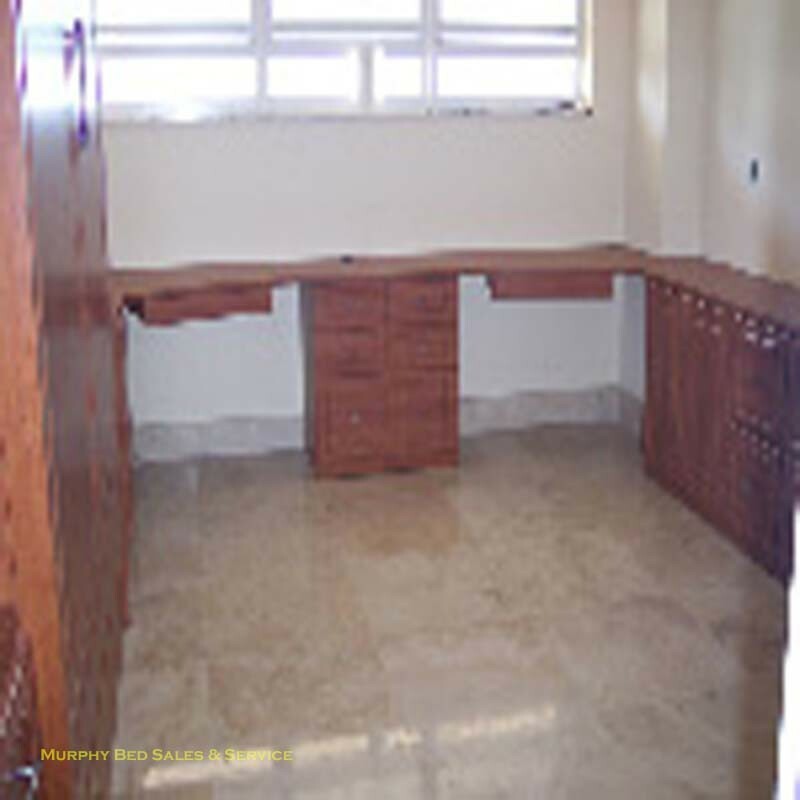 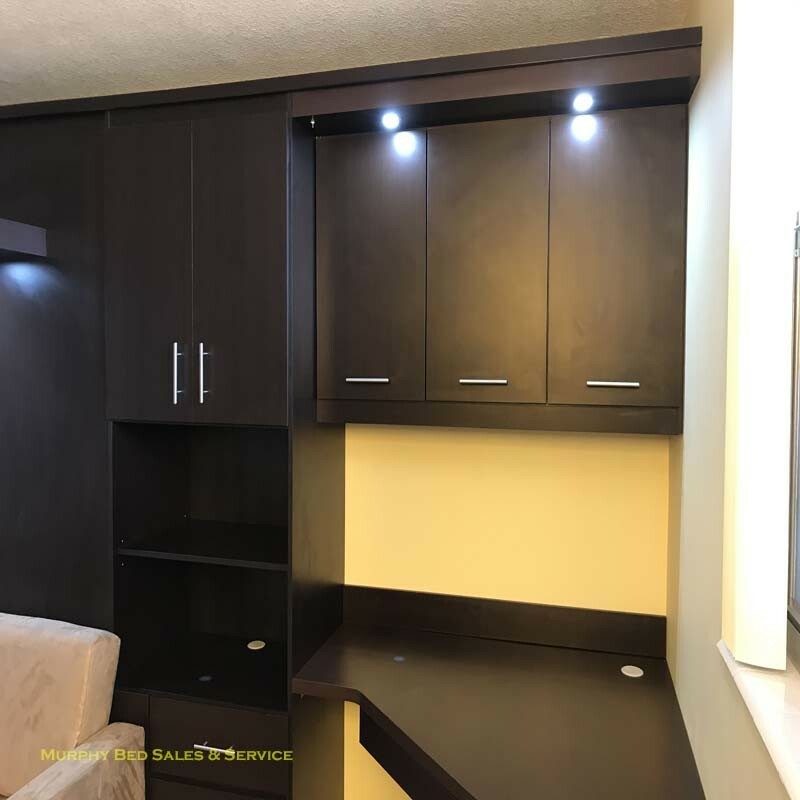 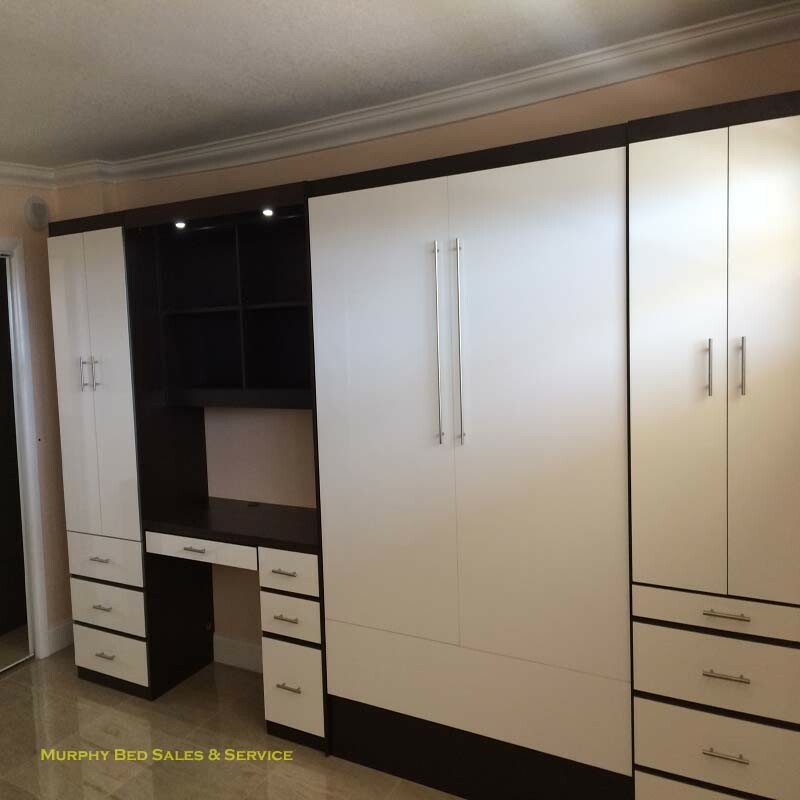 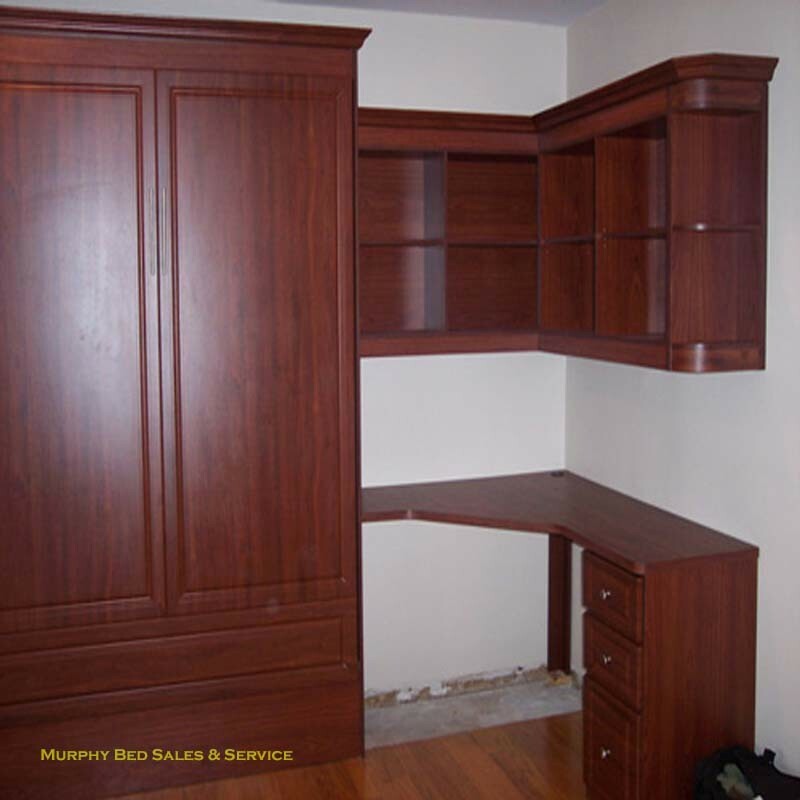 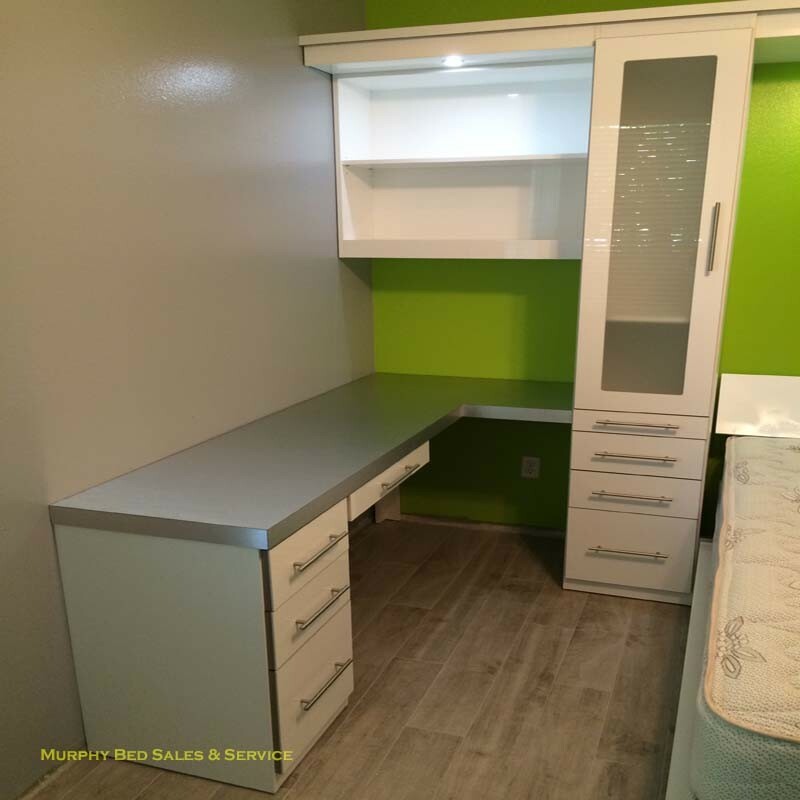 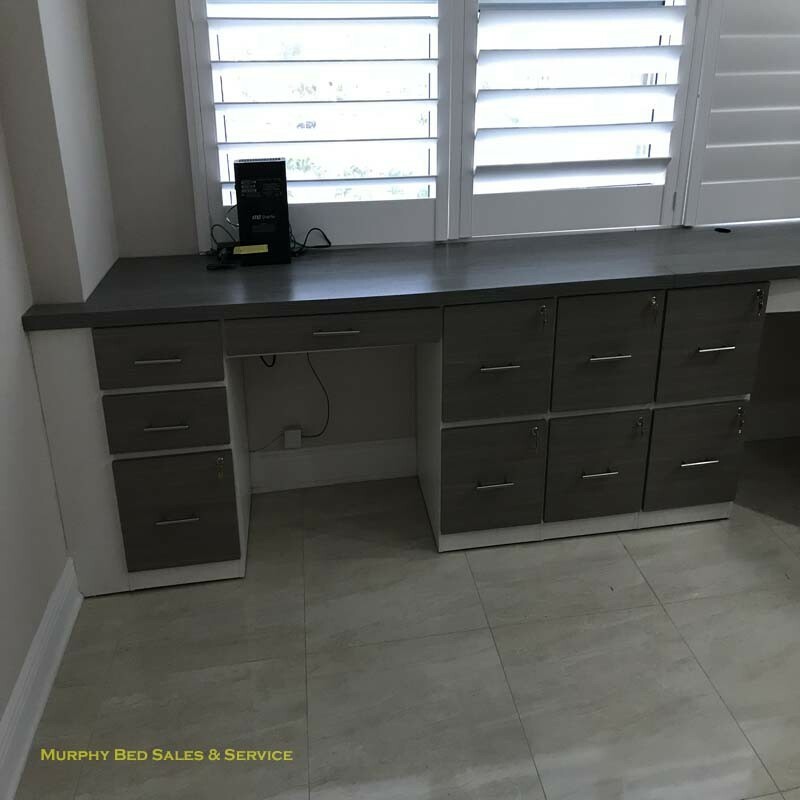 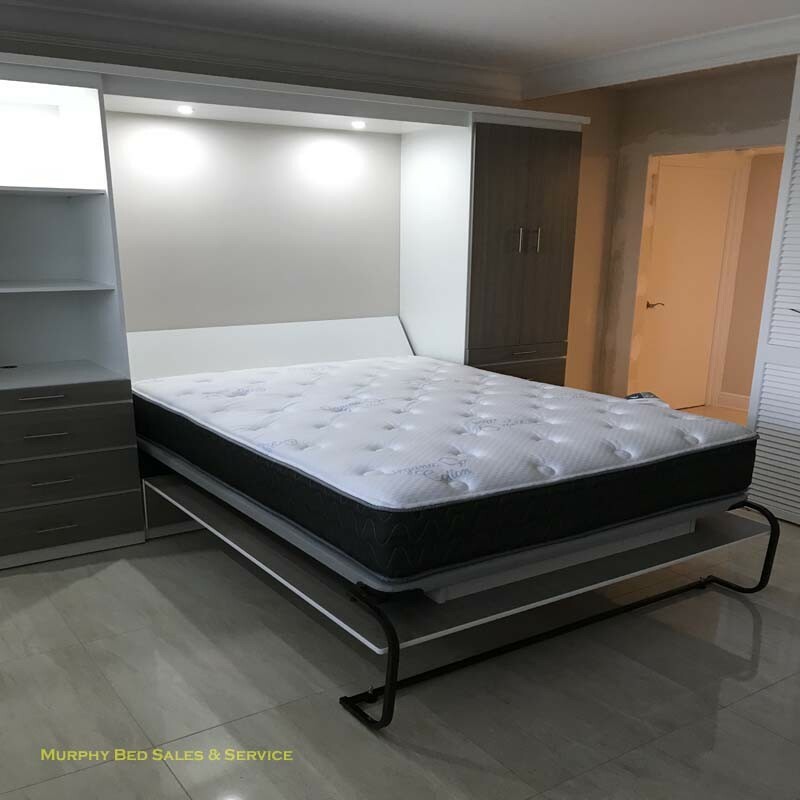 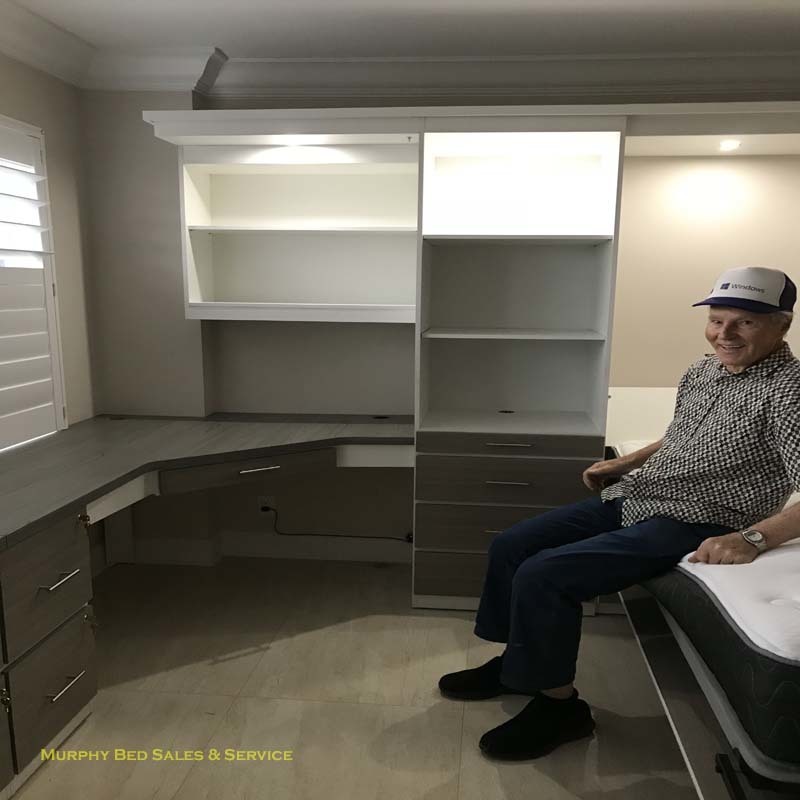 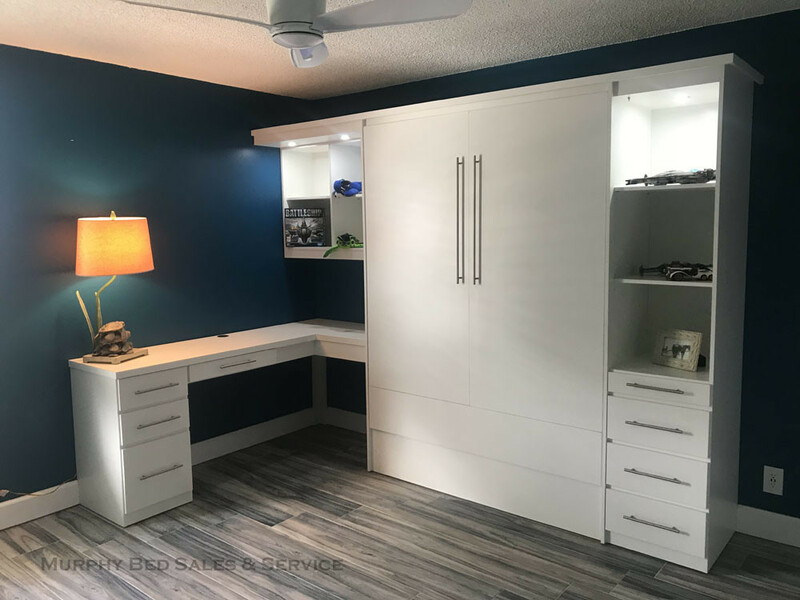 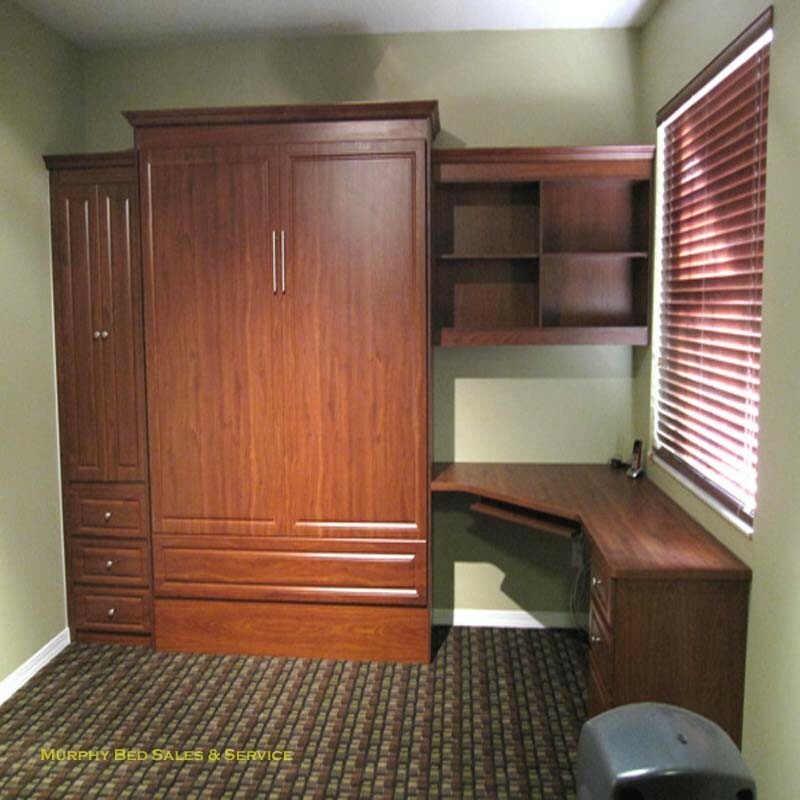 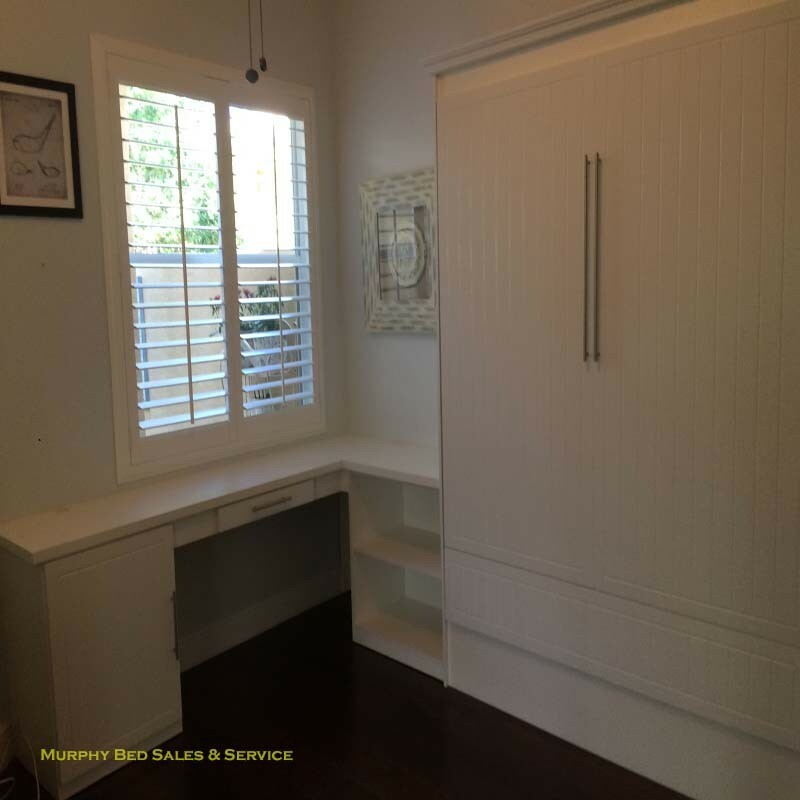 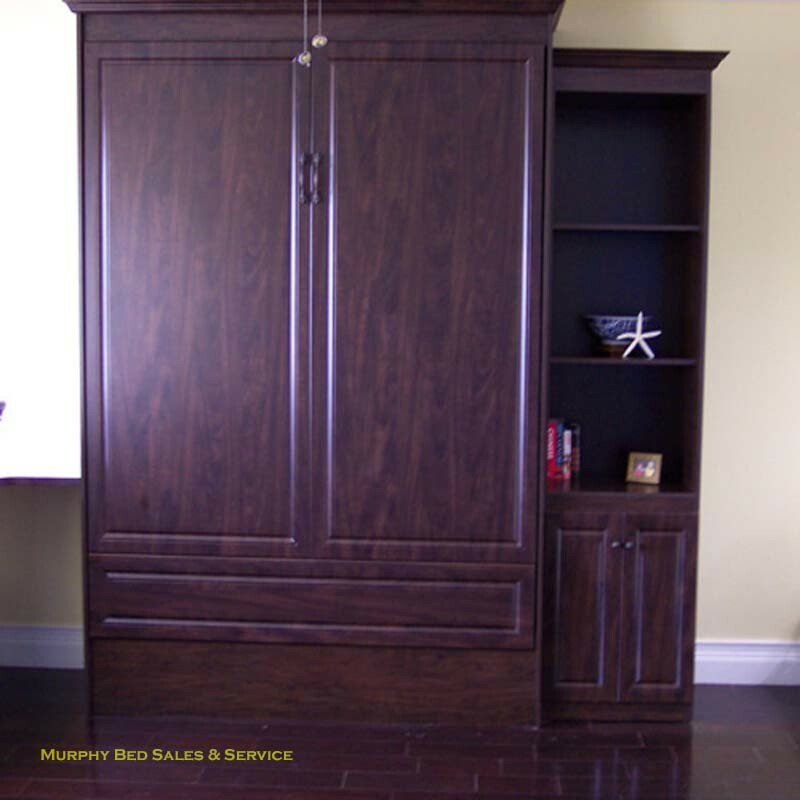 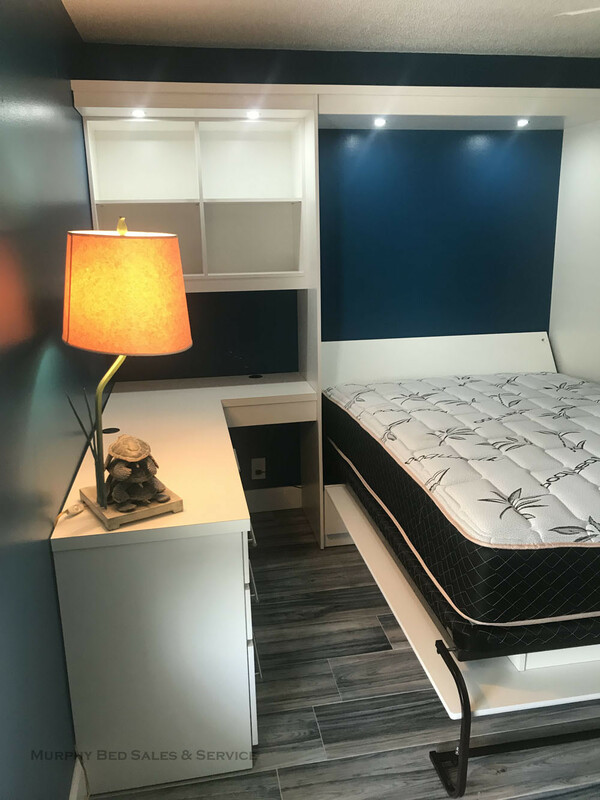 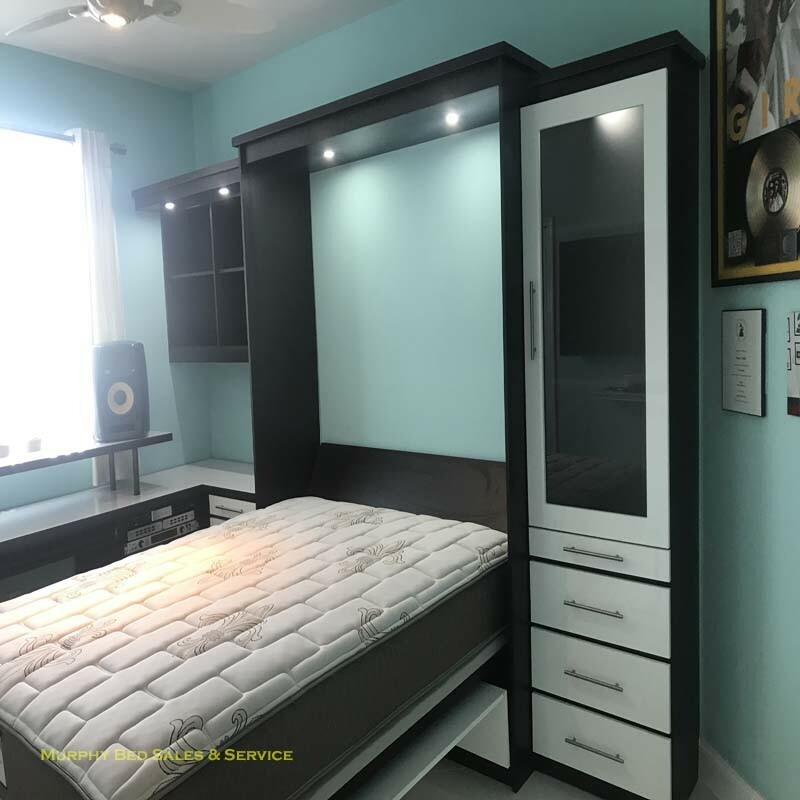 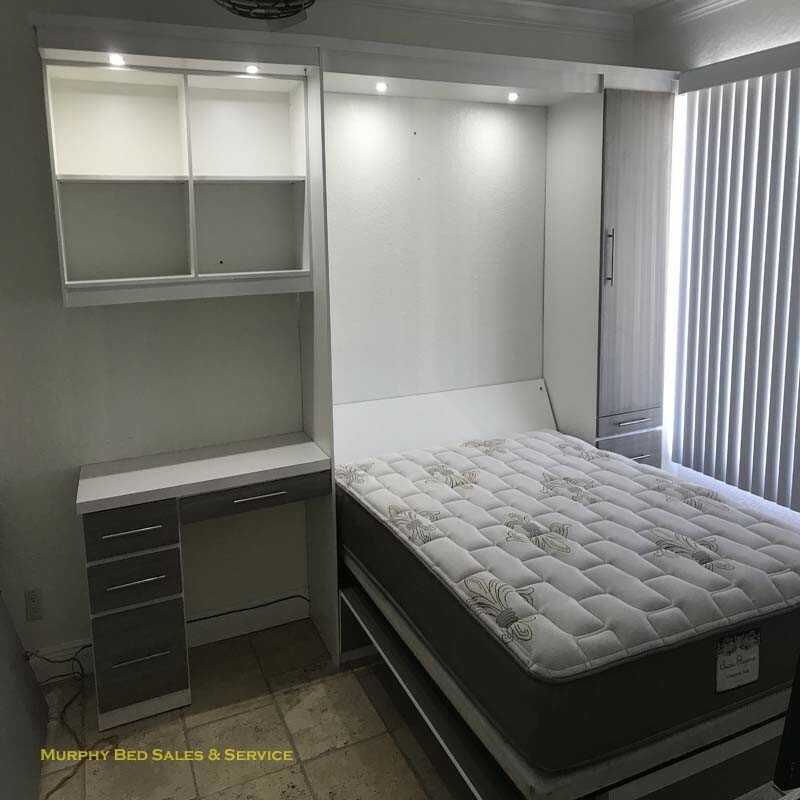 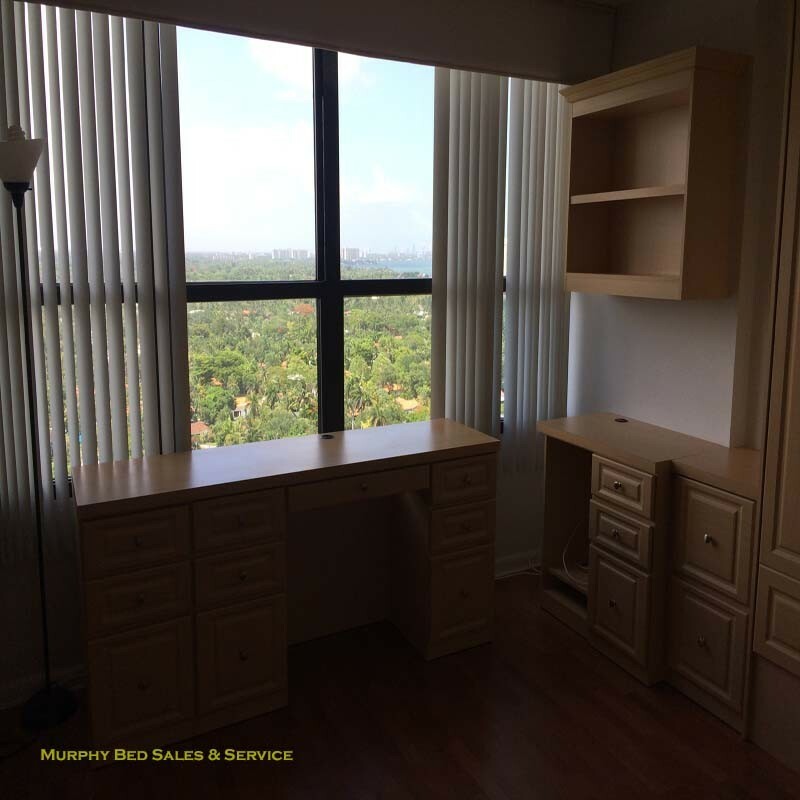 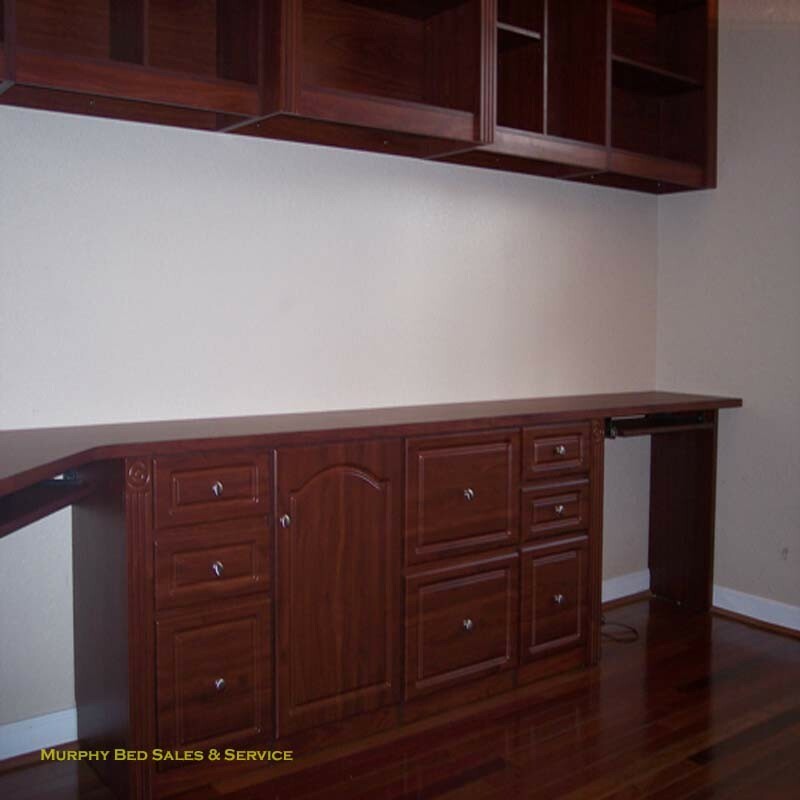 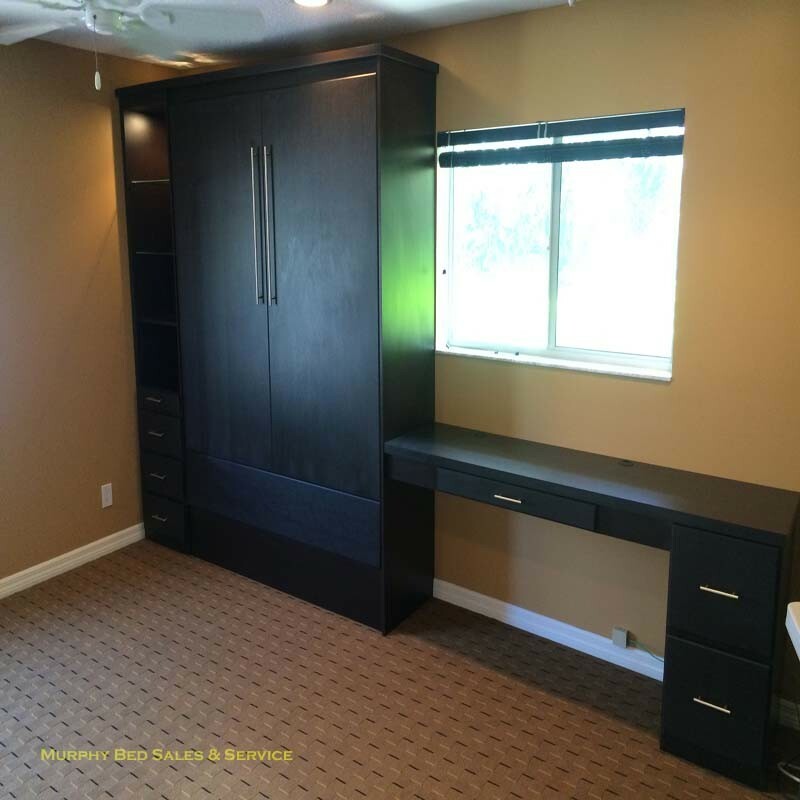 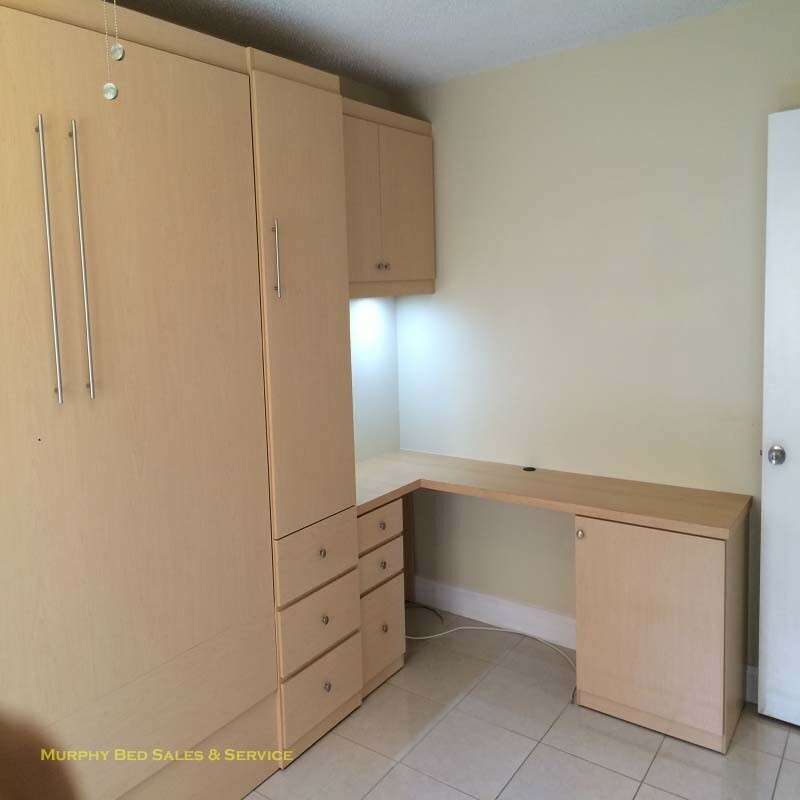 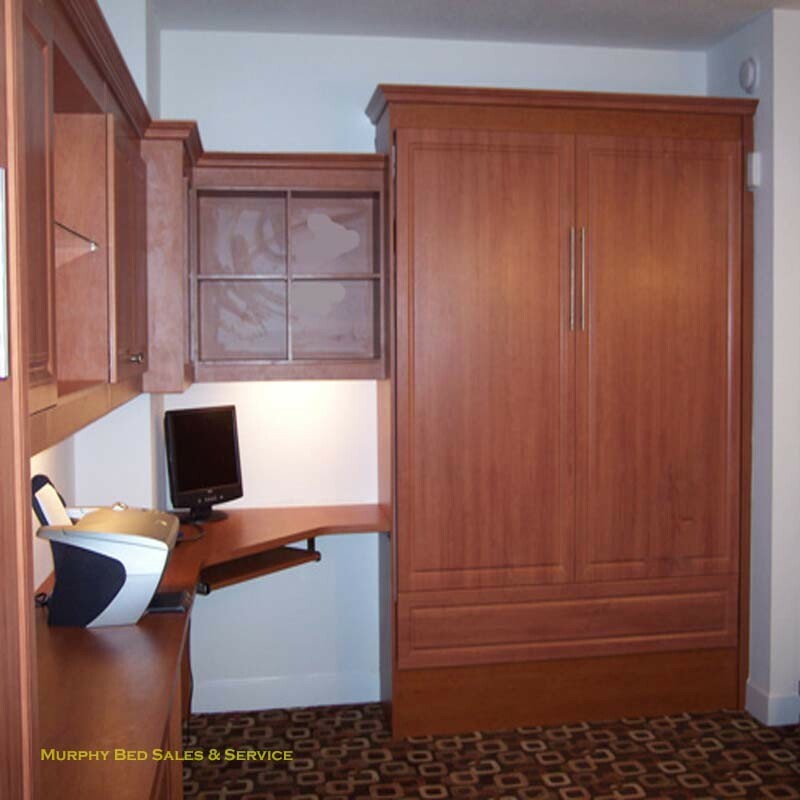 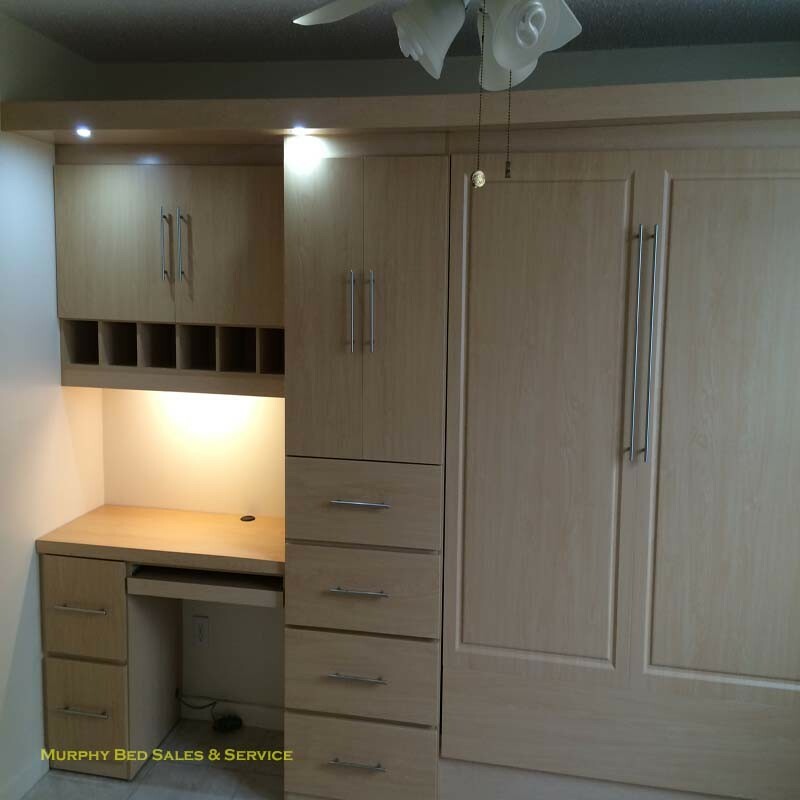 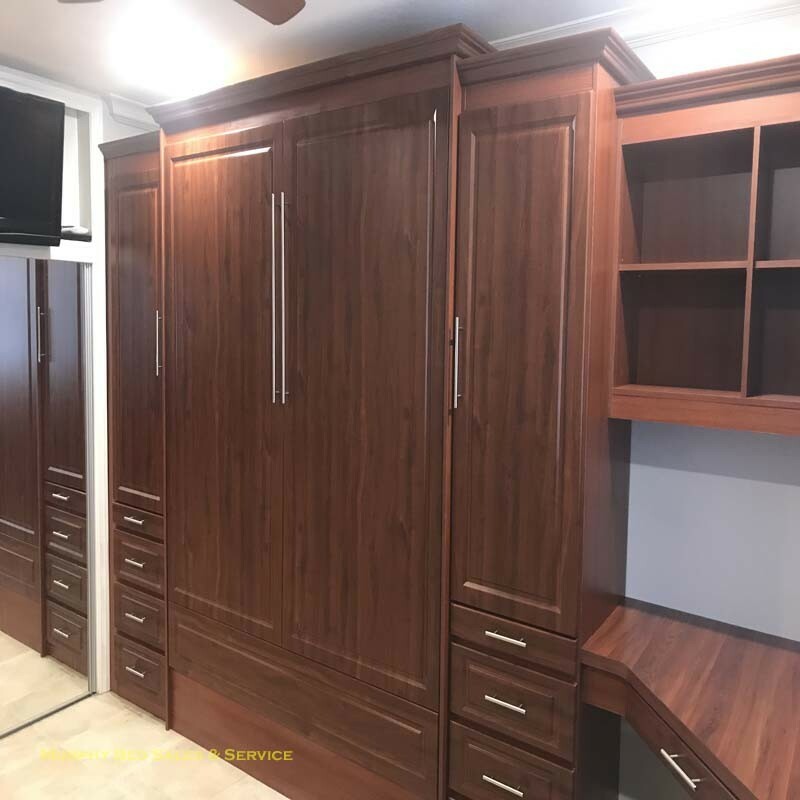 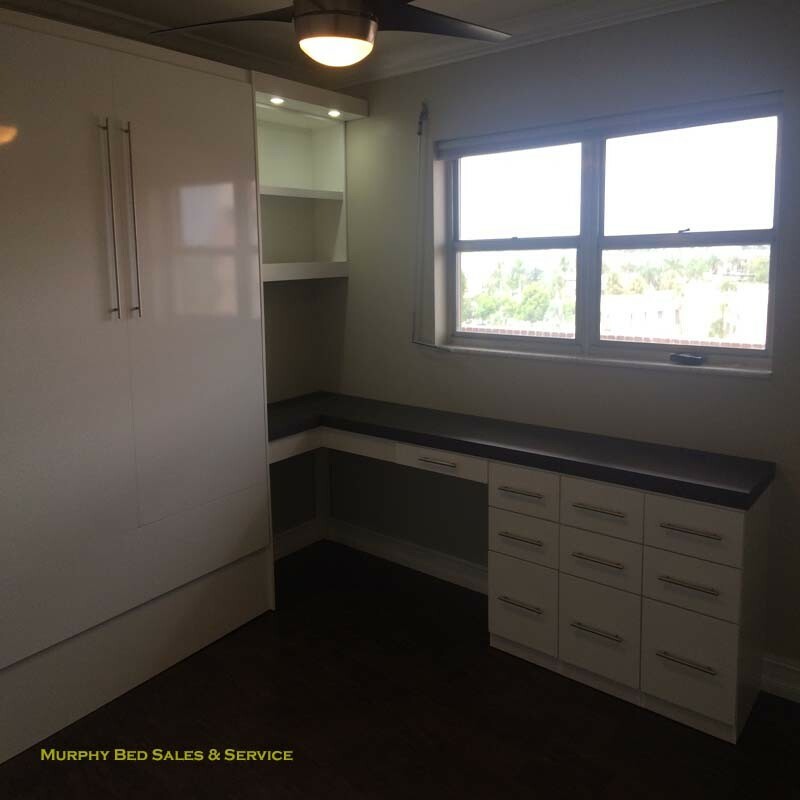 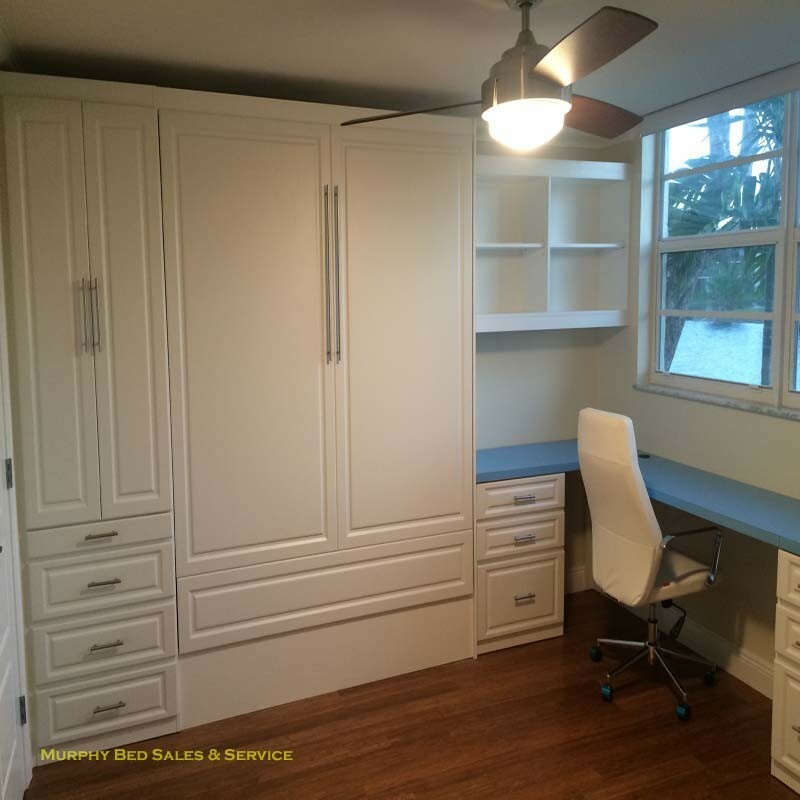 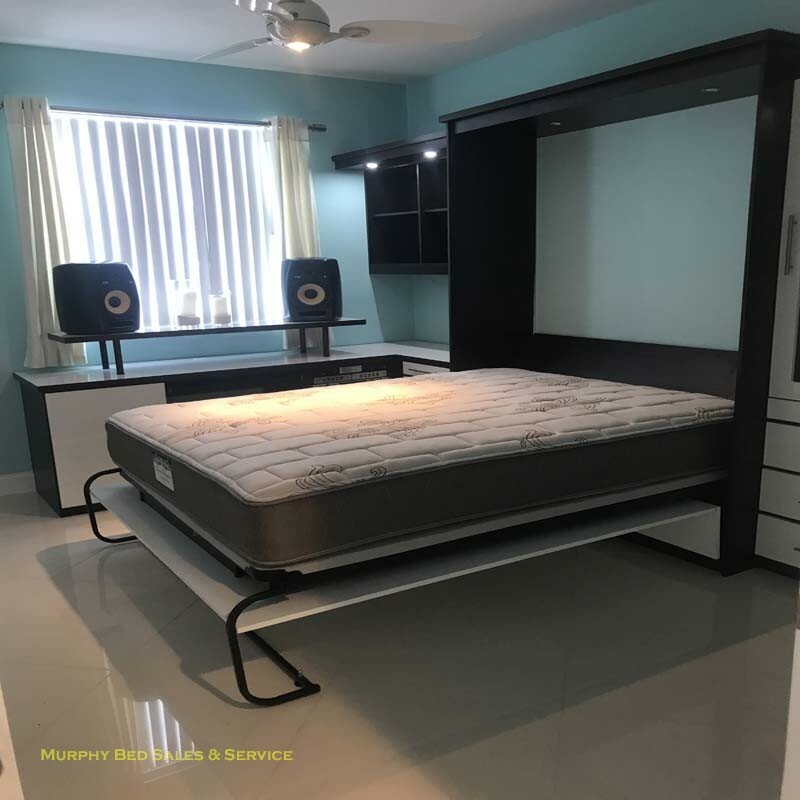 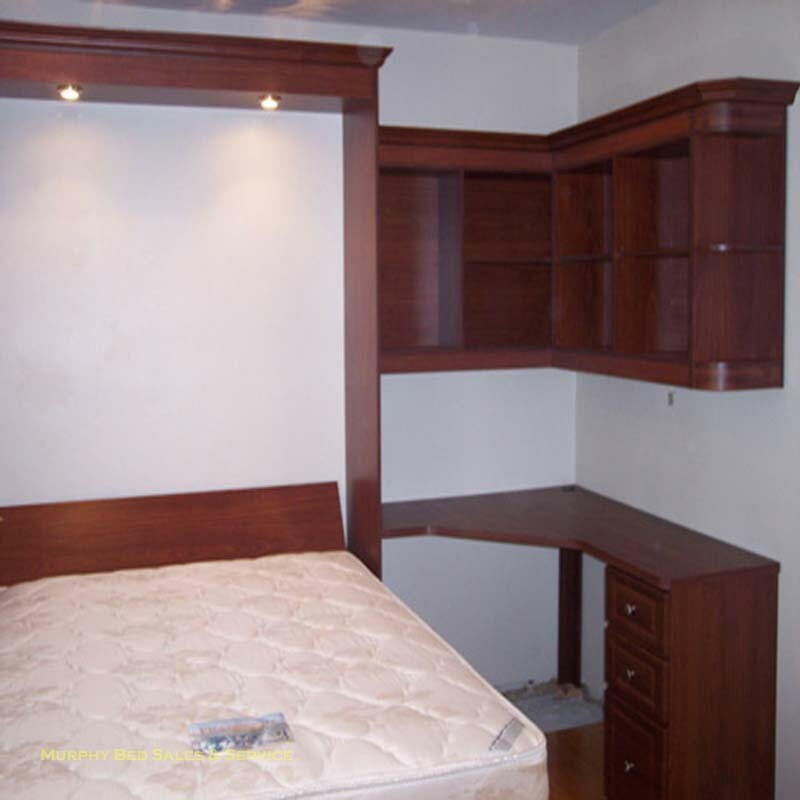 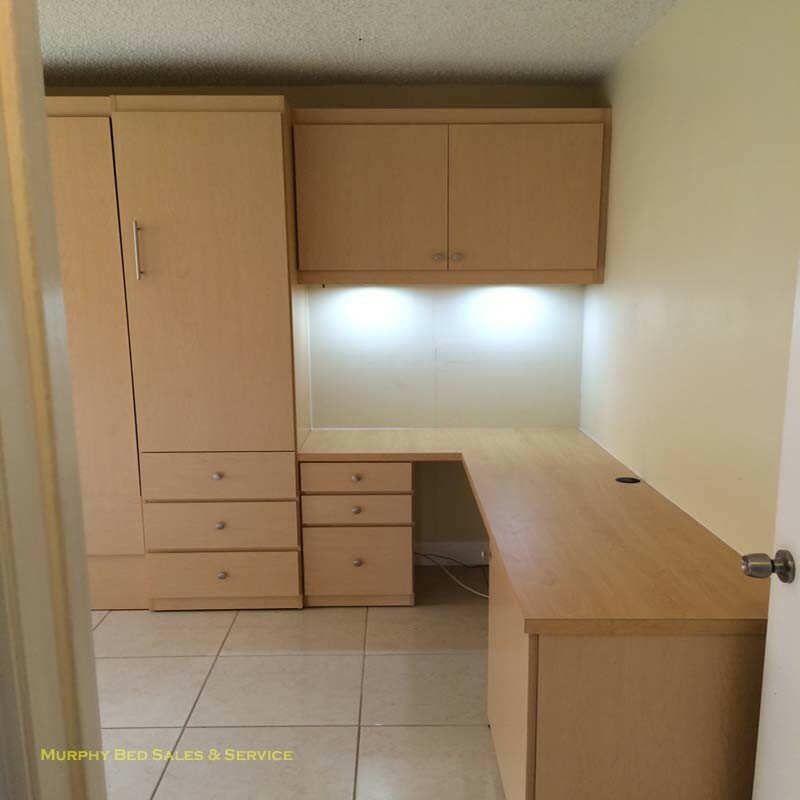 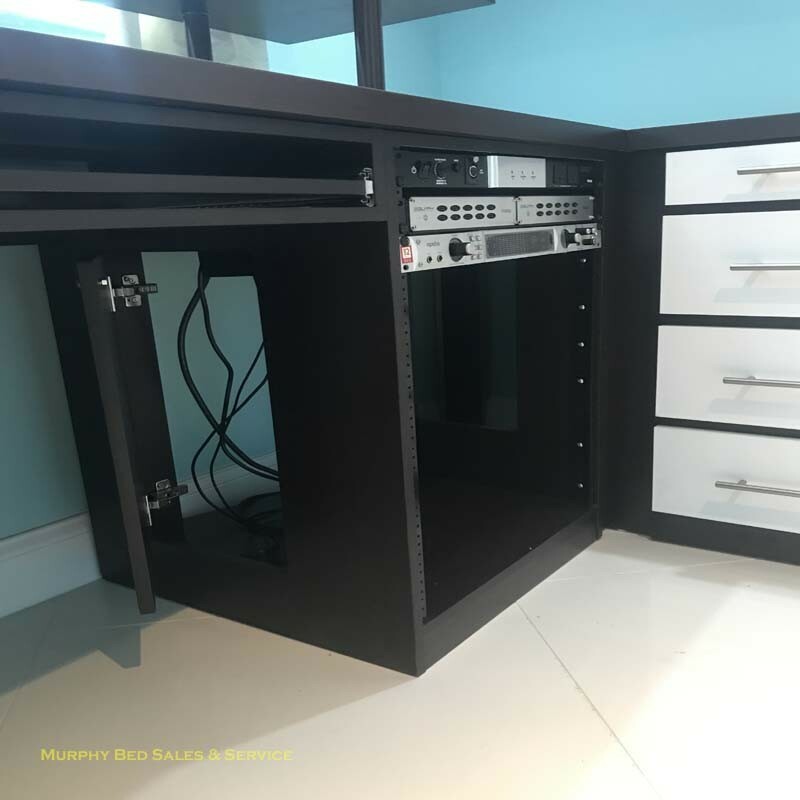 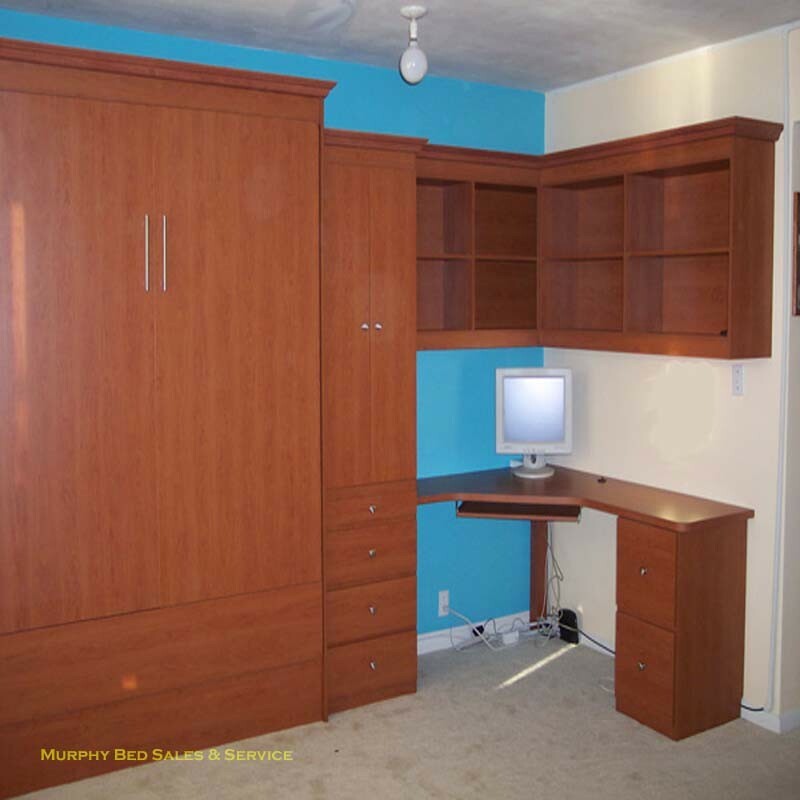 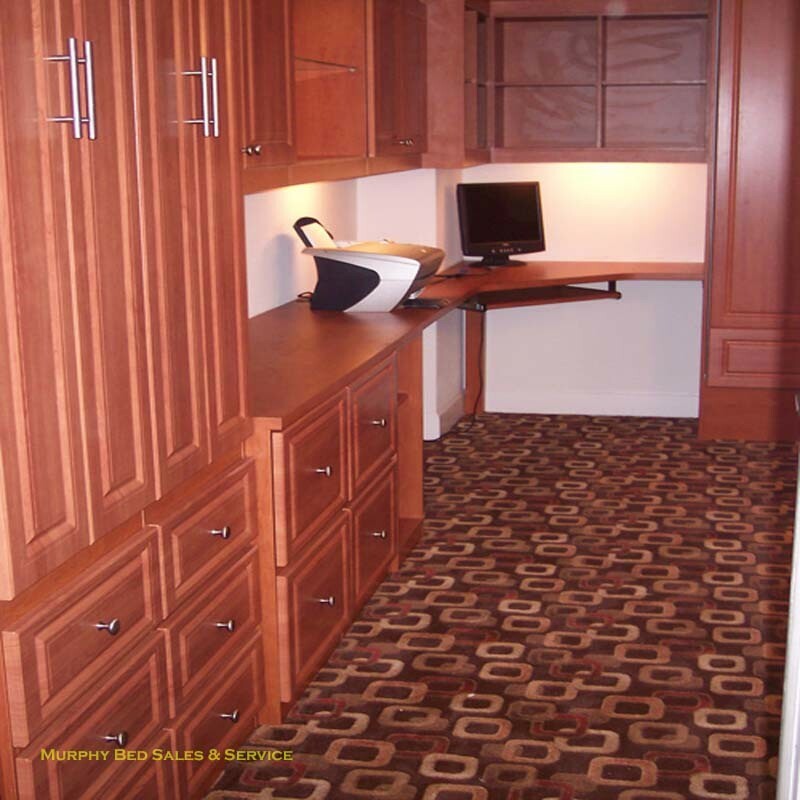 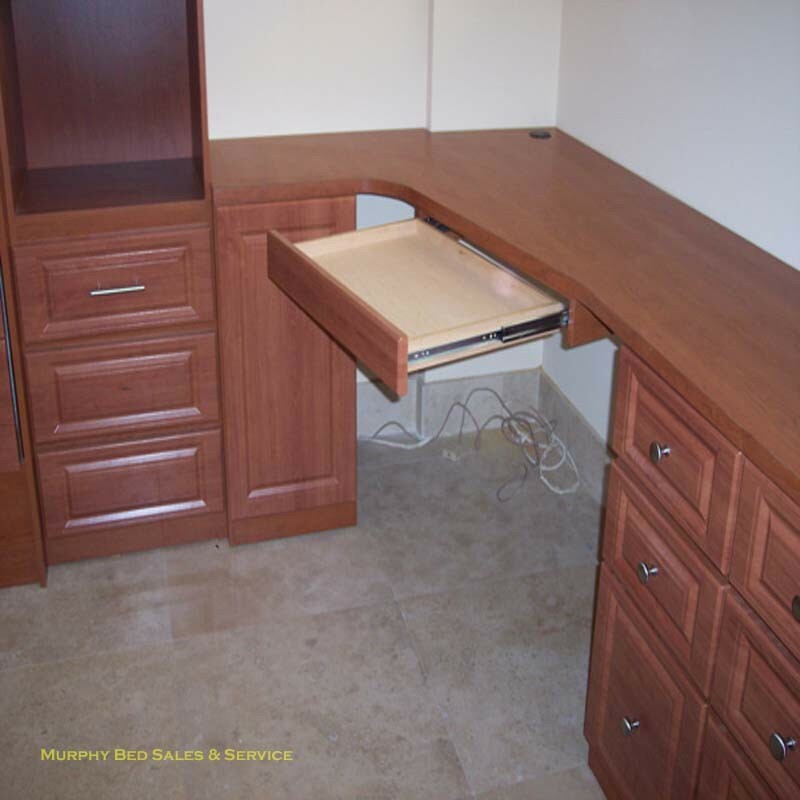 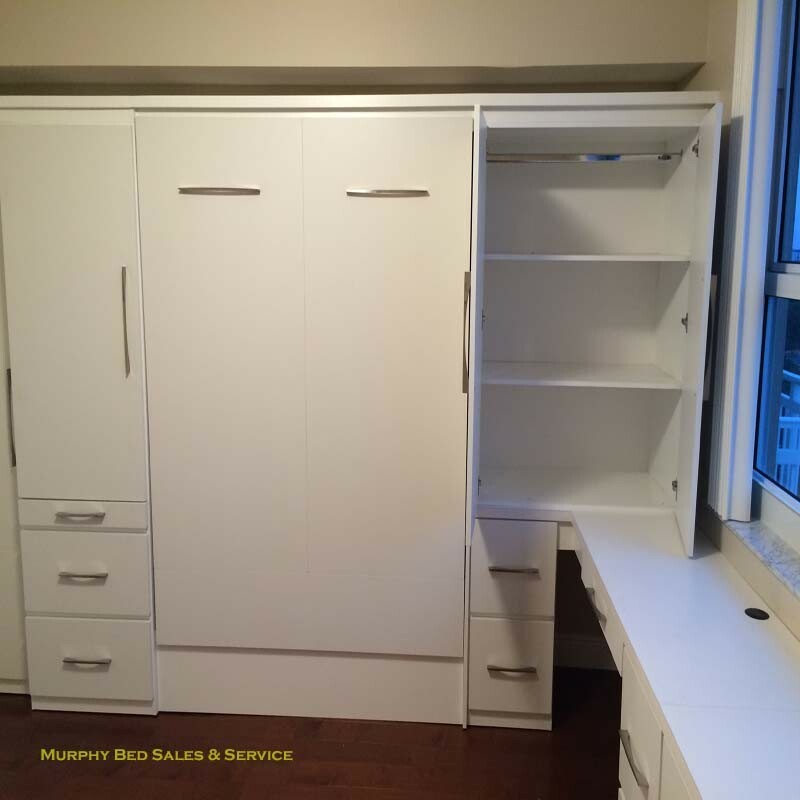 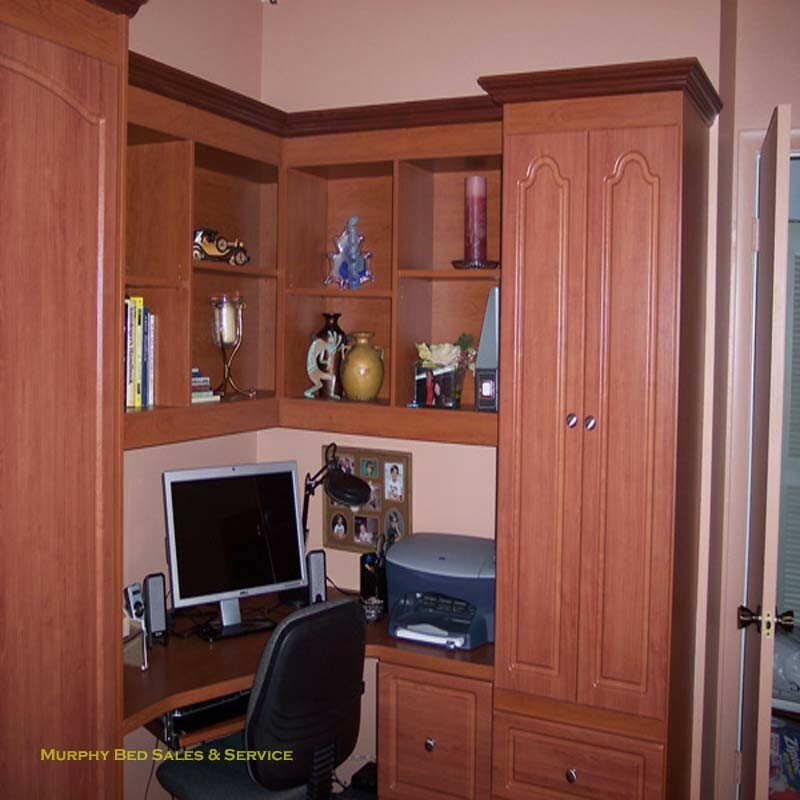 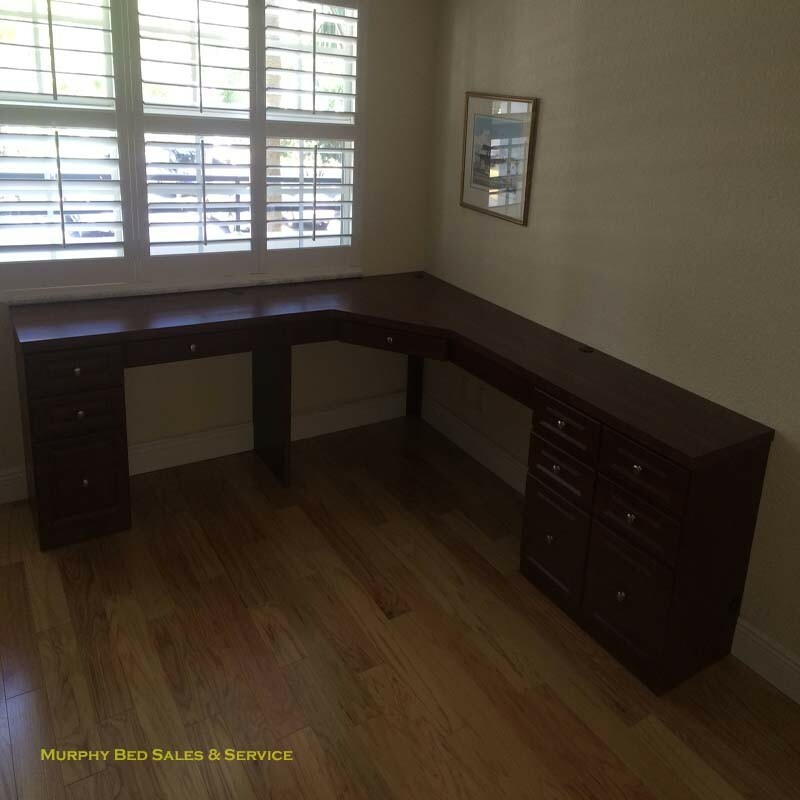 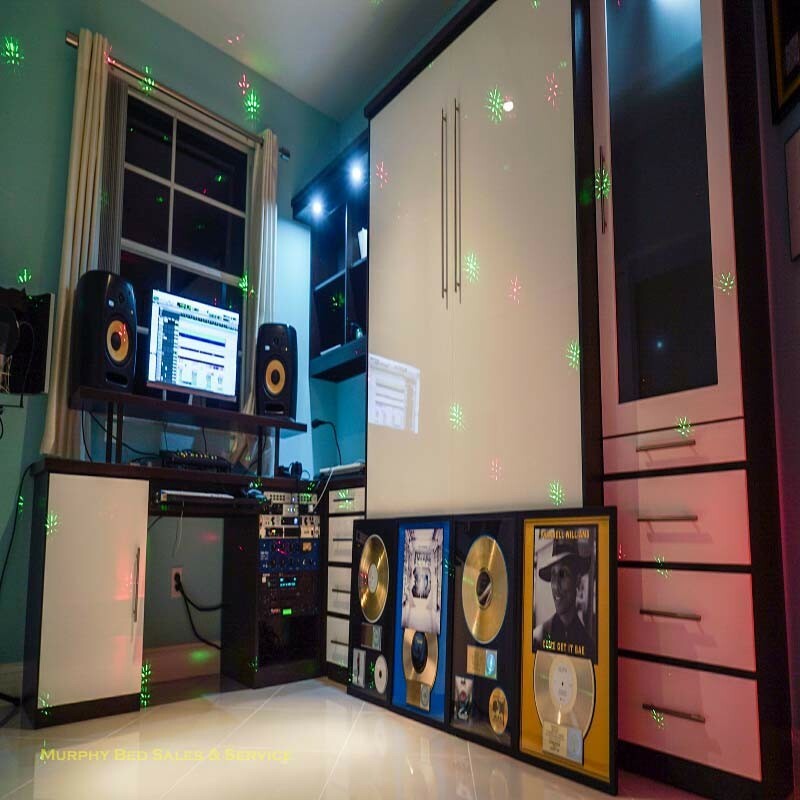 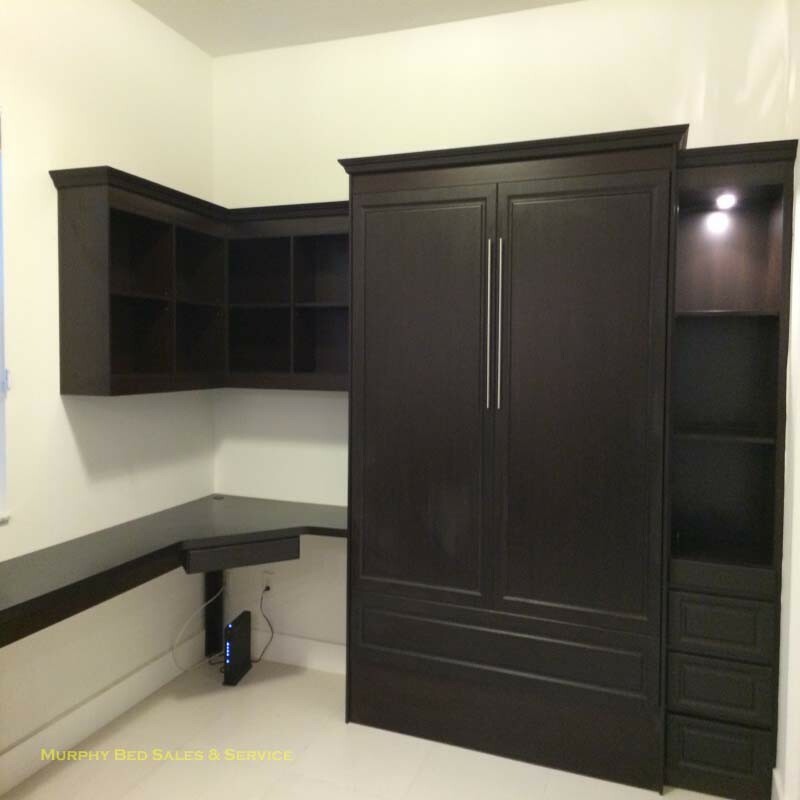 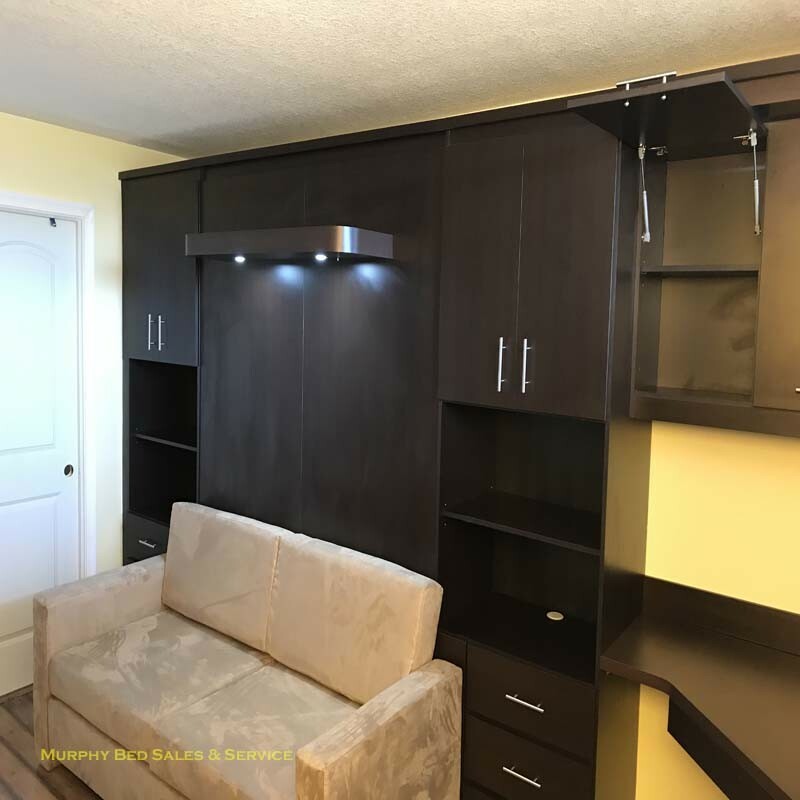 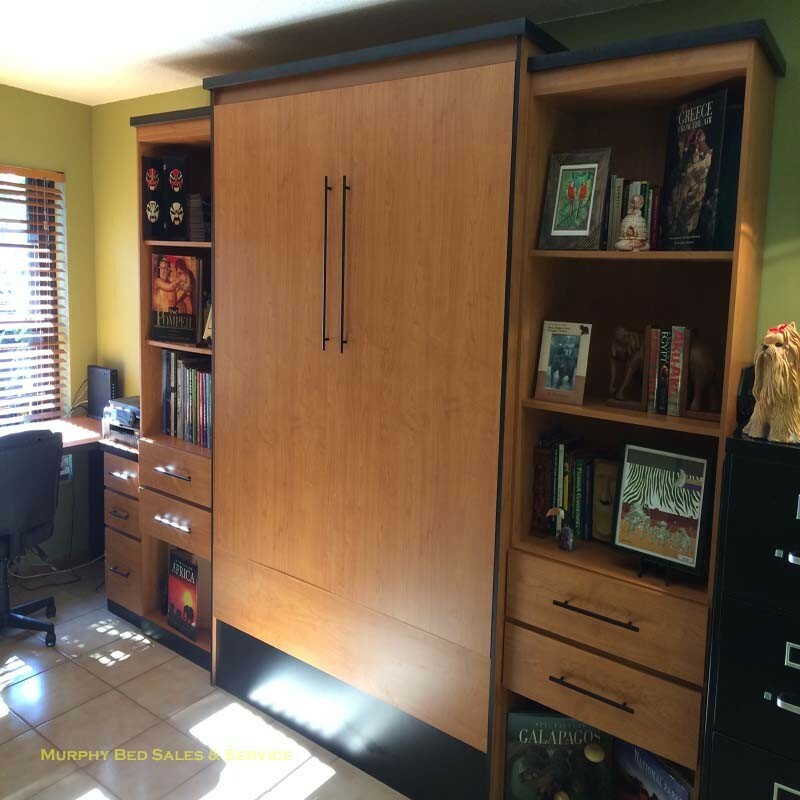 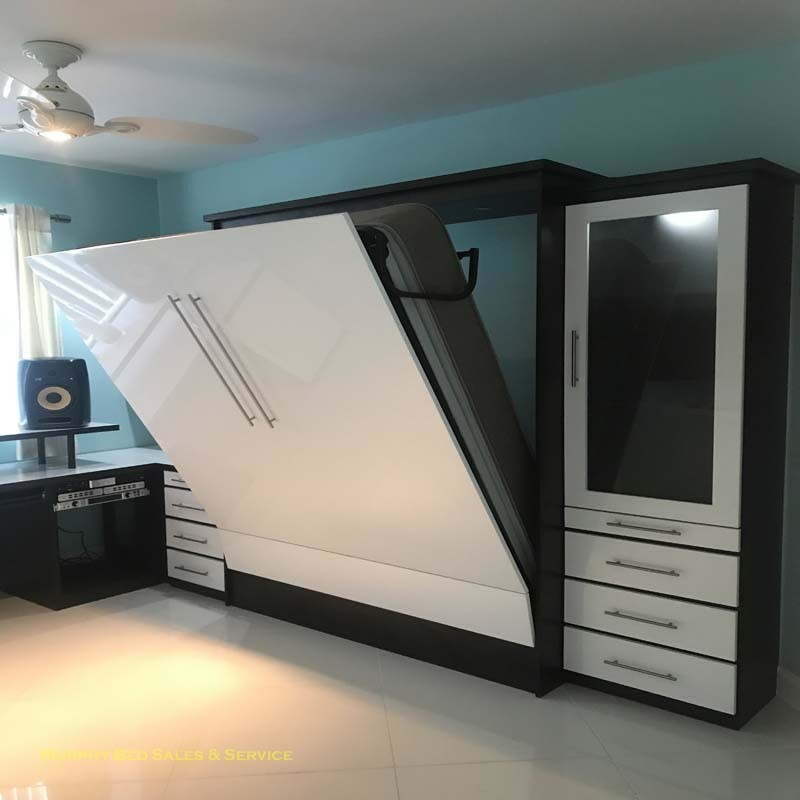 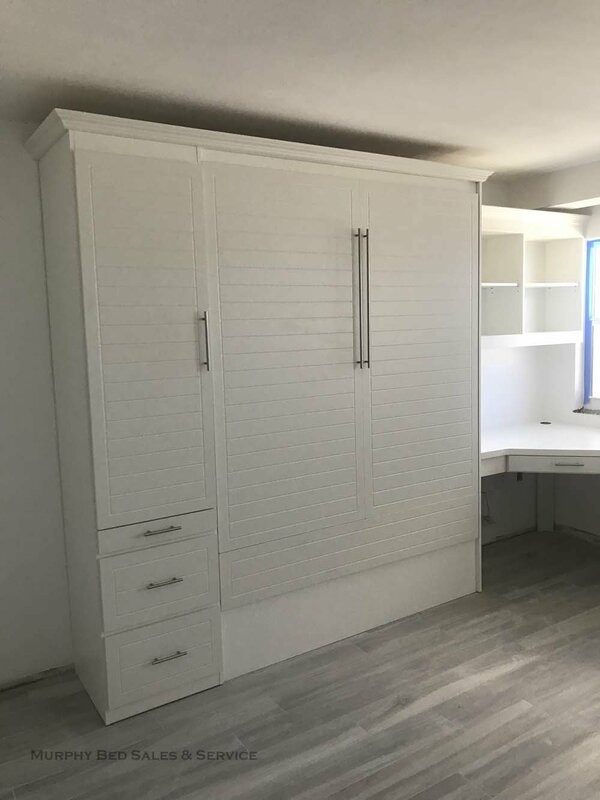 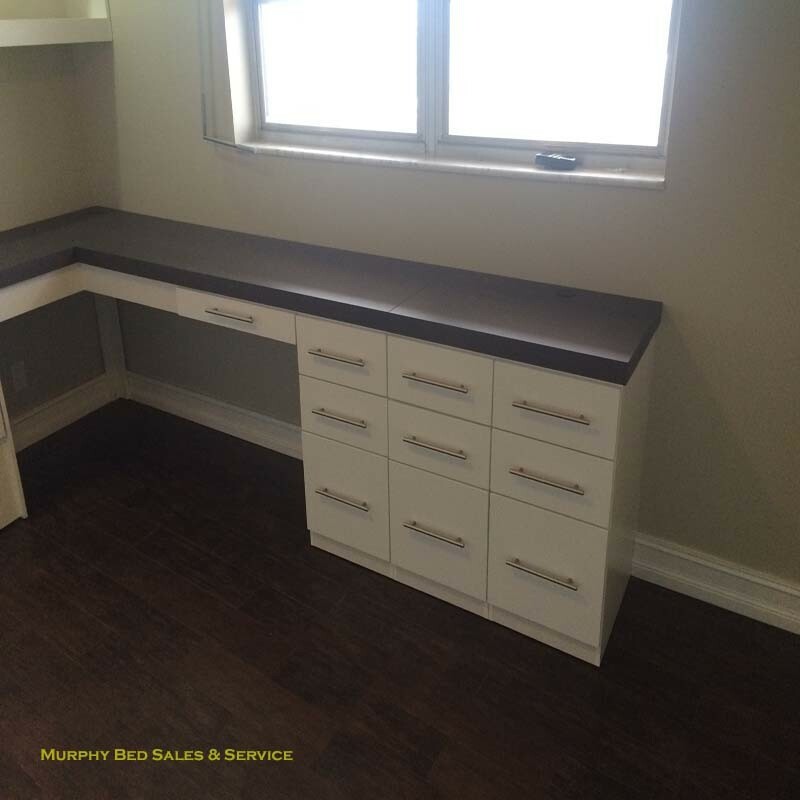 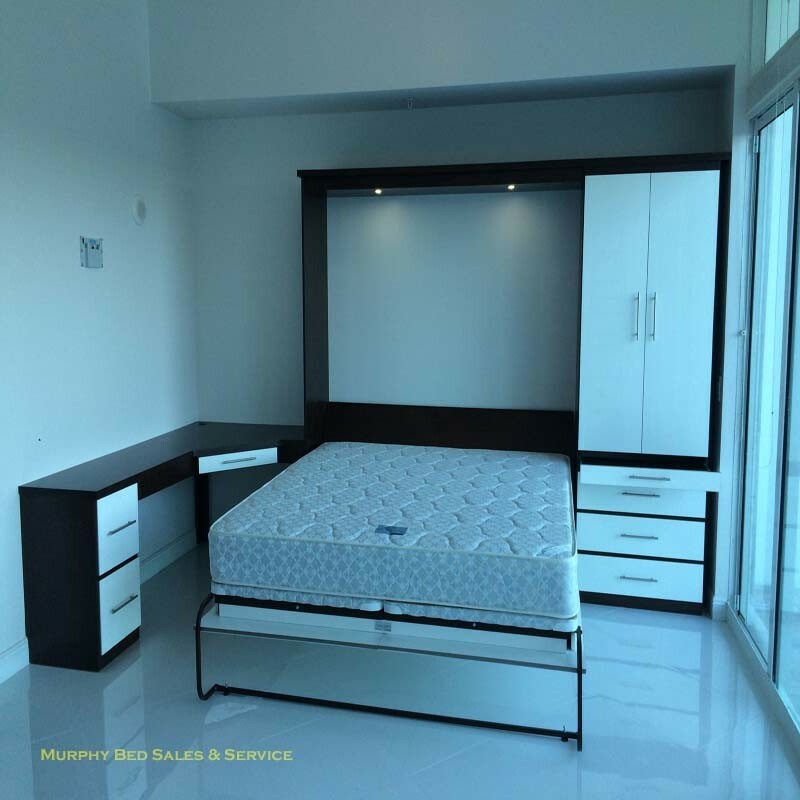 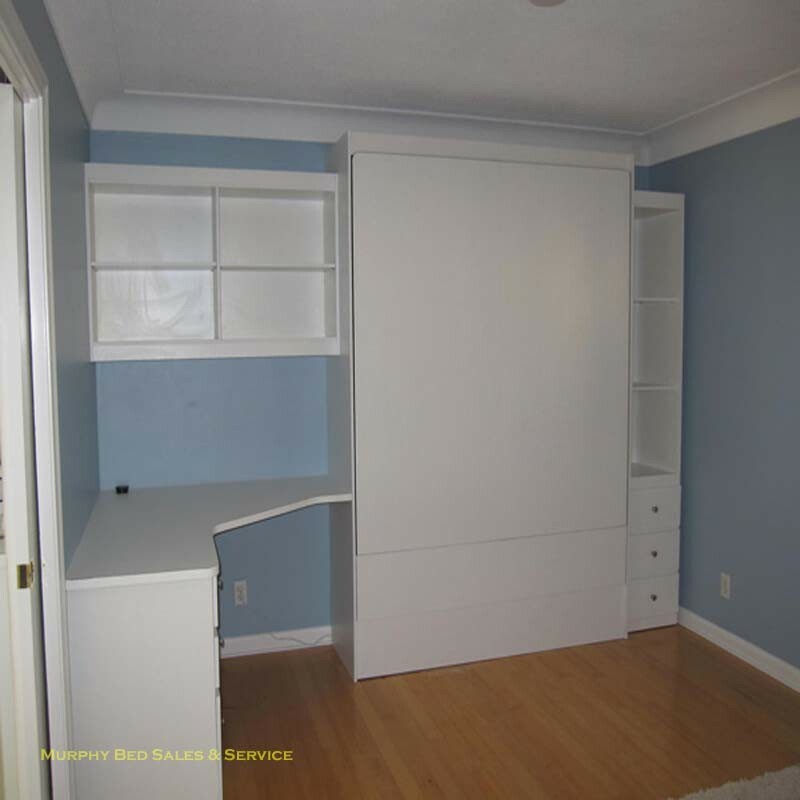 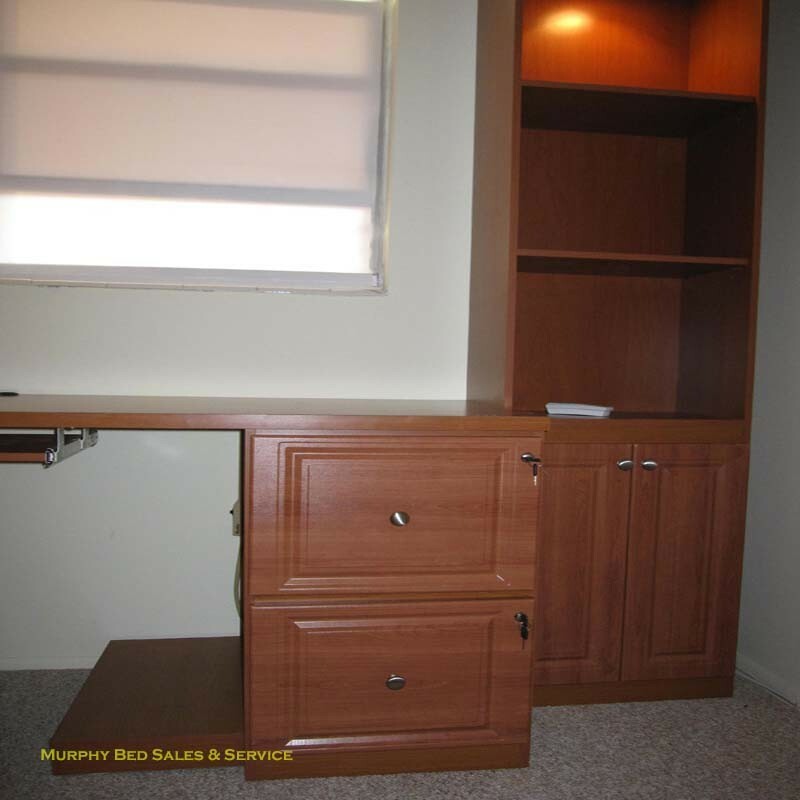 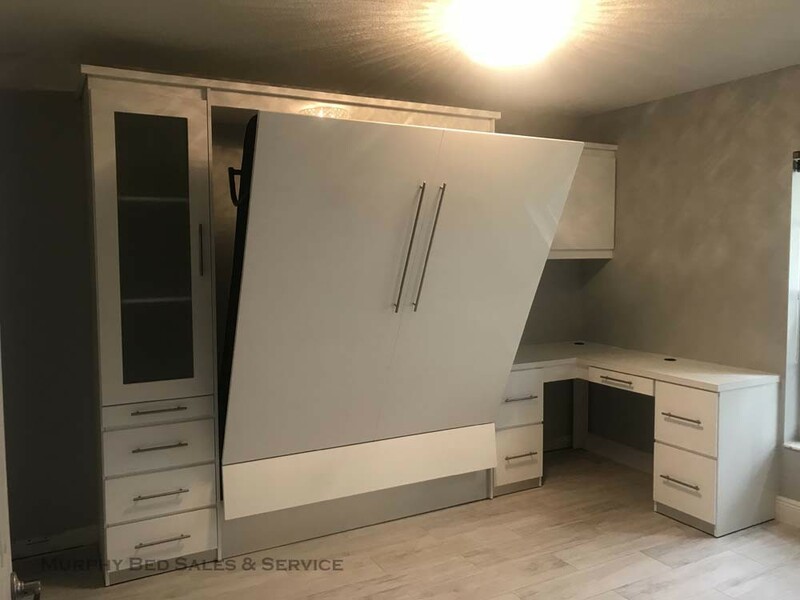 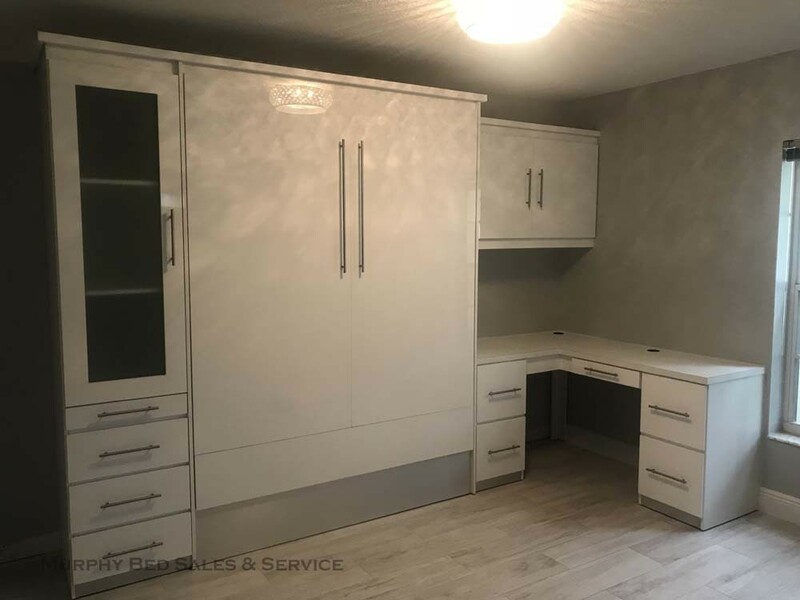 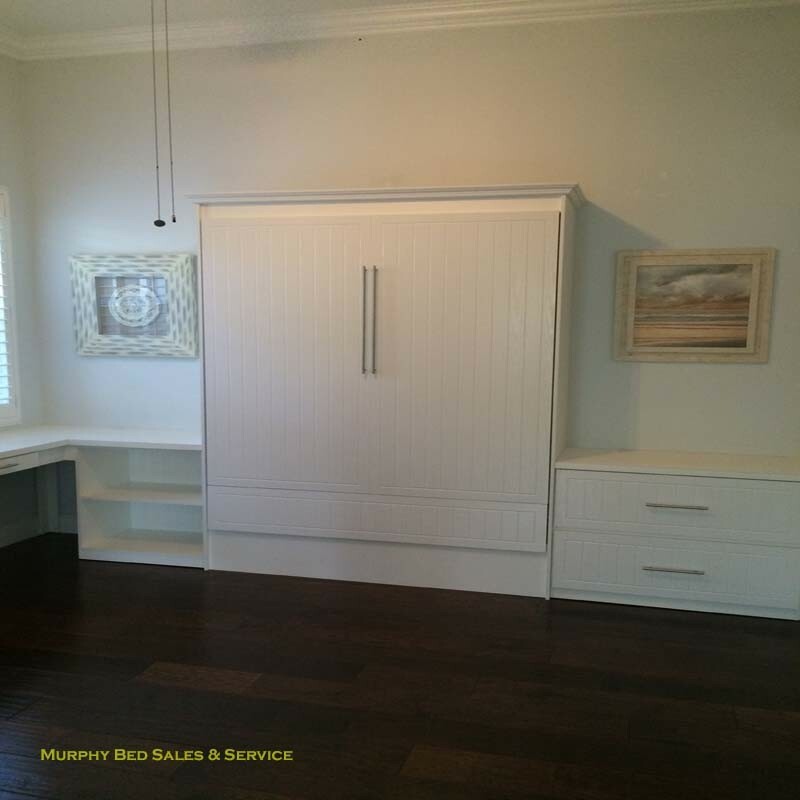 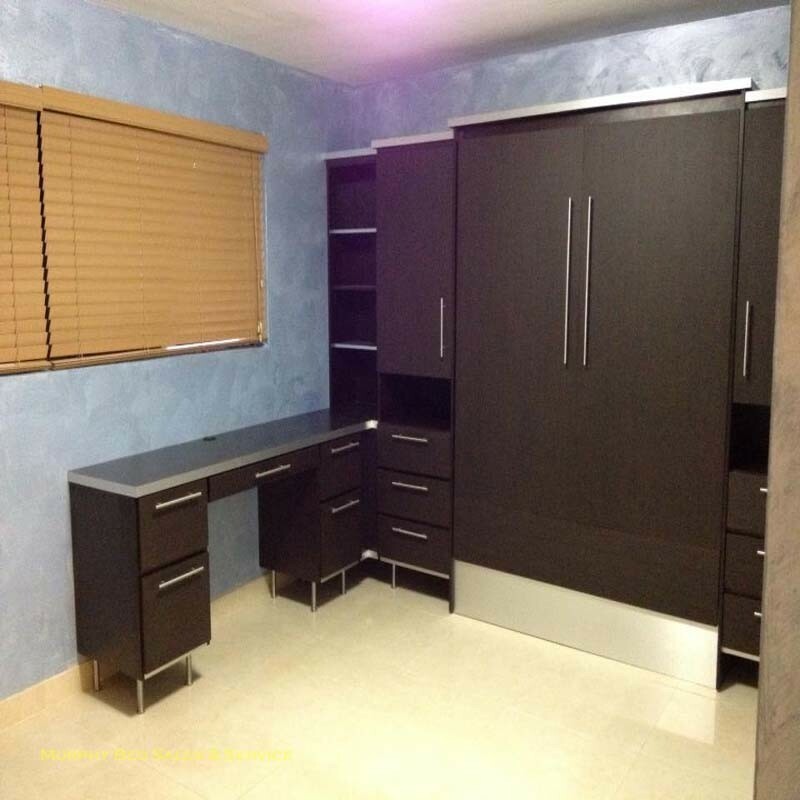 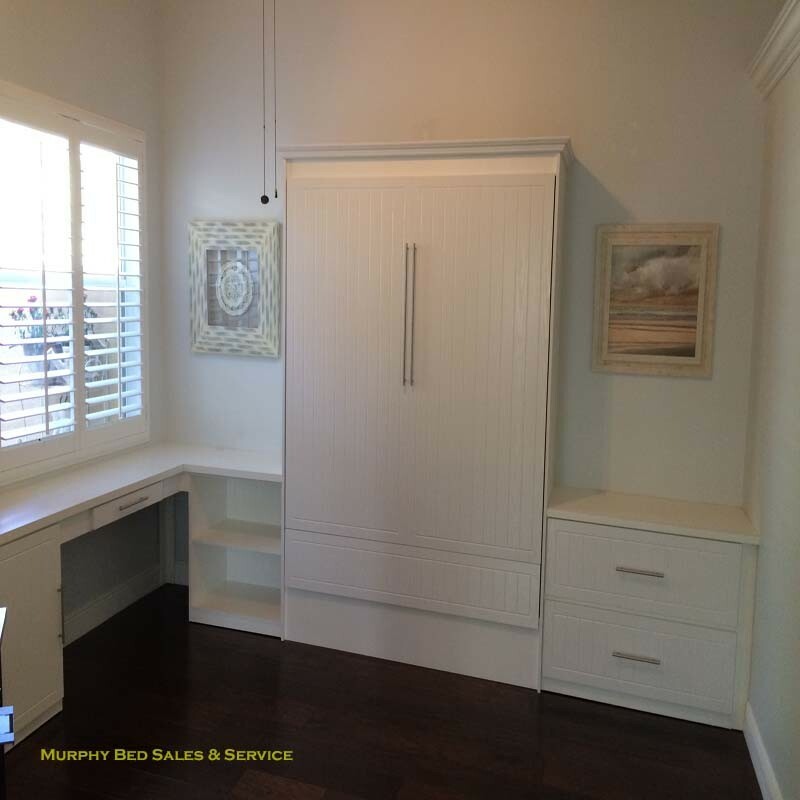 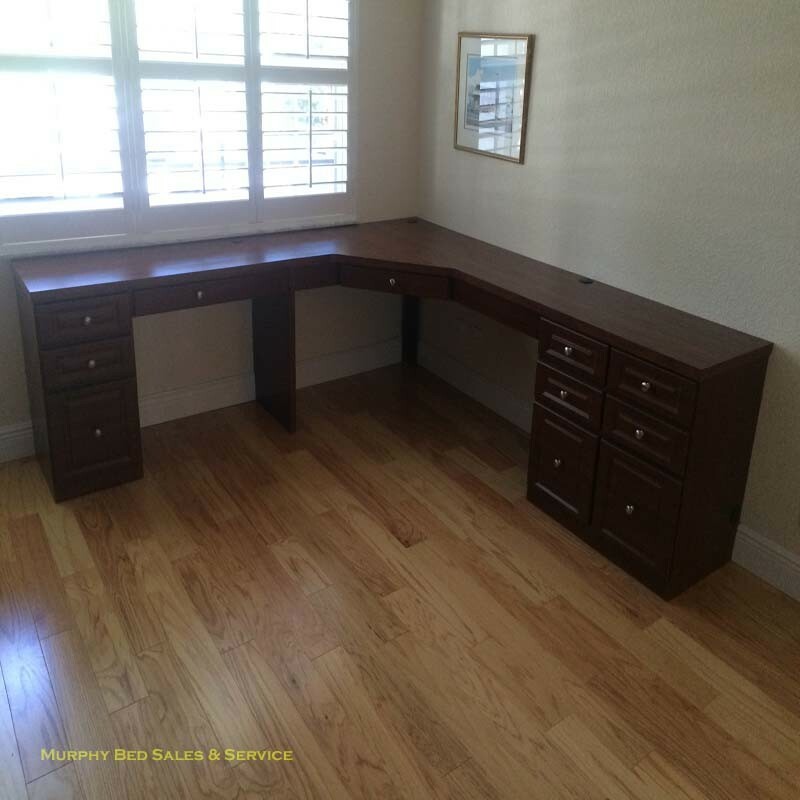 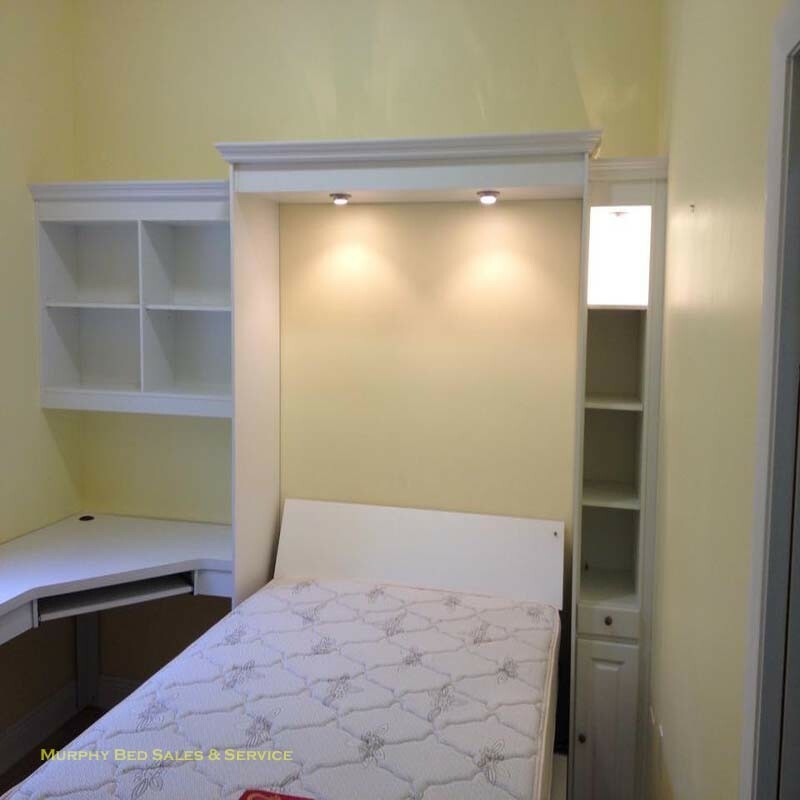 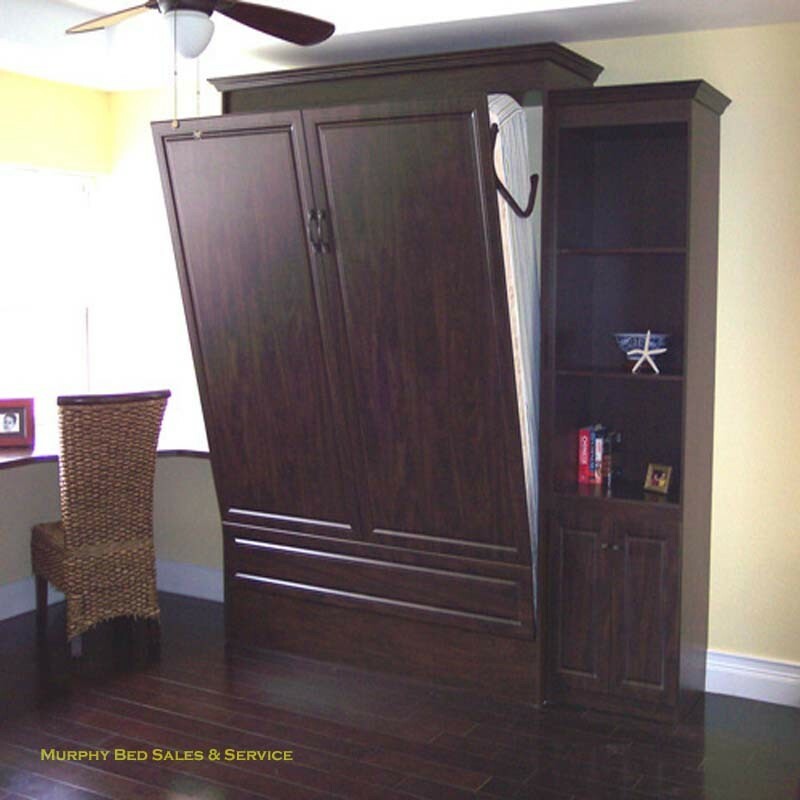 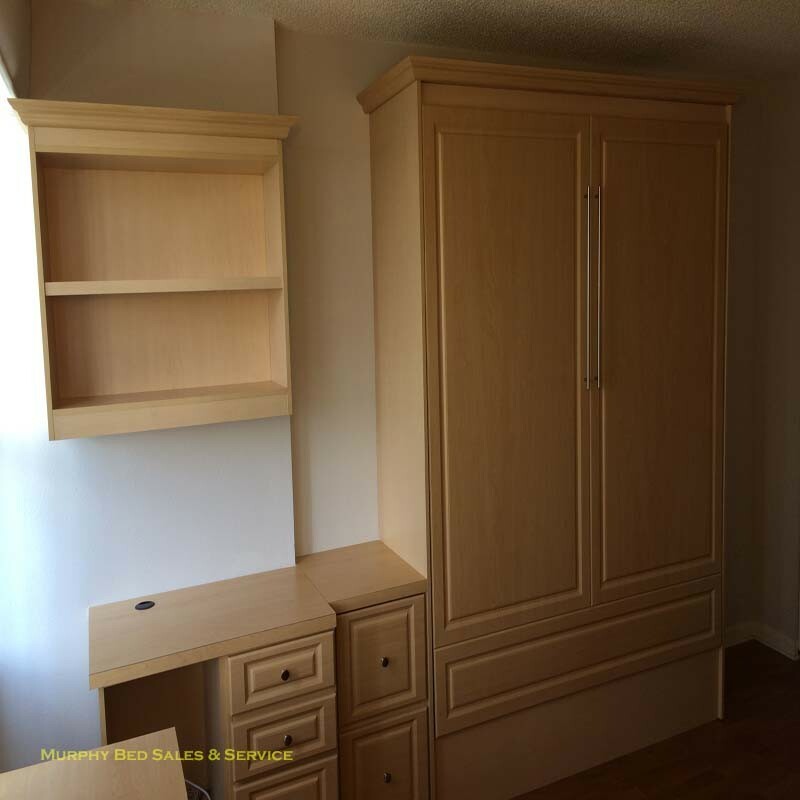 A home office is a murphy bed with a desk and file cabinets and hanging upper hutches to follow the shape of a corner desk. 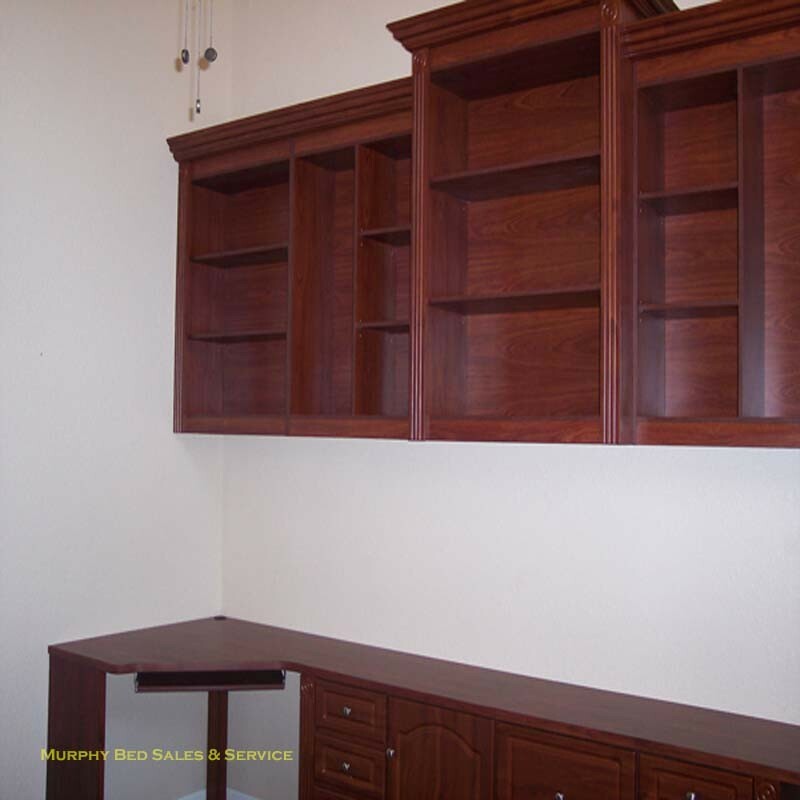 And yes we custom measure and make the office to fit your wall.